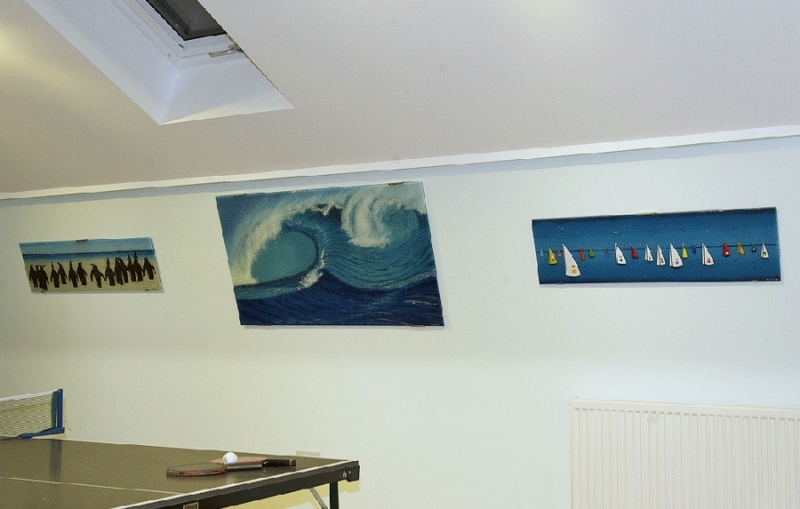 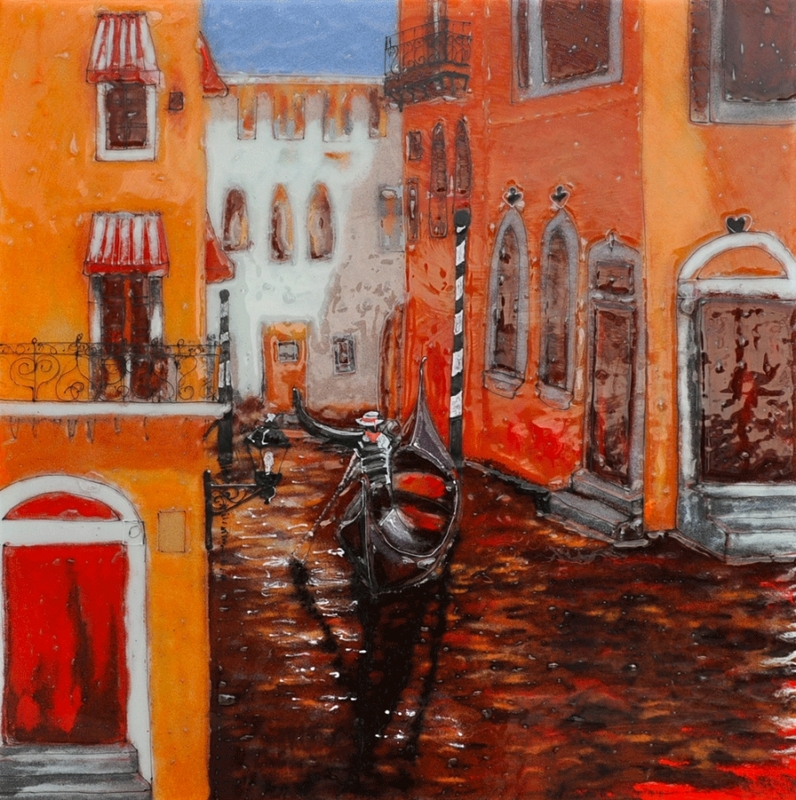 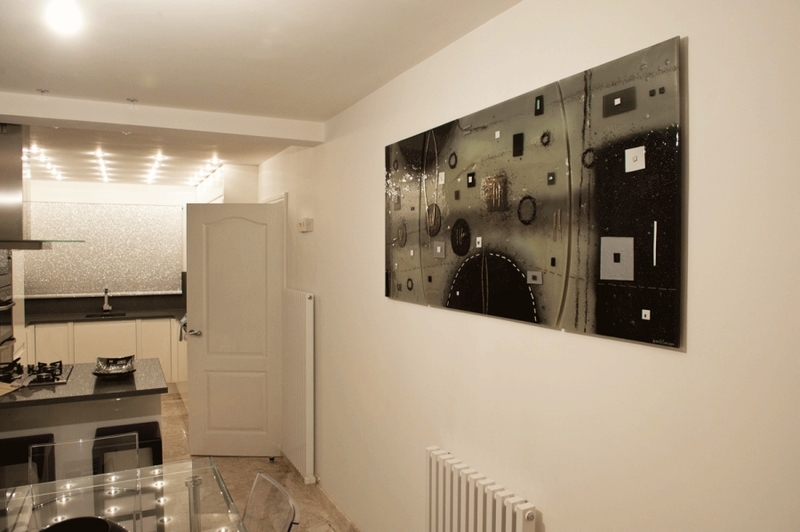 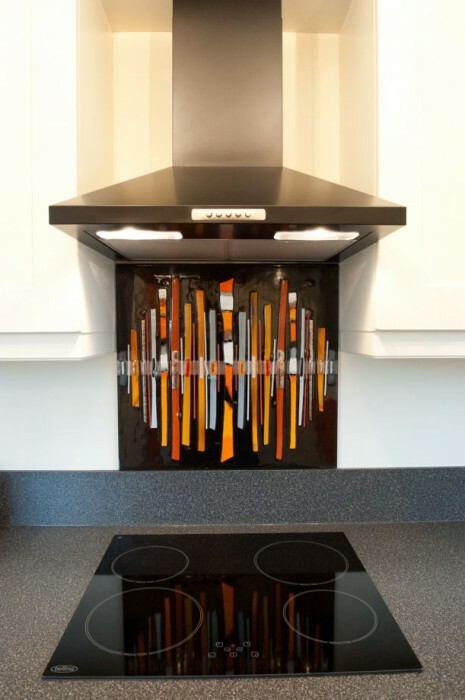 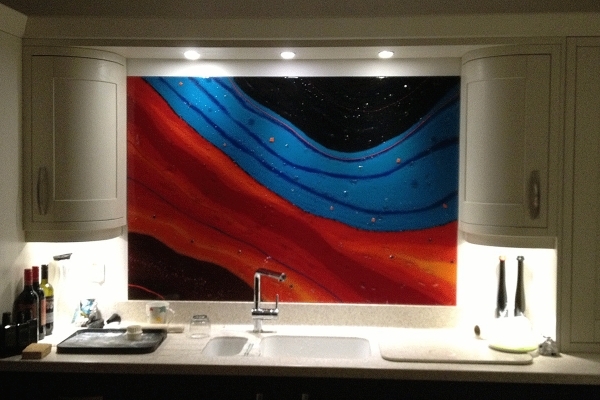 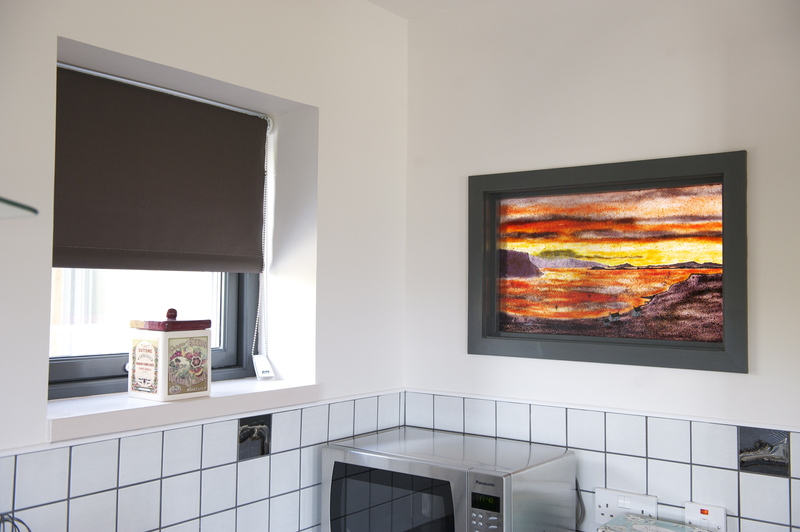 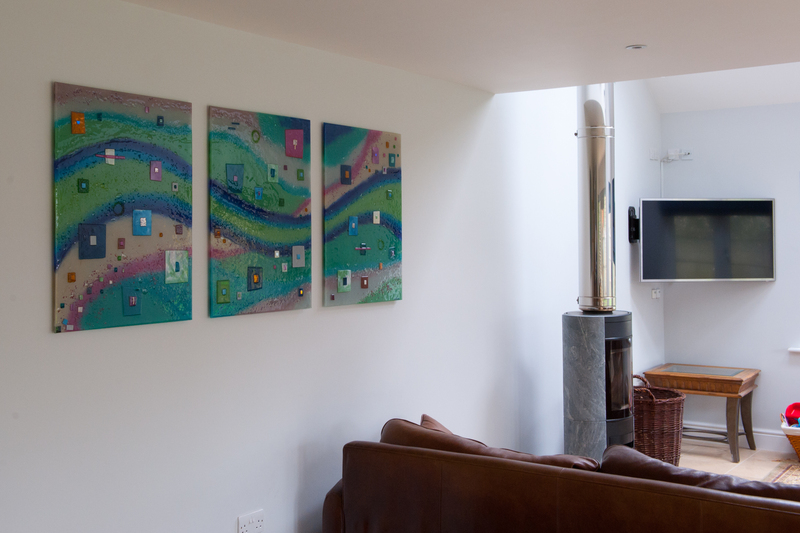 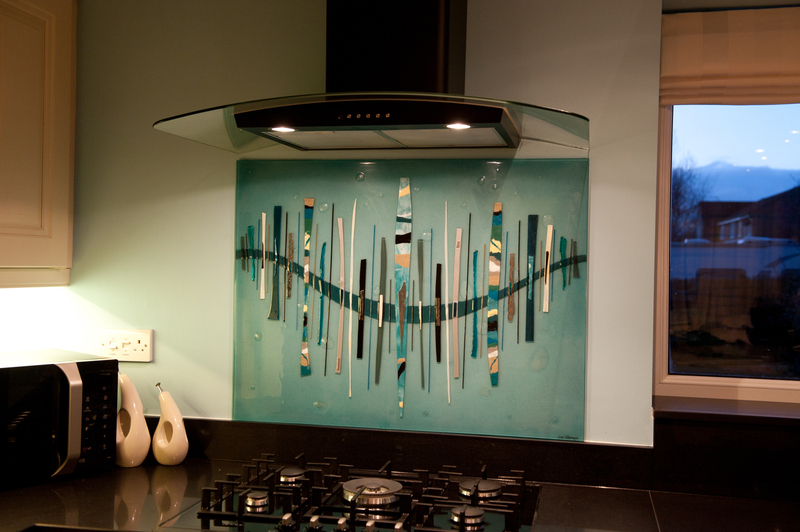 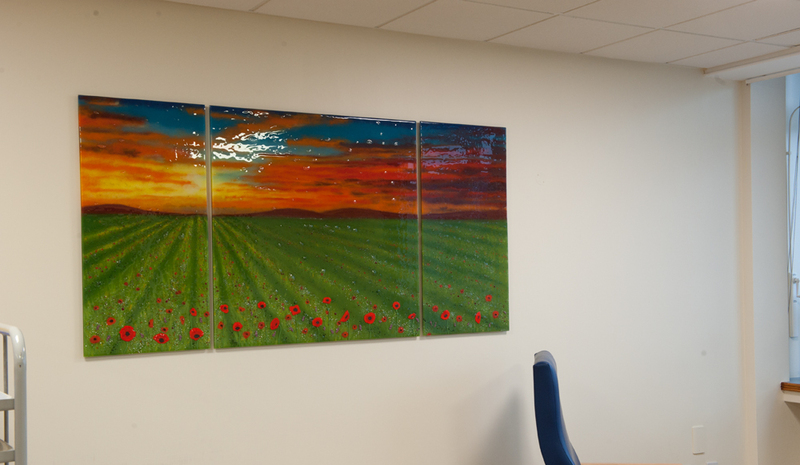 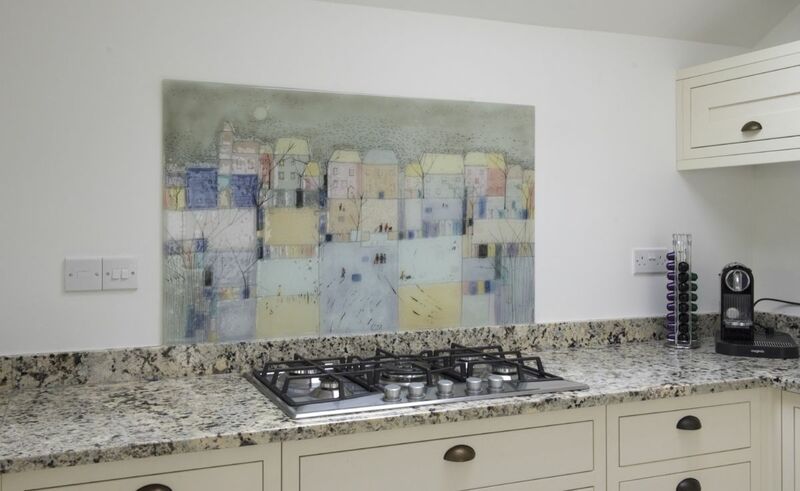 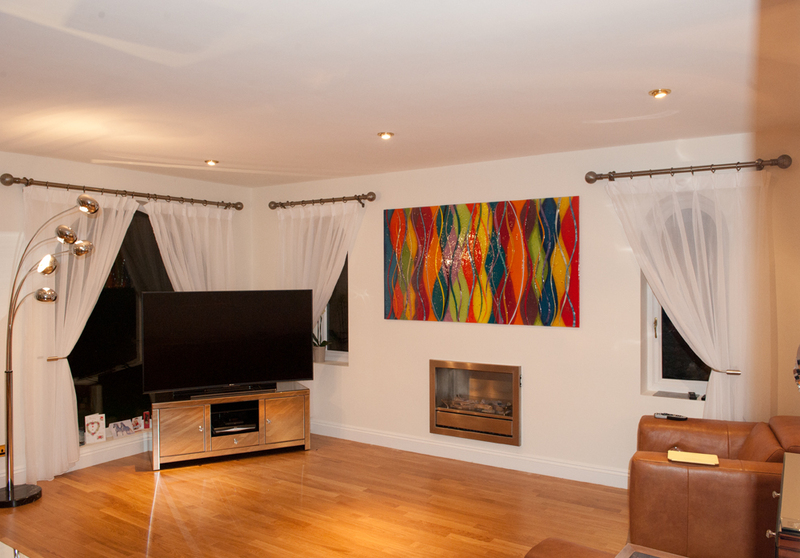 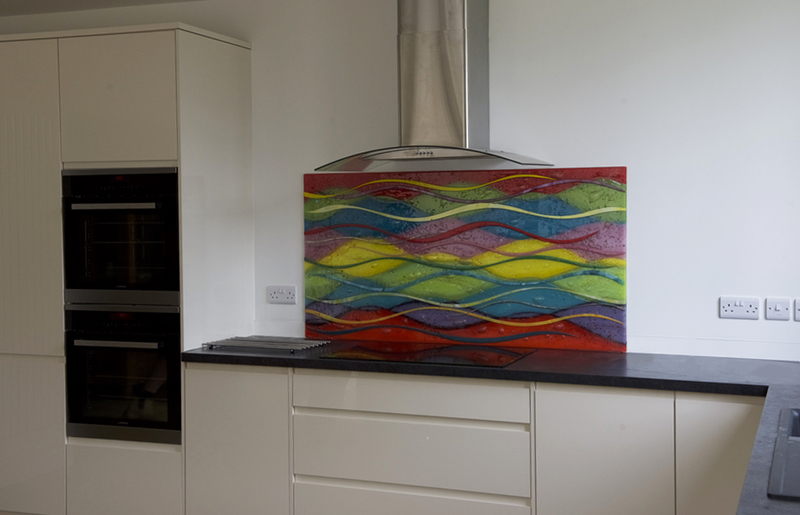 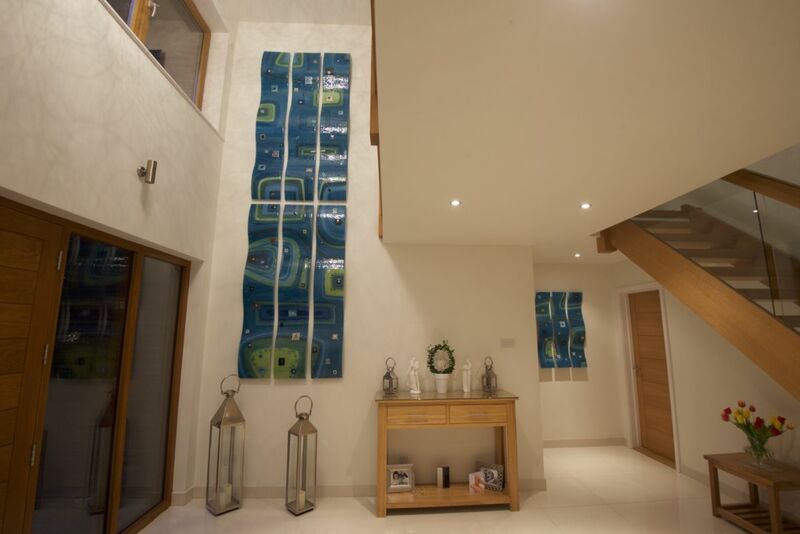 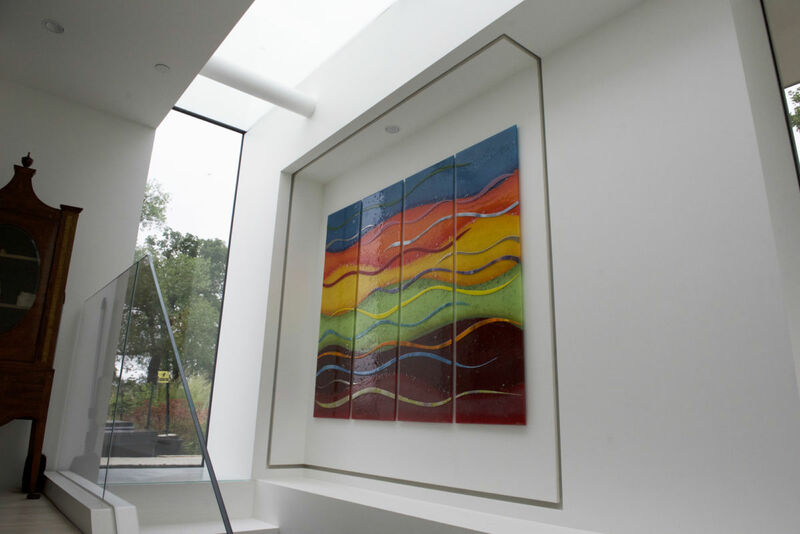 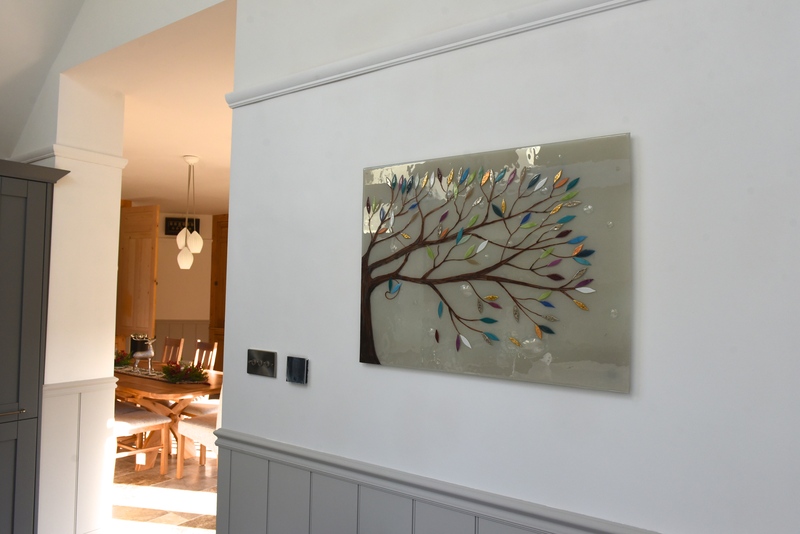 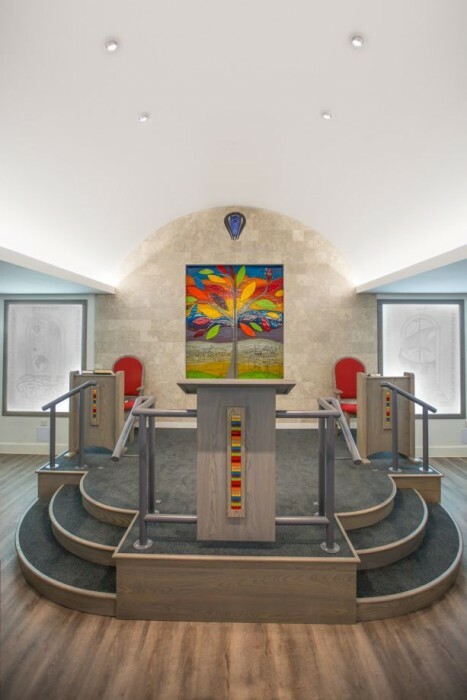 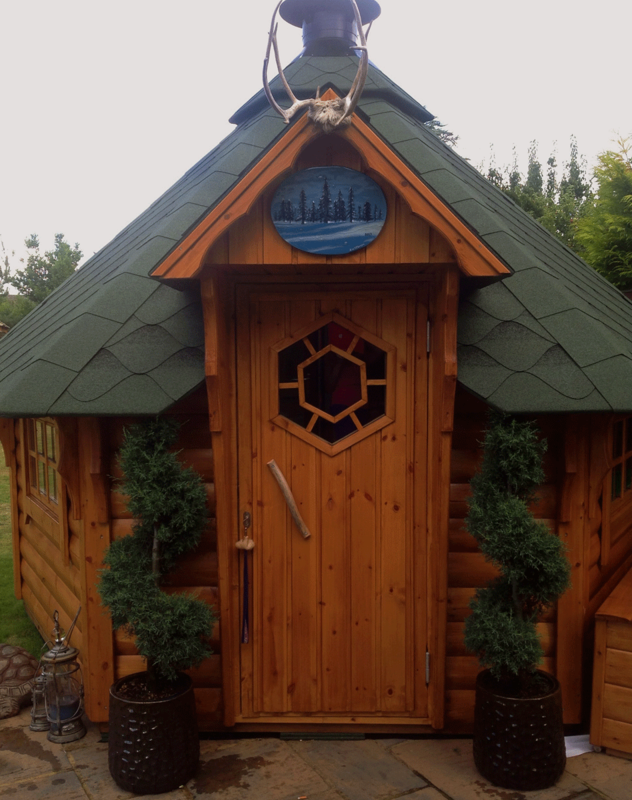 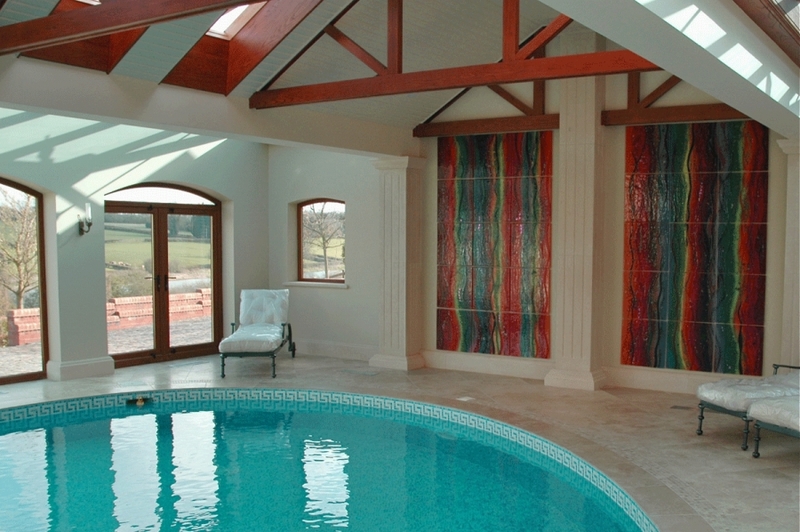 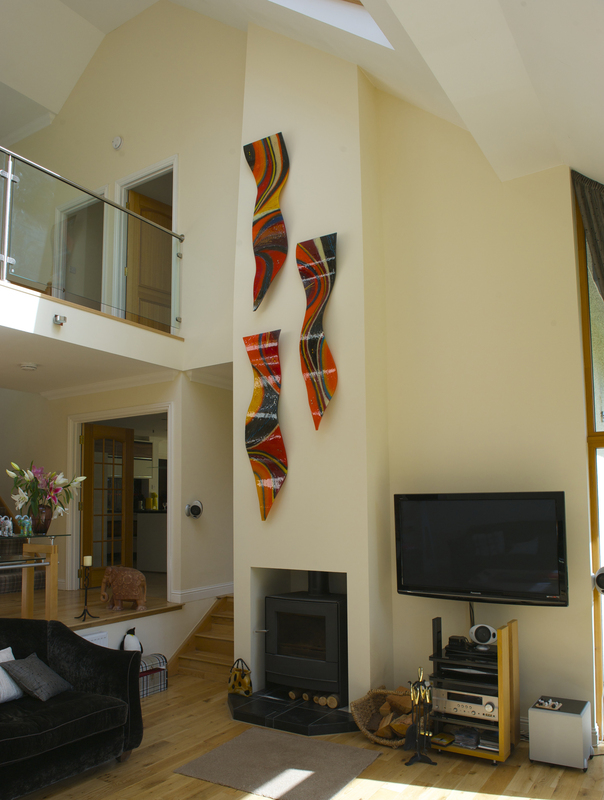 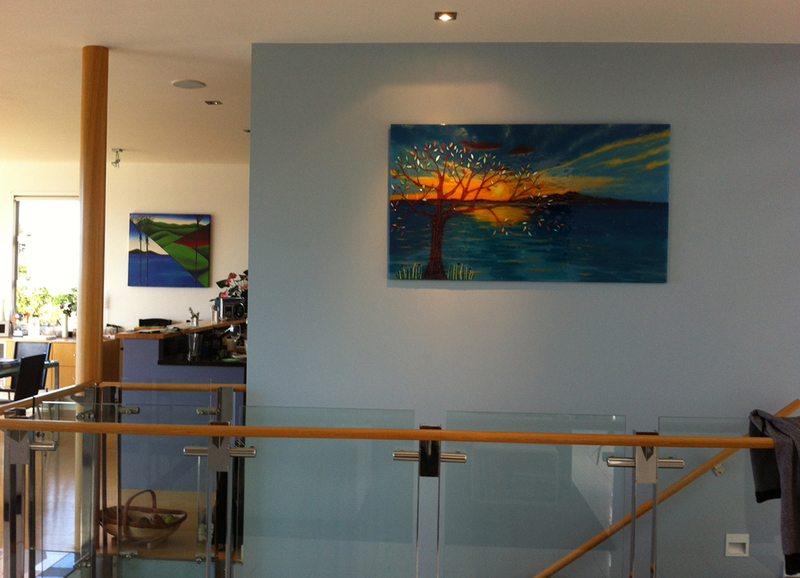 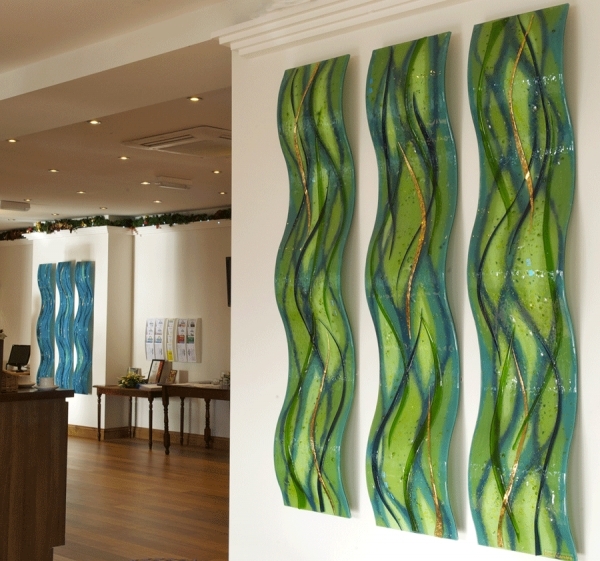 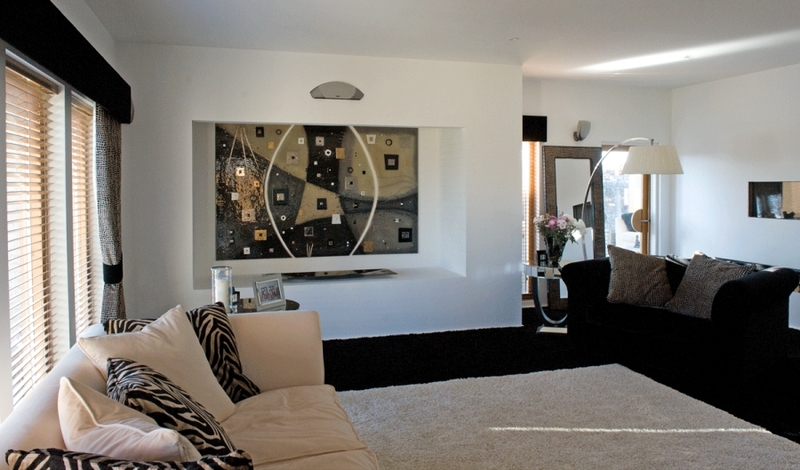 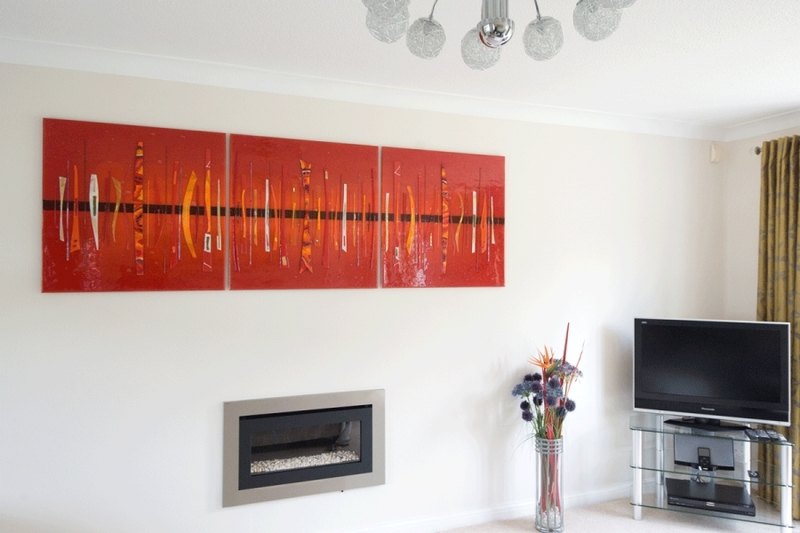 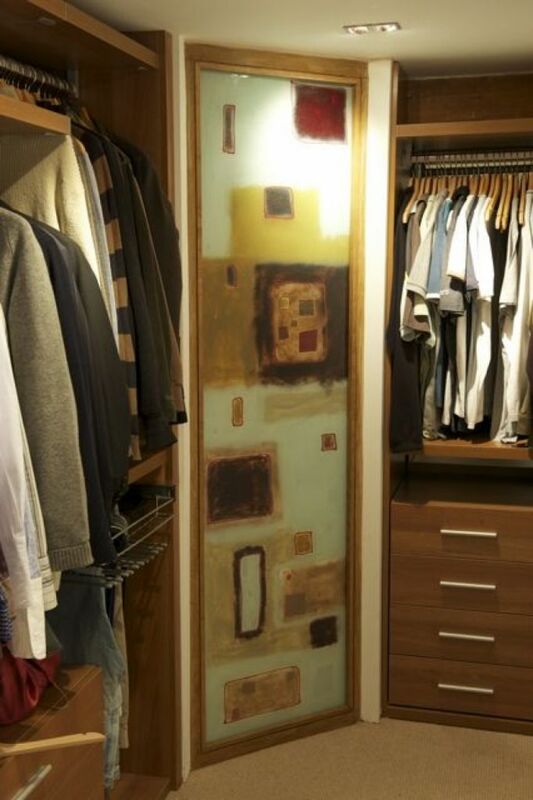 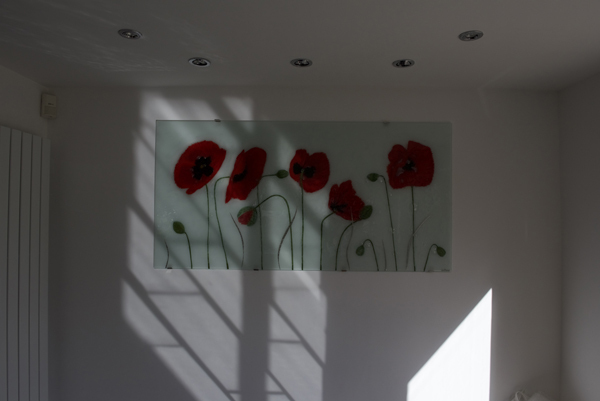 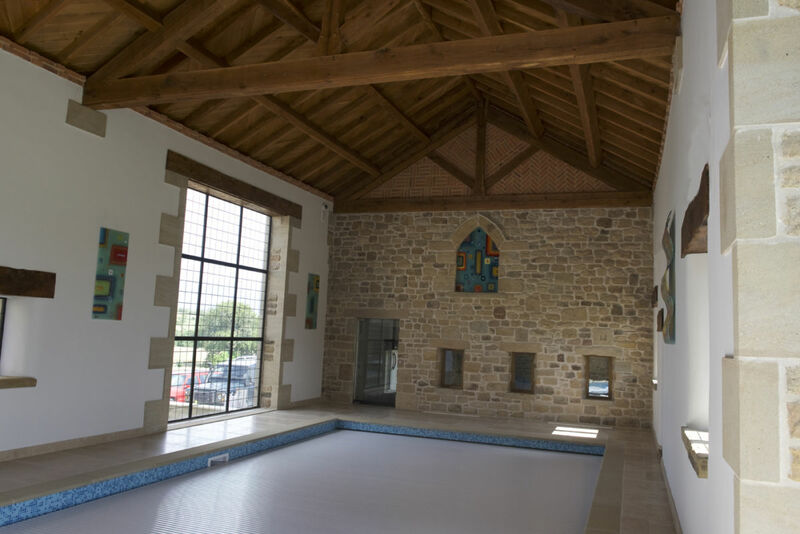 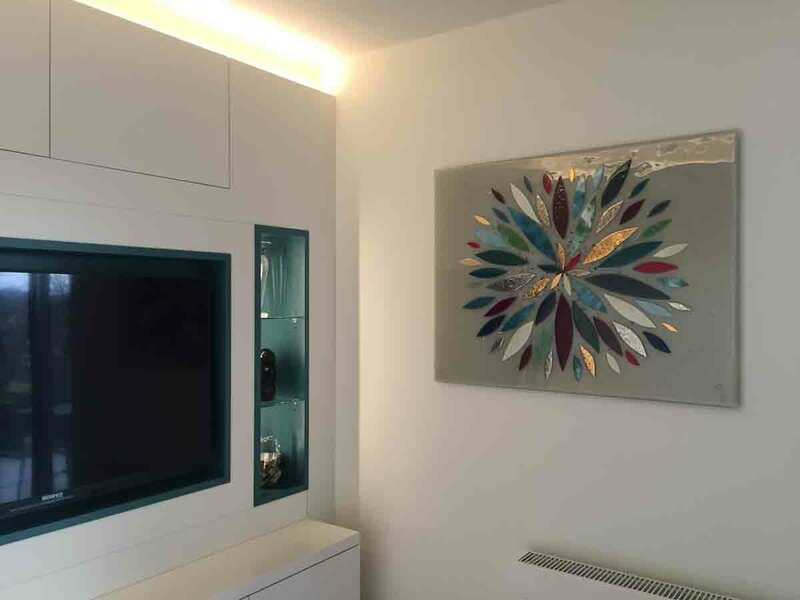 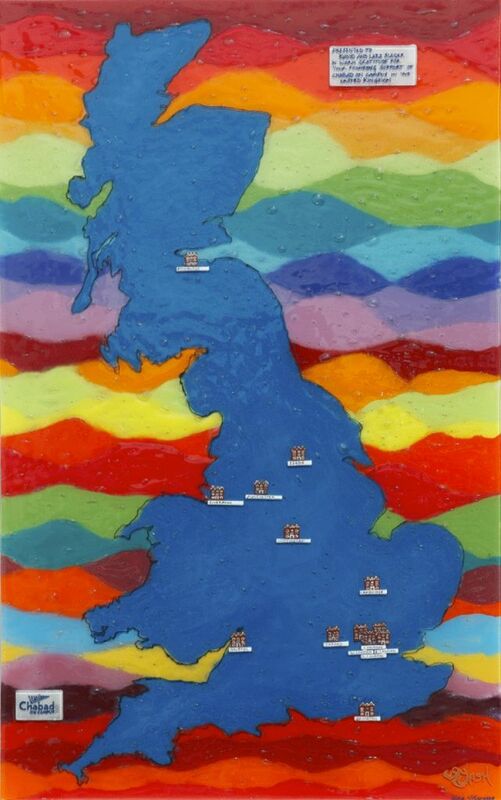 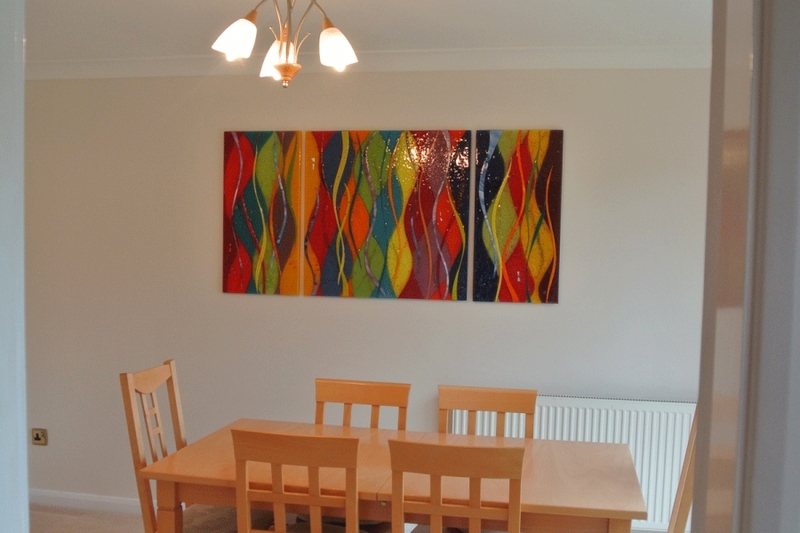 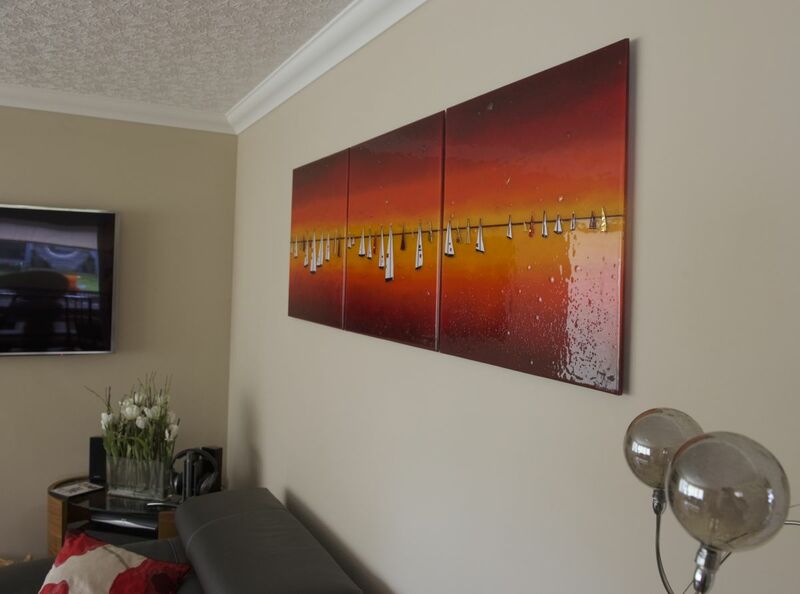 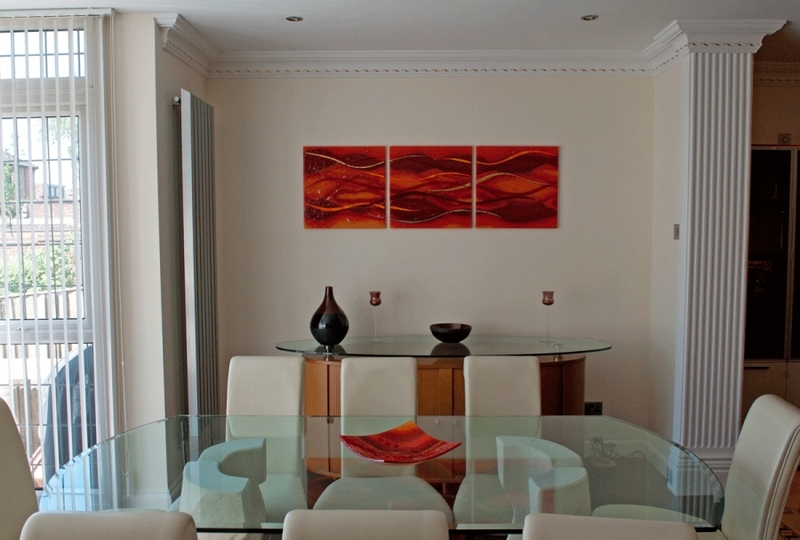 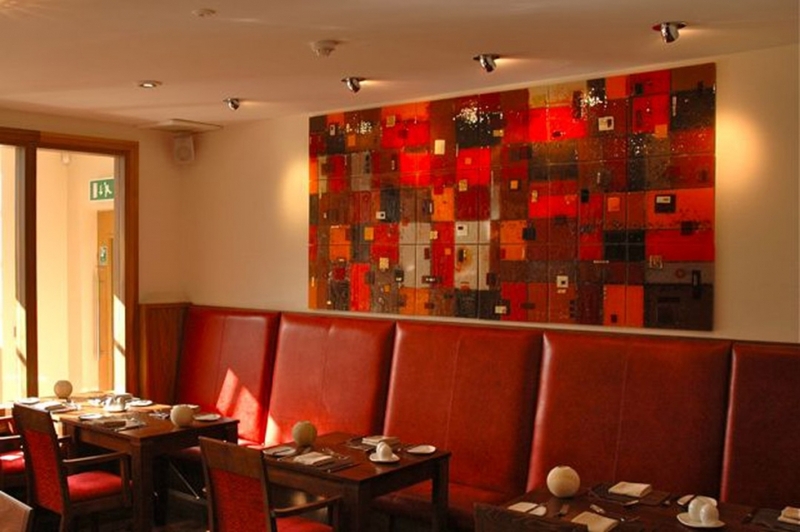 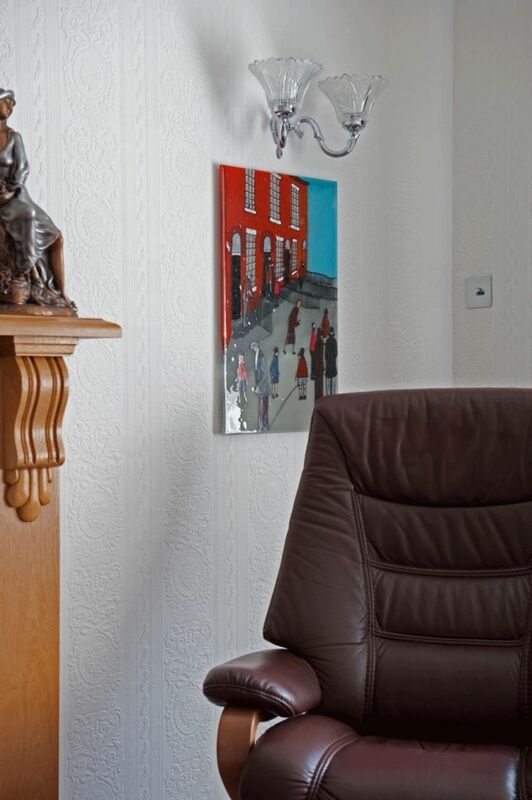 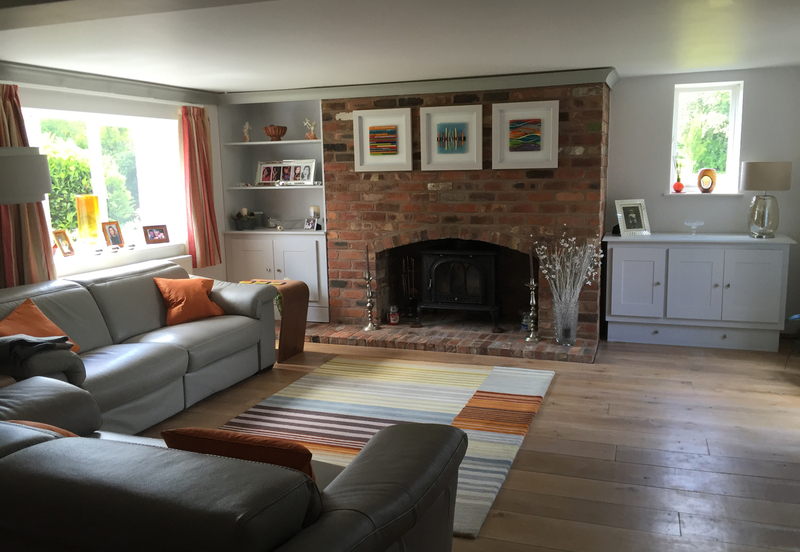 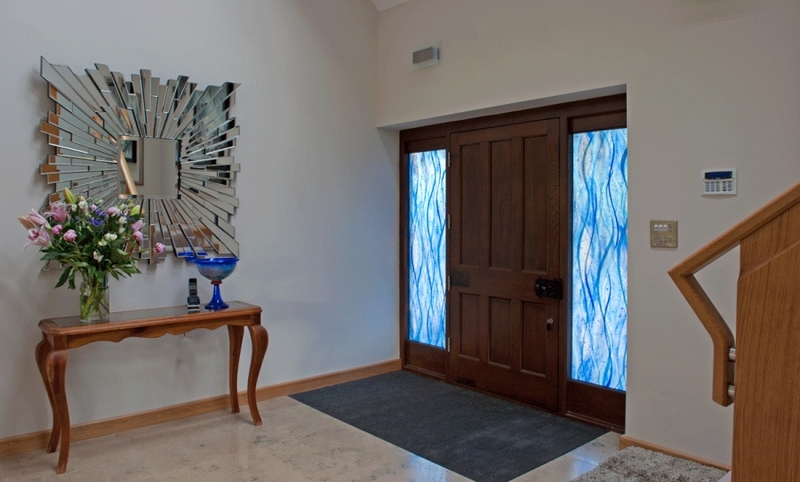 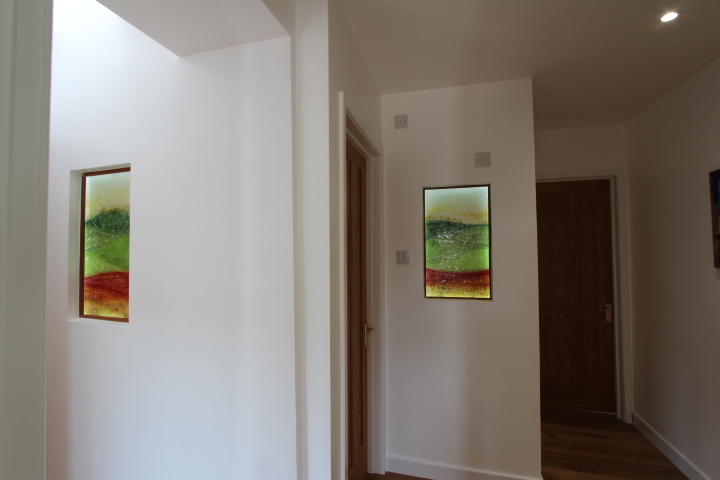 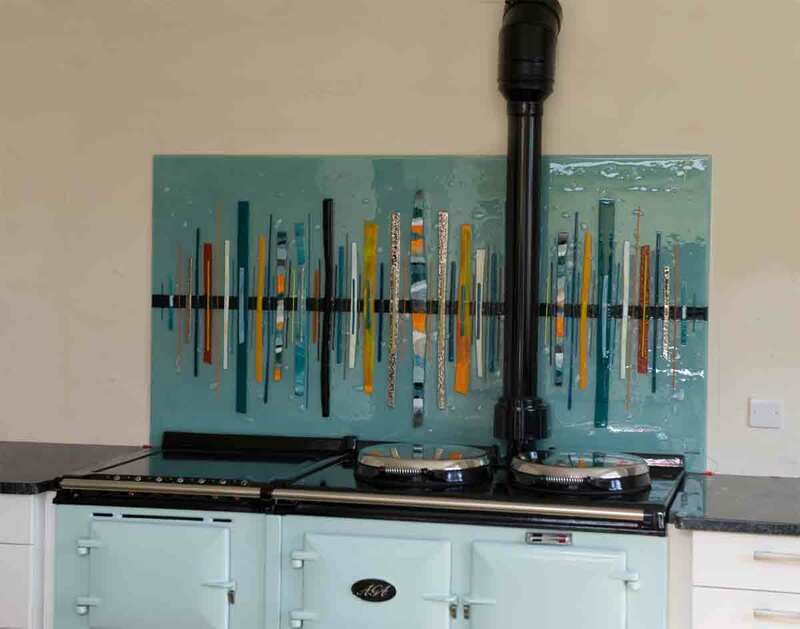 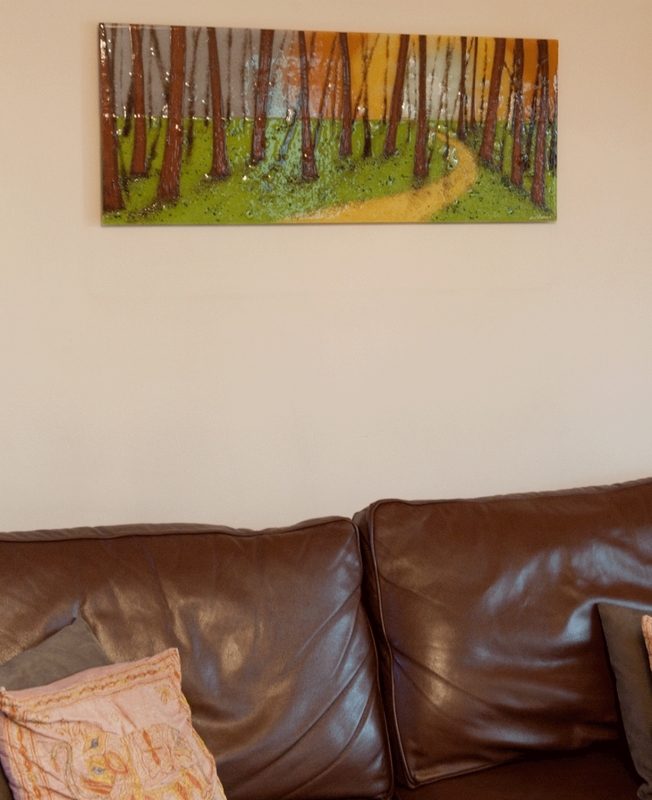 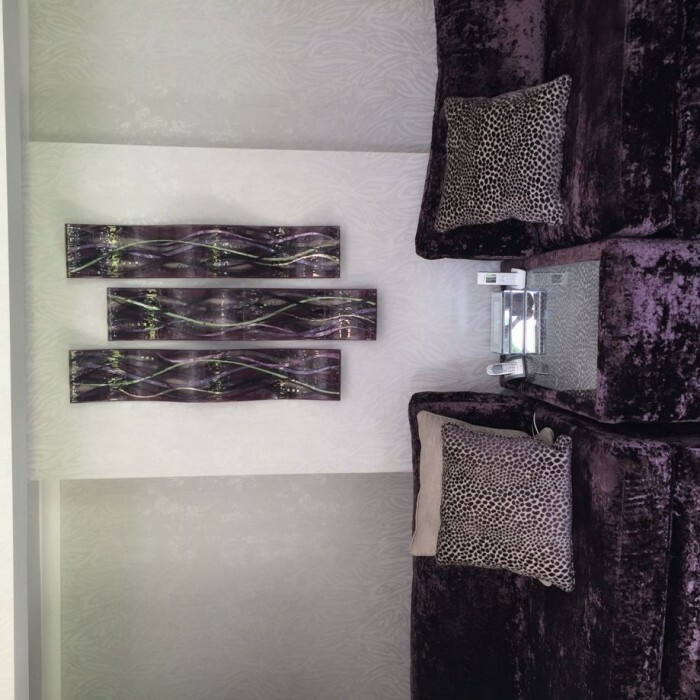 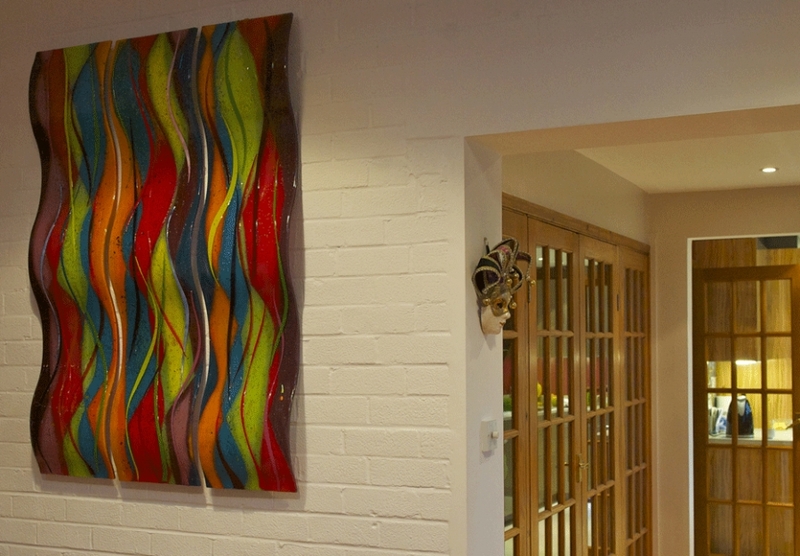 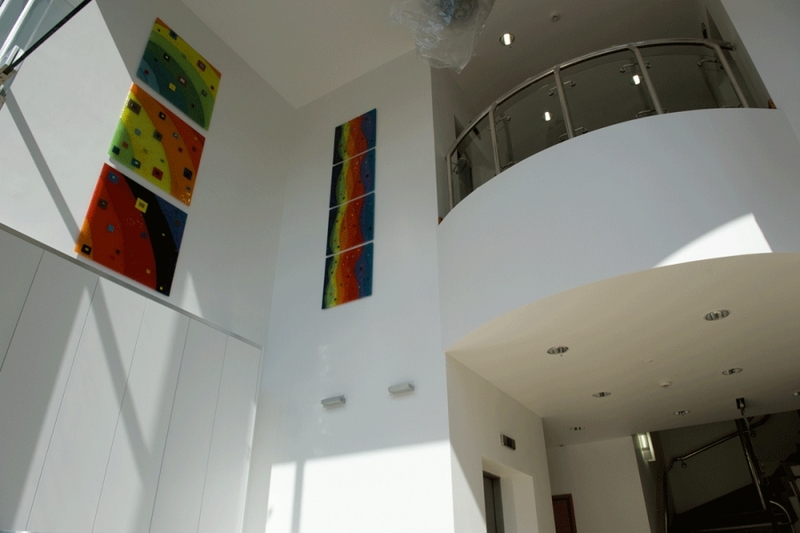 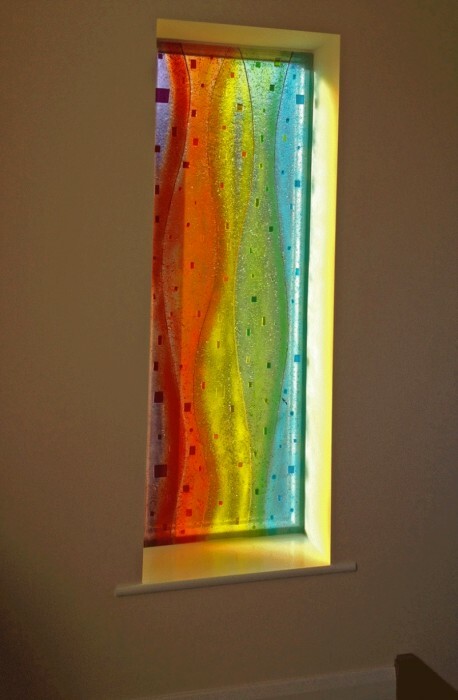 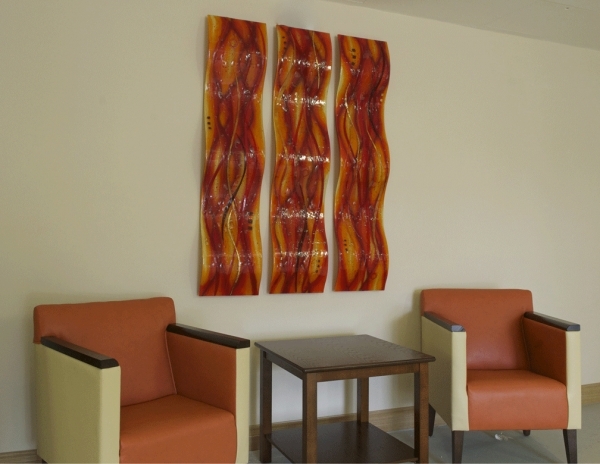 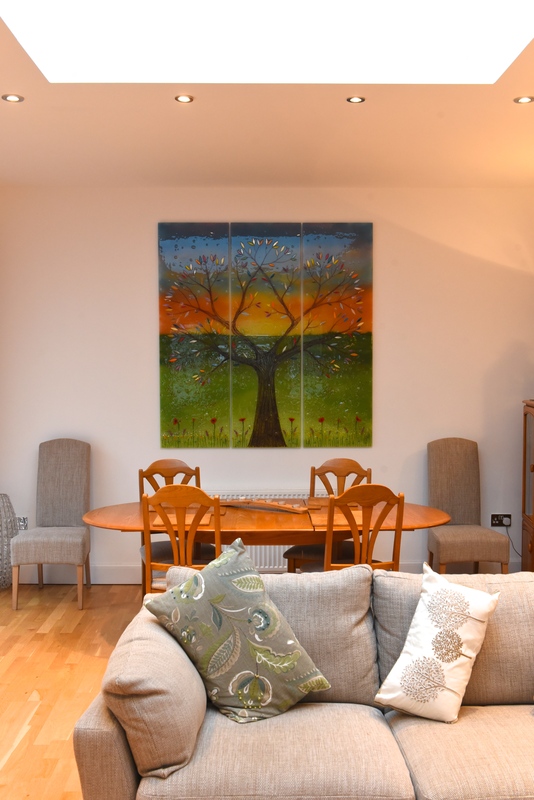 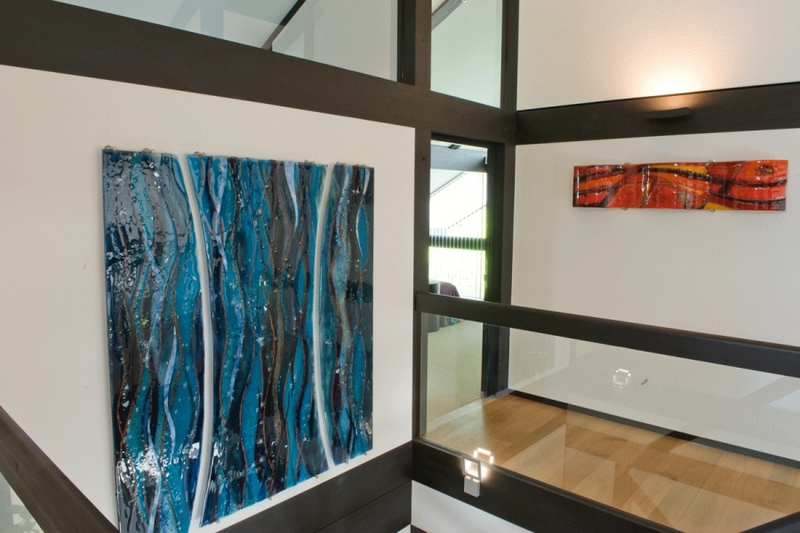 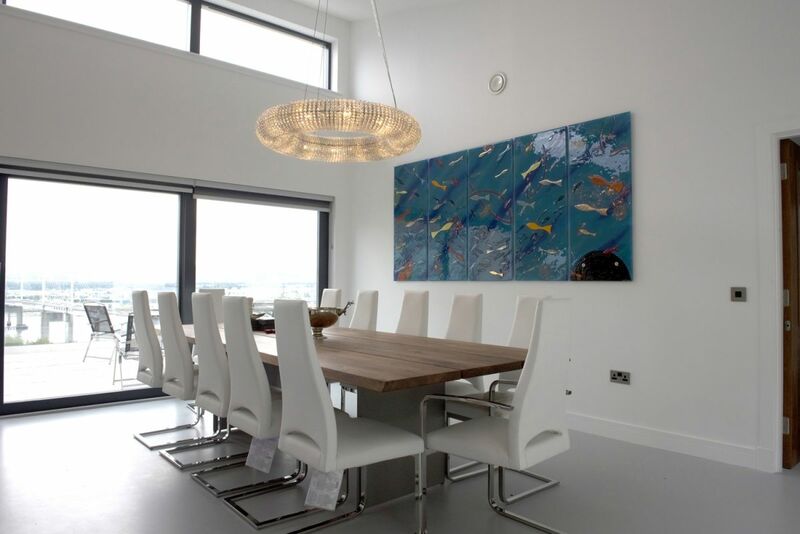 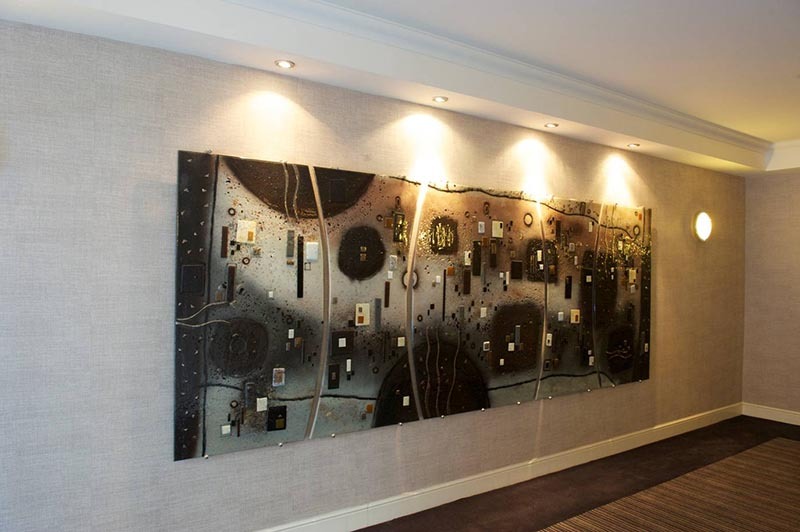 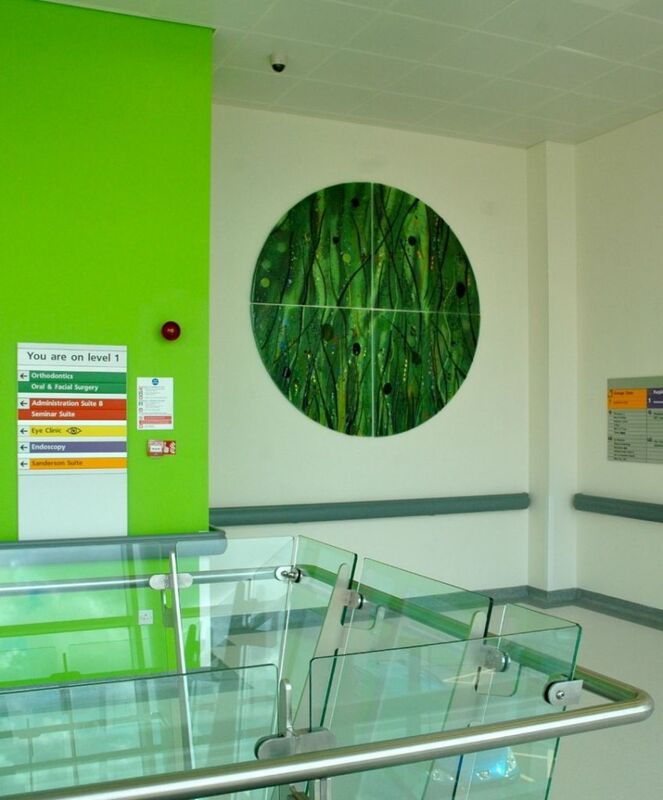 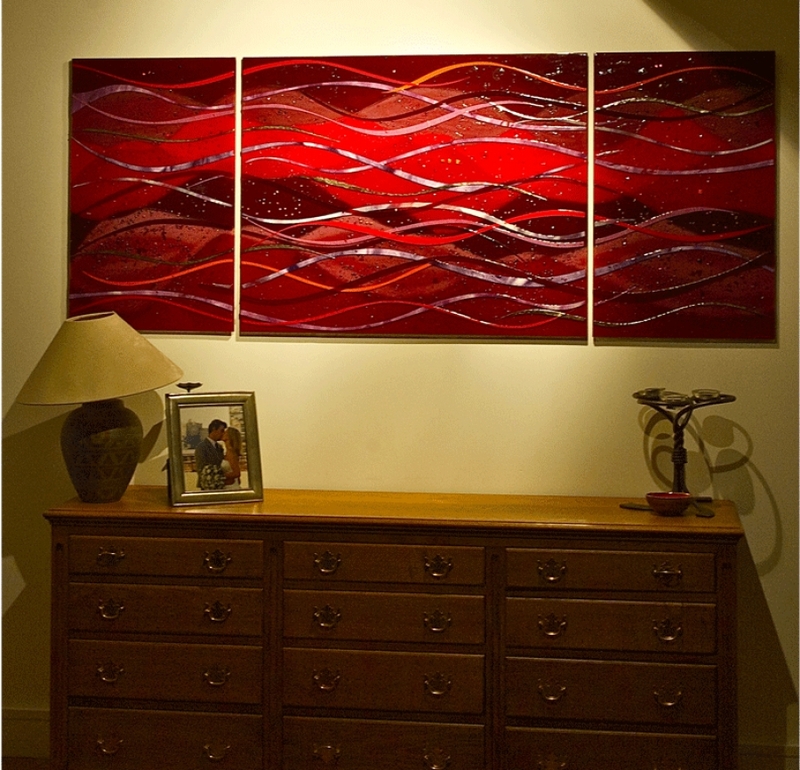 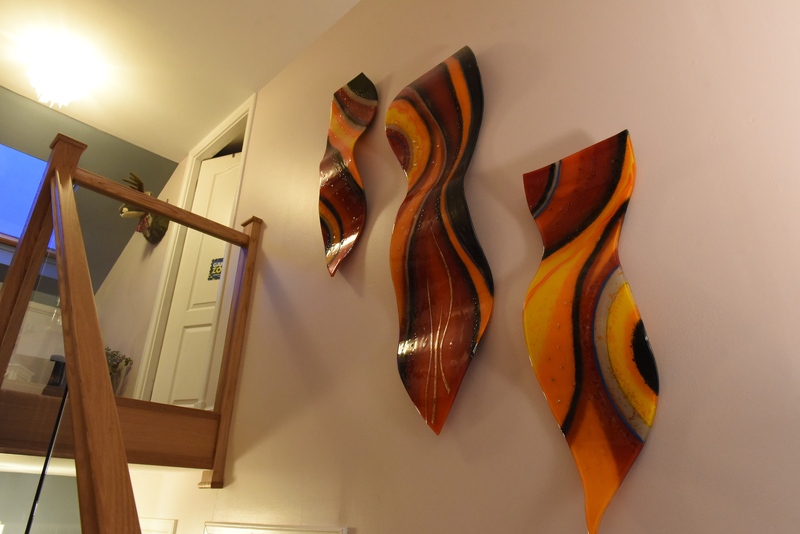 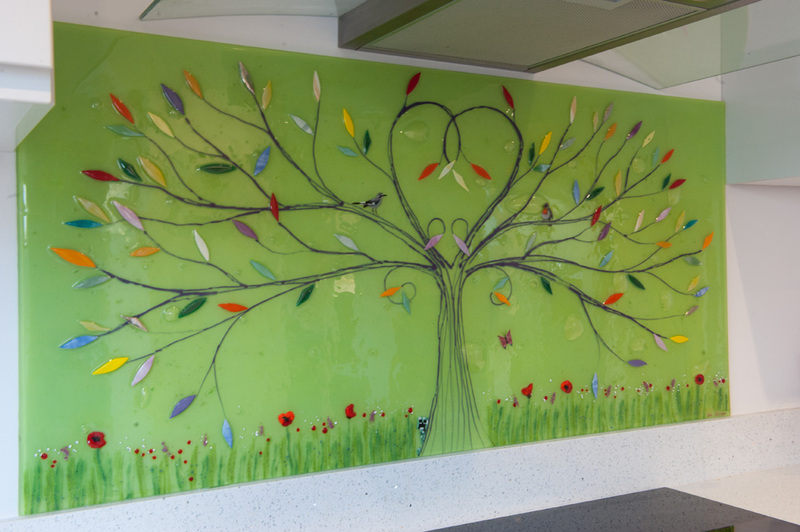 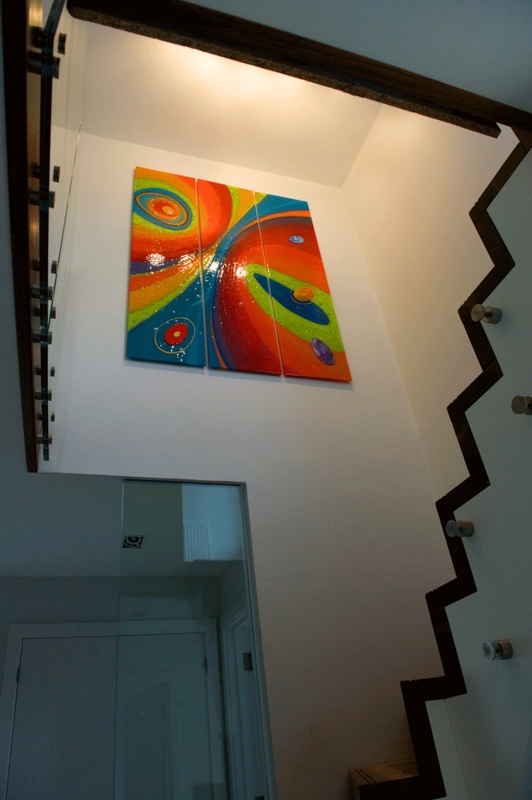 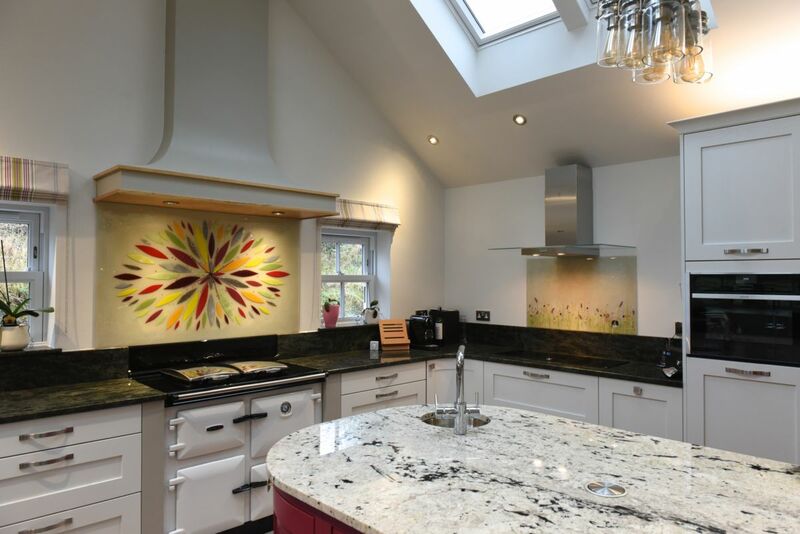 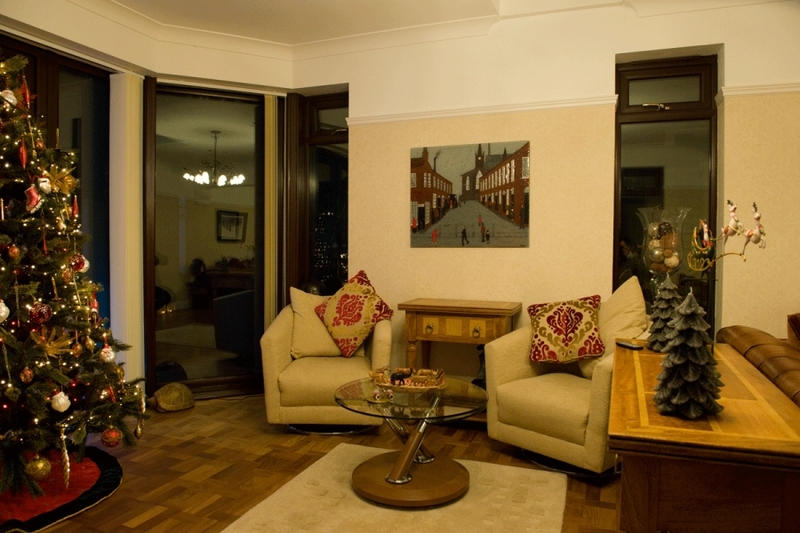 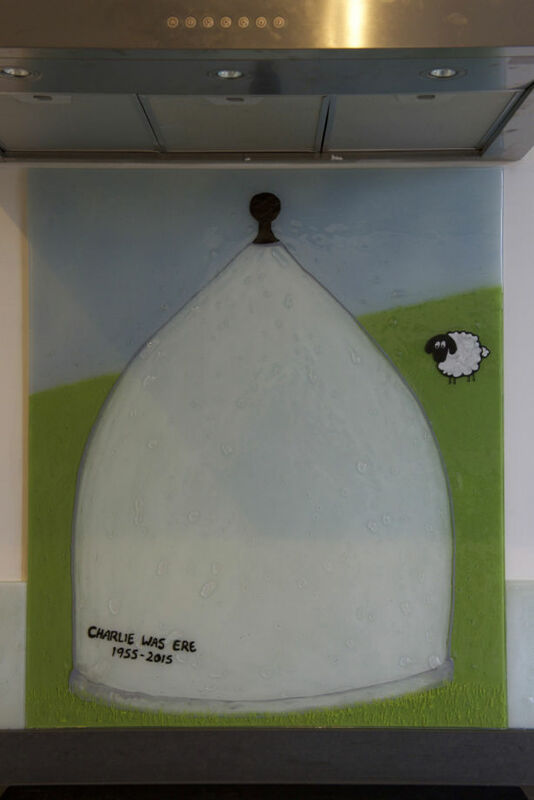 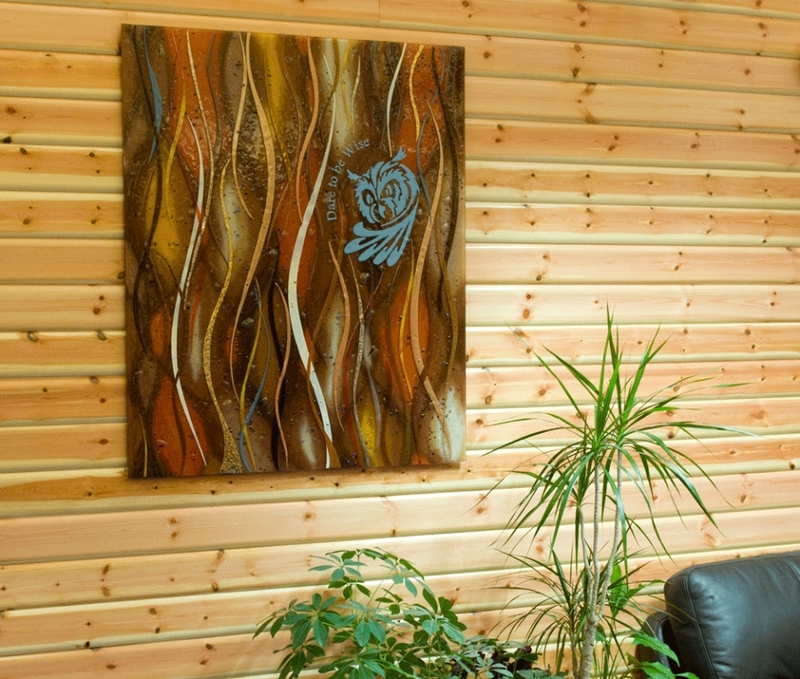 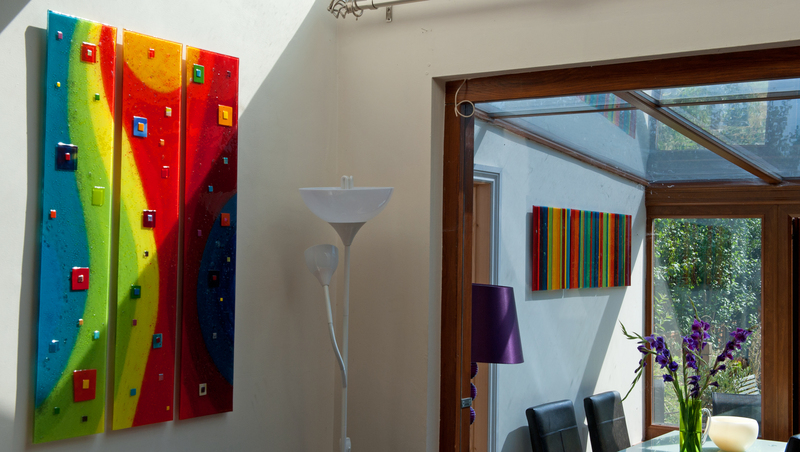 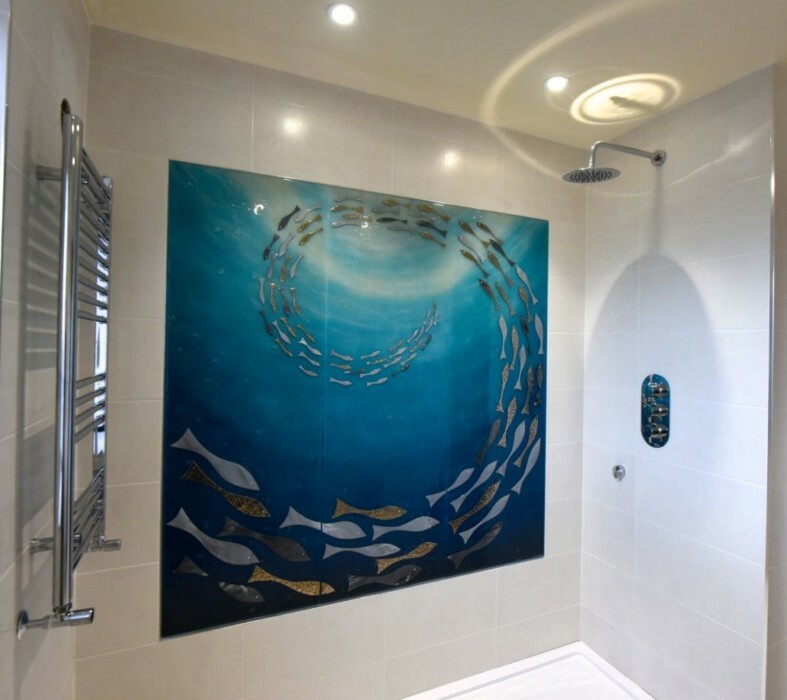 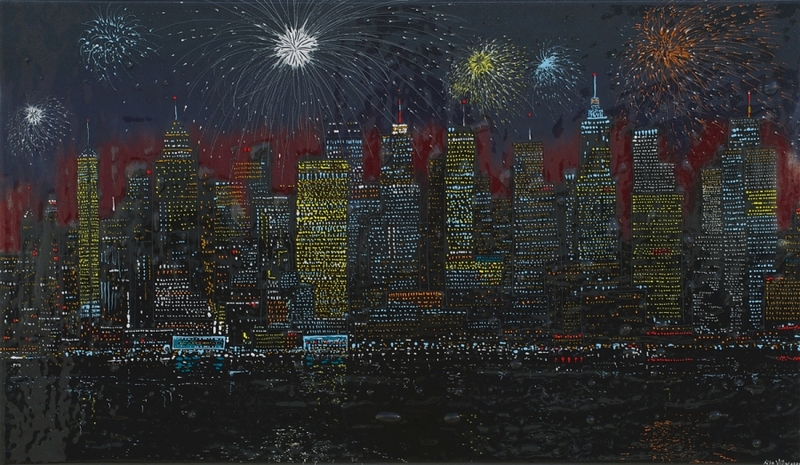 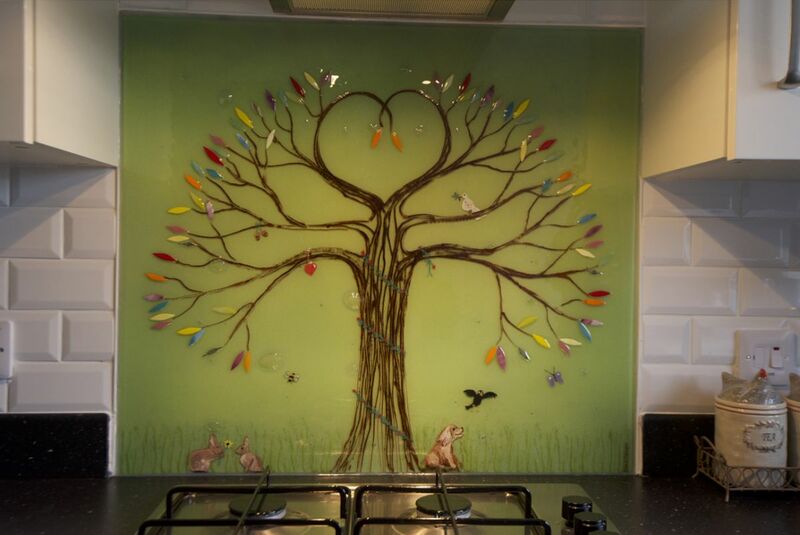 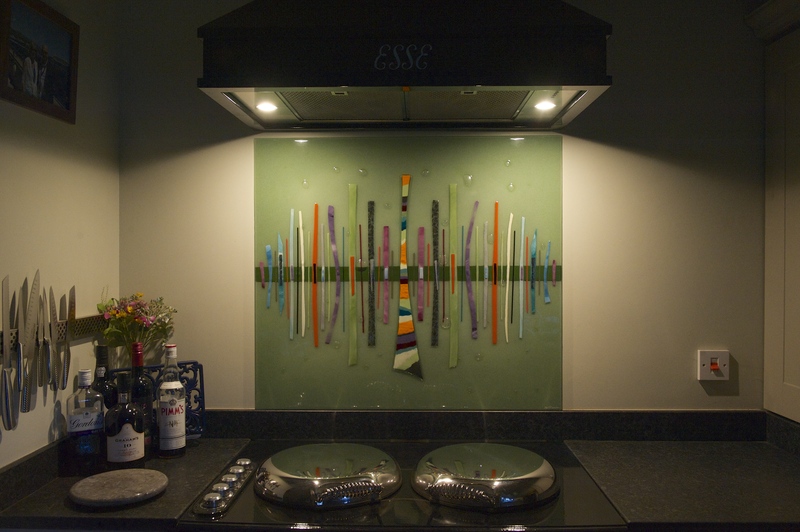 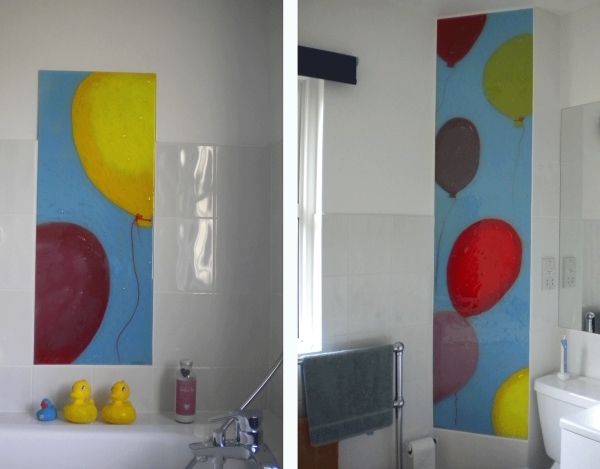 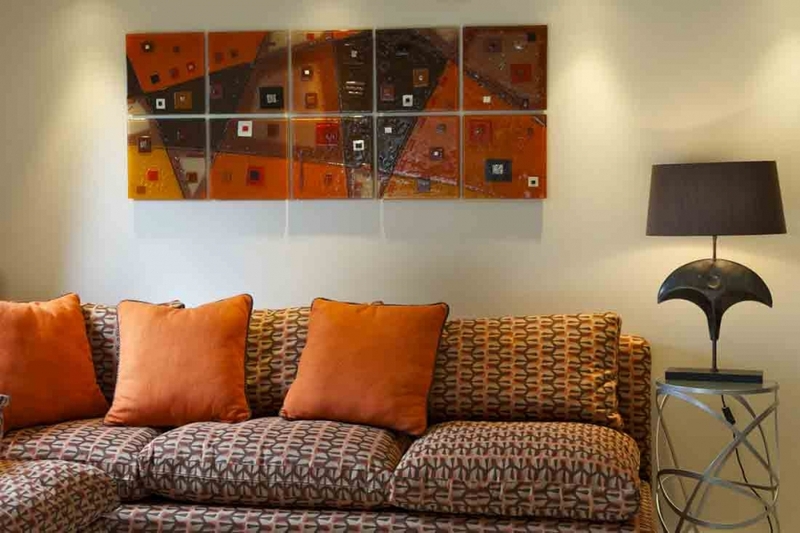 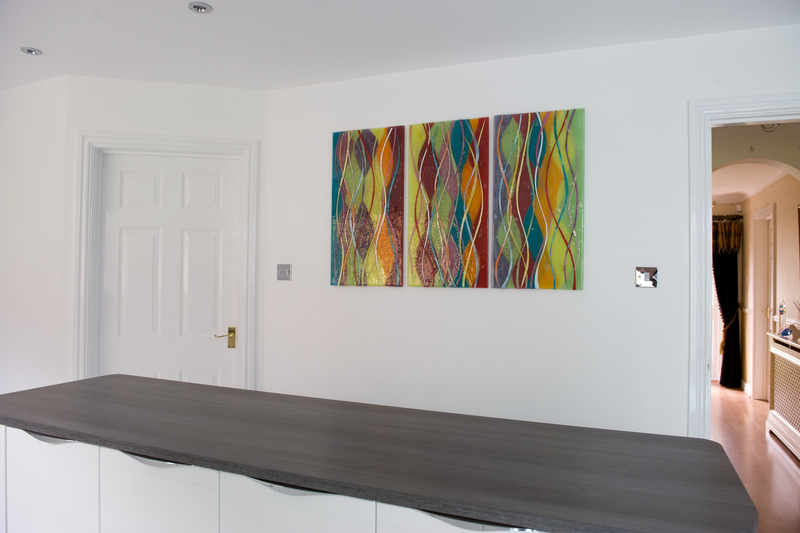 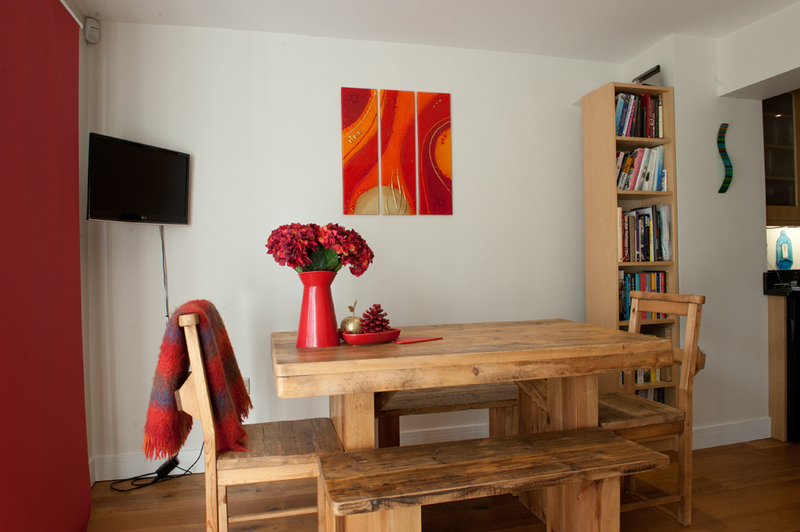 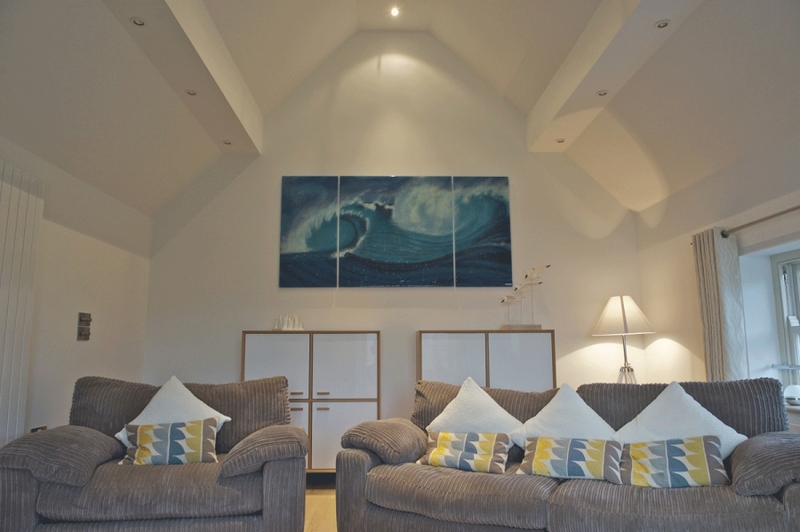 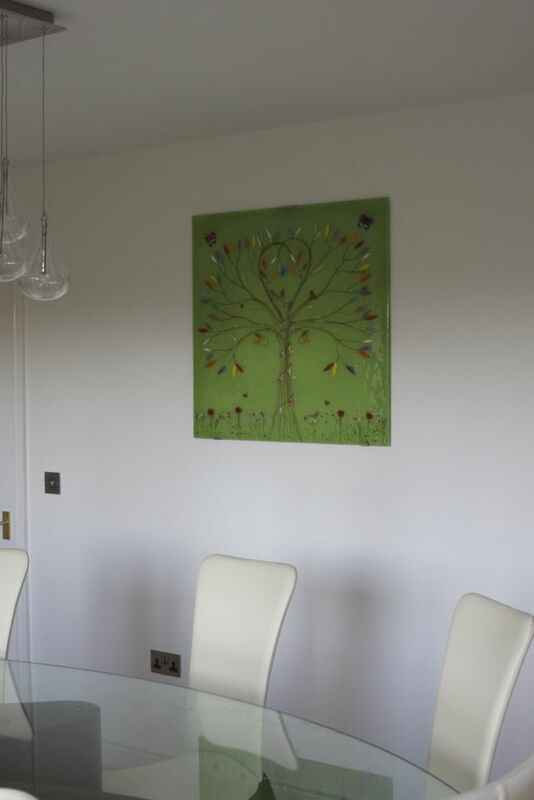 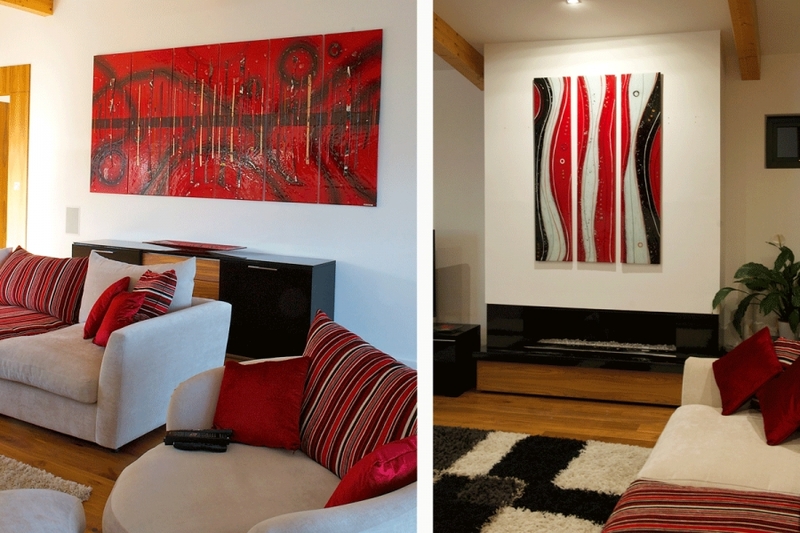 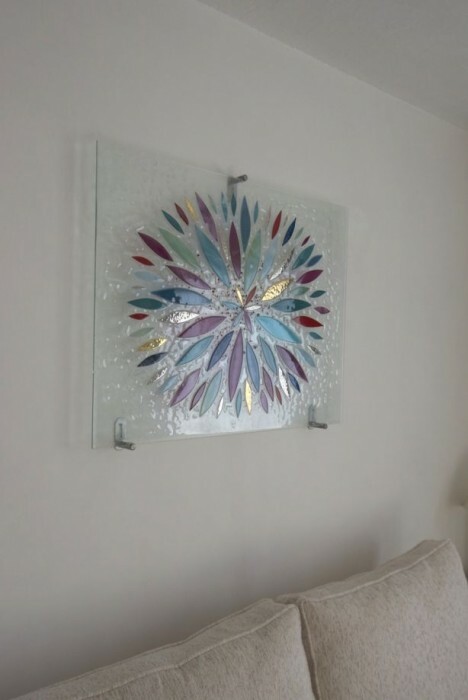 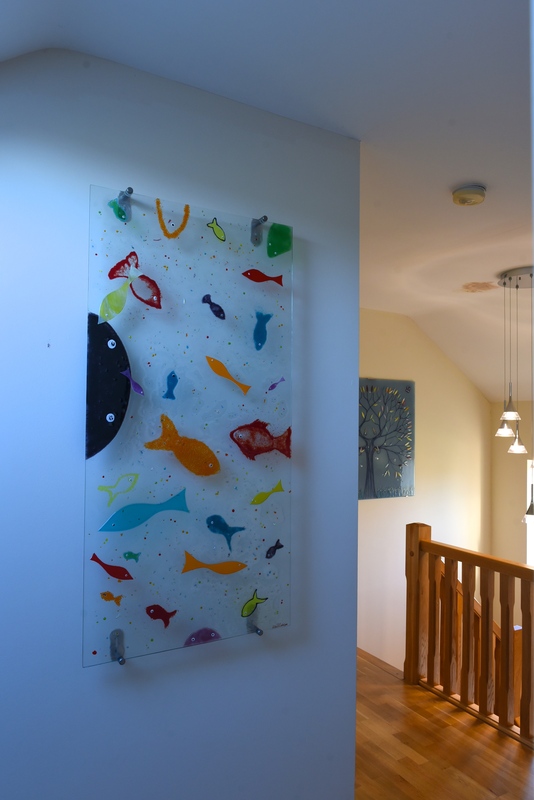 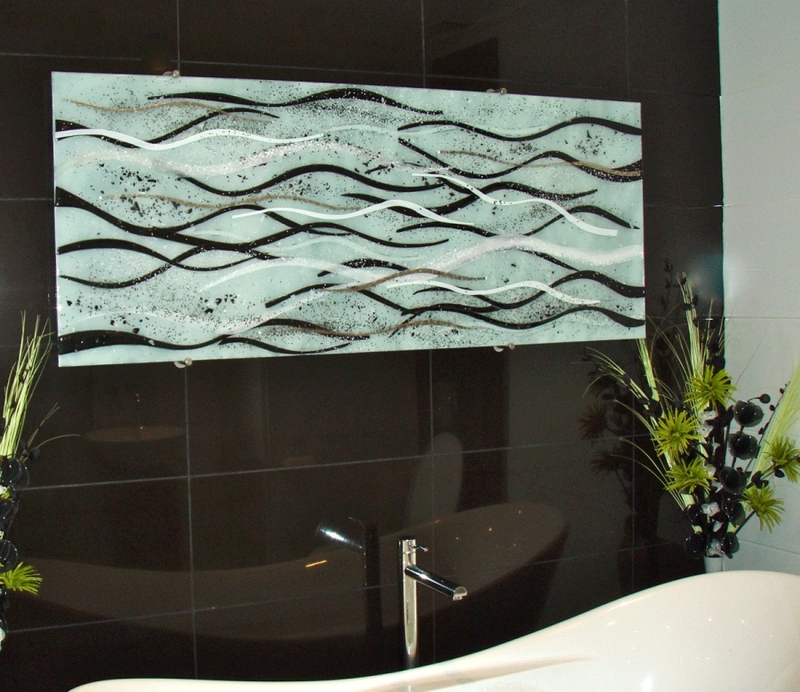 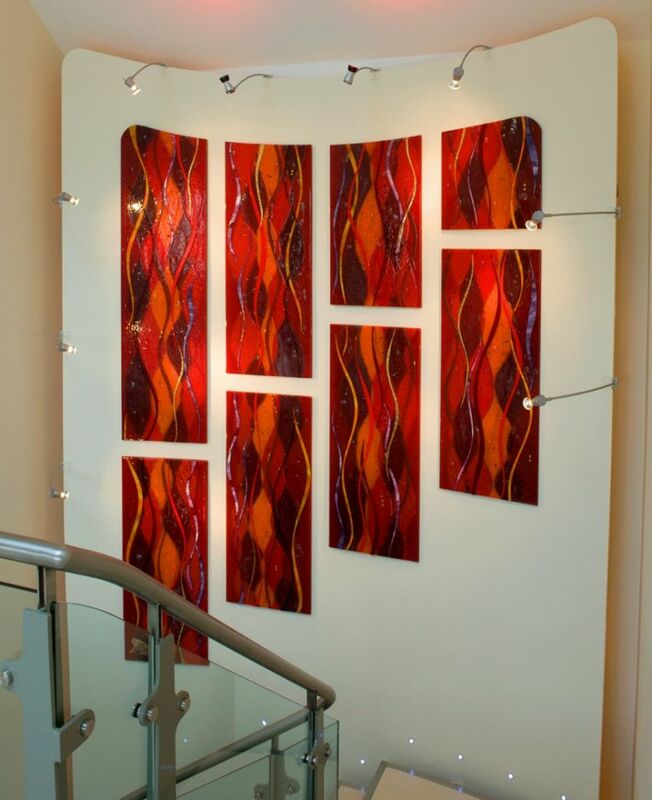 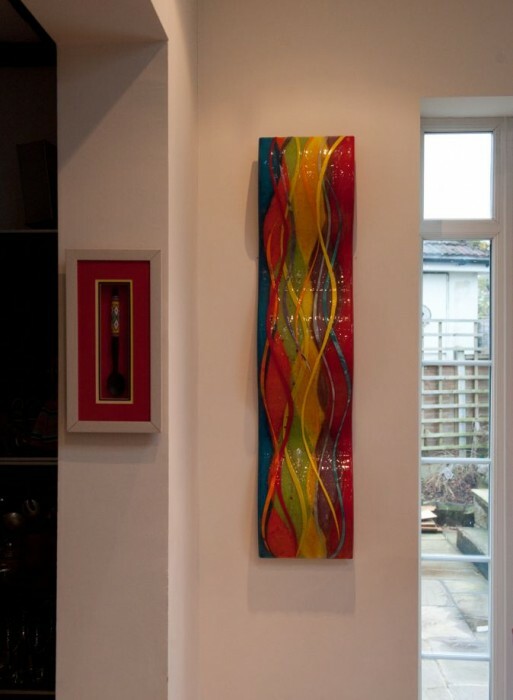 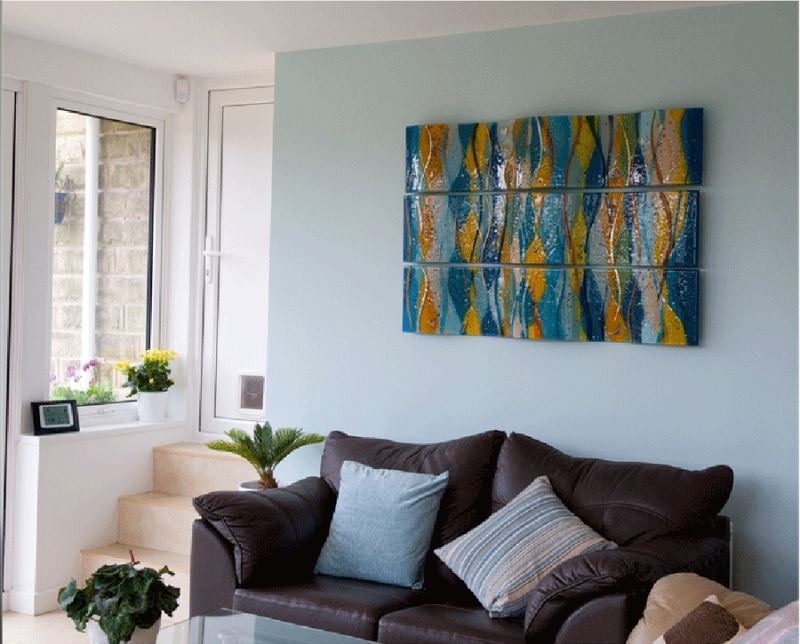 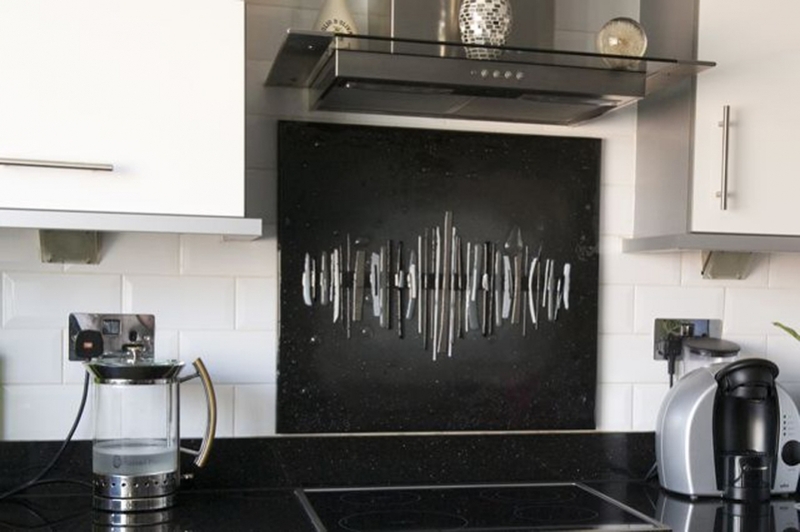 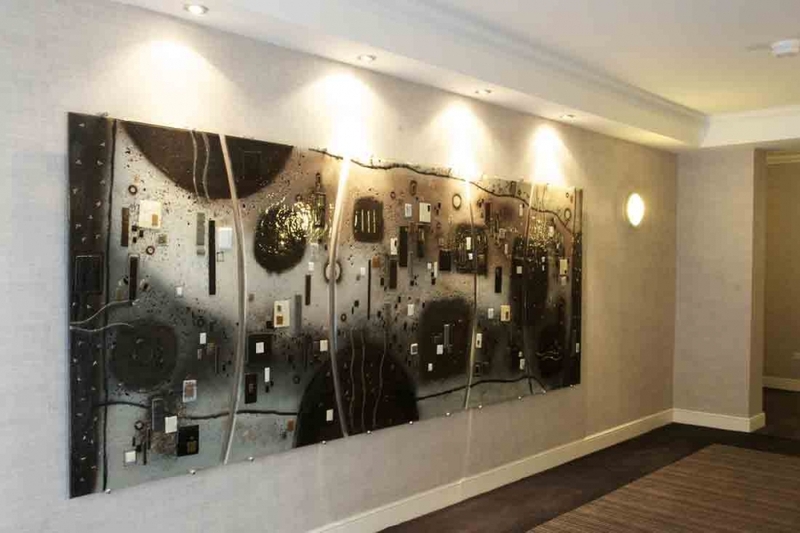 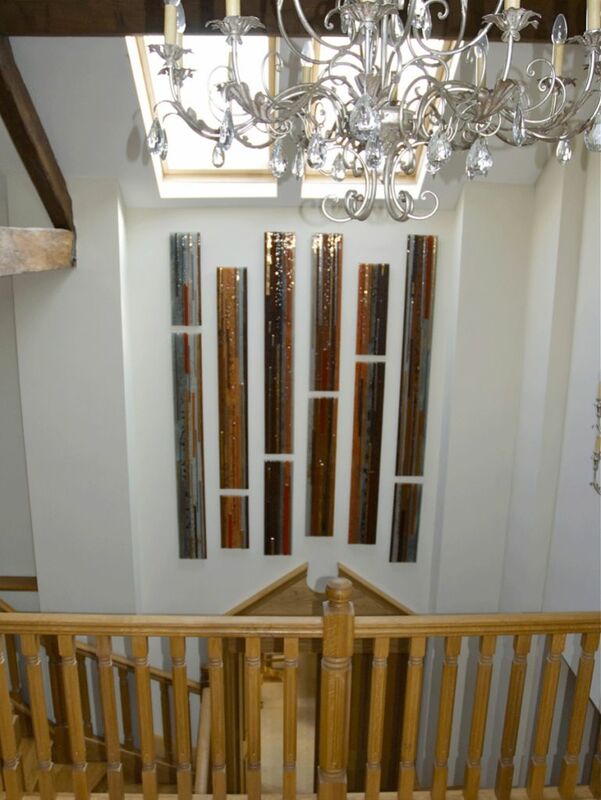 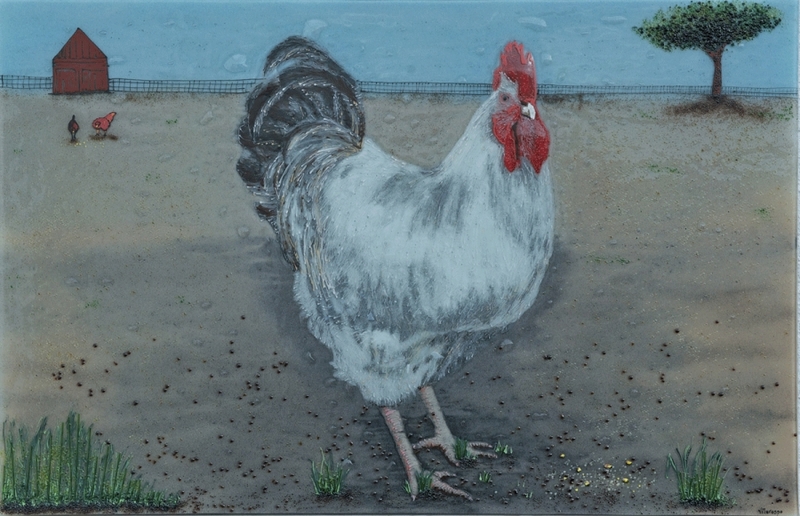 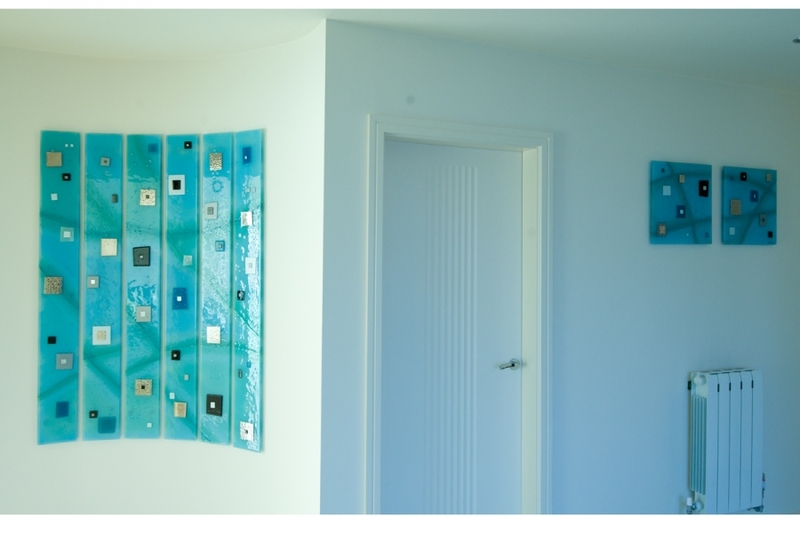 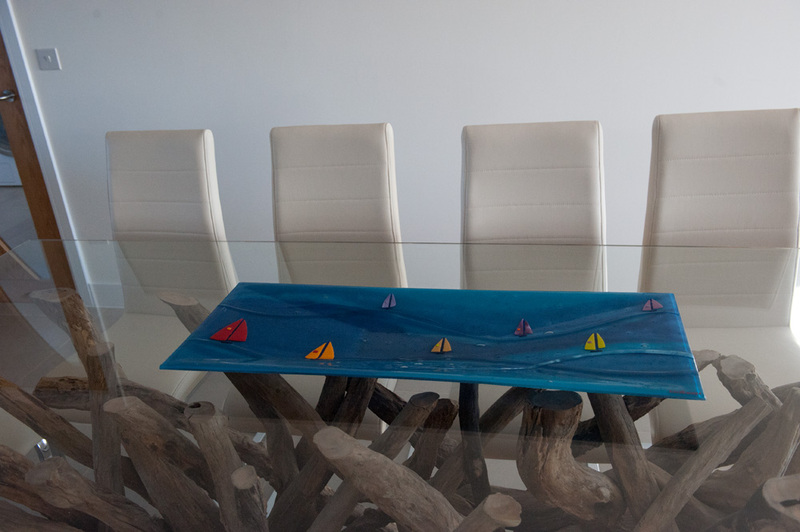 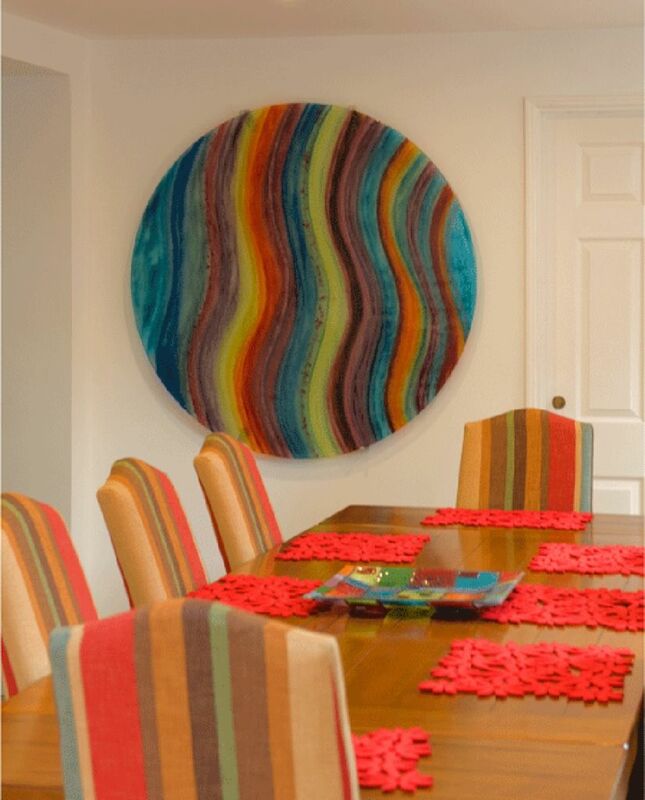 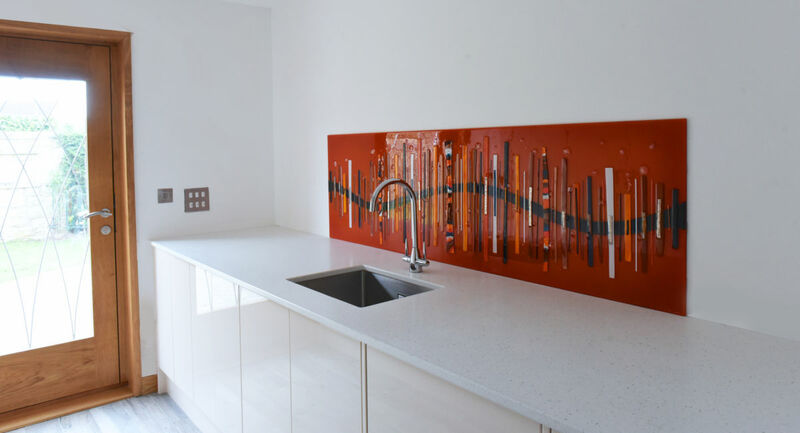 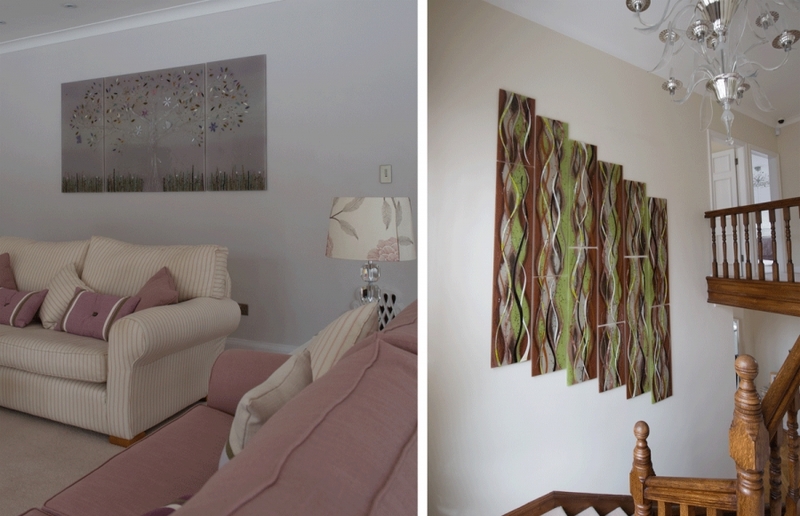 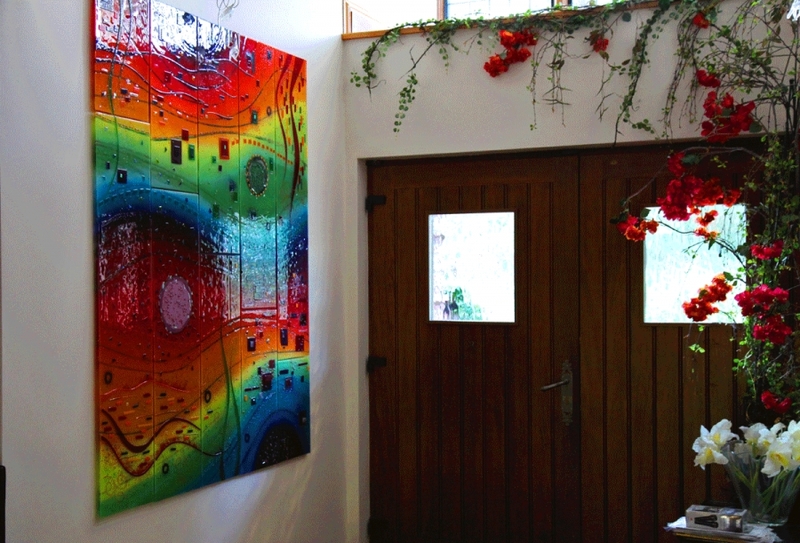 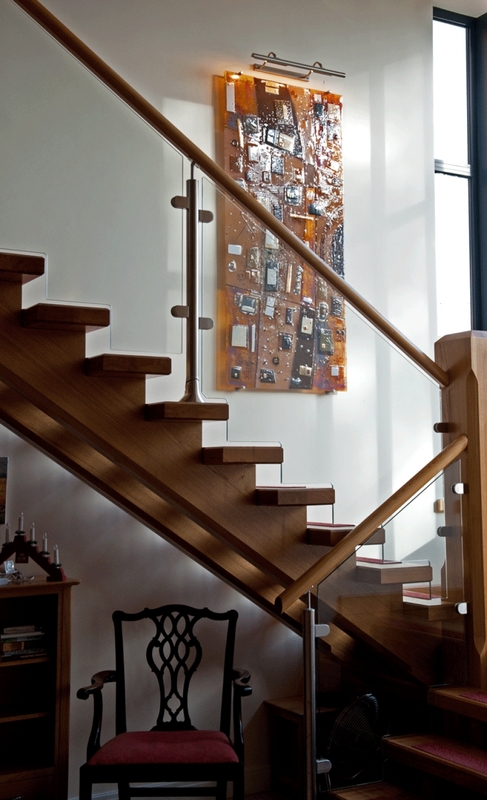 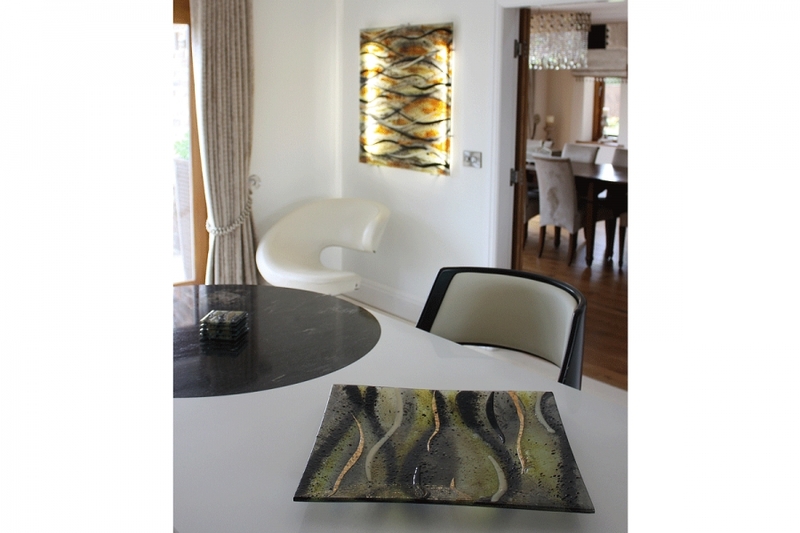 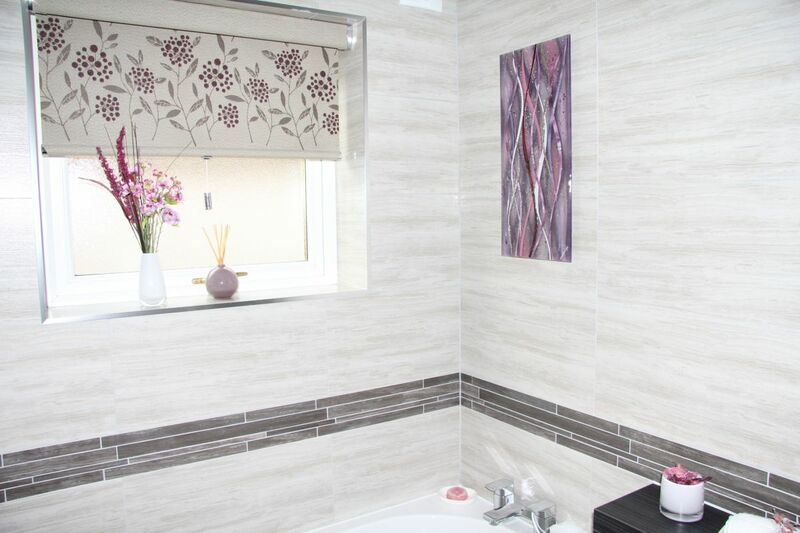 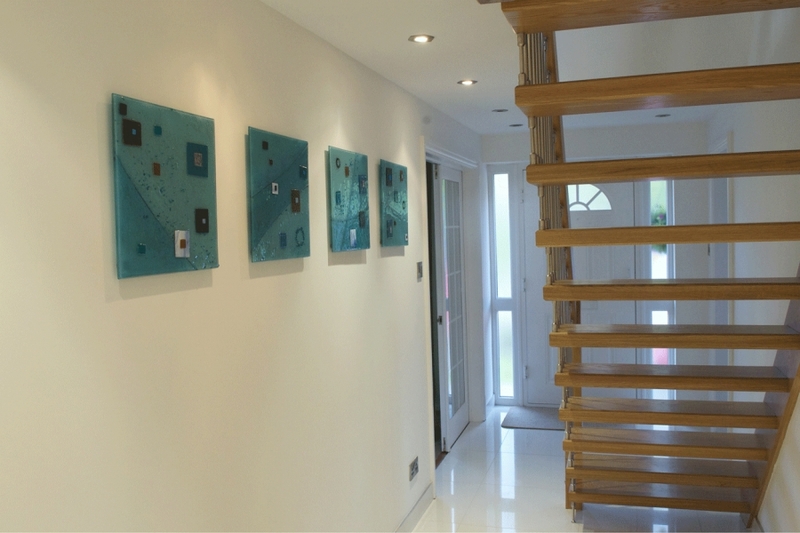 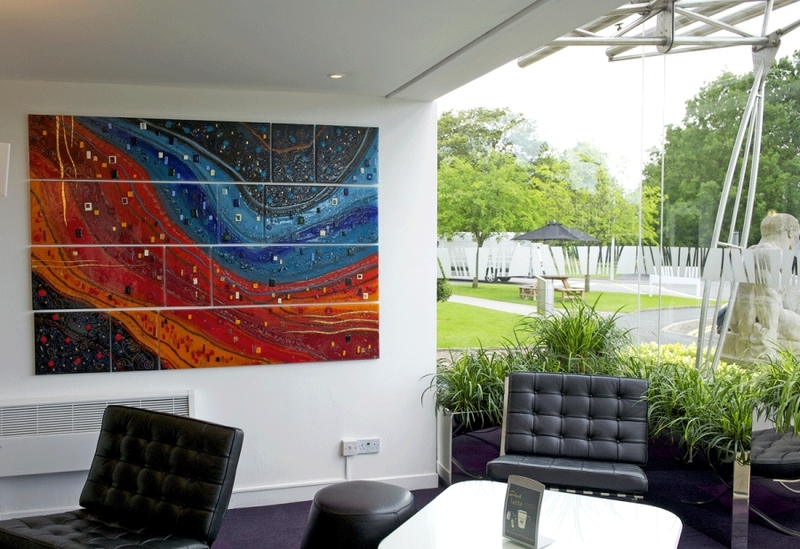 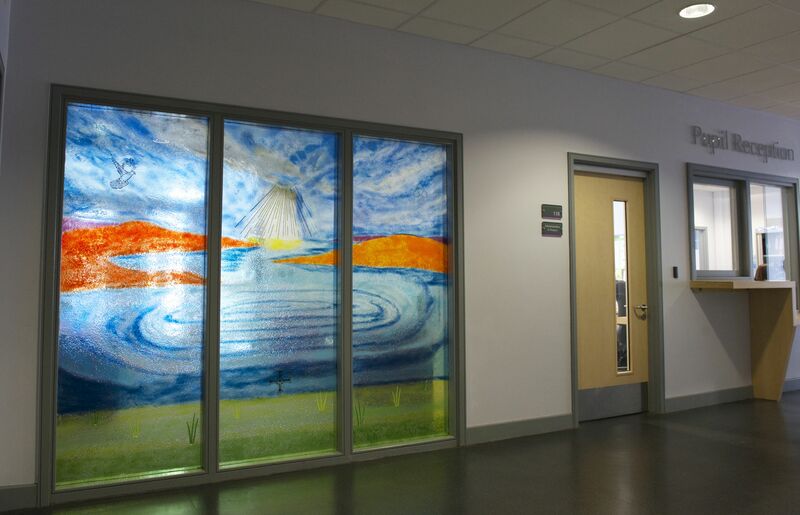 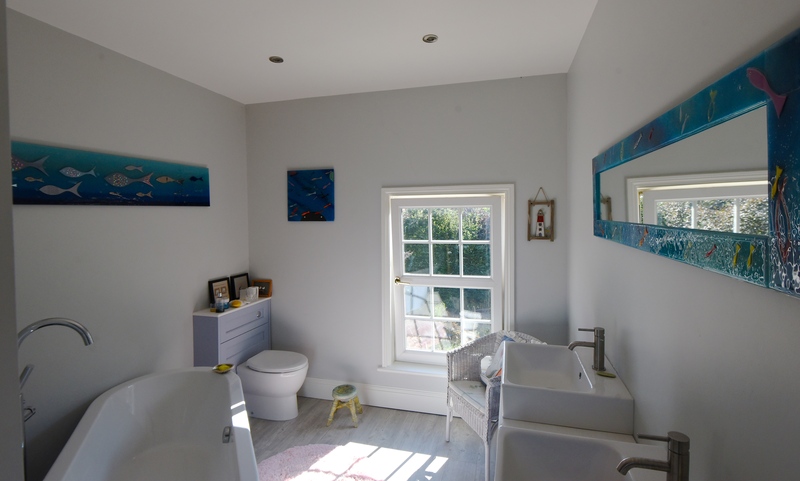 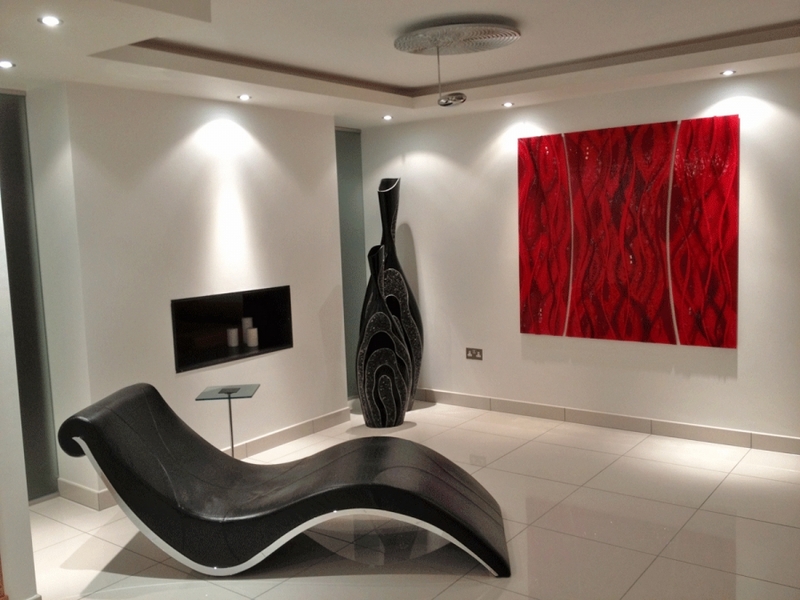 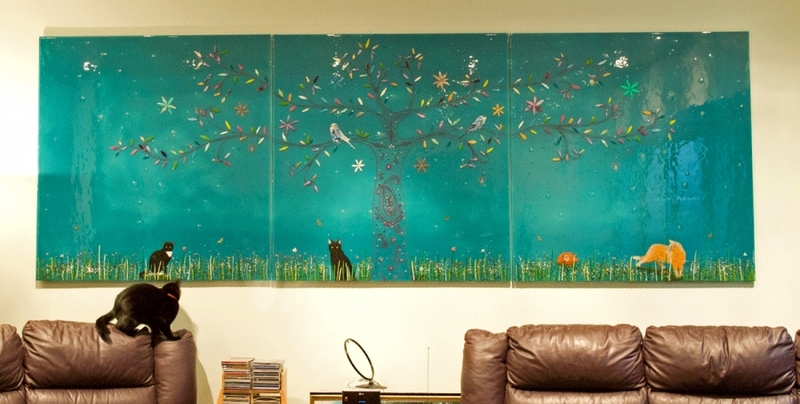 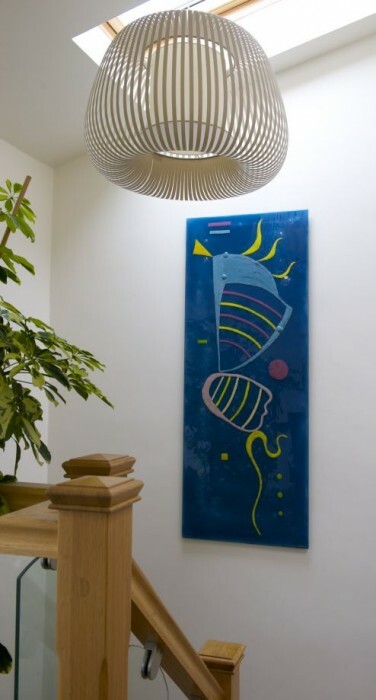 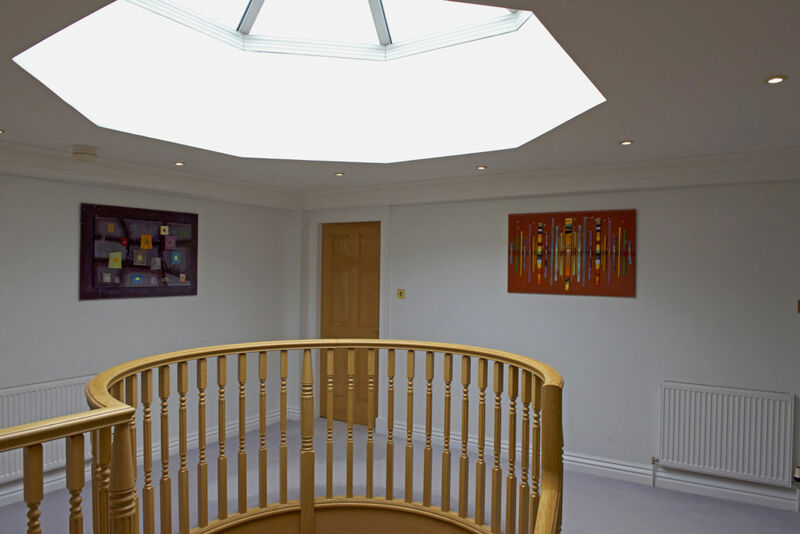 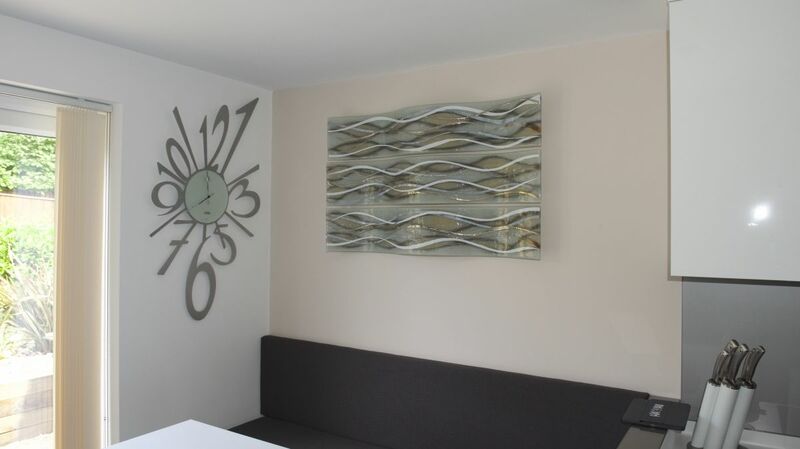 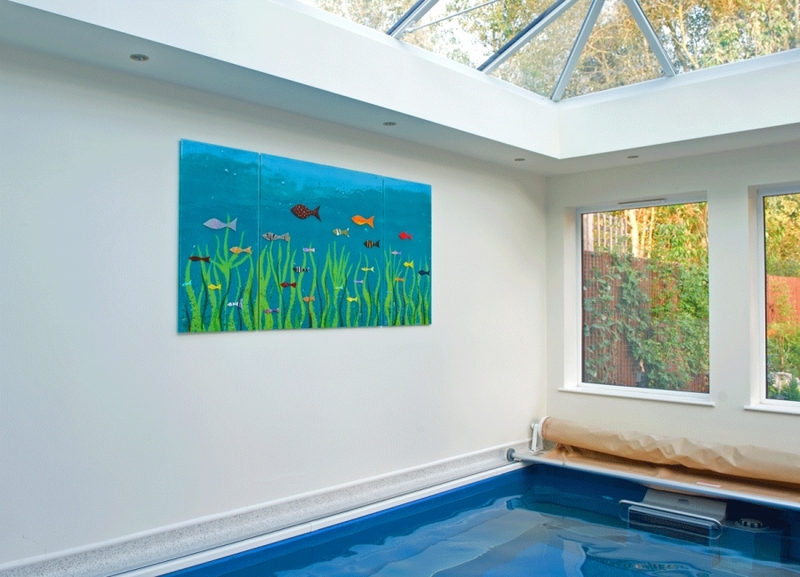 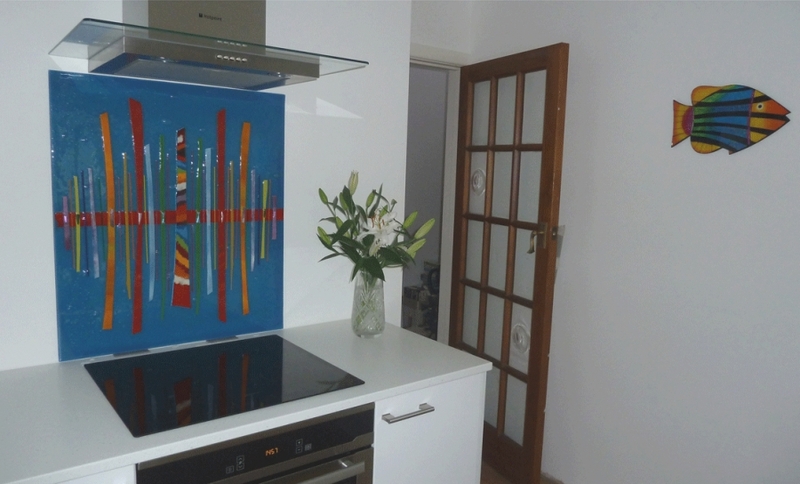 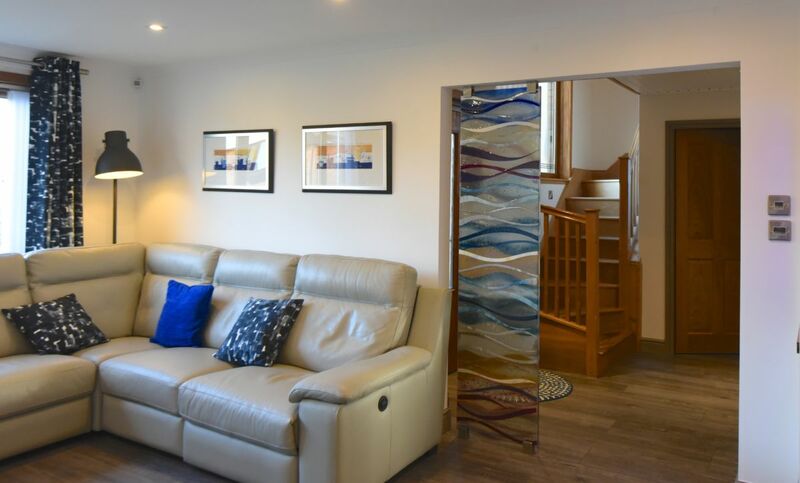 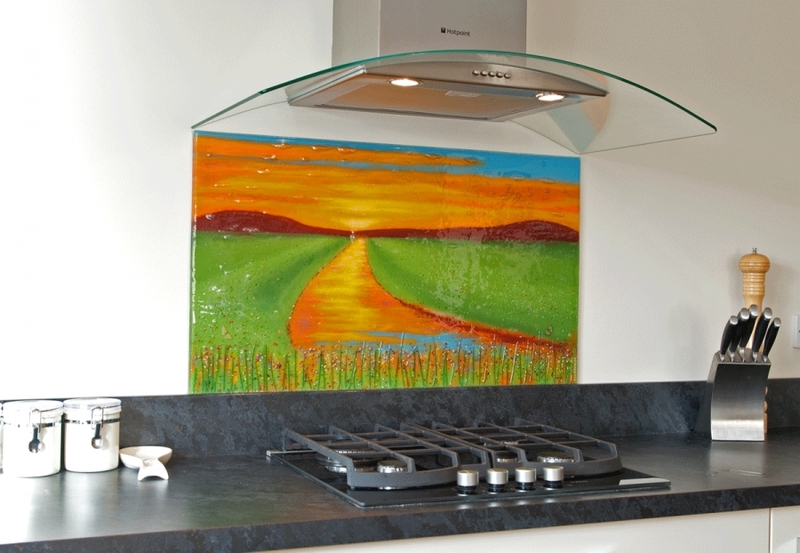 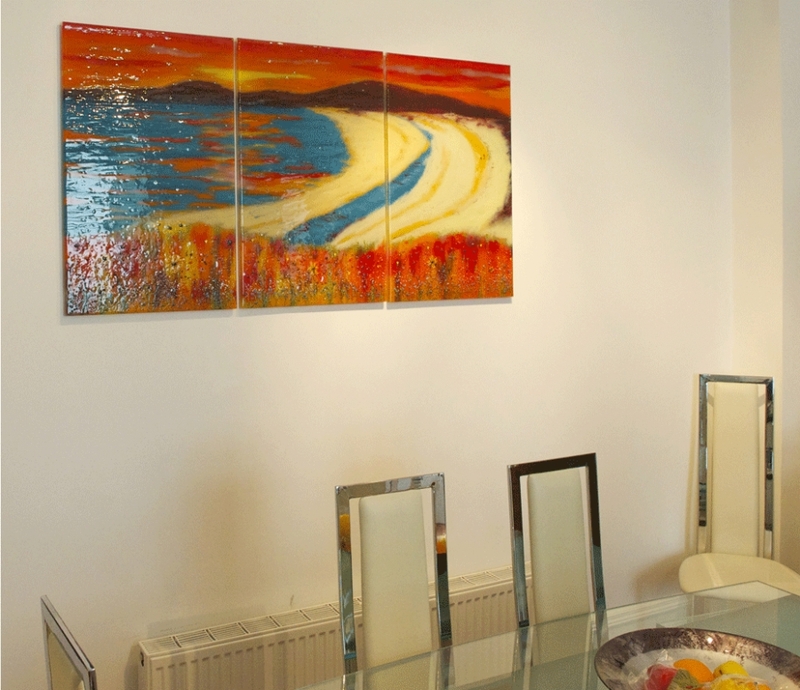 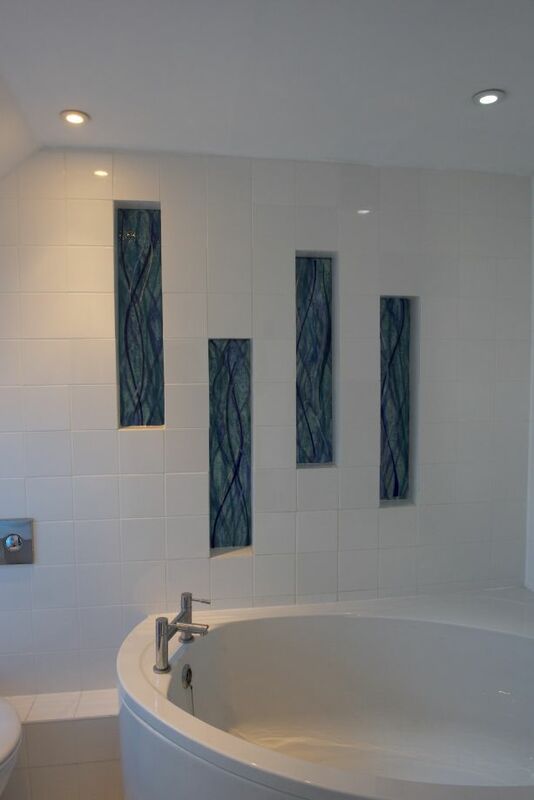 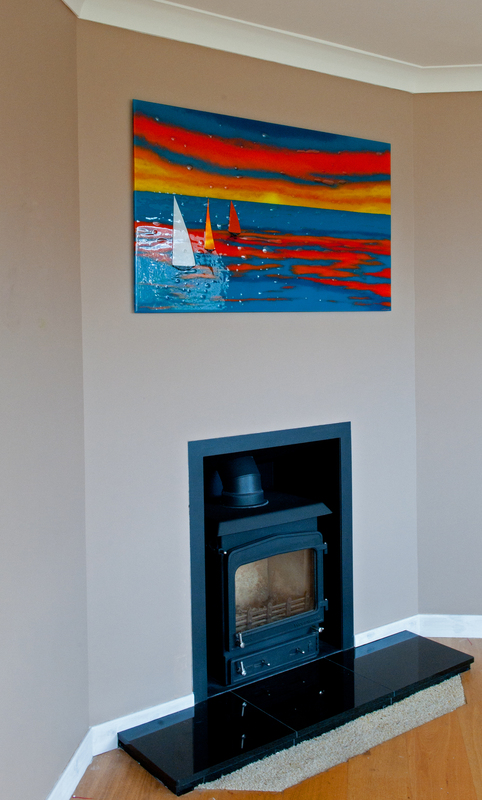 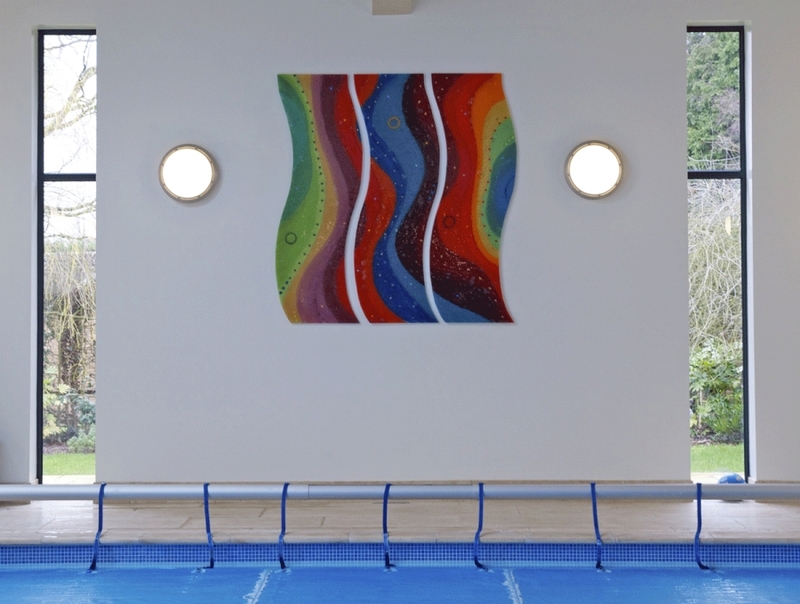 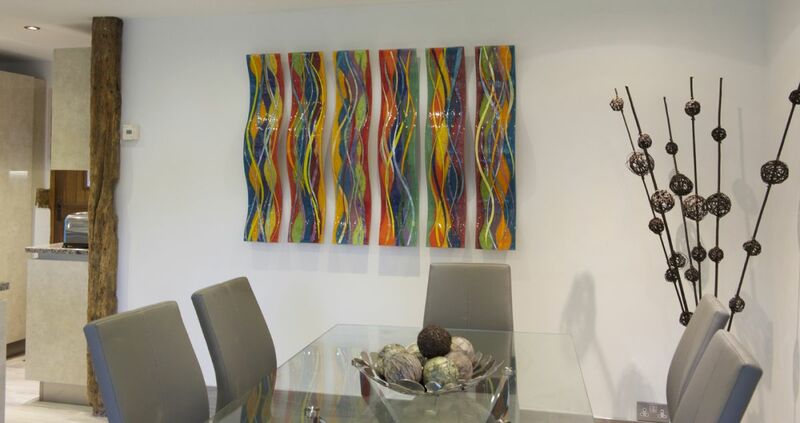 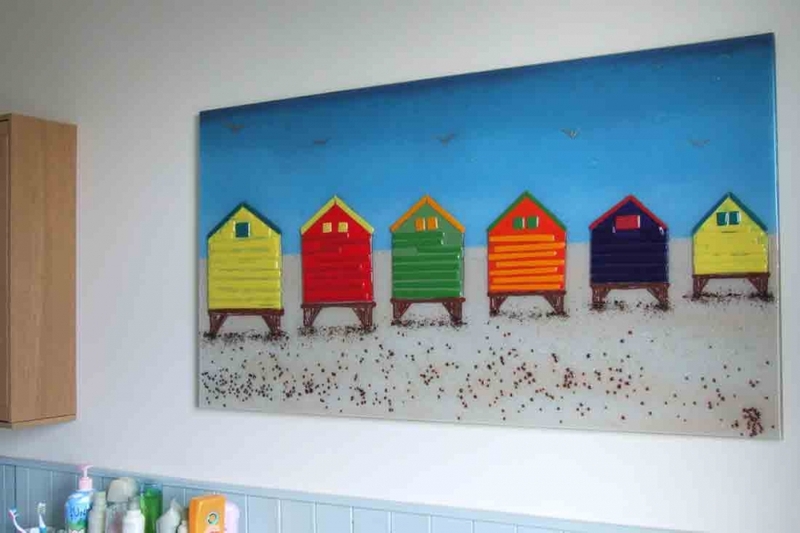 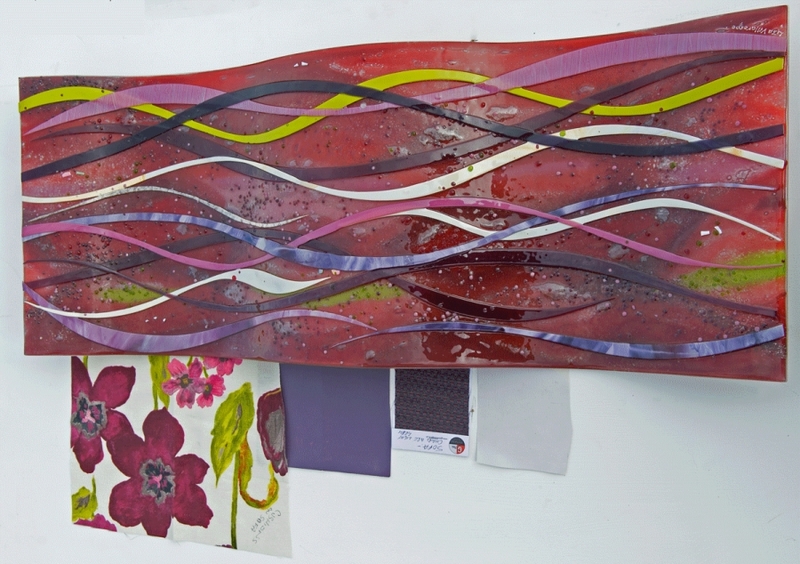 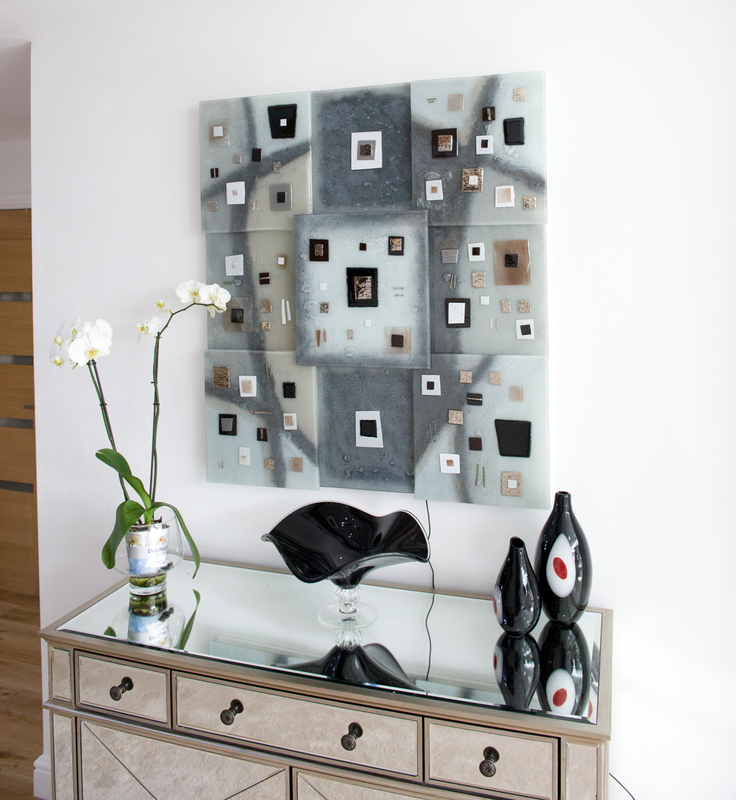 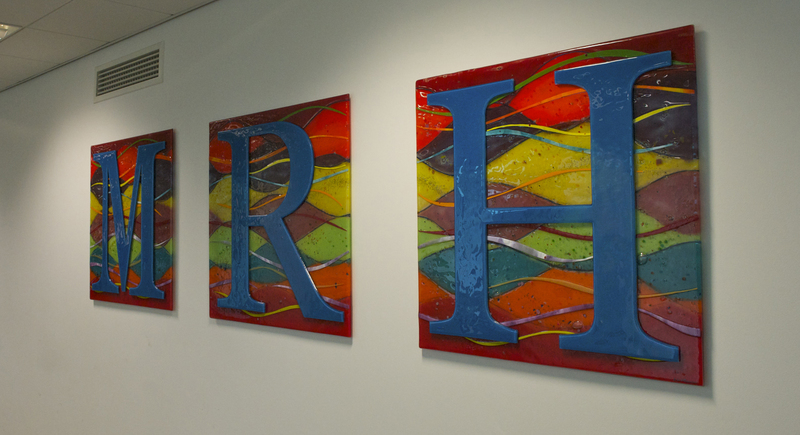 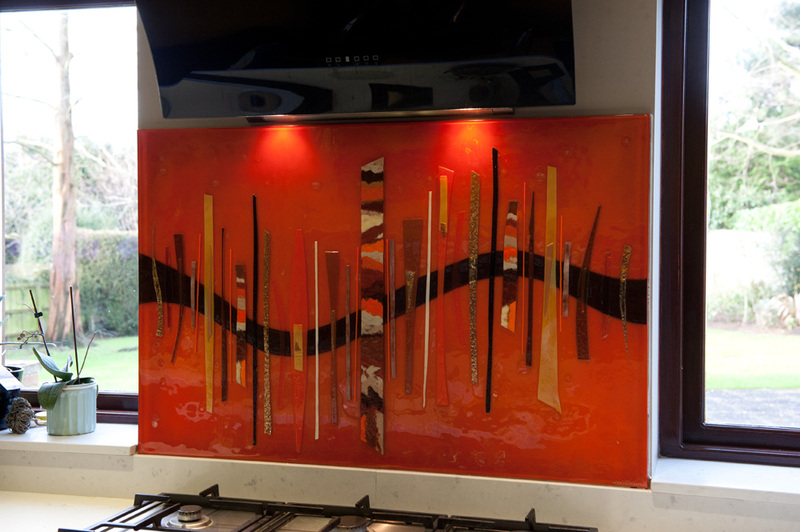 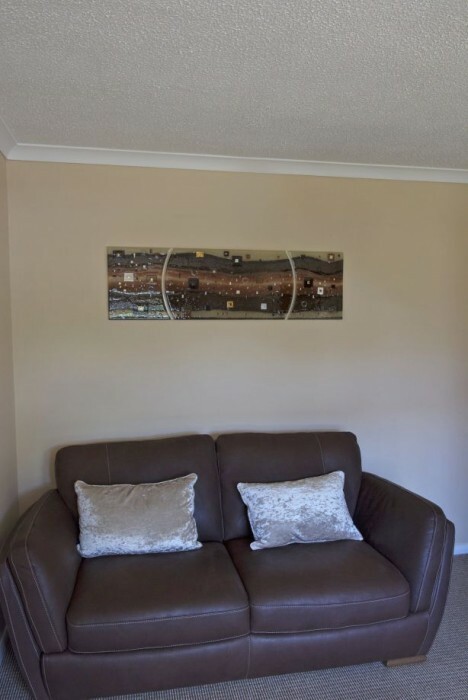 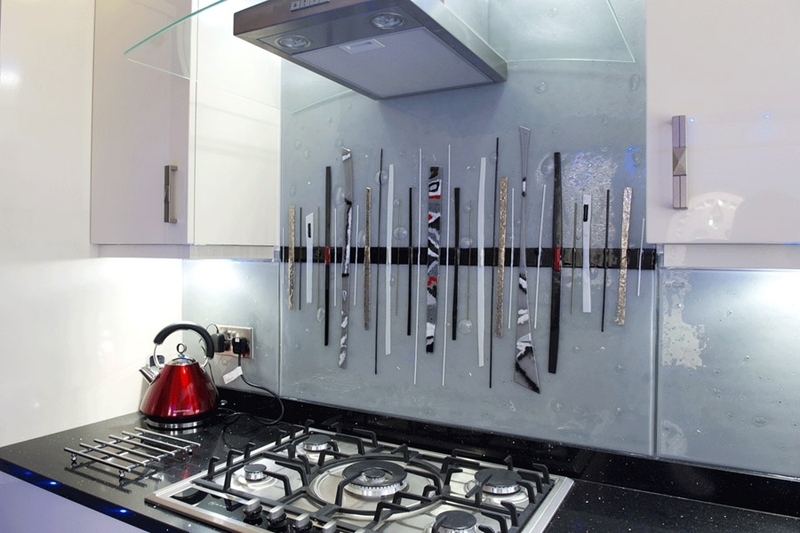 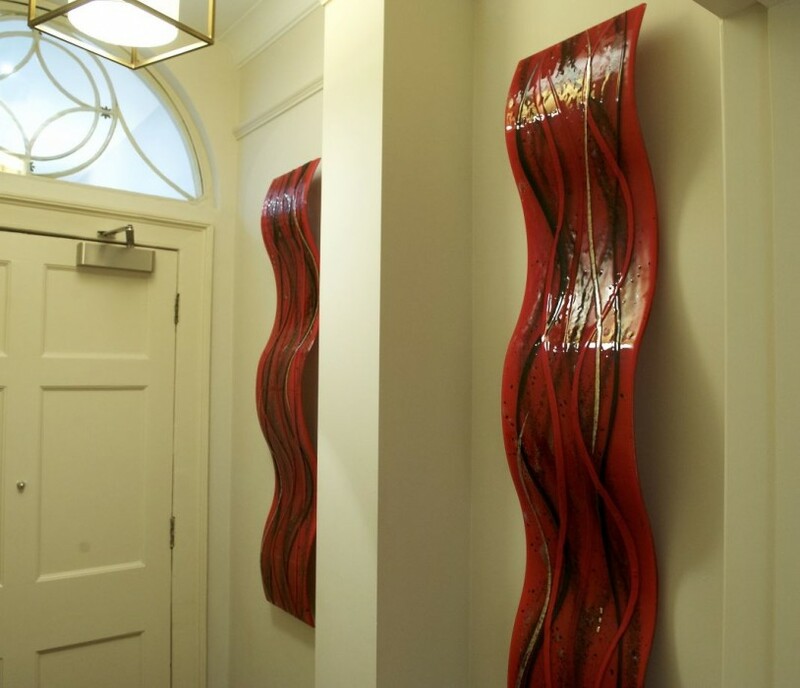 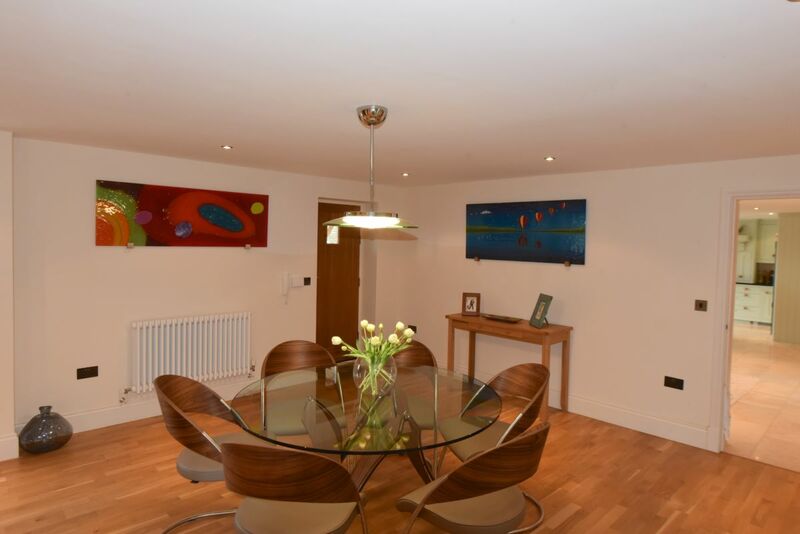 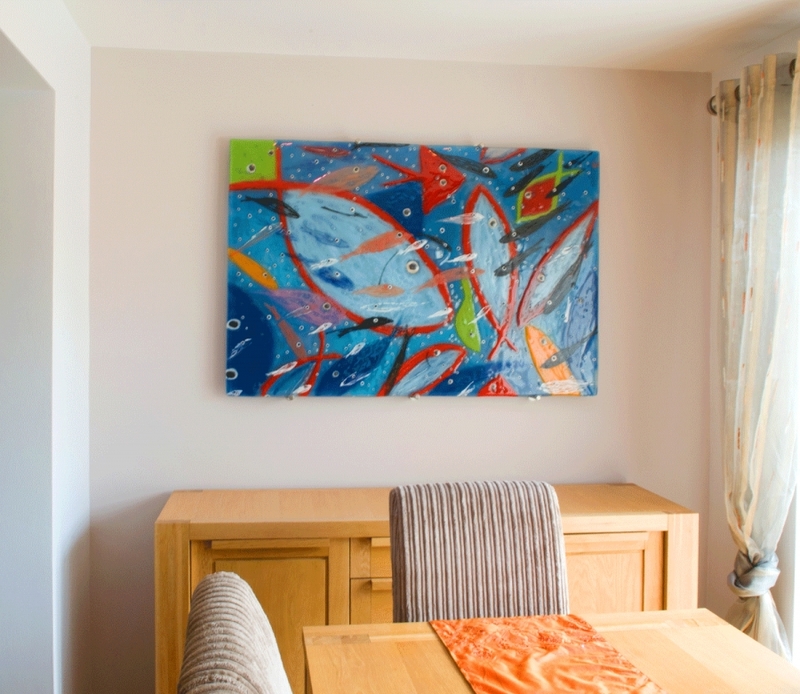 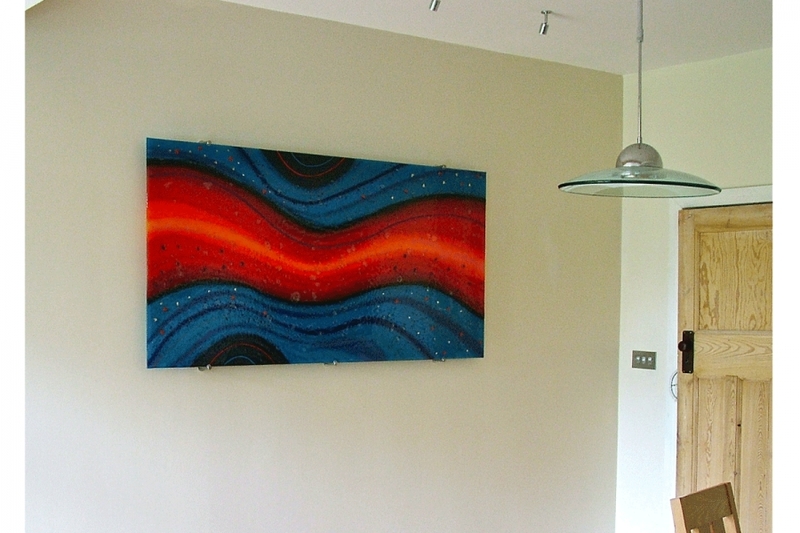 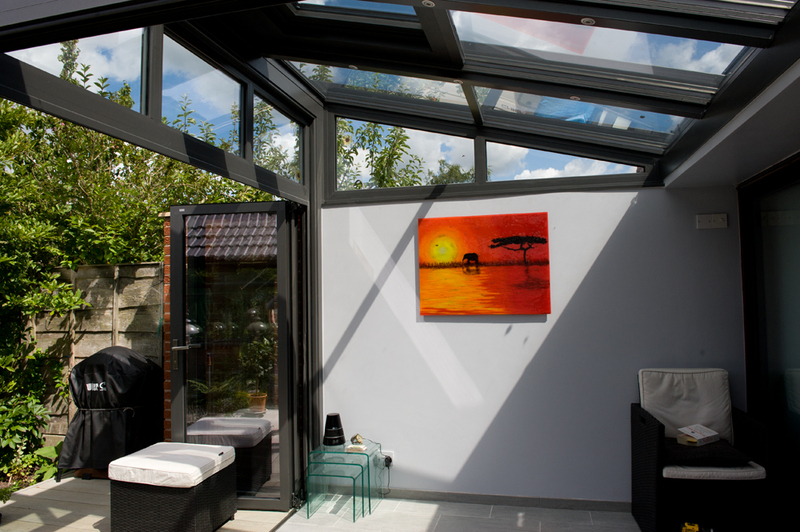 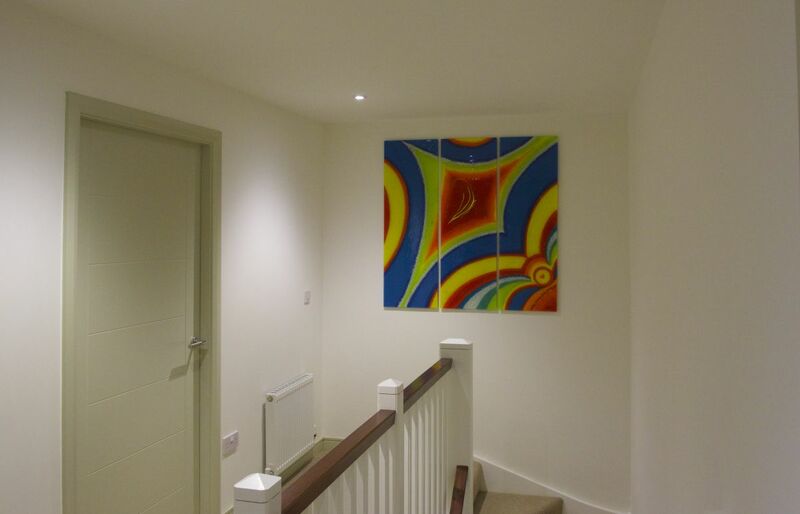 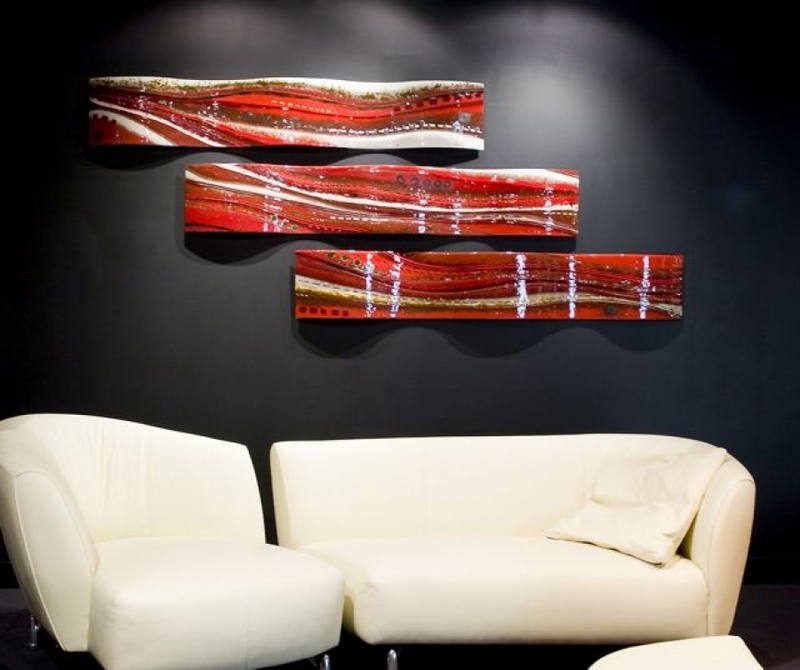 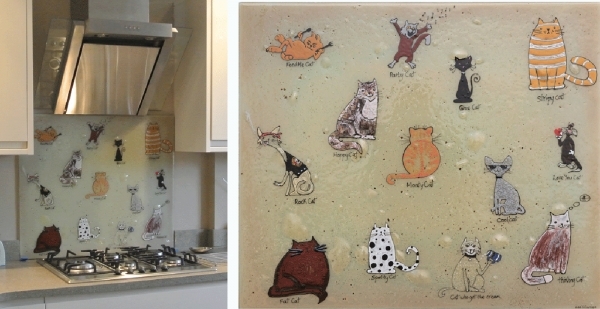 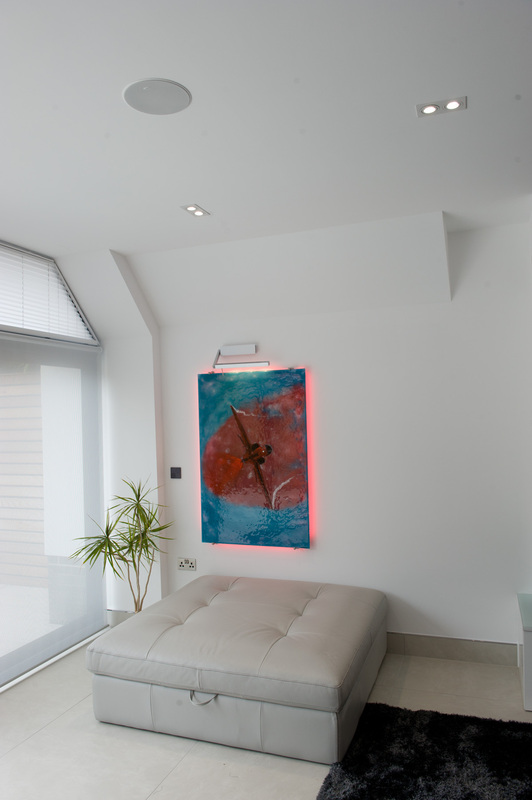 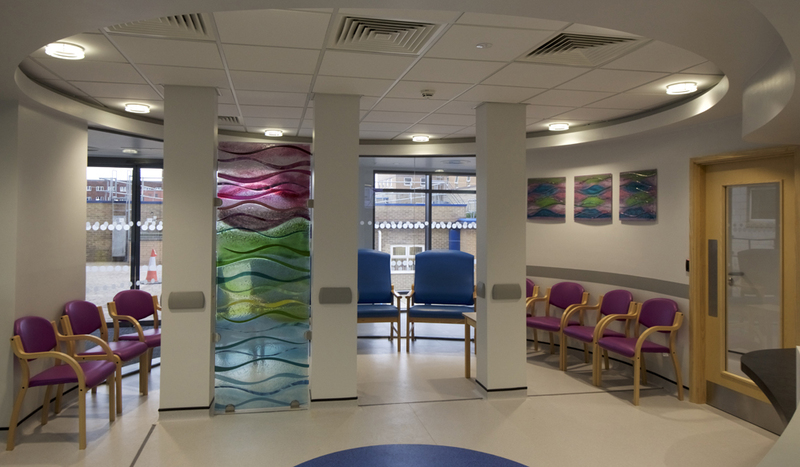 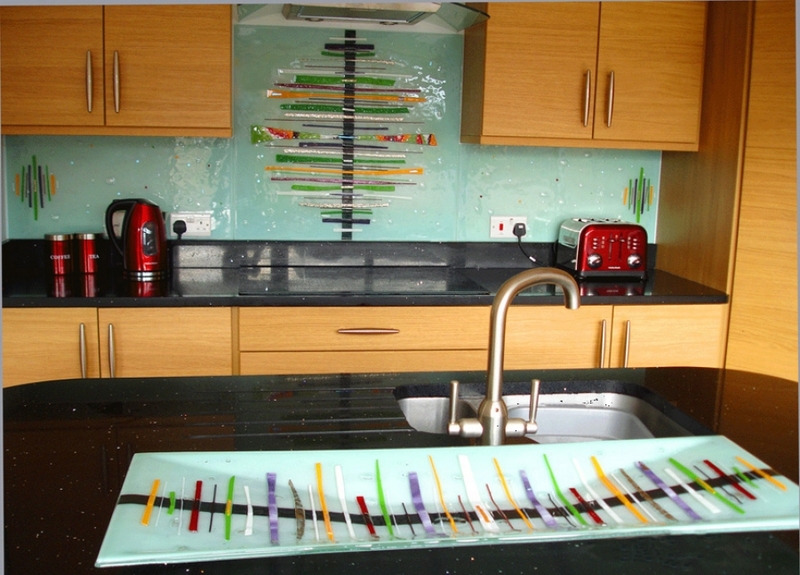 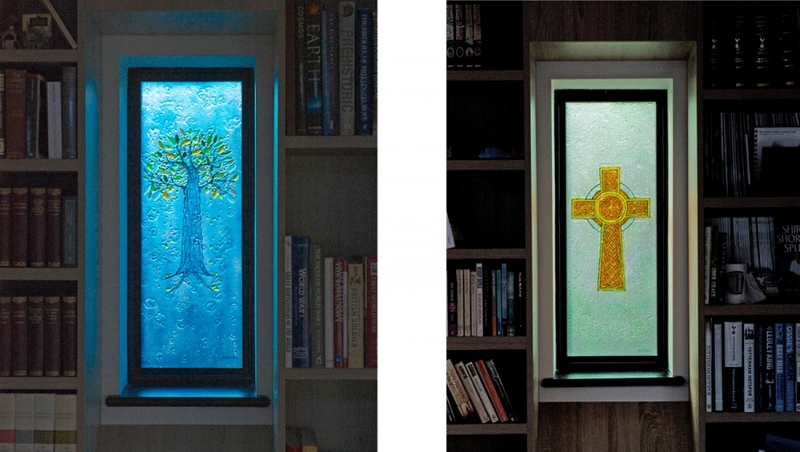 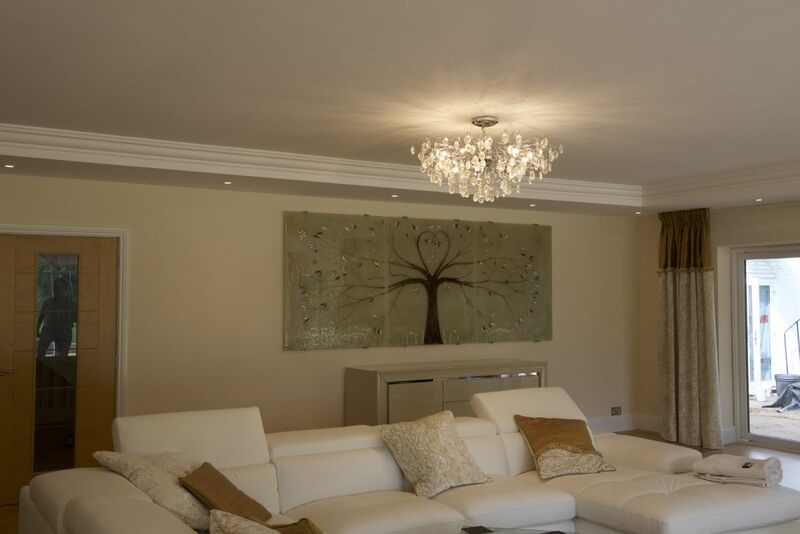 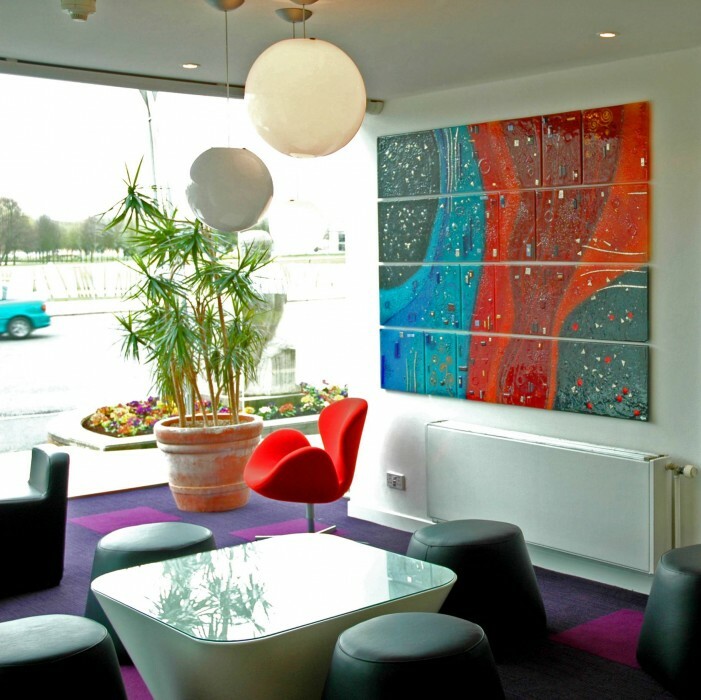 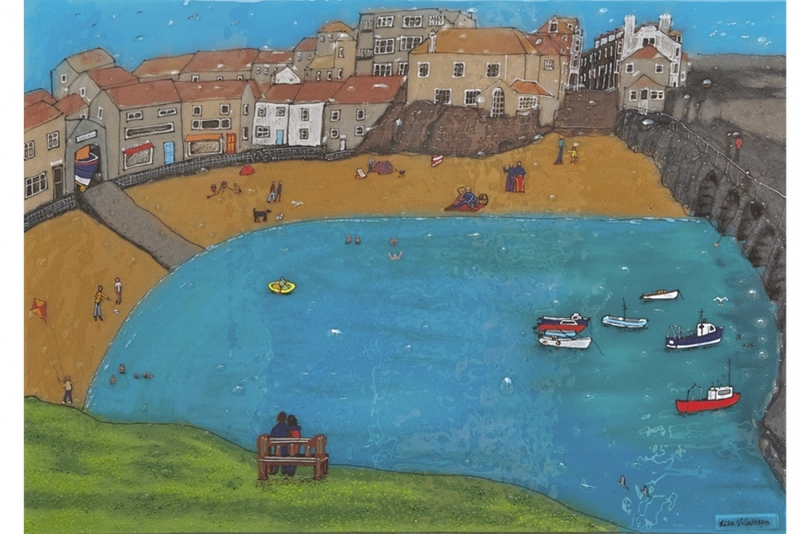 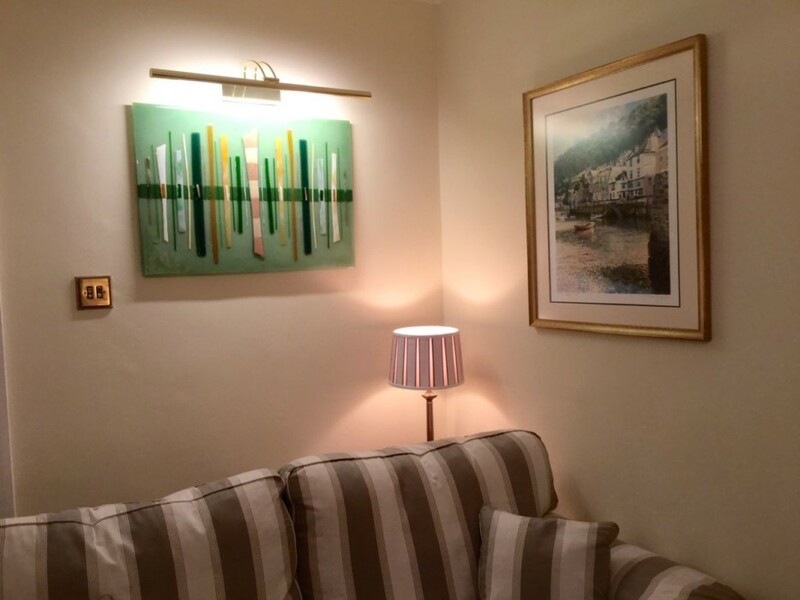 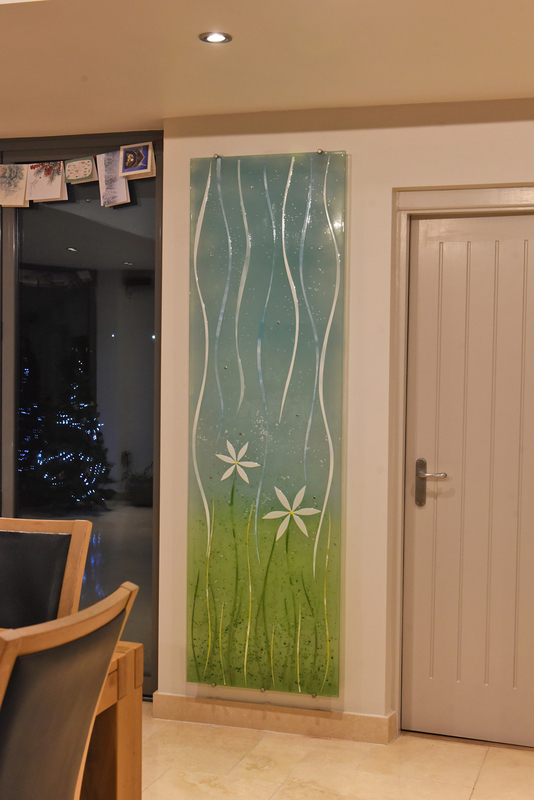 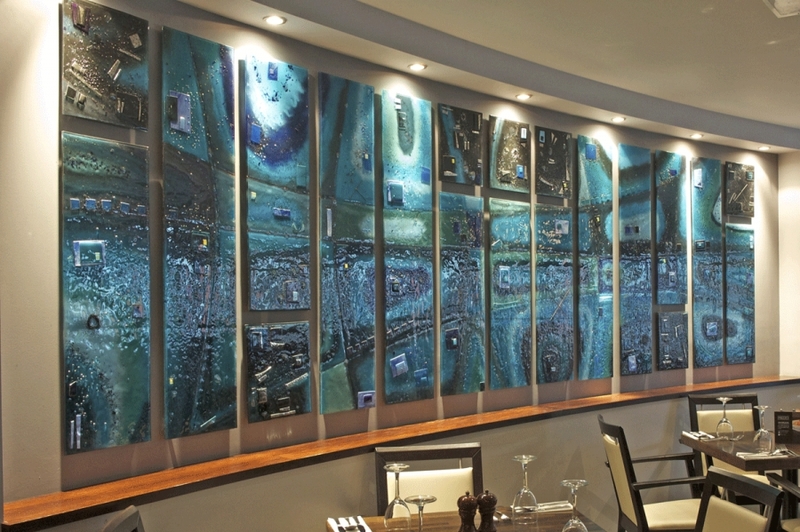 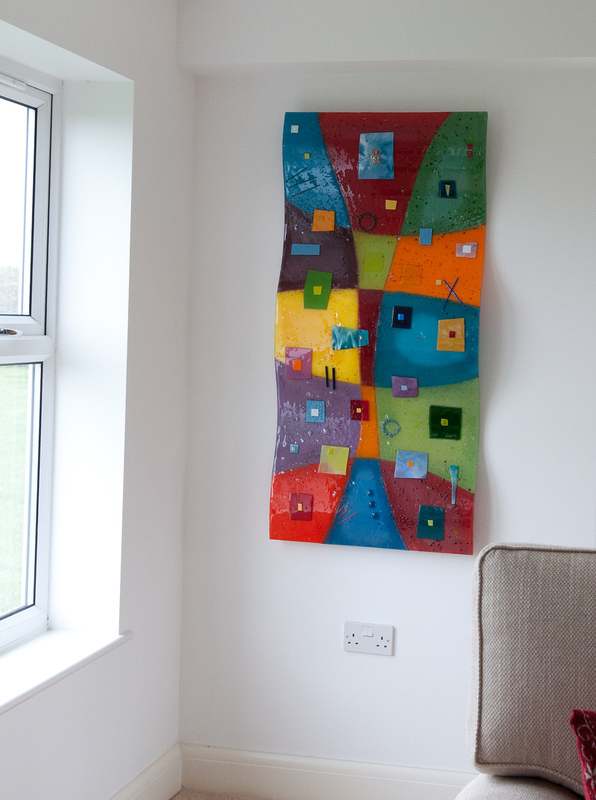 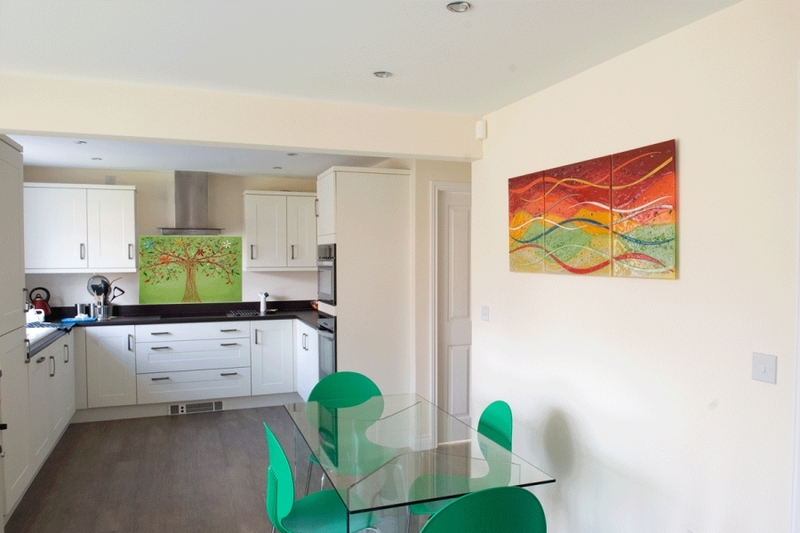 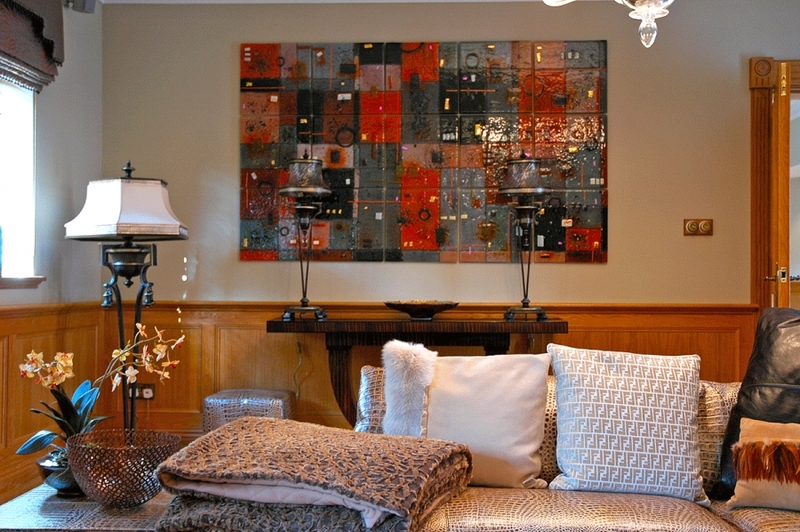 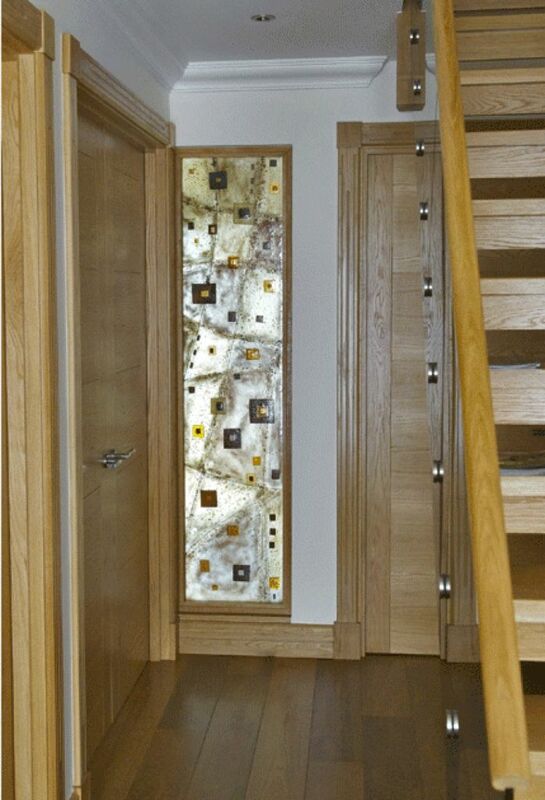 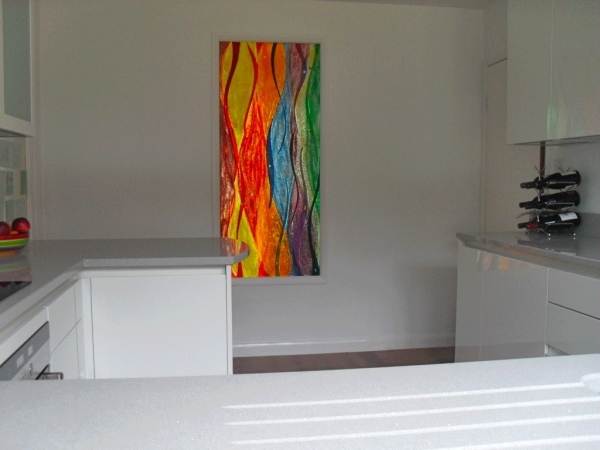 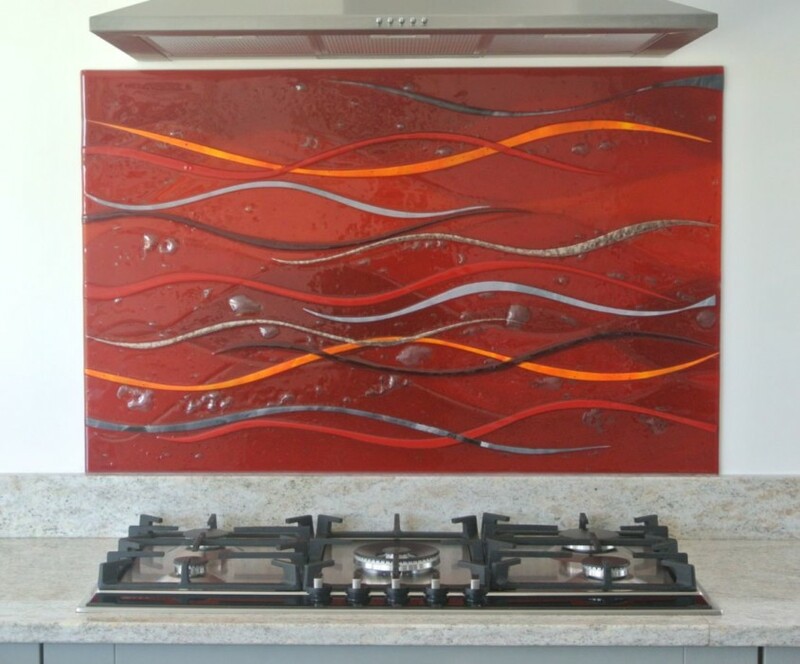 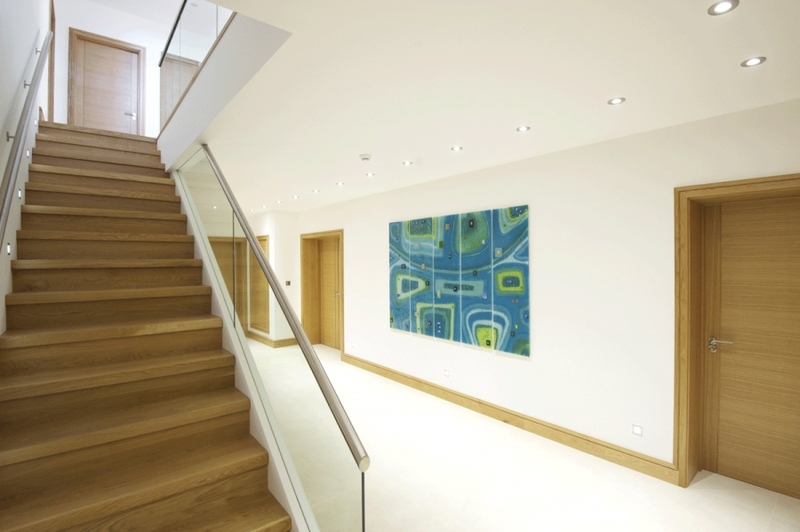 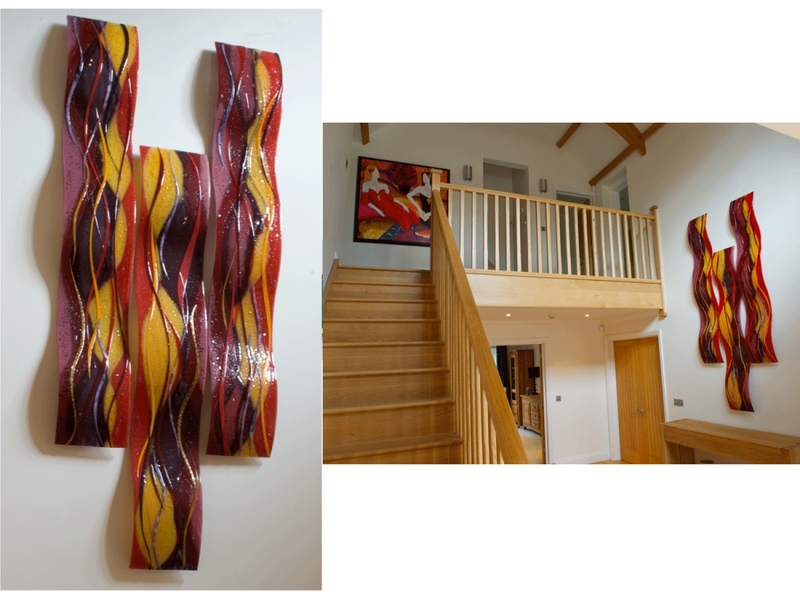 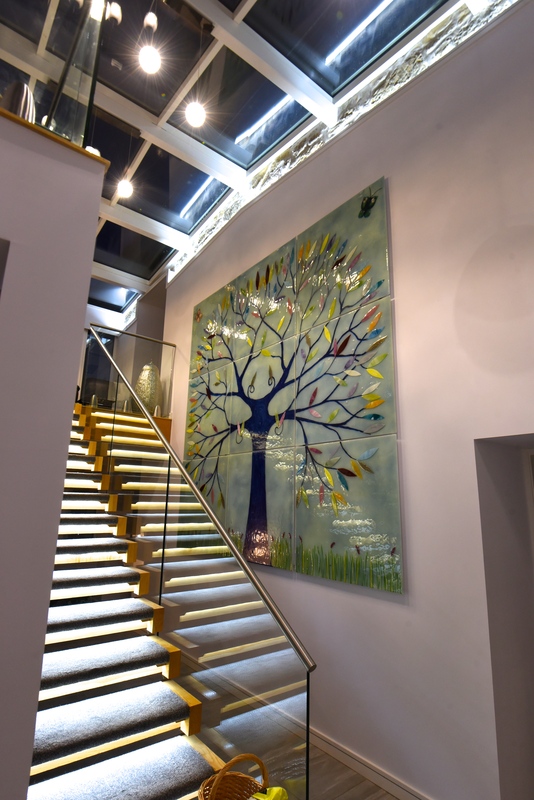 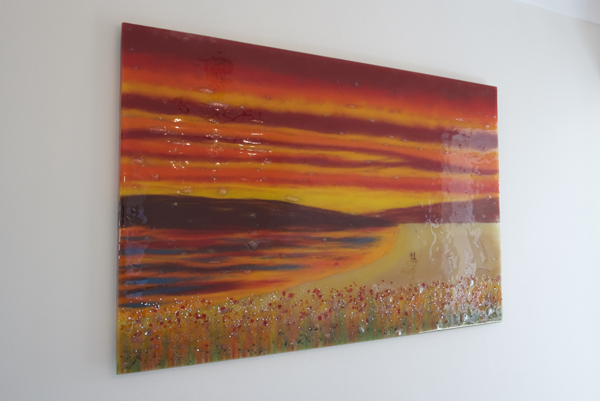 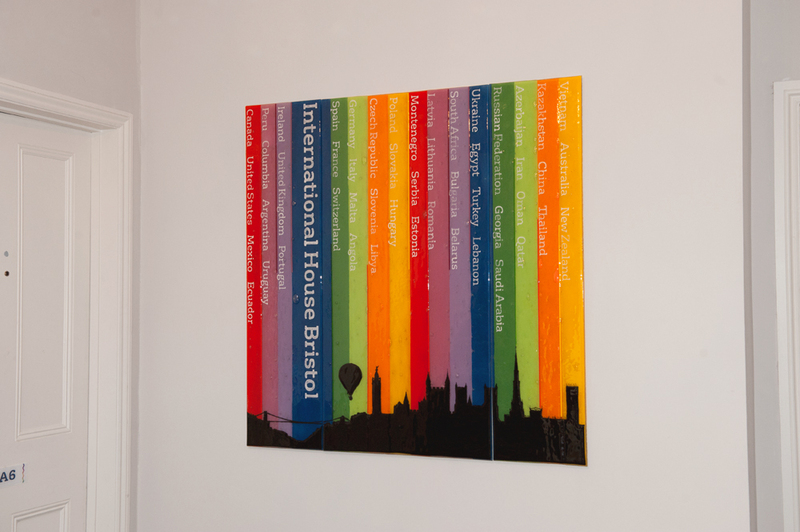 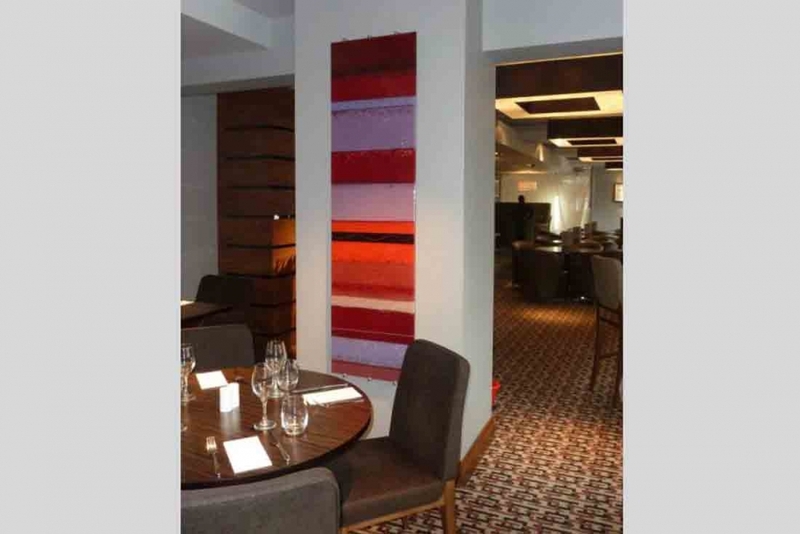 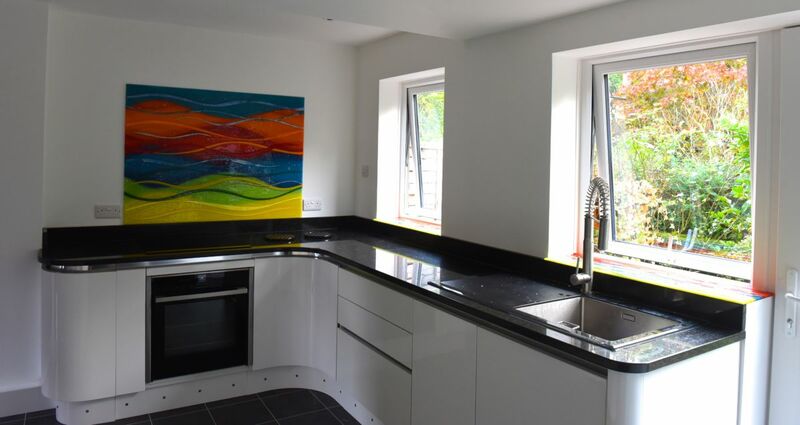 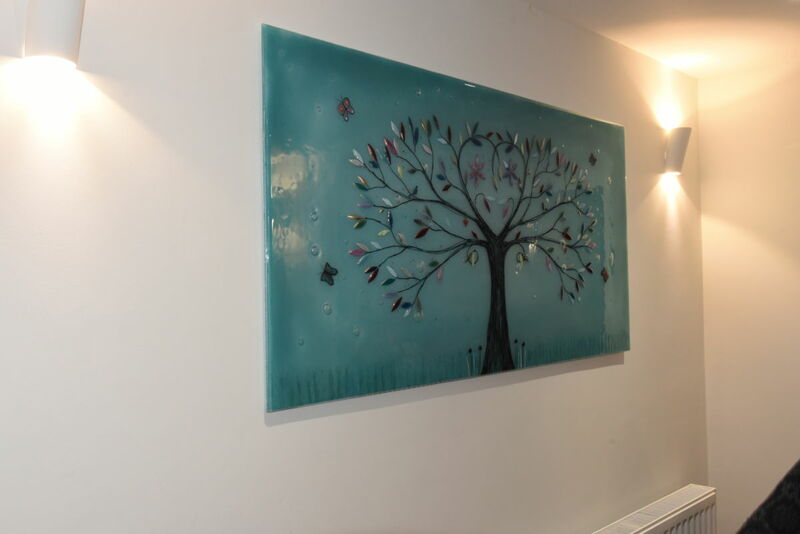 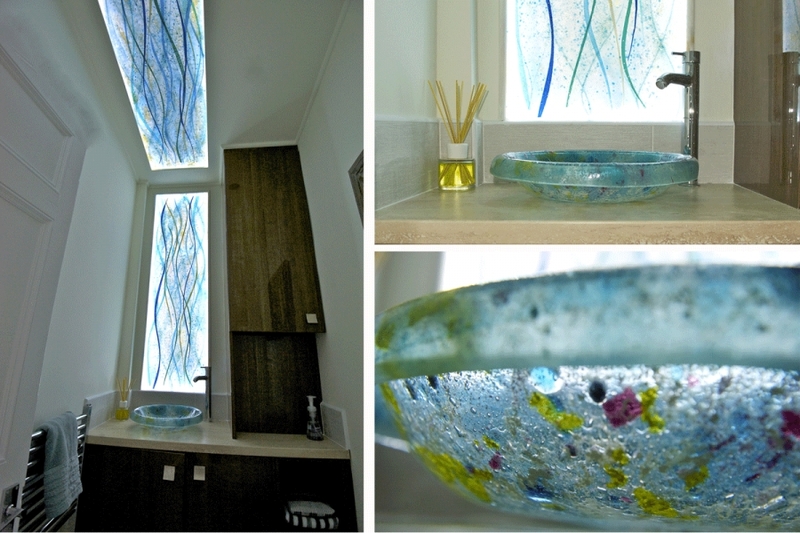 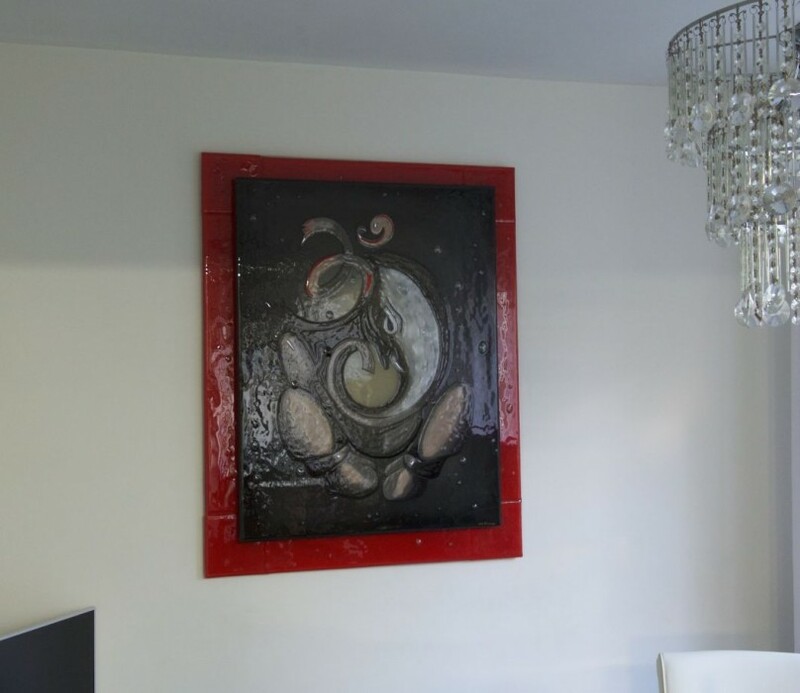 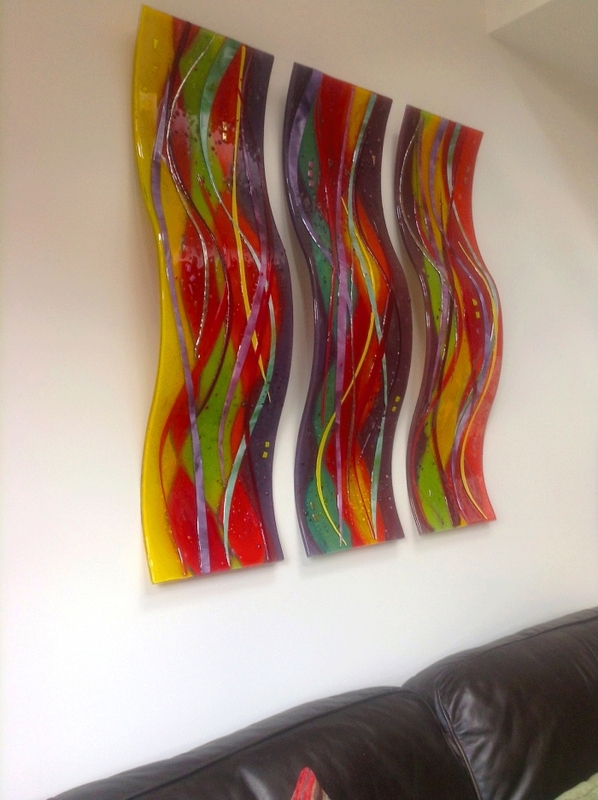 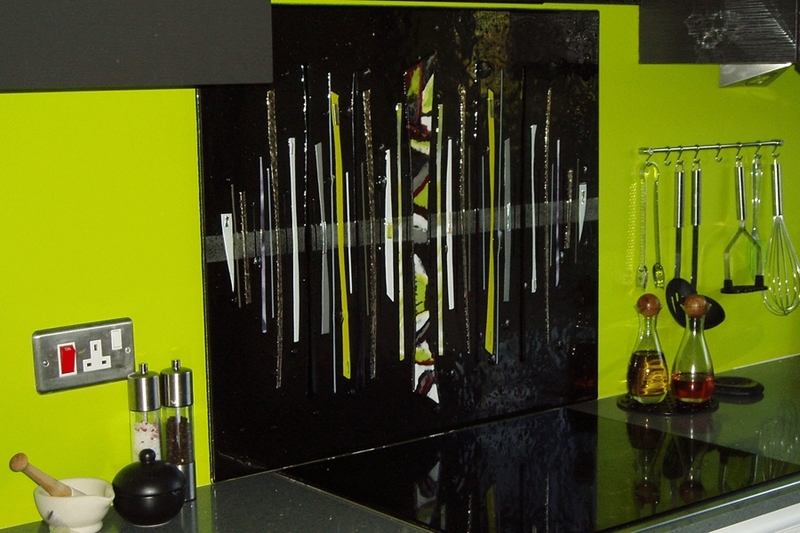 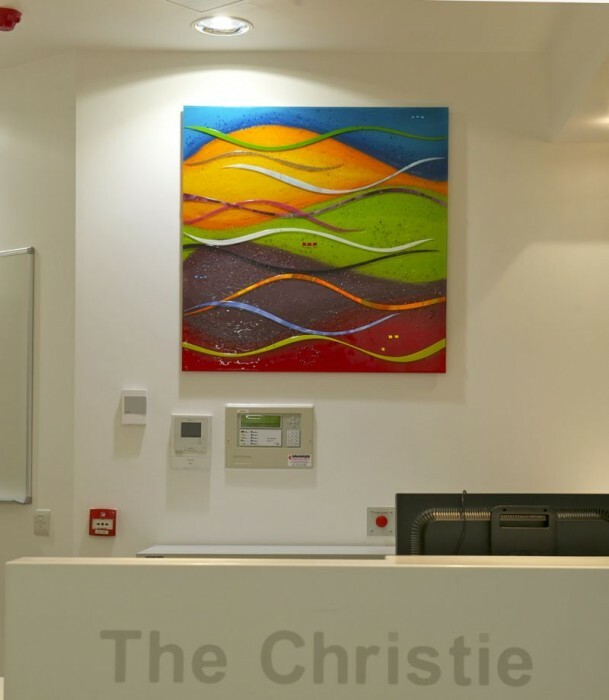 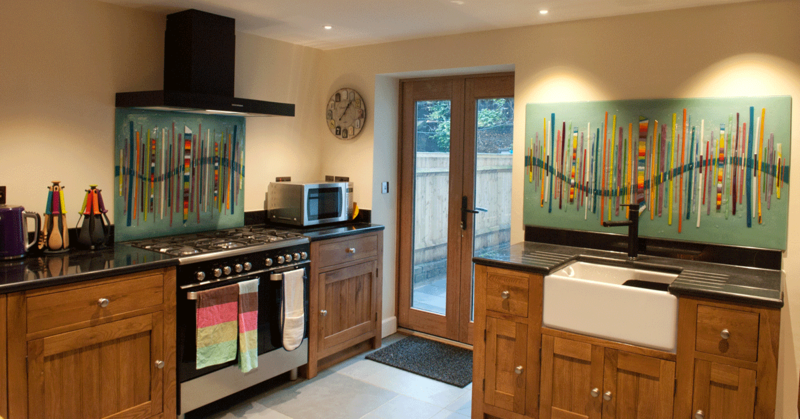 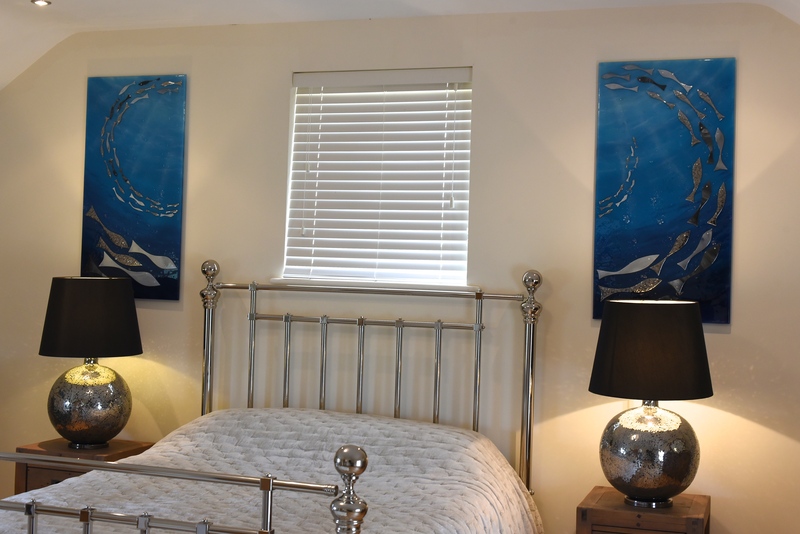 This absolutely stunning piece of fused glass art found a home in Ross-on-Wye, Herefordshire. 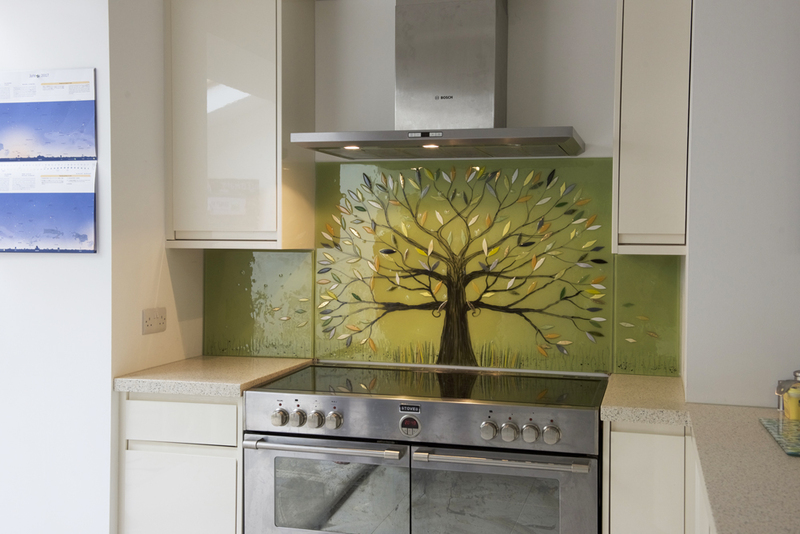 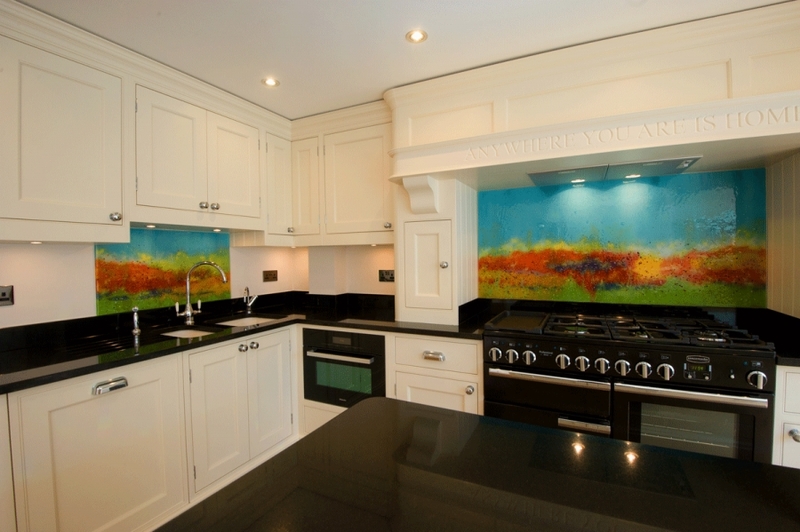 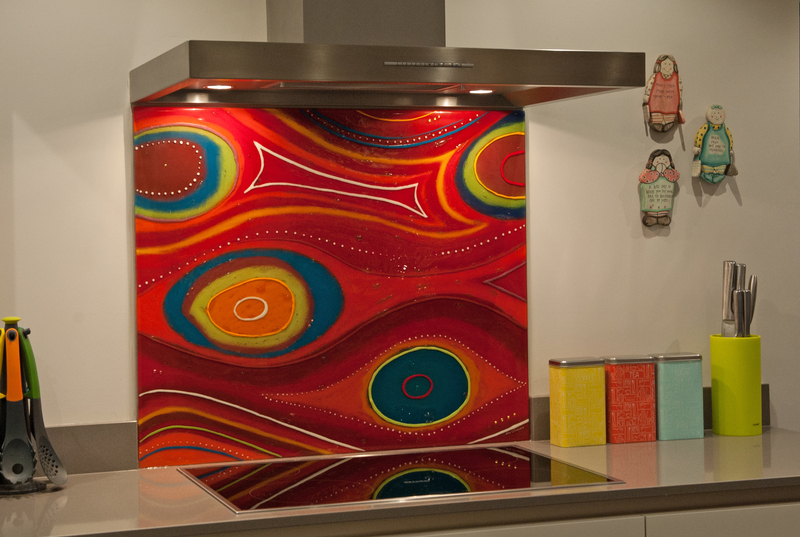 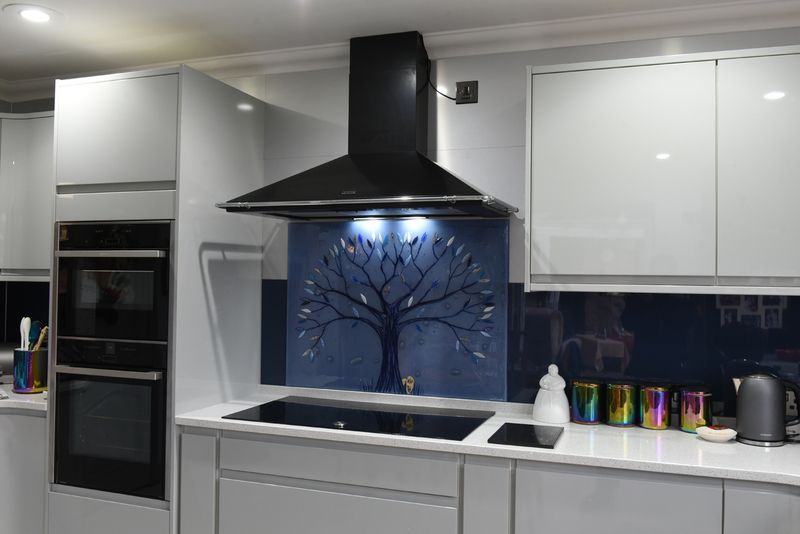 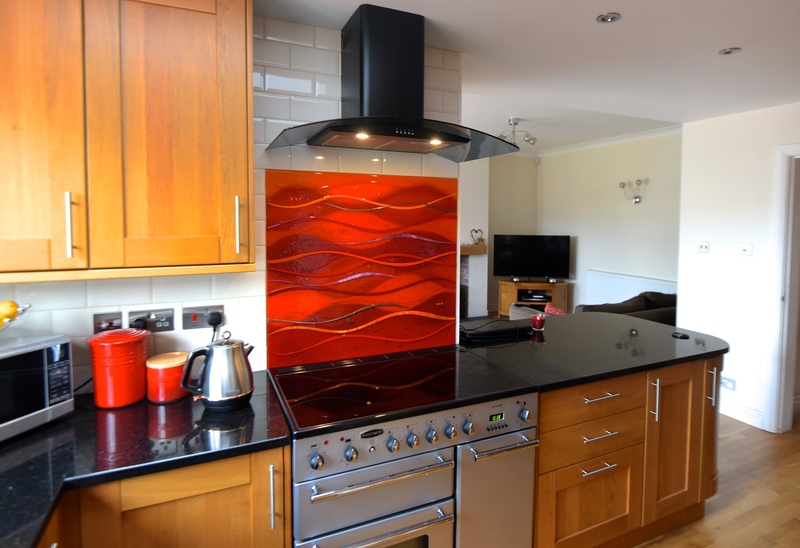 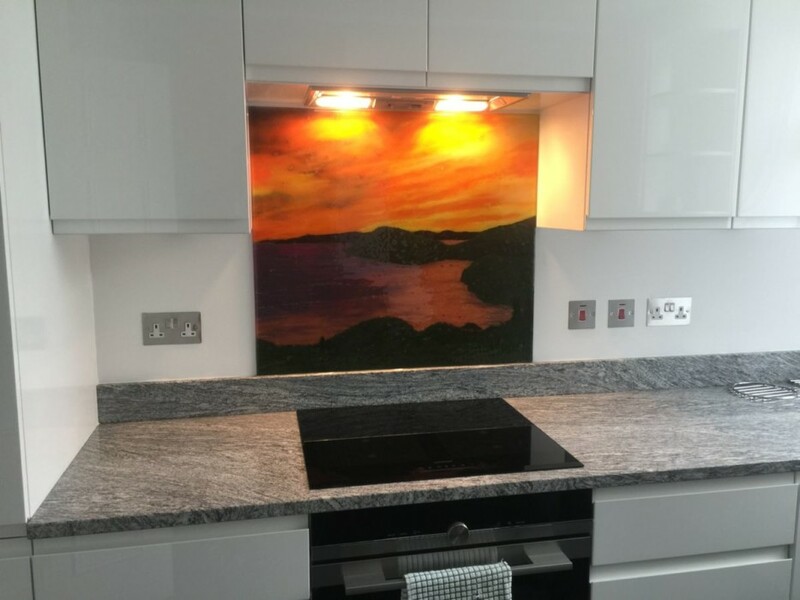 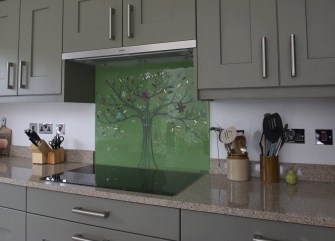 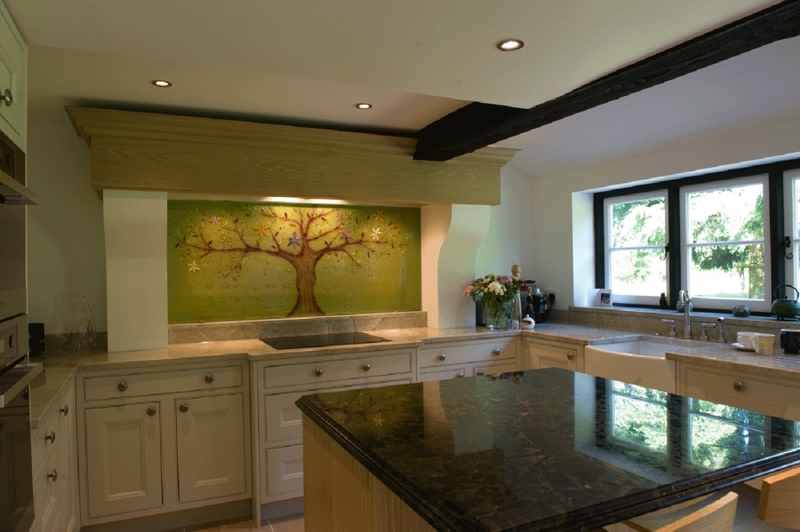 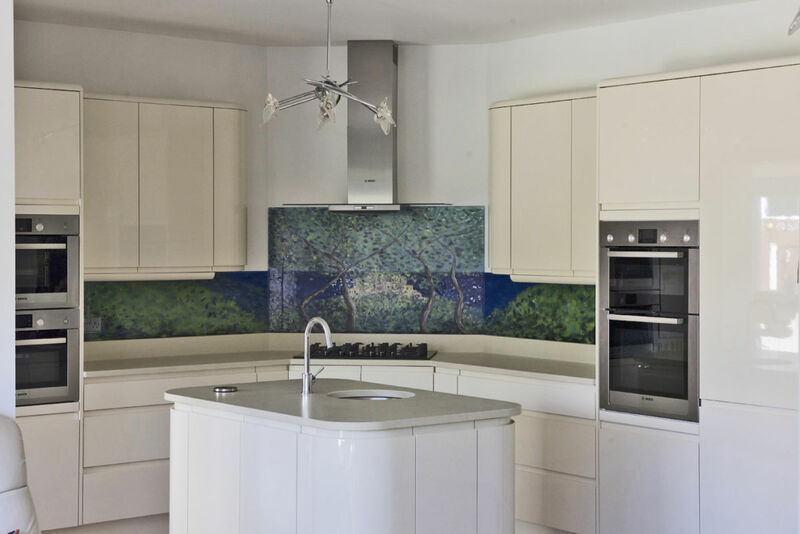 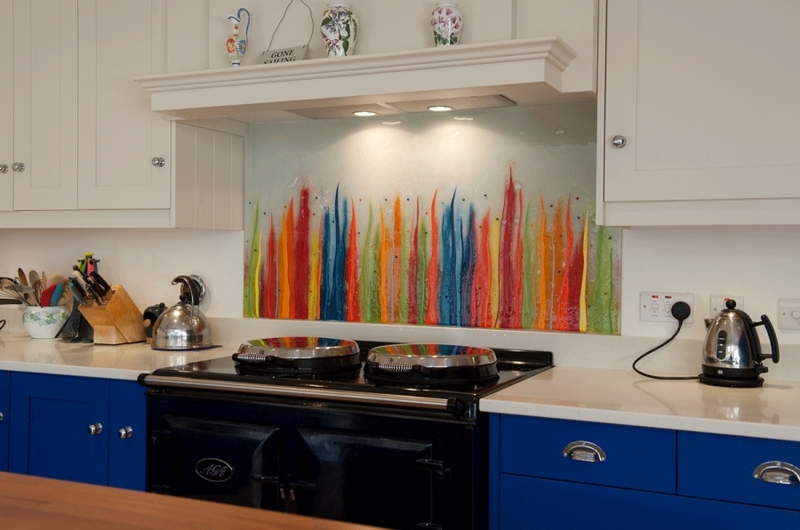 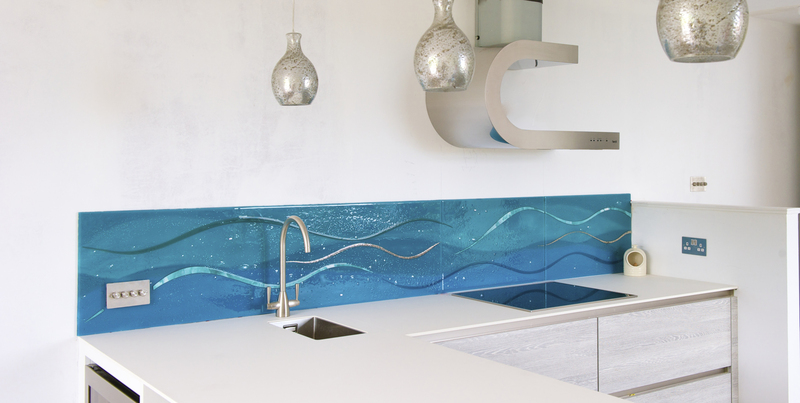 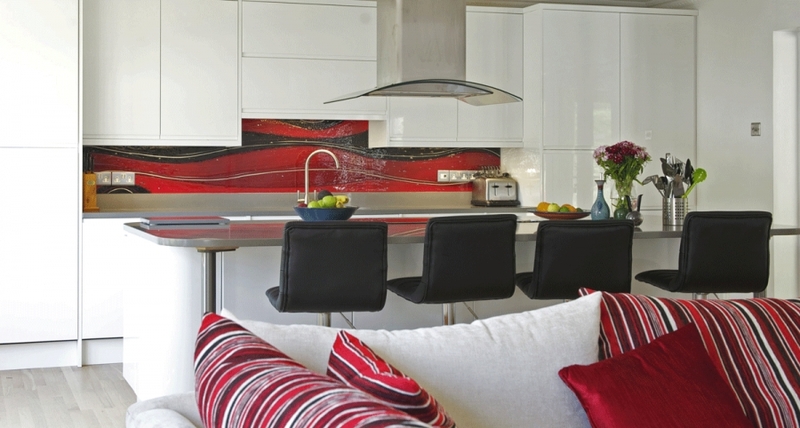 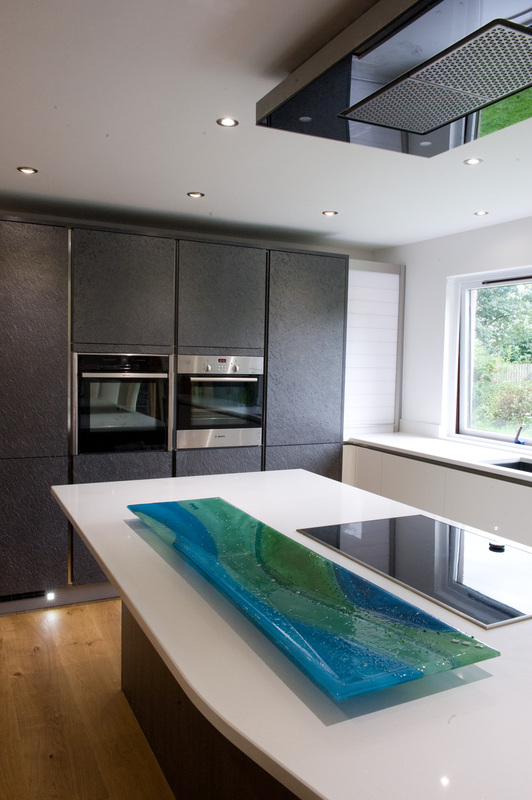 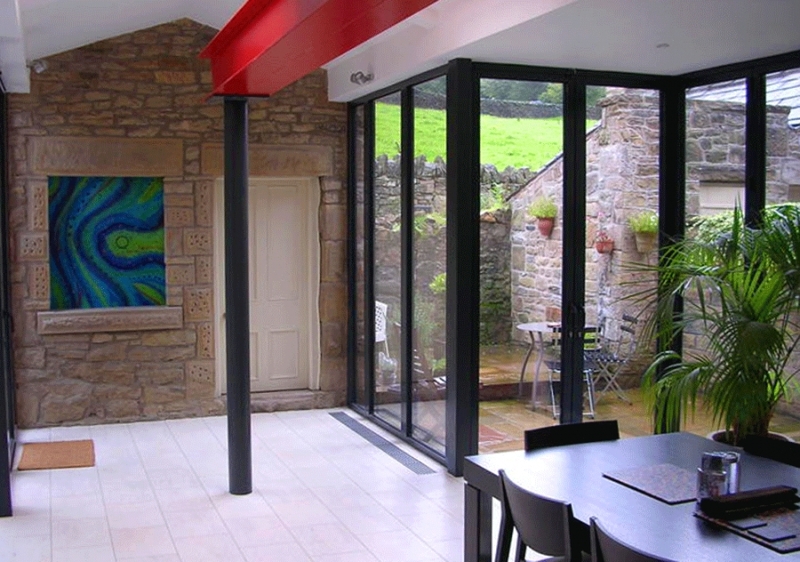 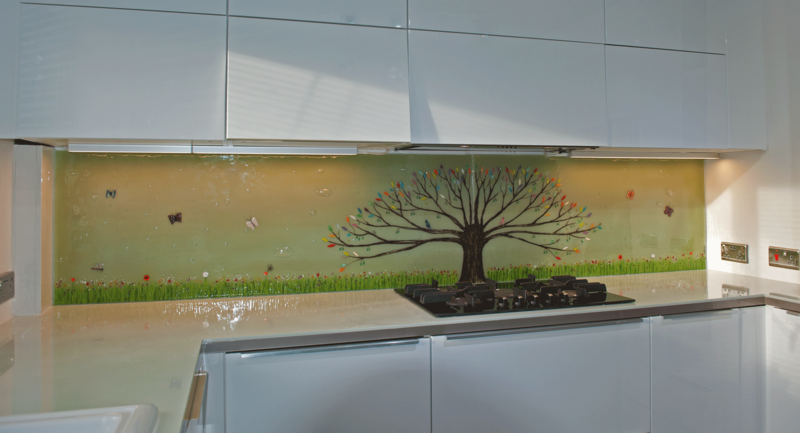 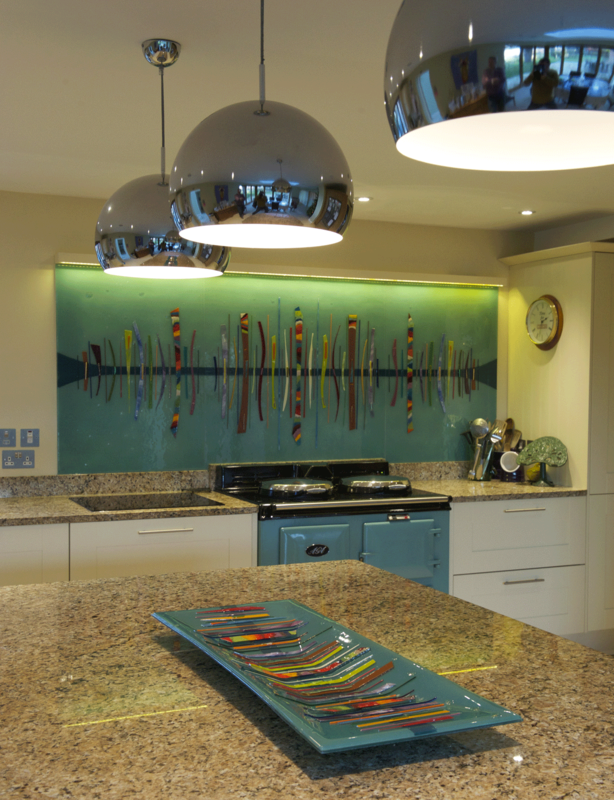 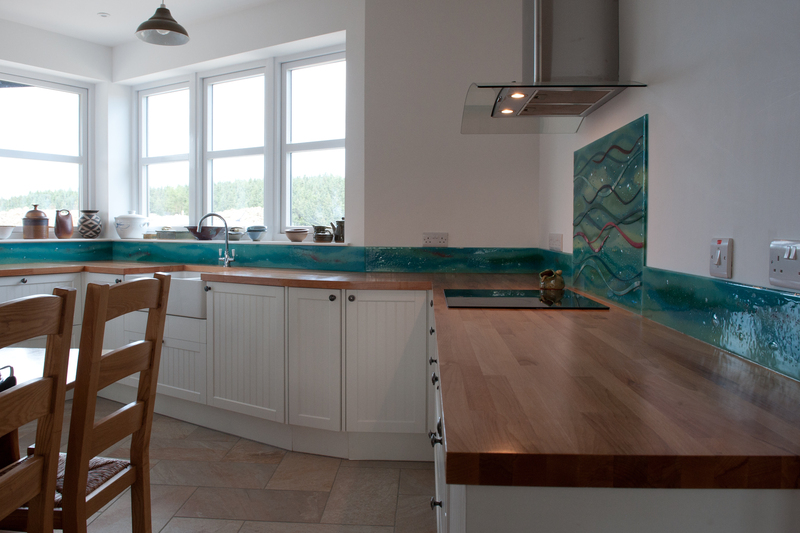 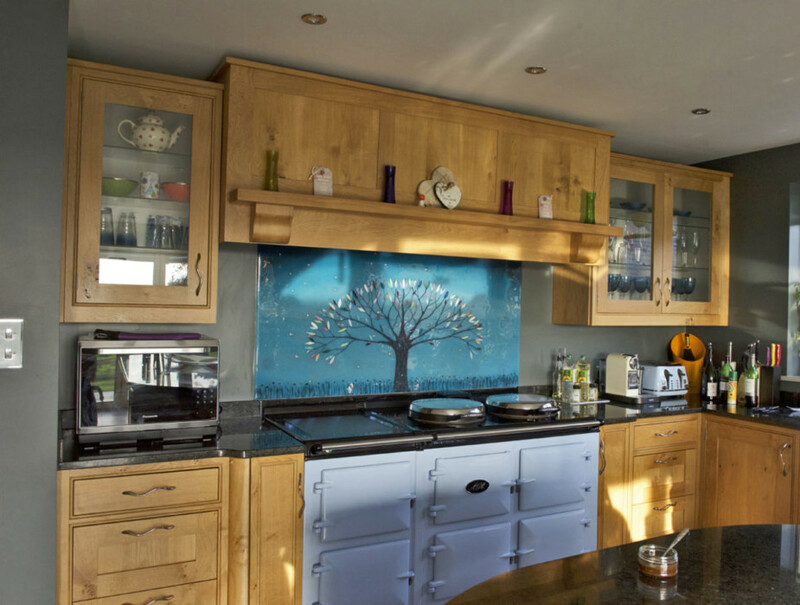 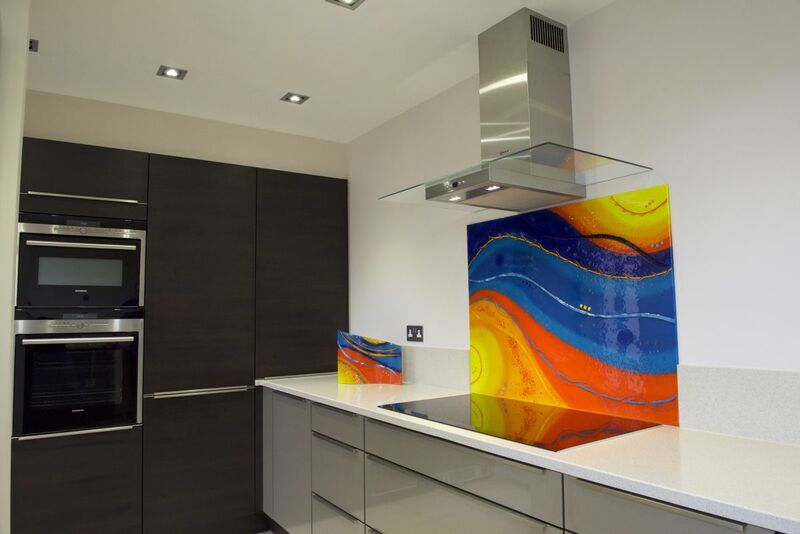 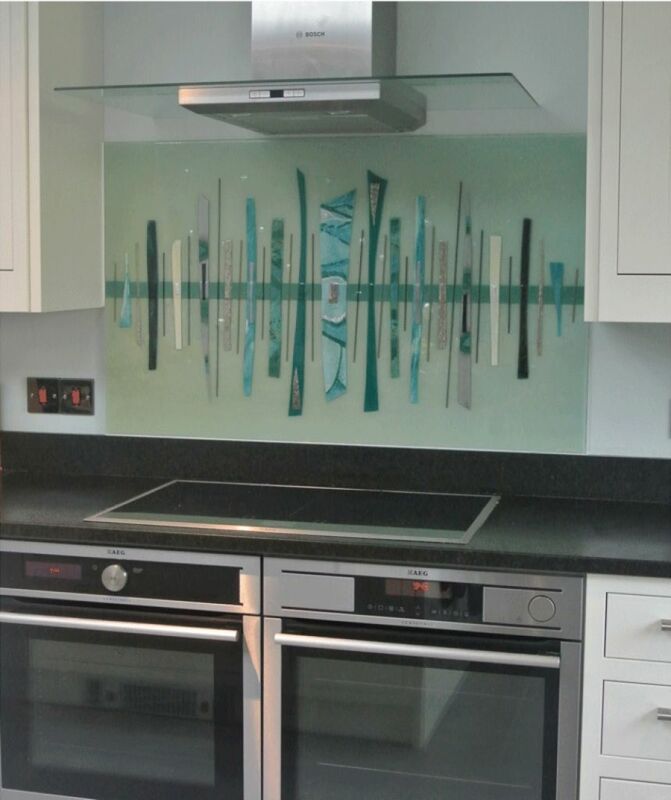 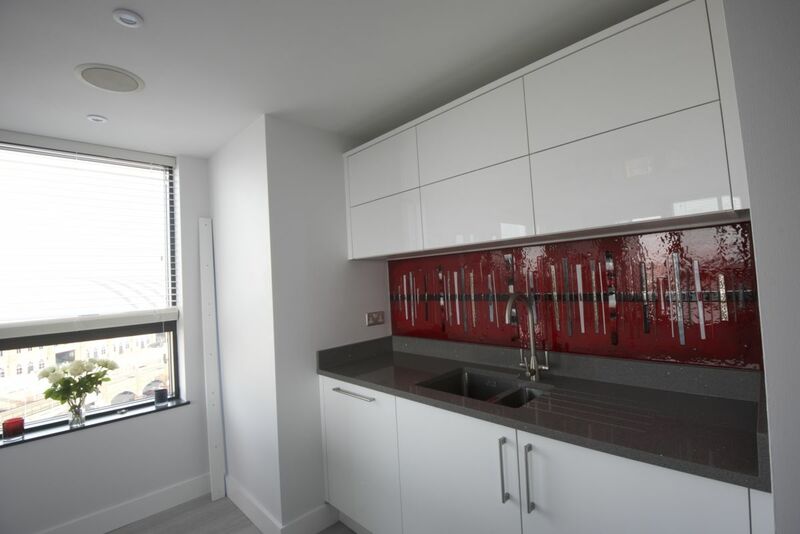 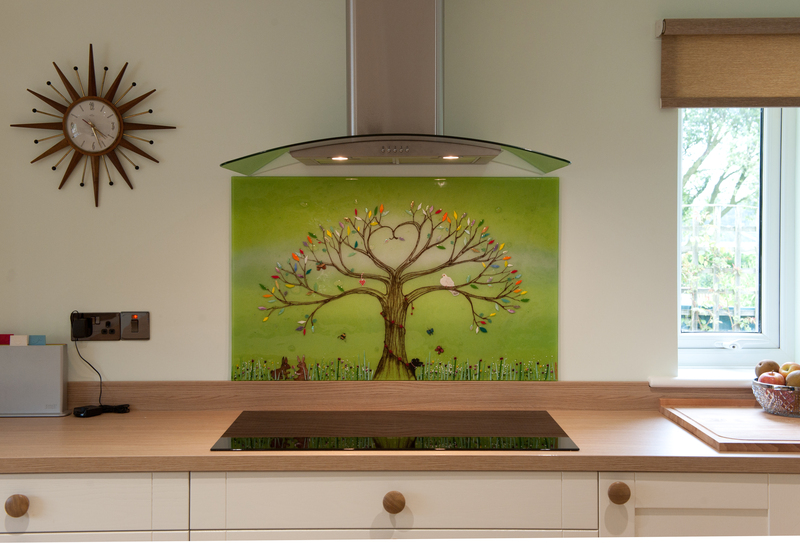 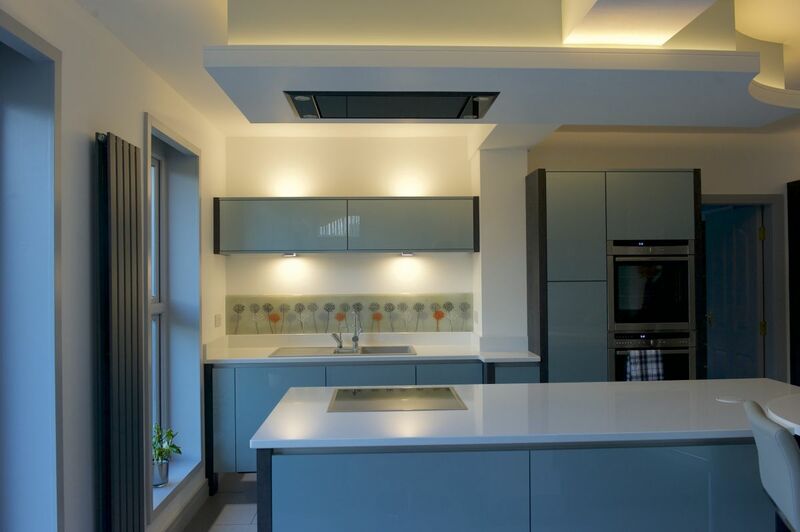 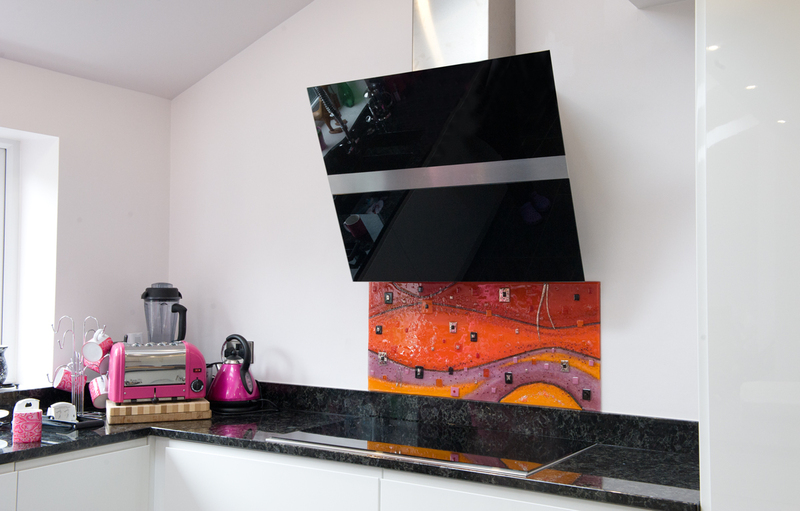 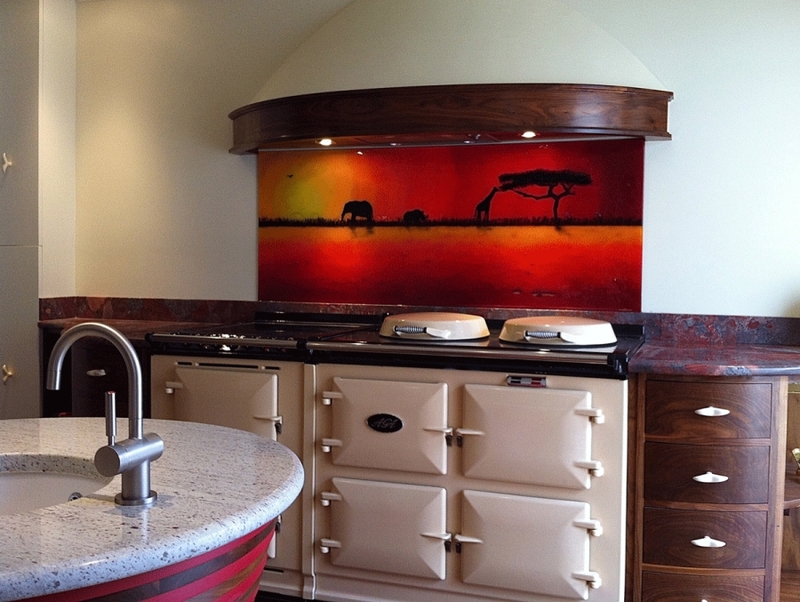 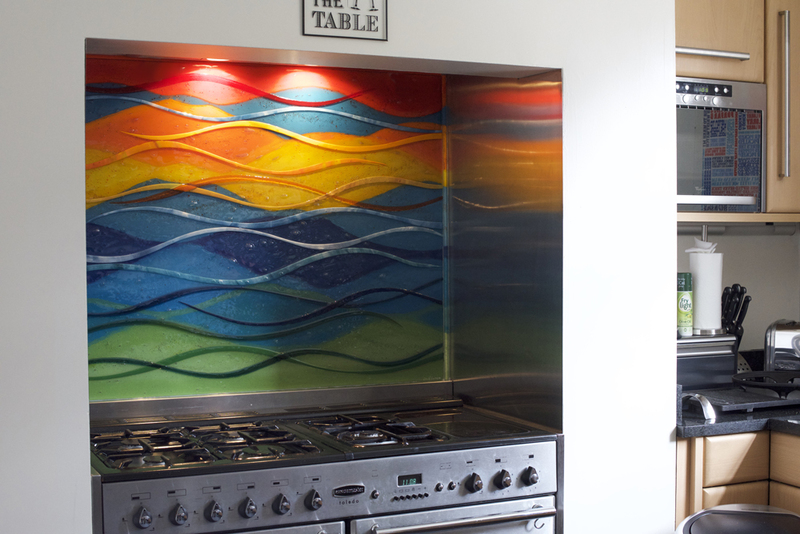 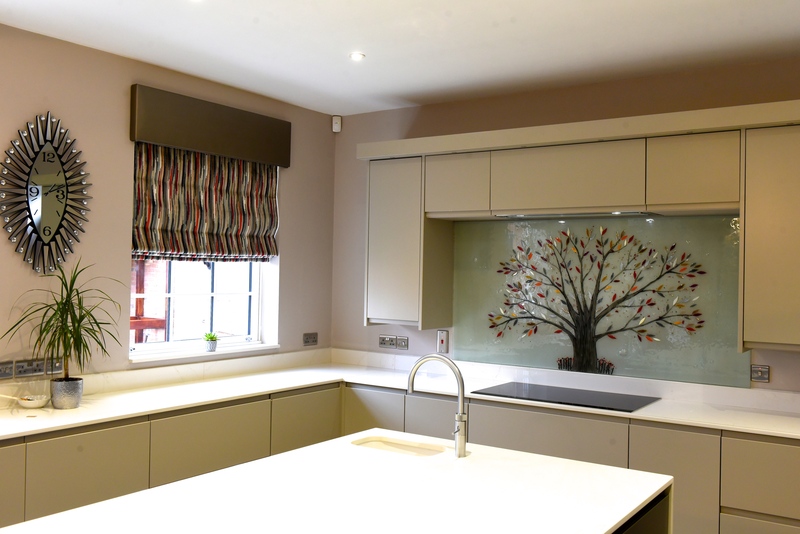 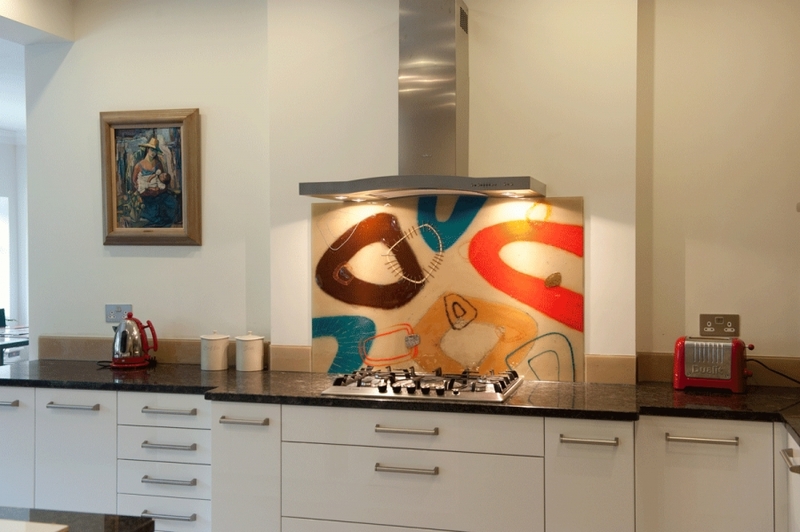 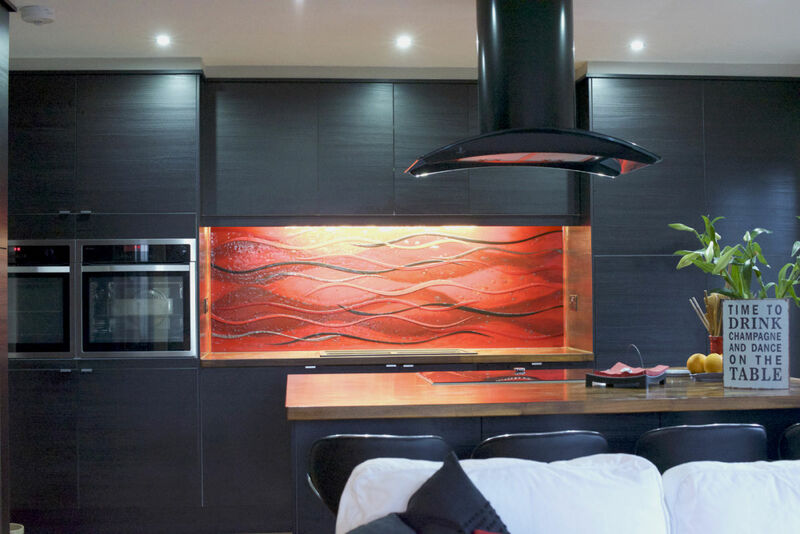 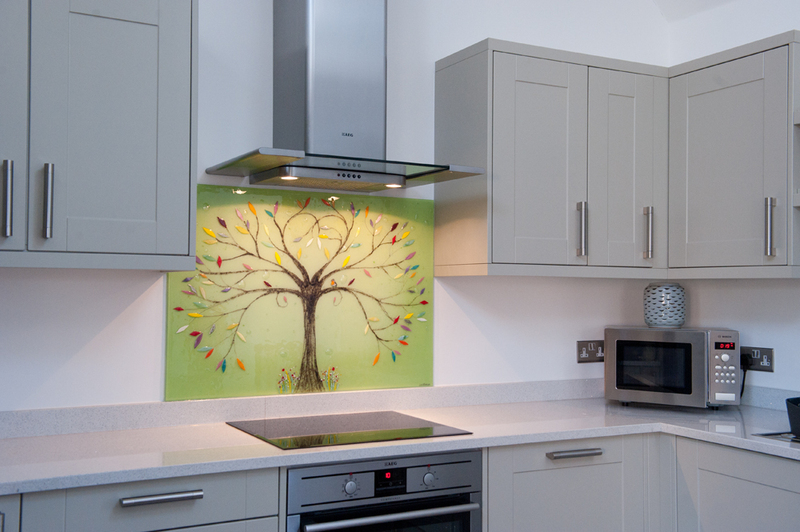 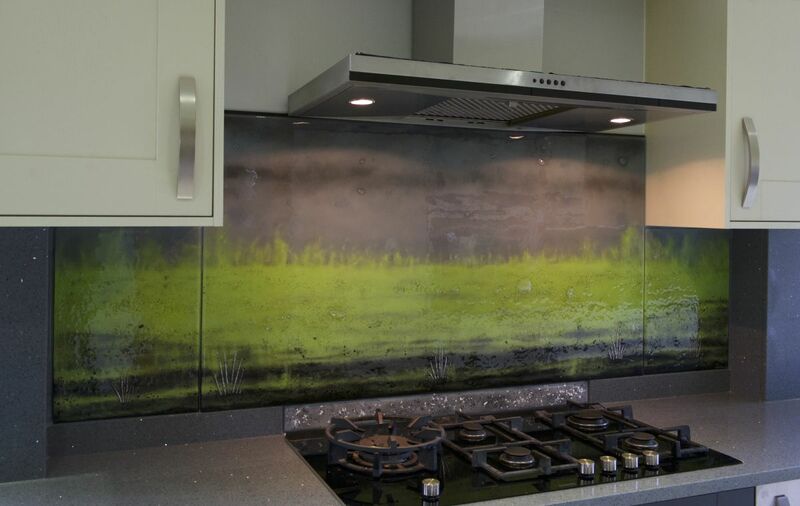 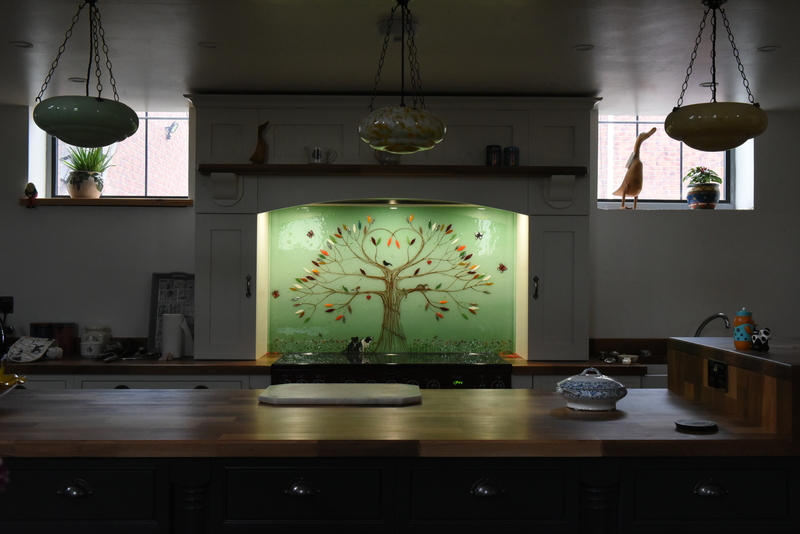 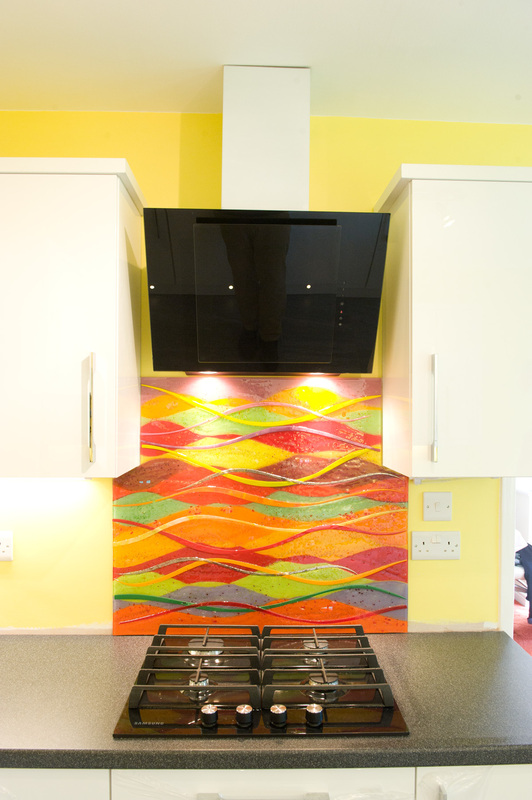 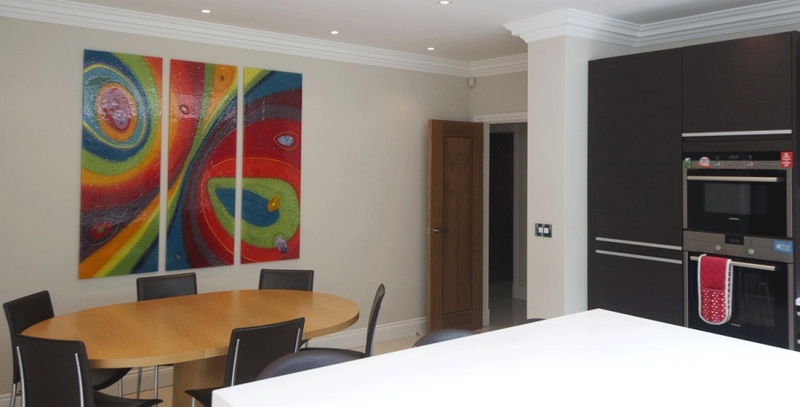 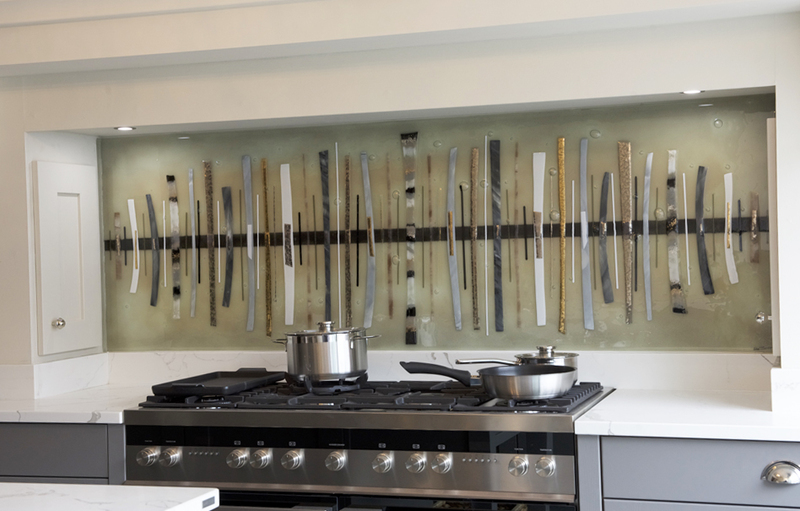 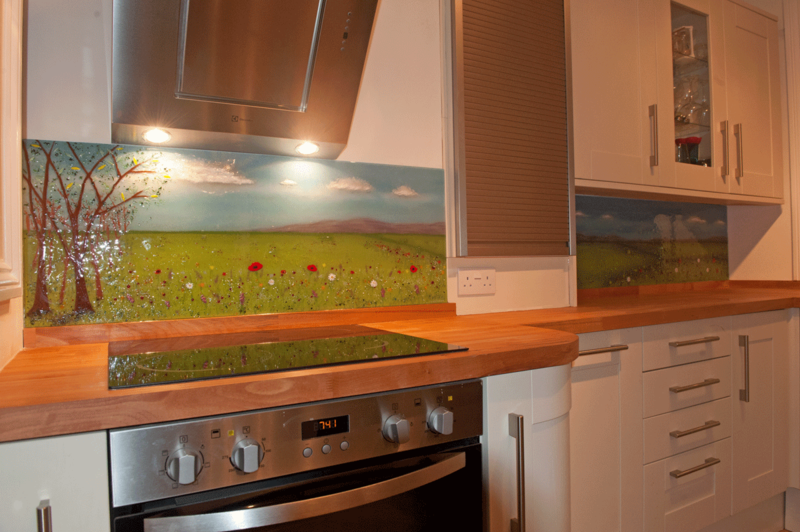 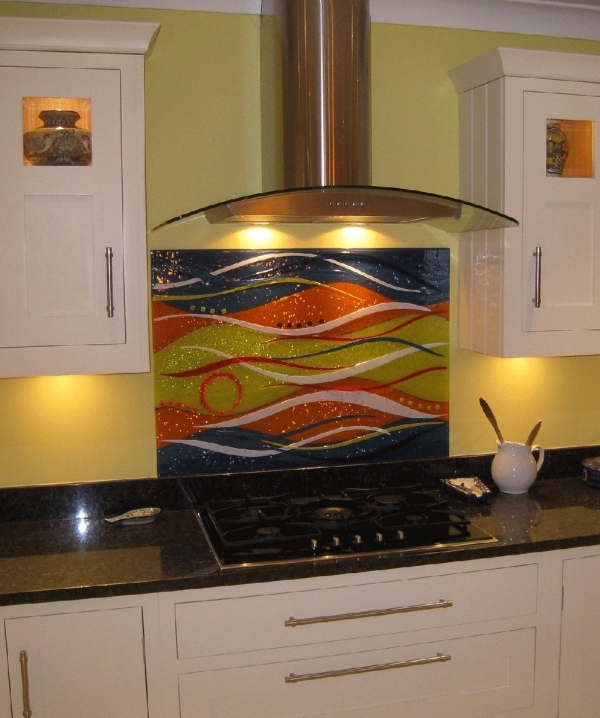 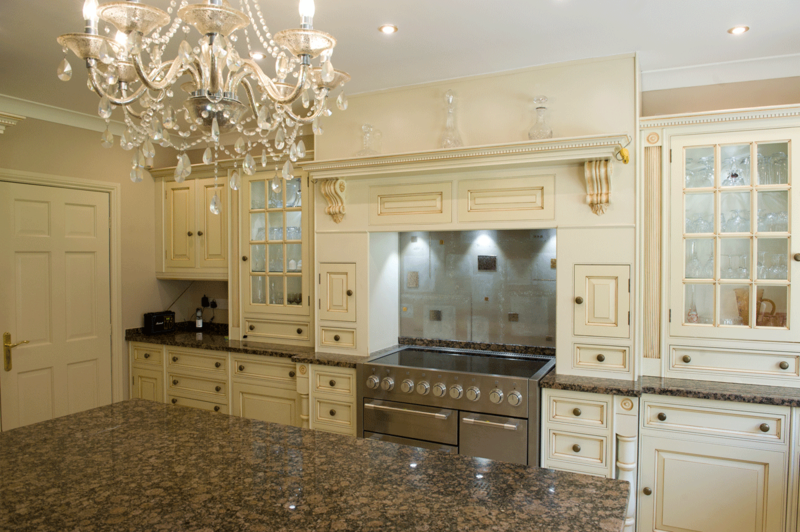 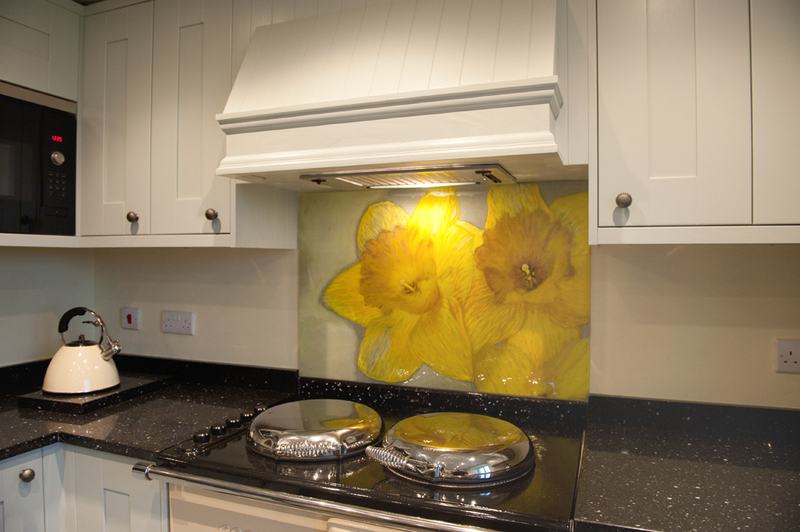 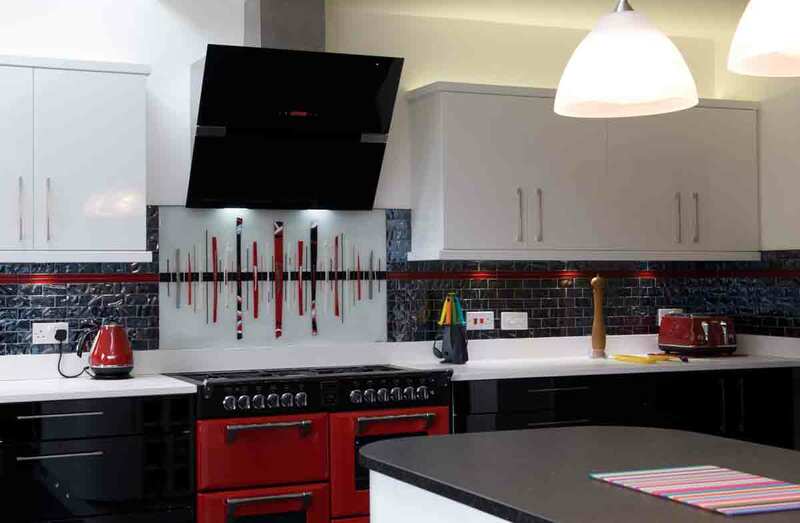 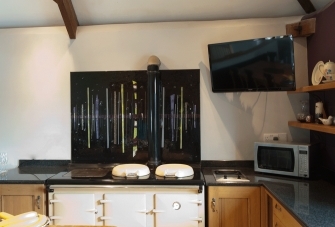 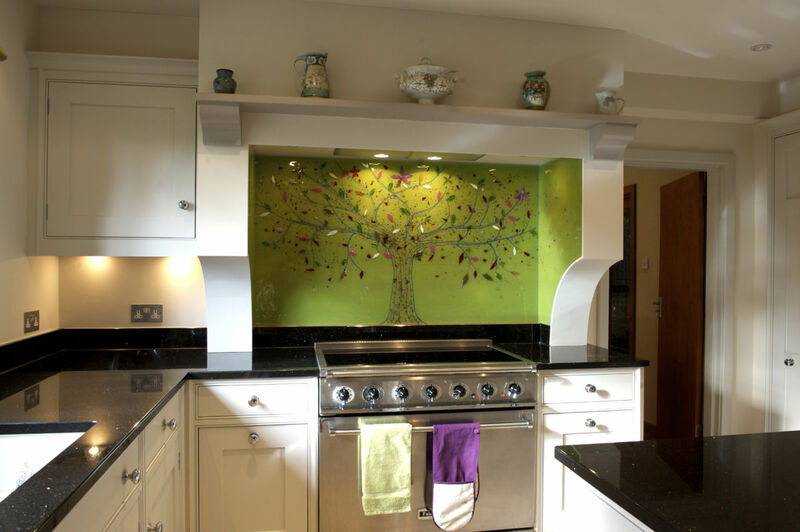 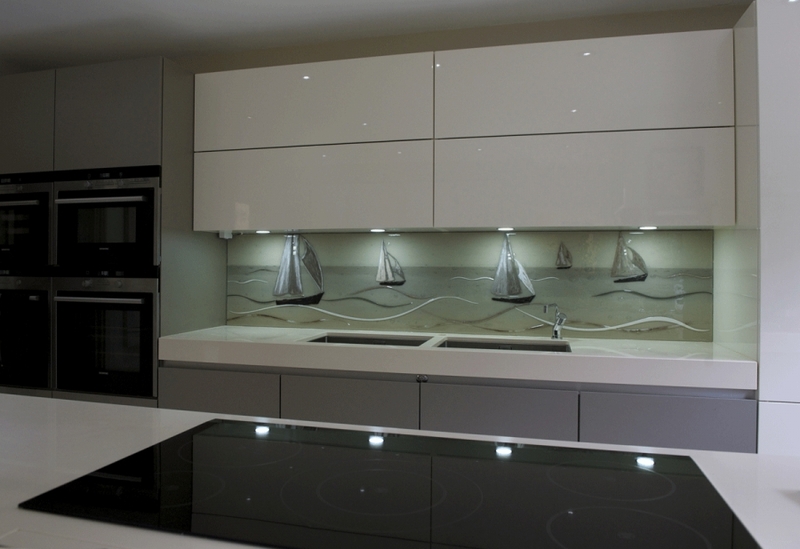 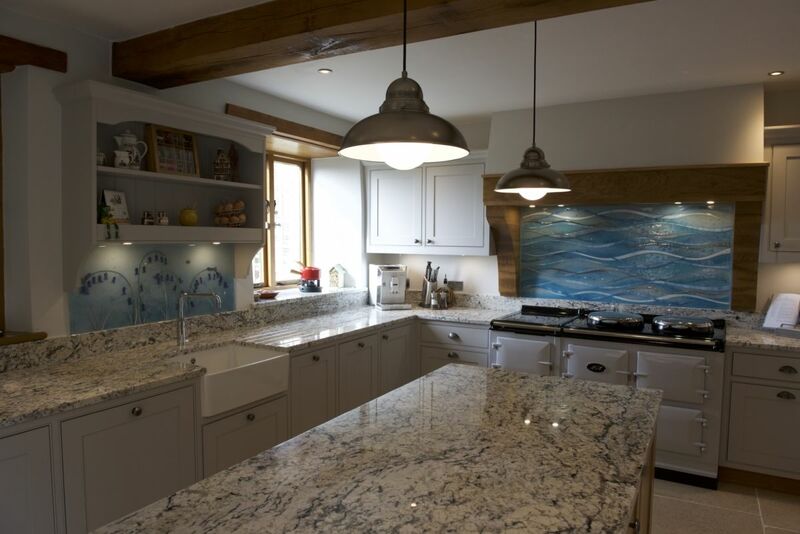 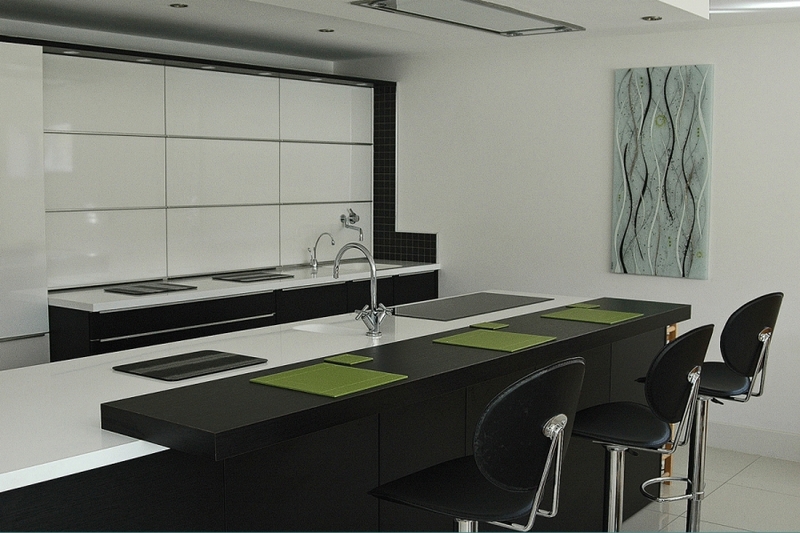 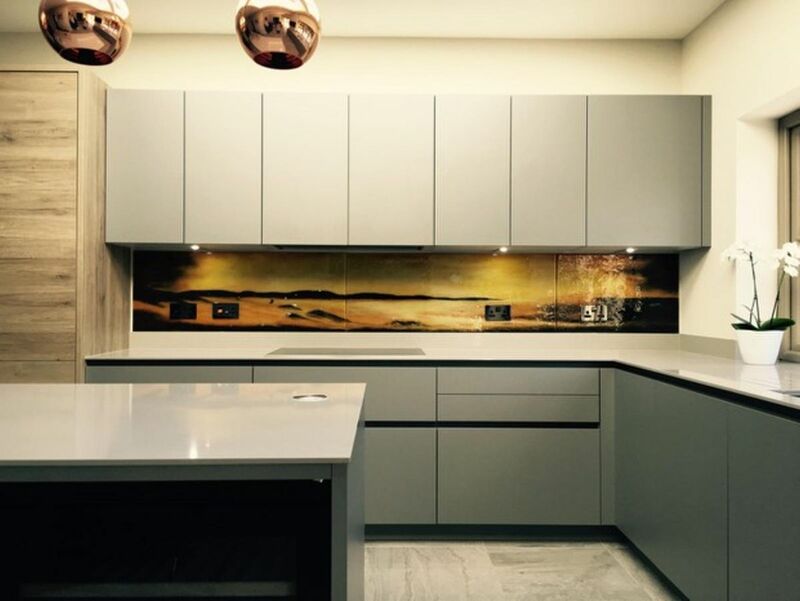 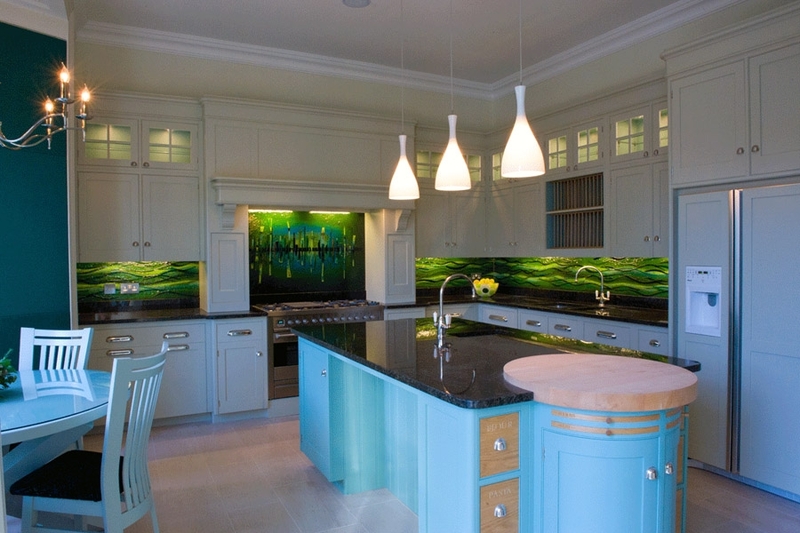 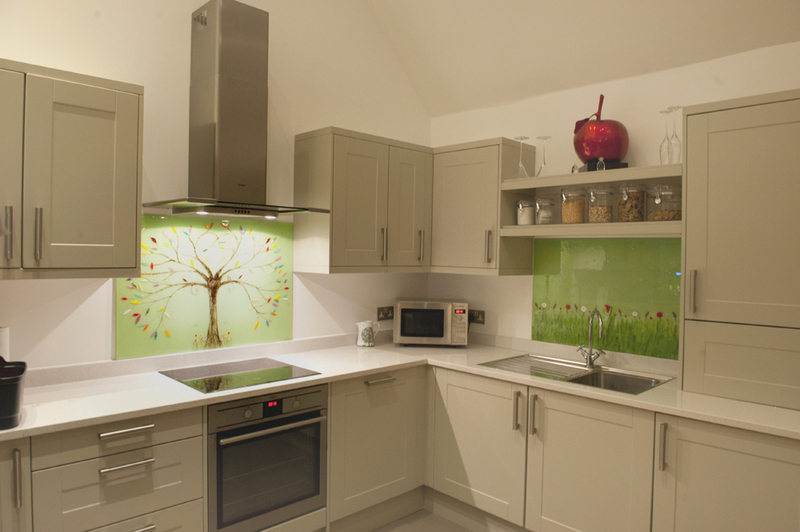 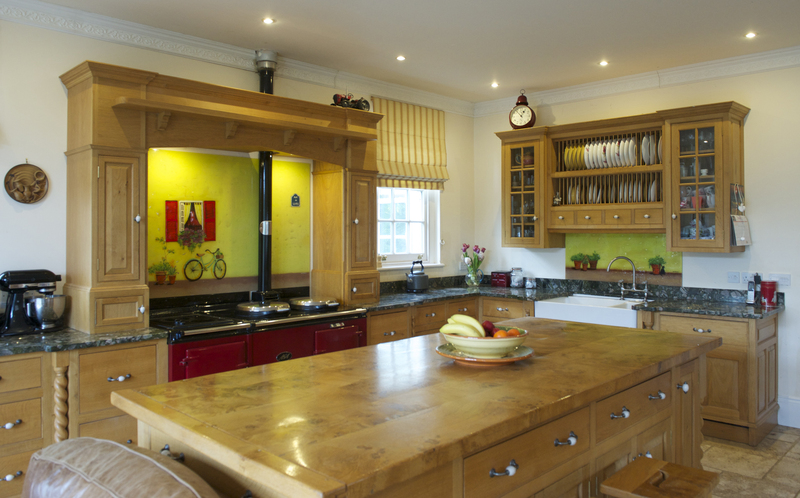 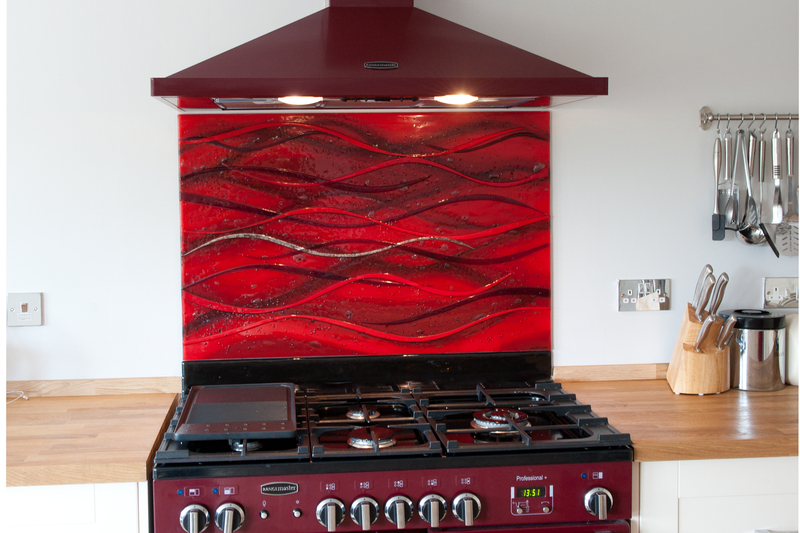 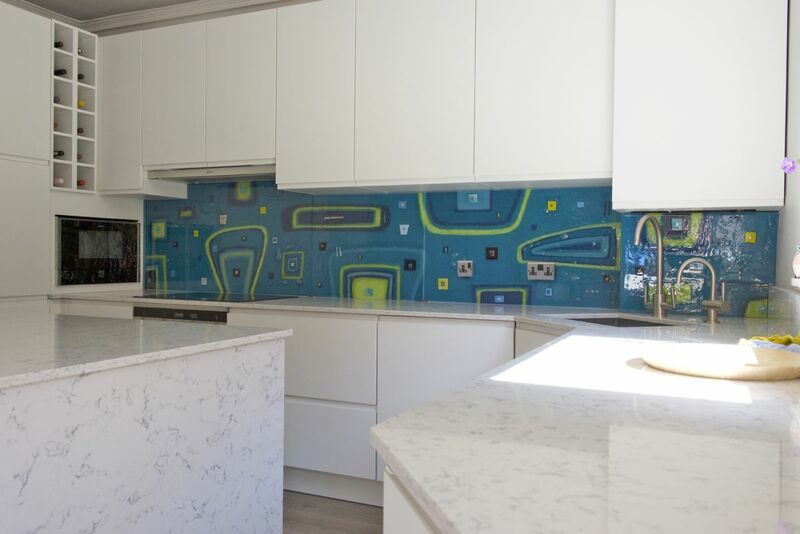 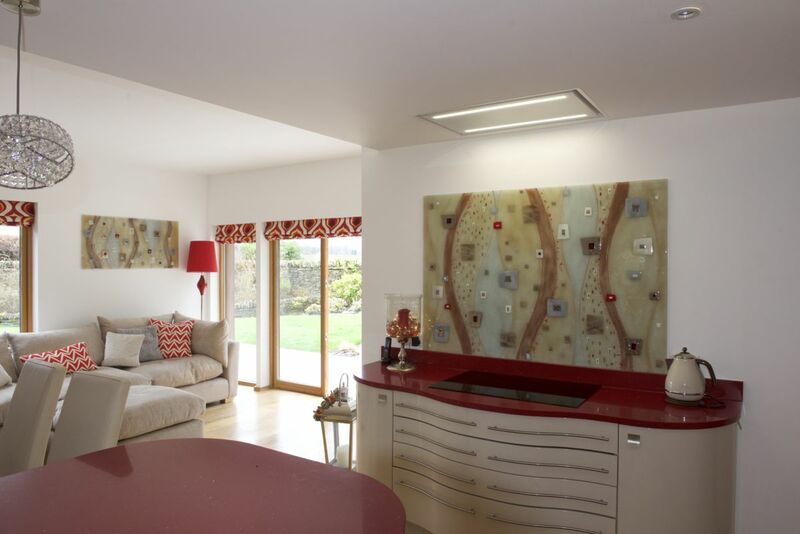 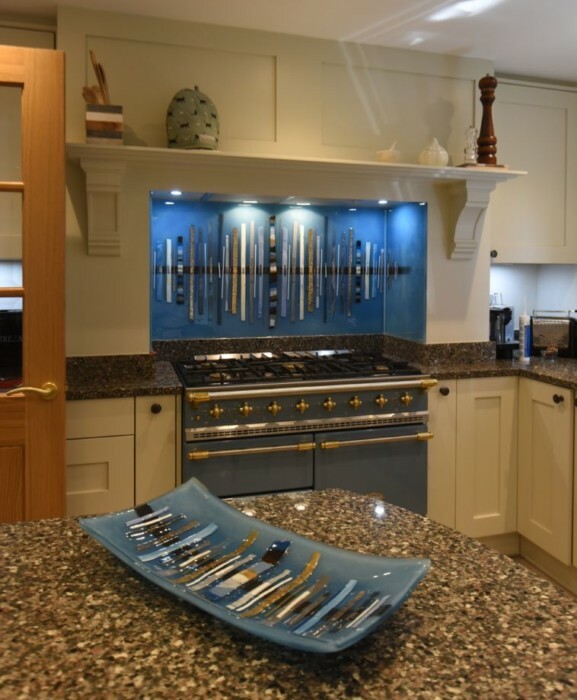 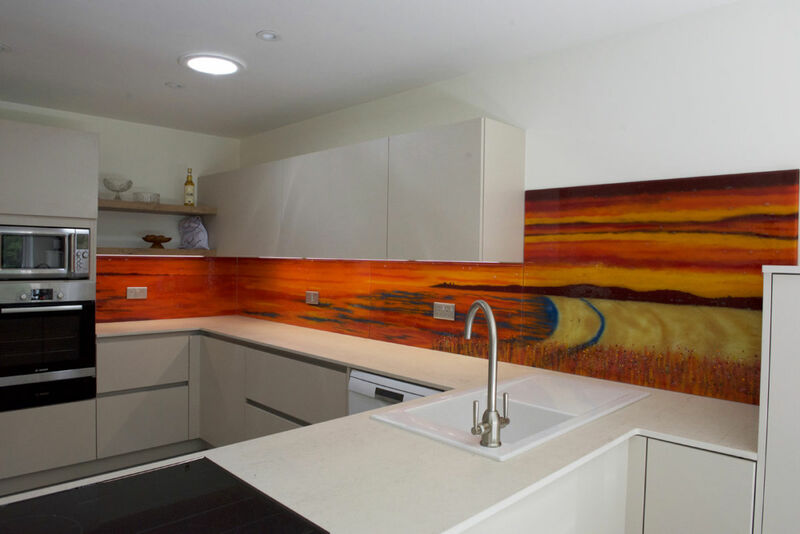 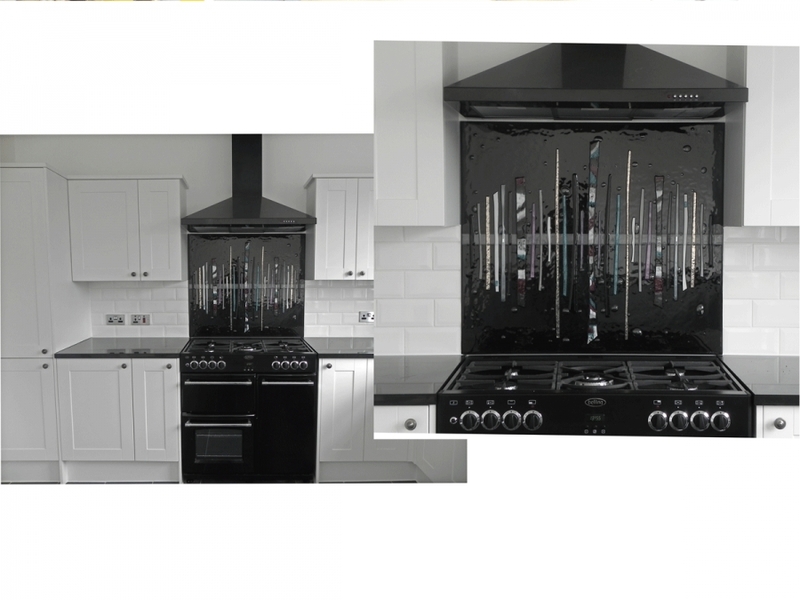 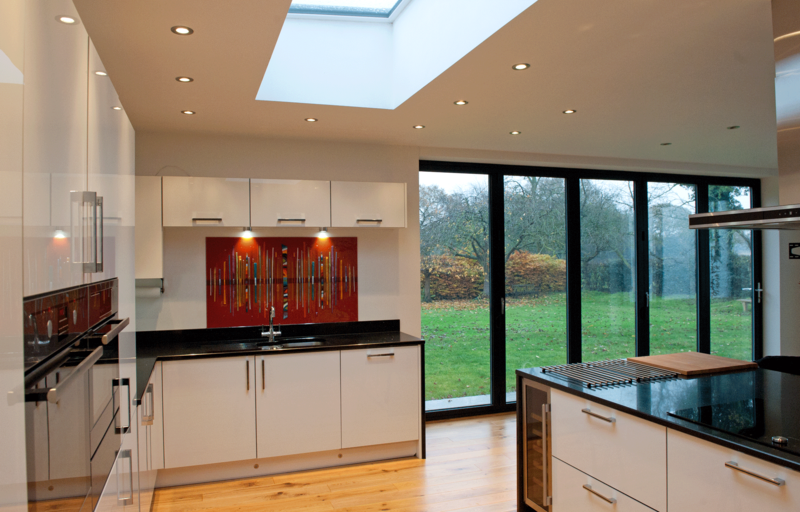 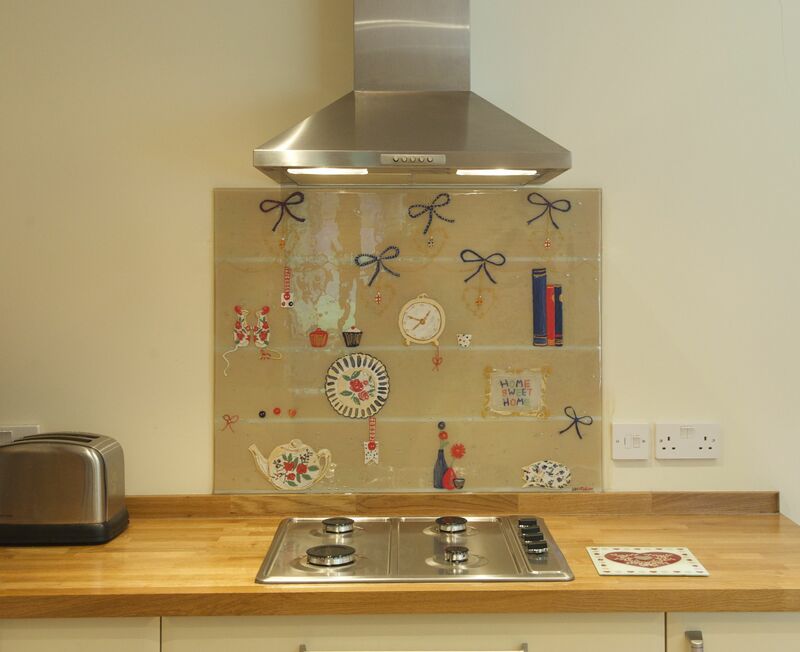 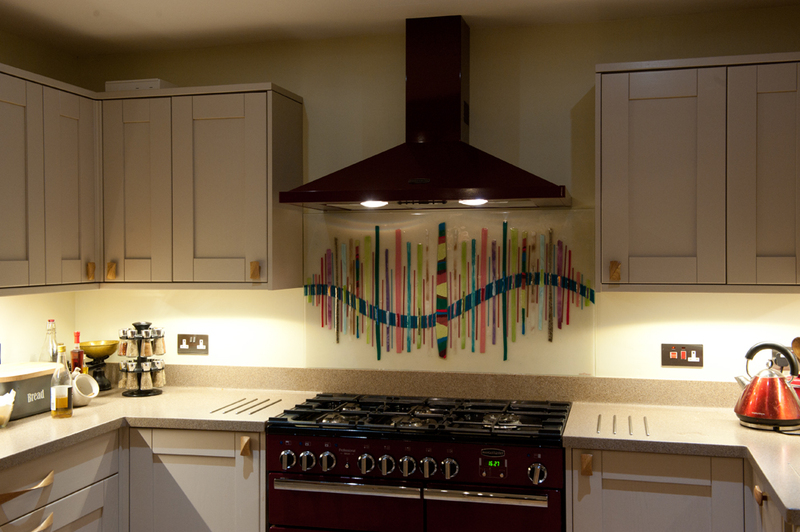 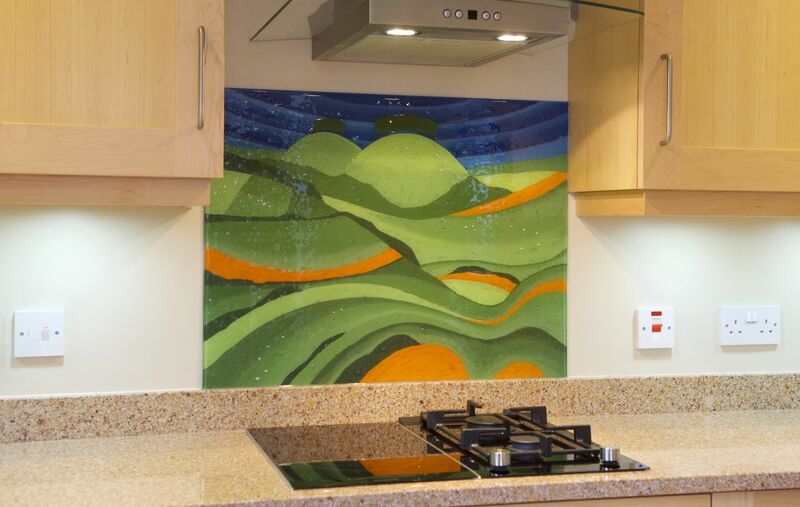 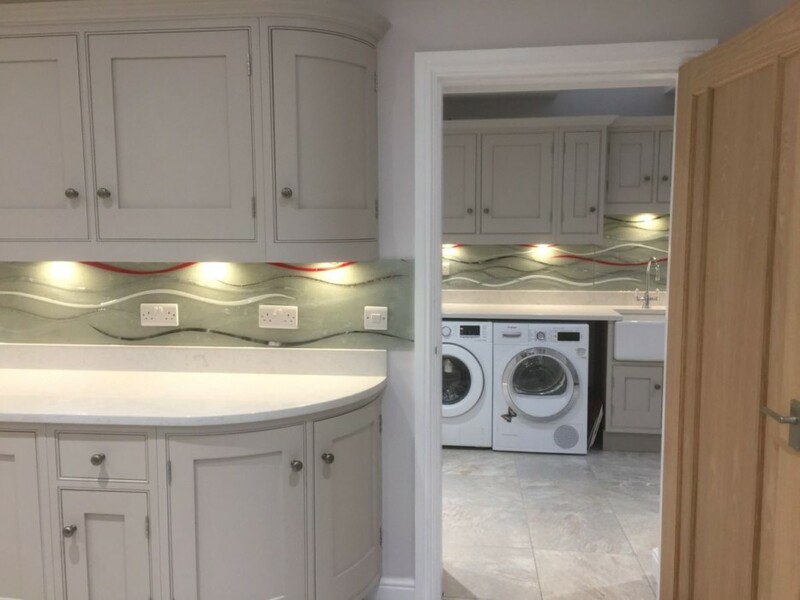 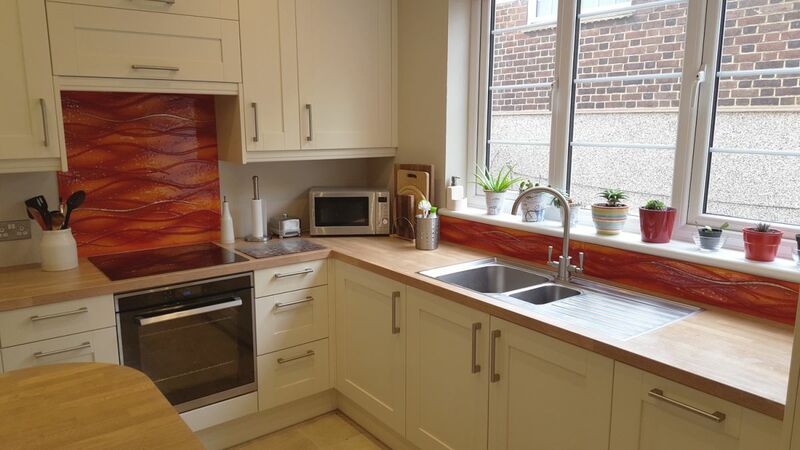 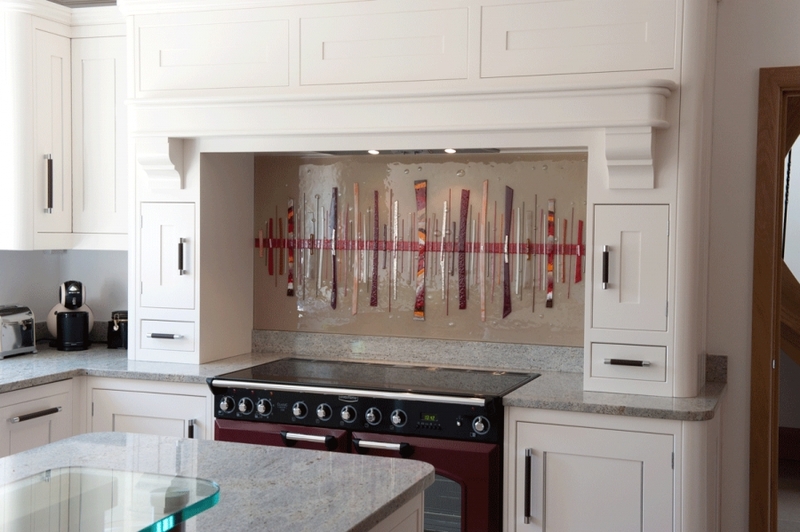 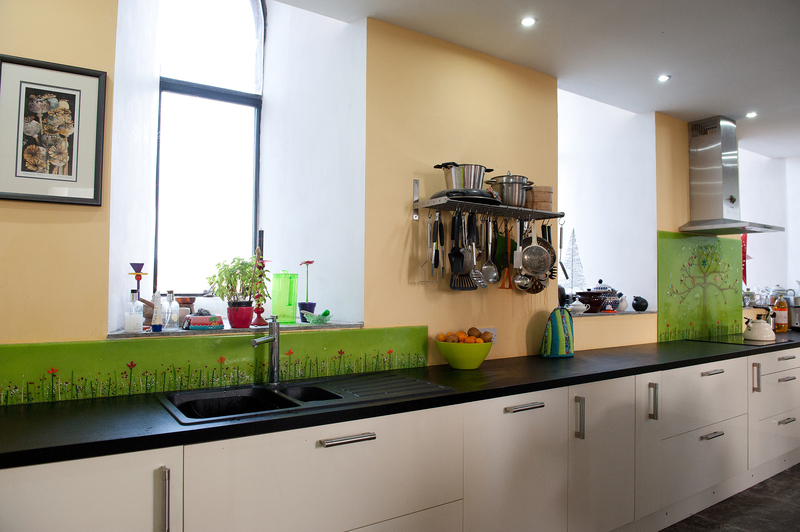 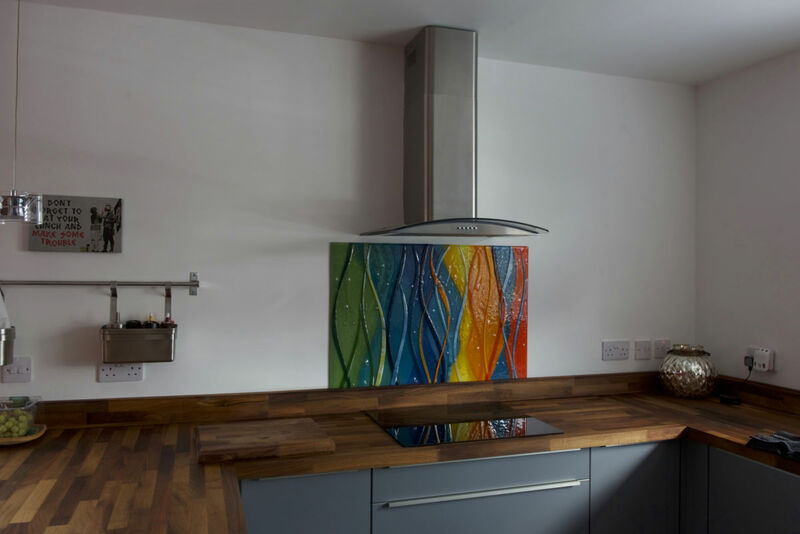 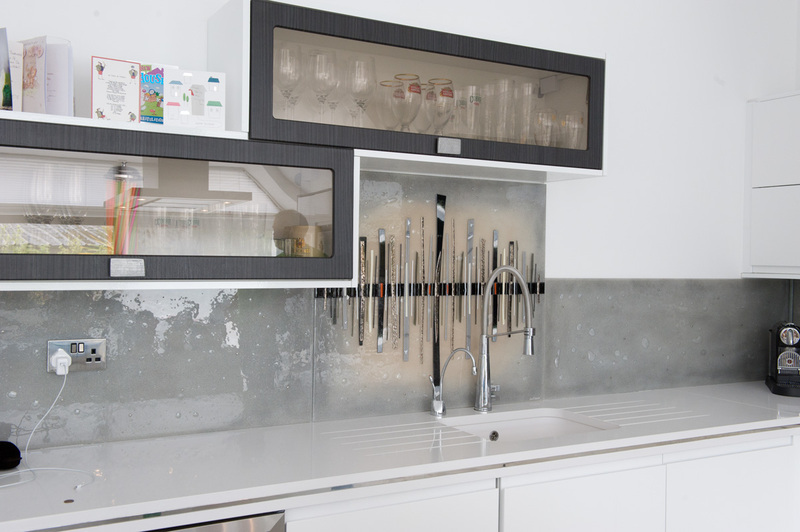 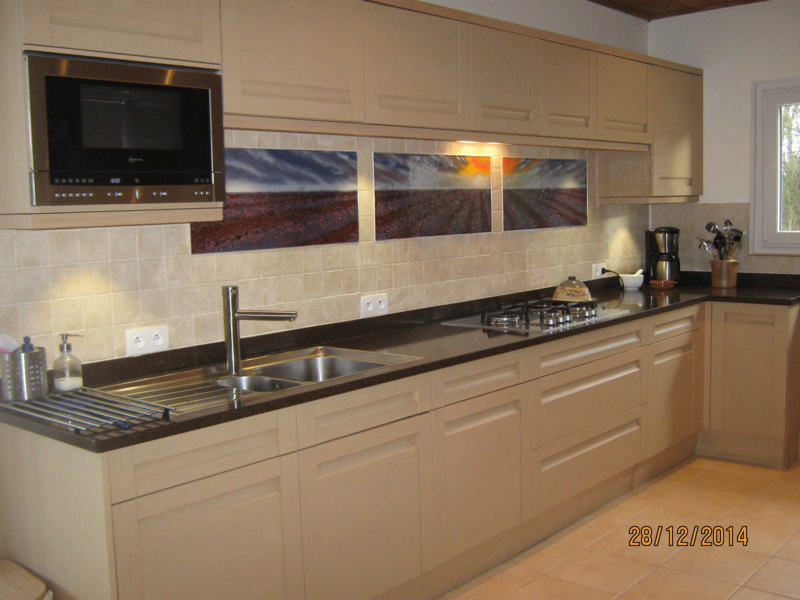 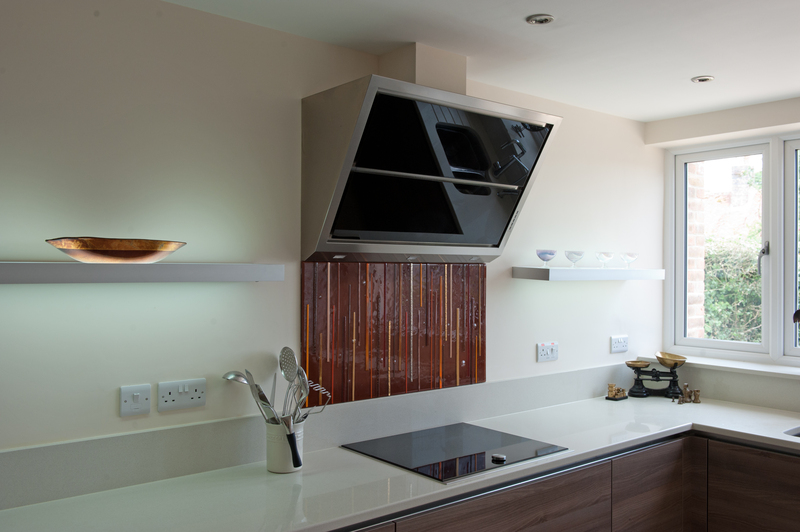 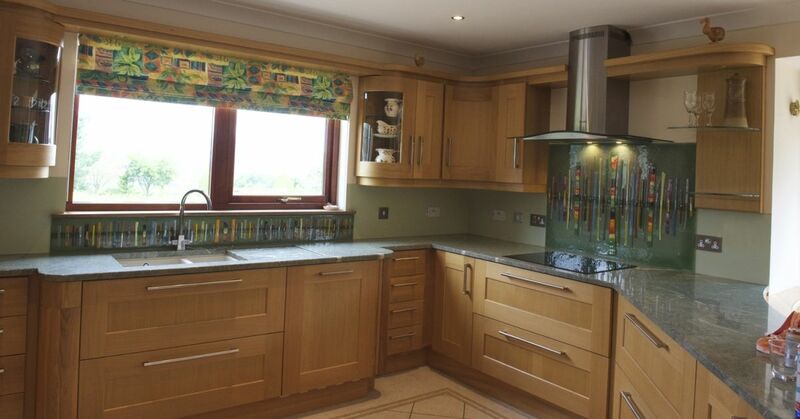 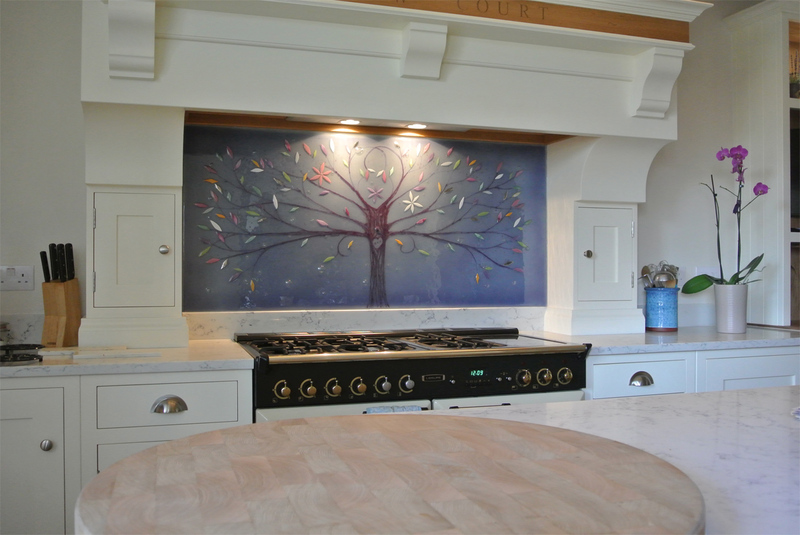 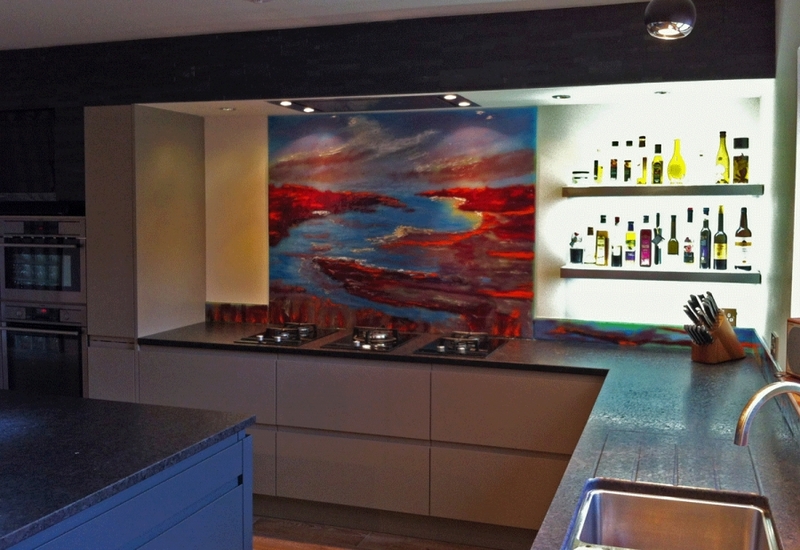 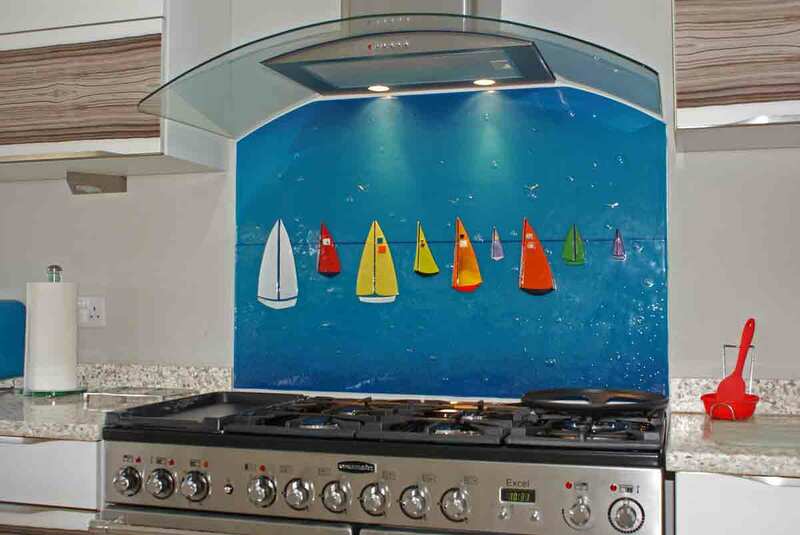 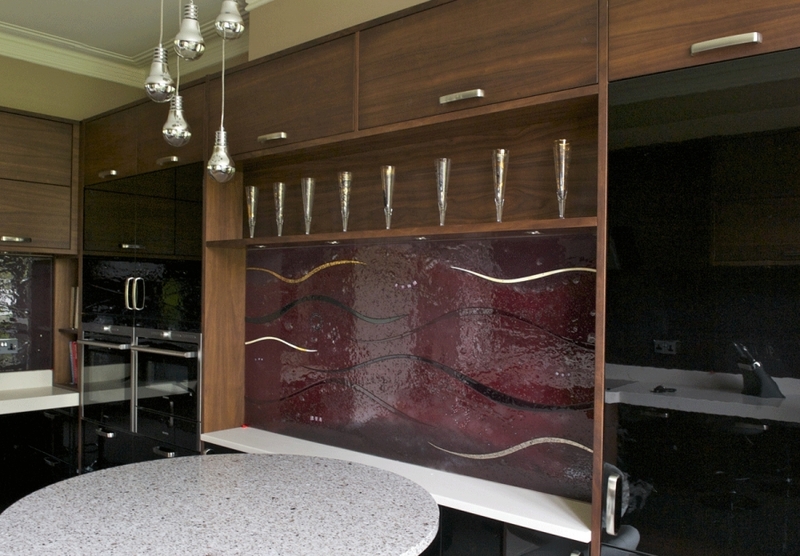 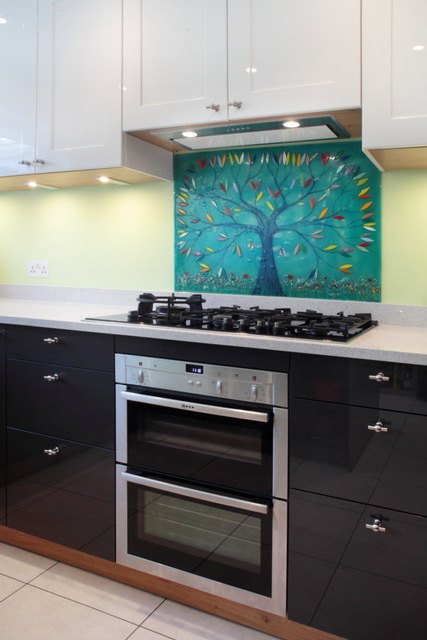 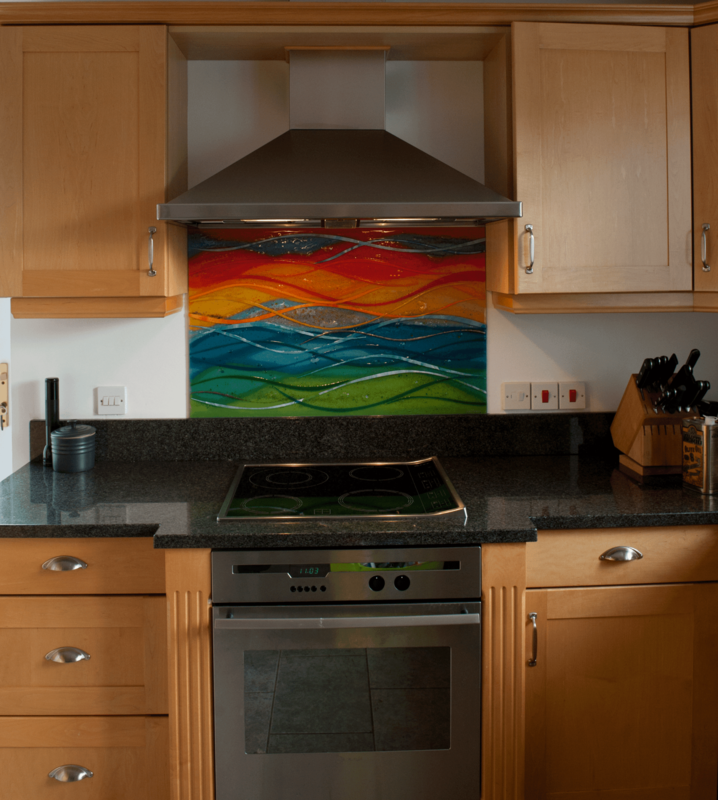 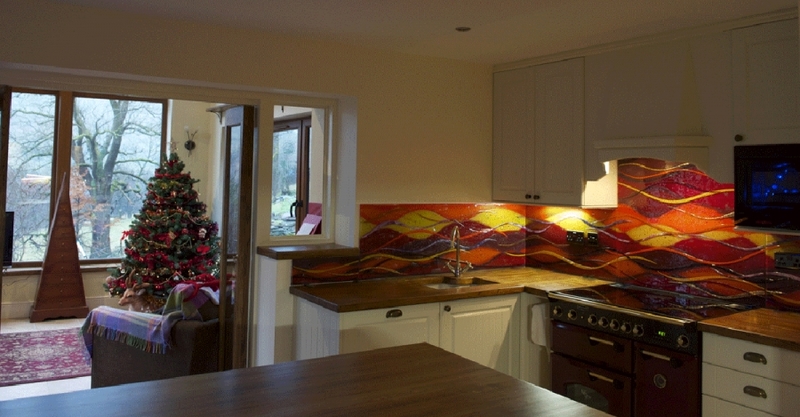 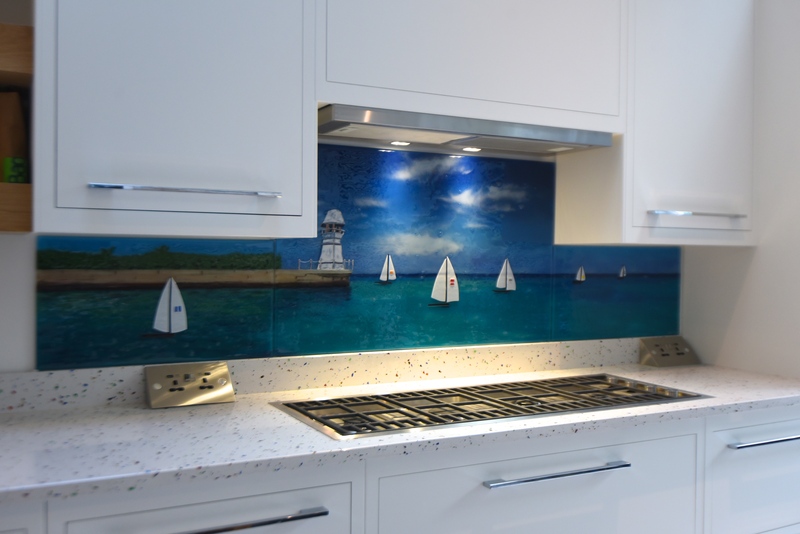 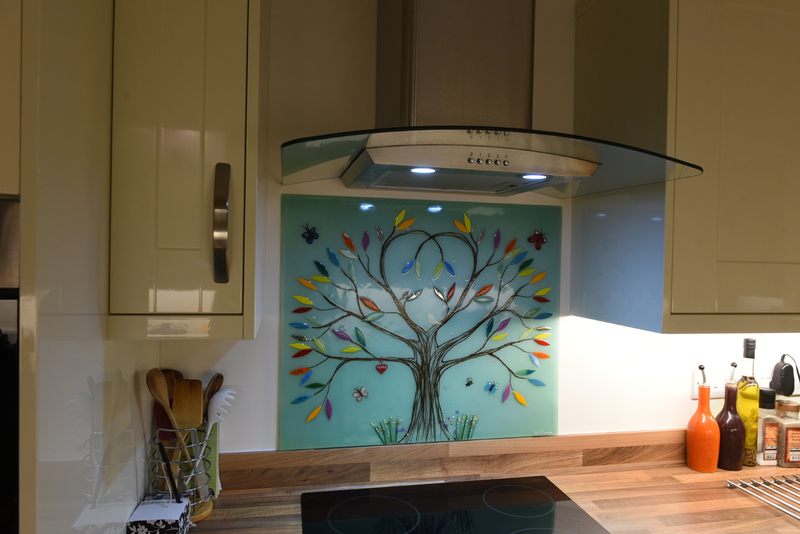 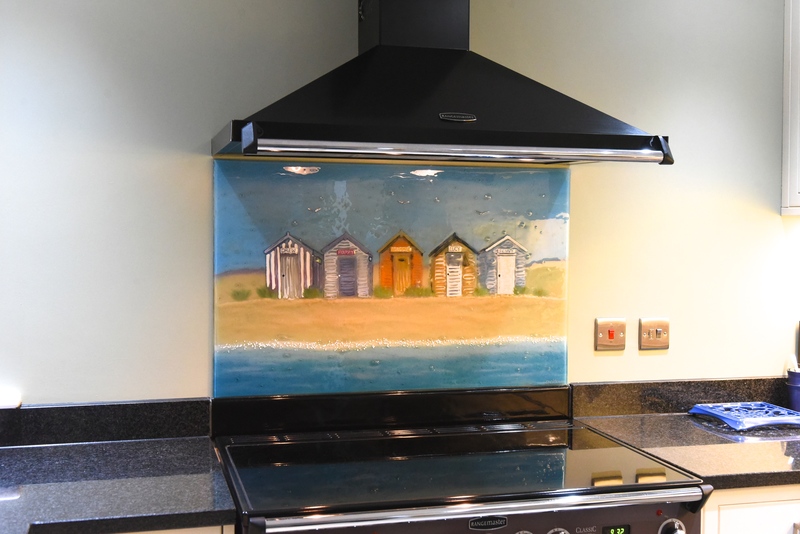 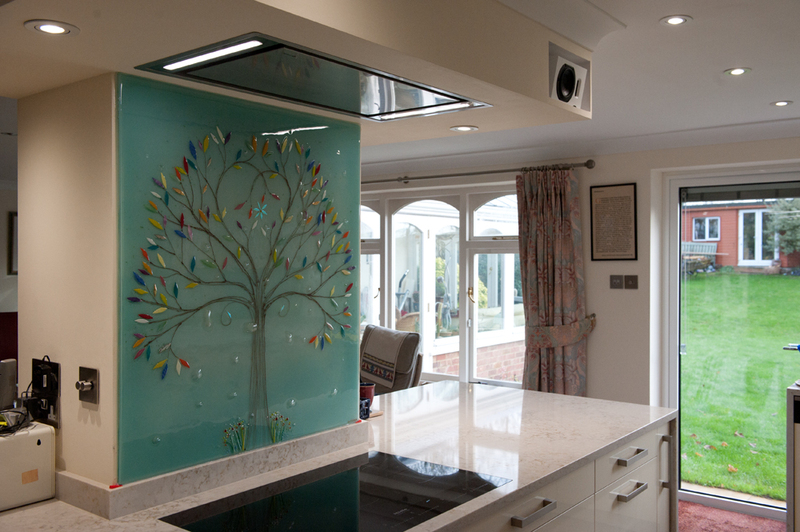 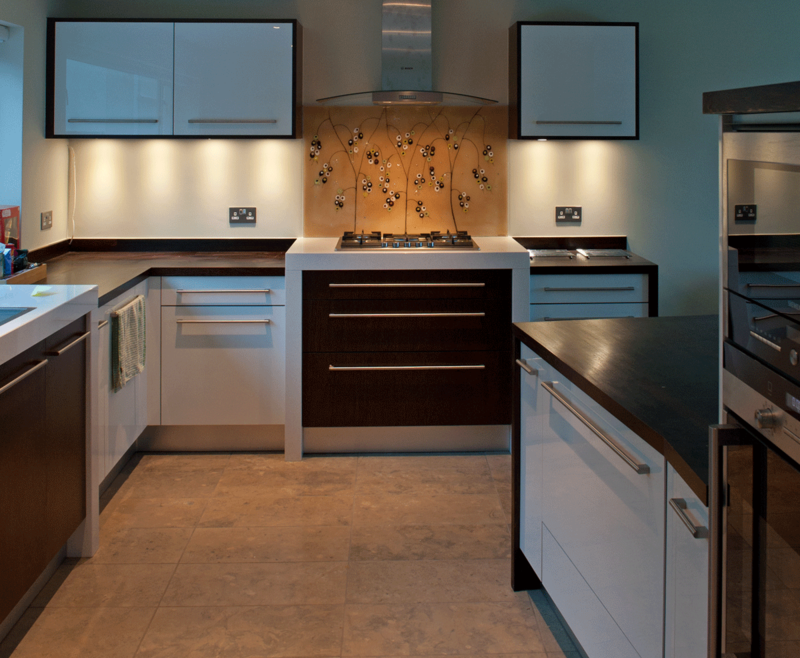 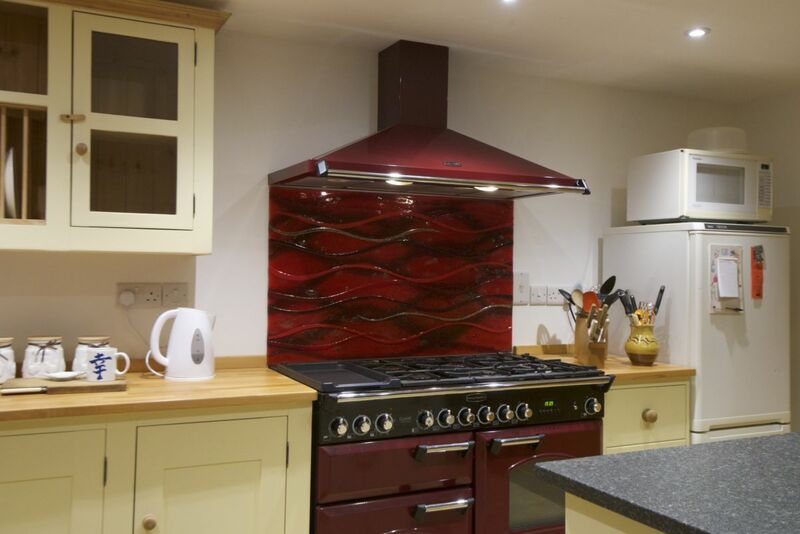 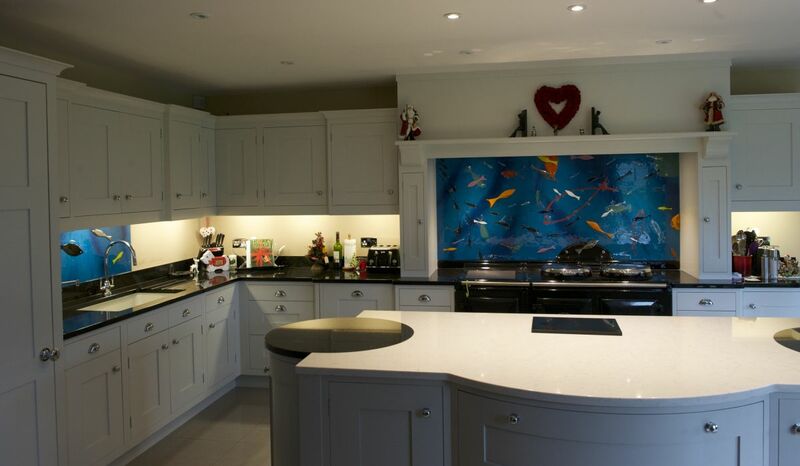 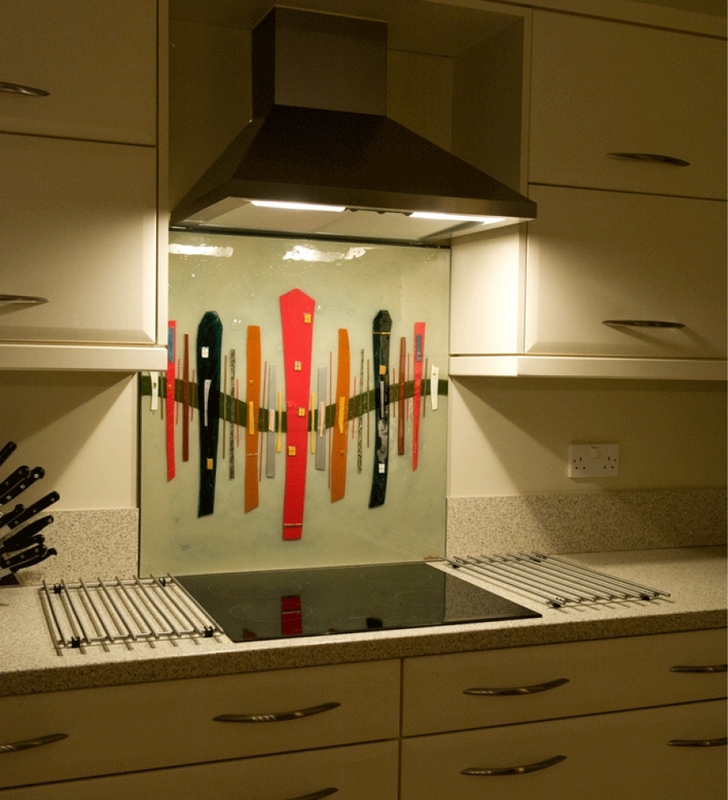 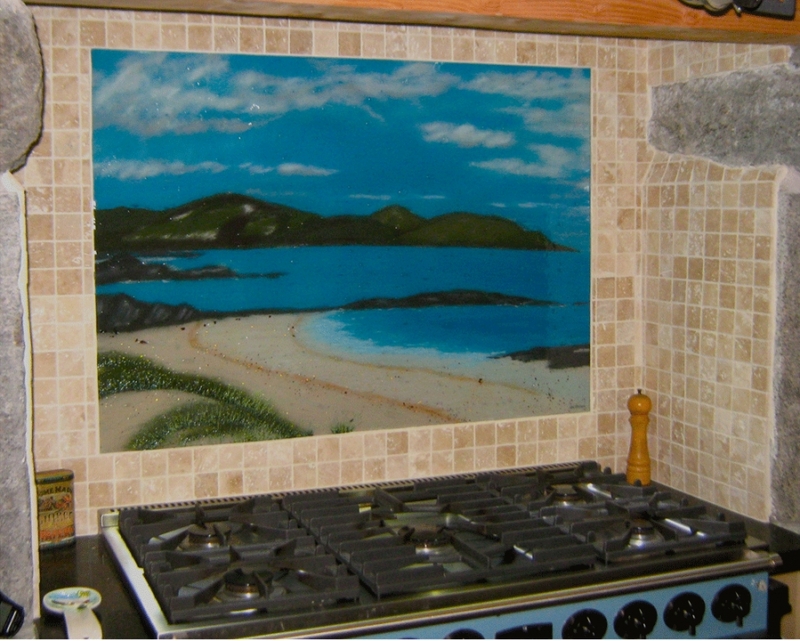 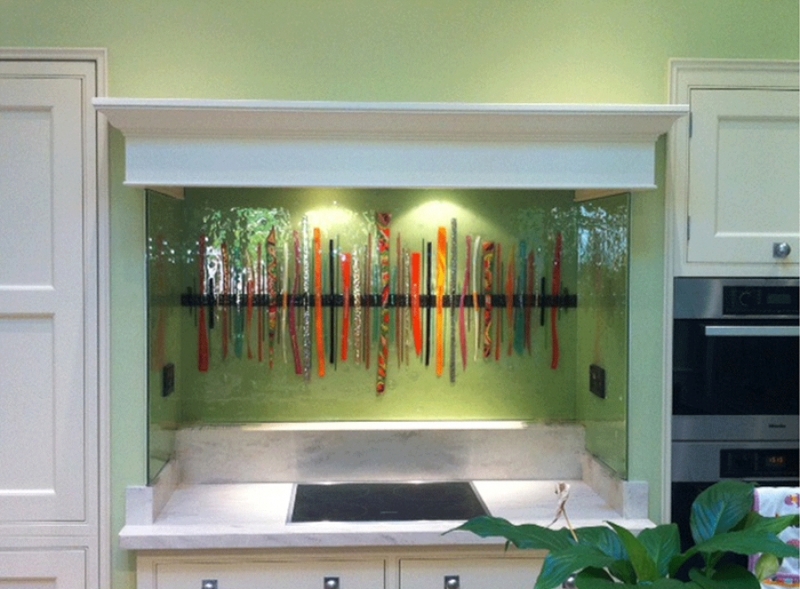 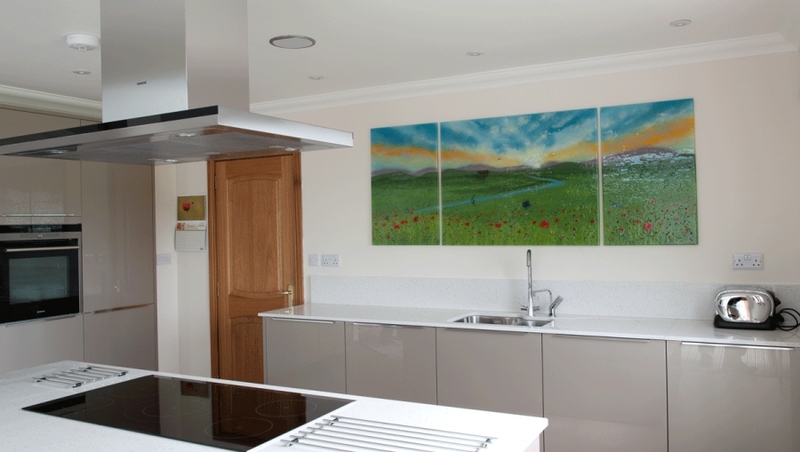 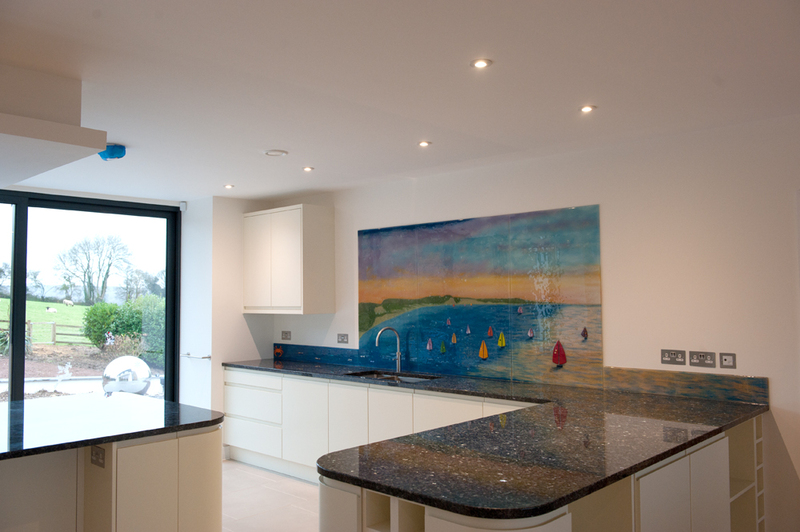 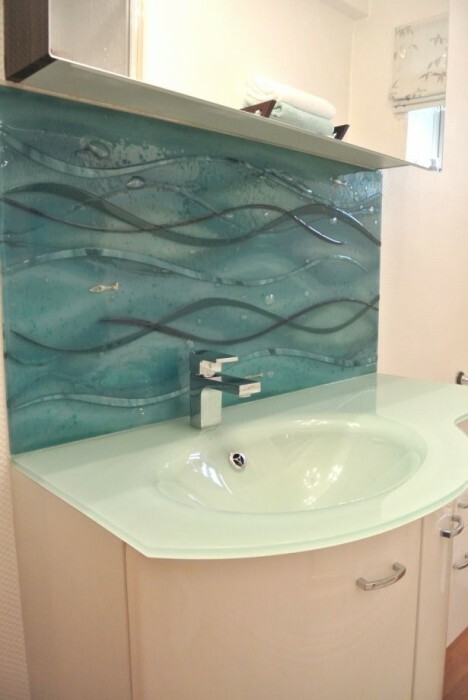 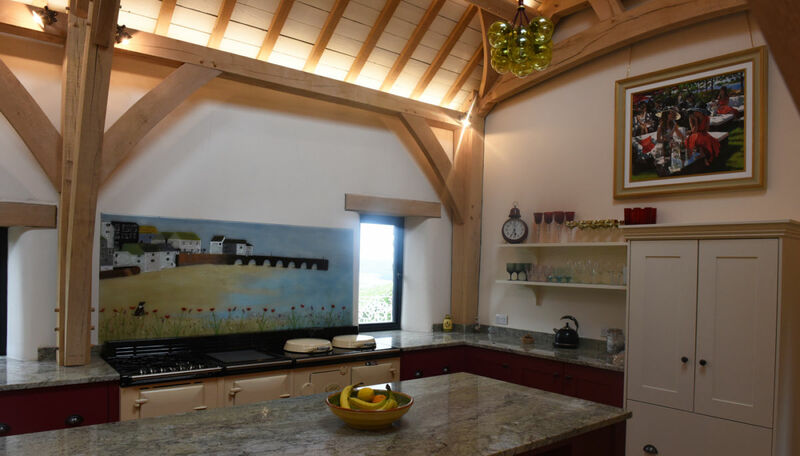 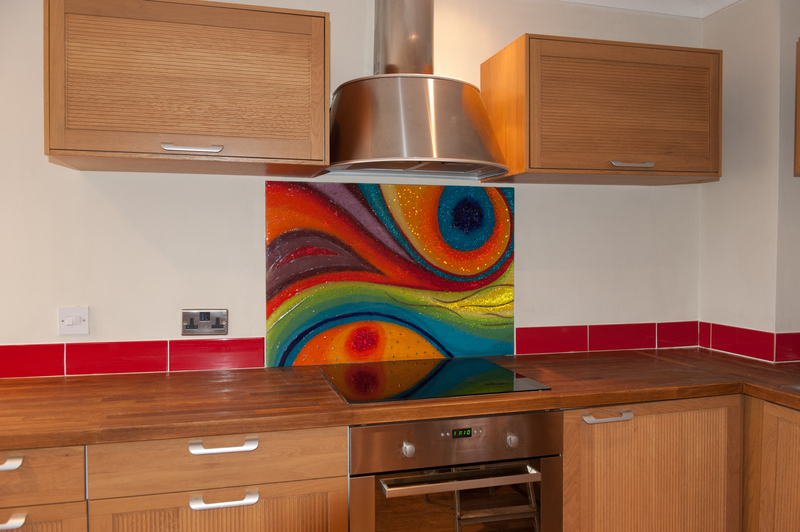 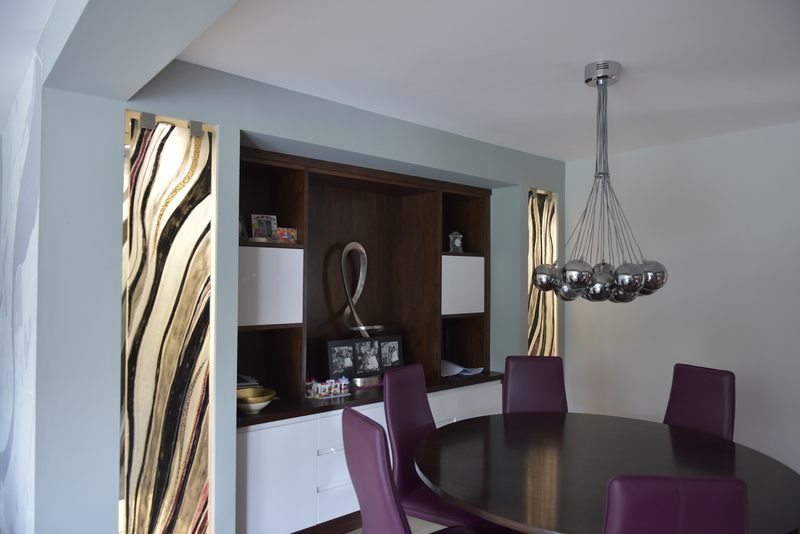 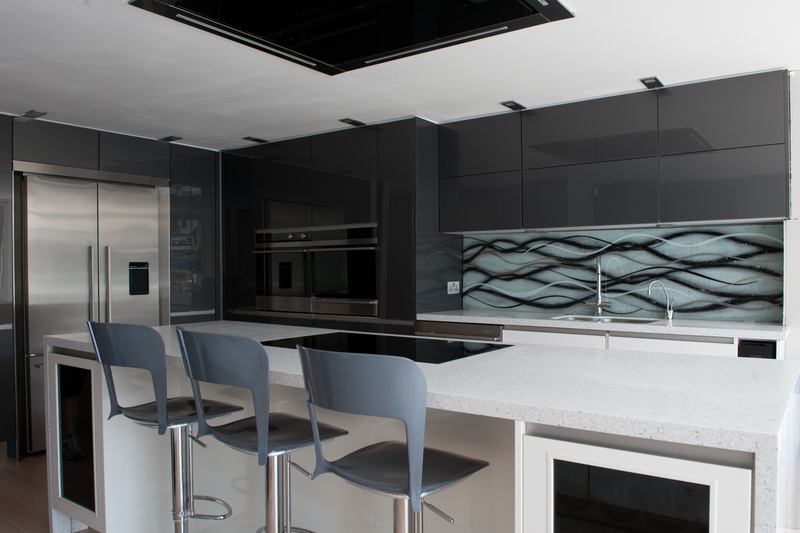 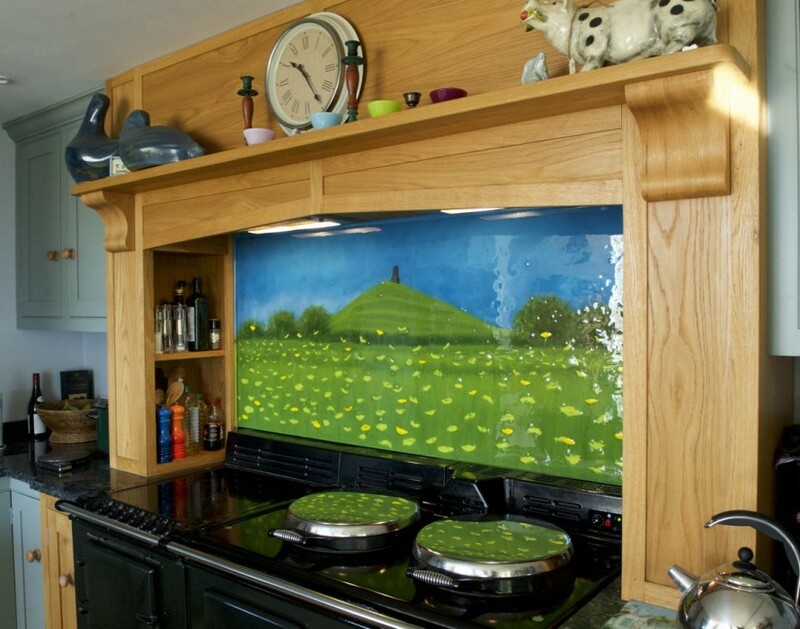 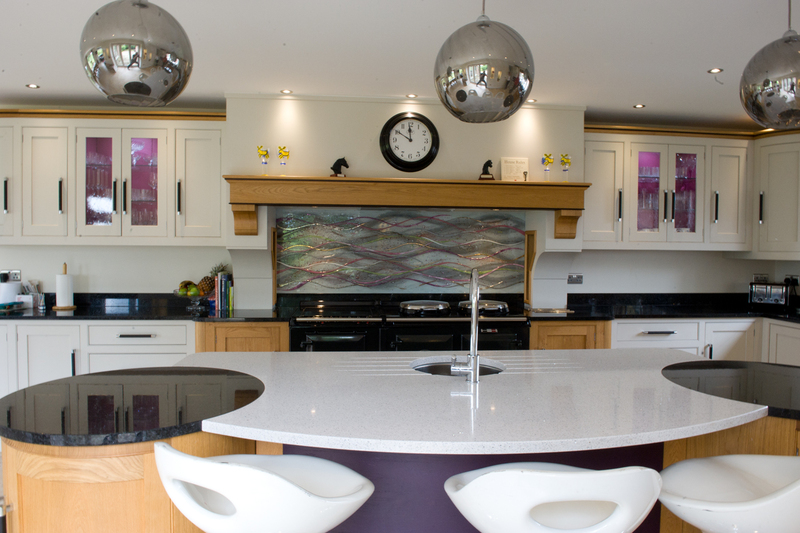 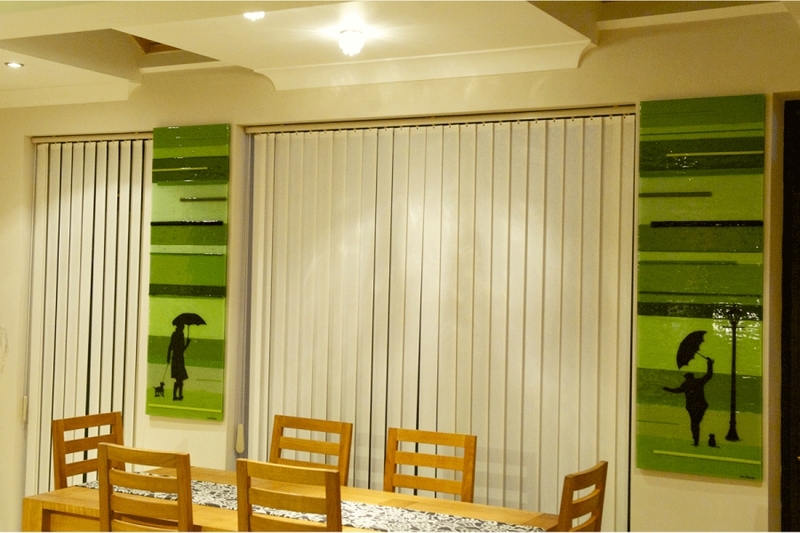 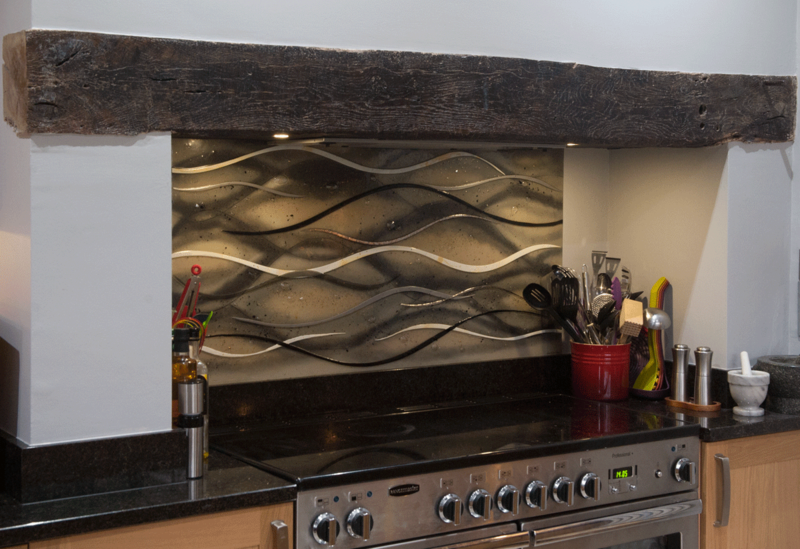 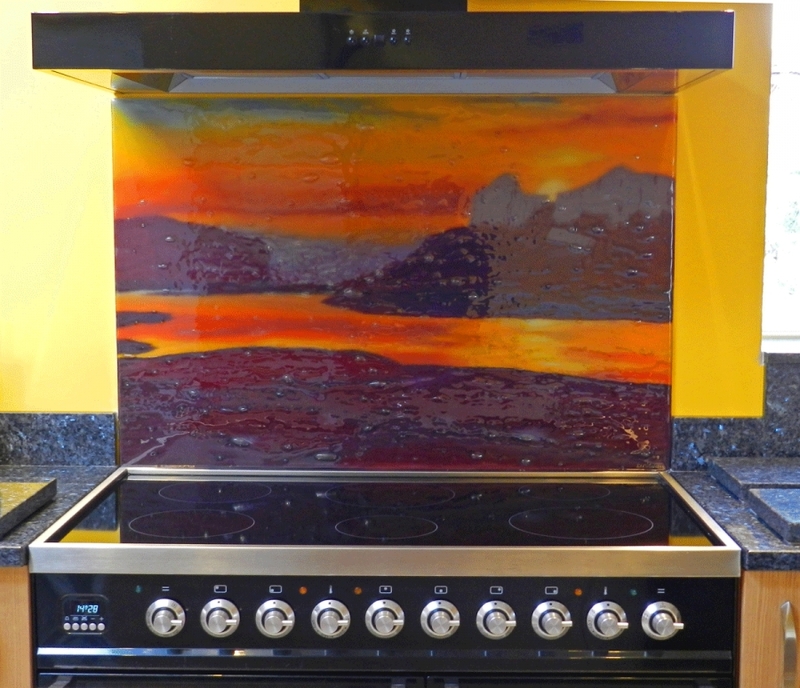 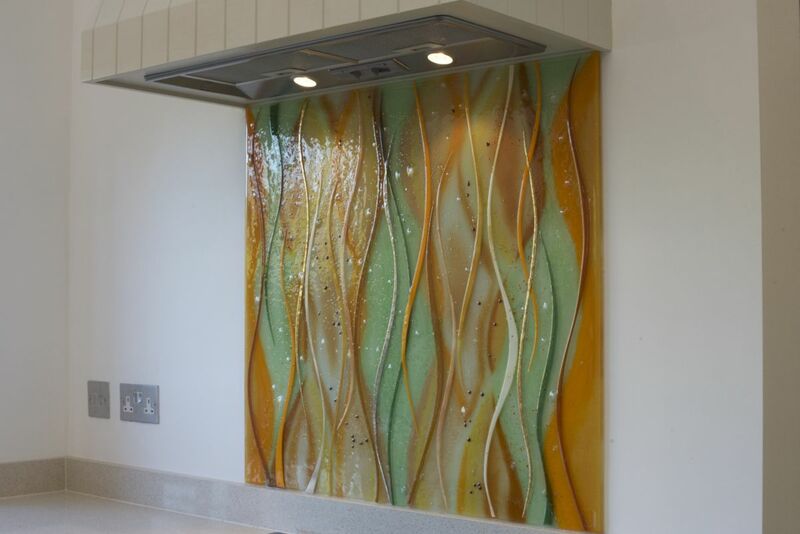 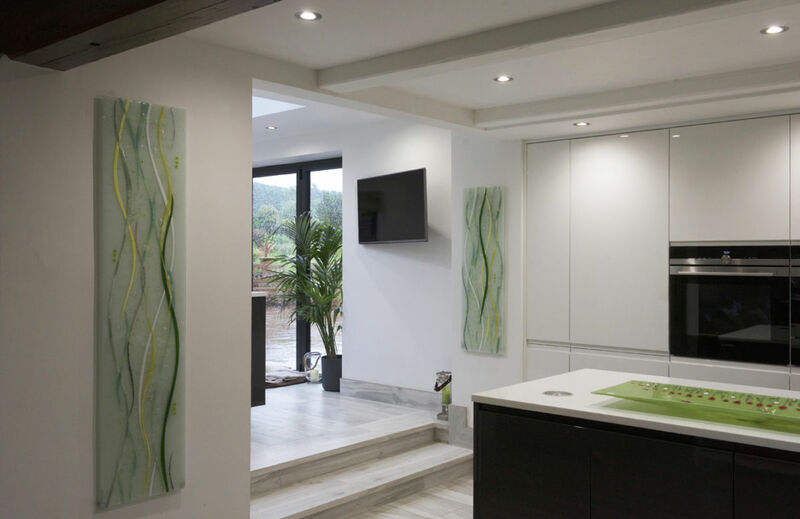 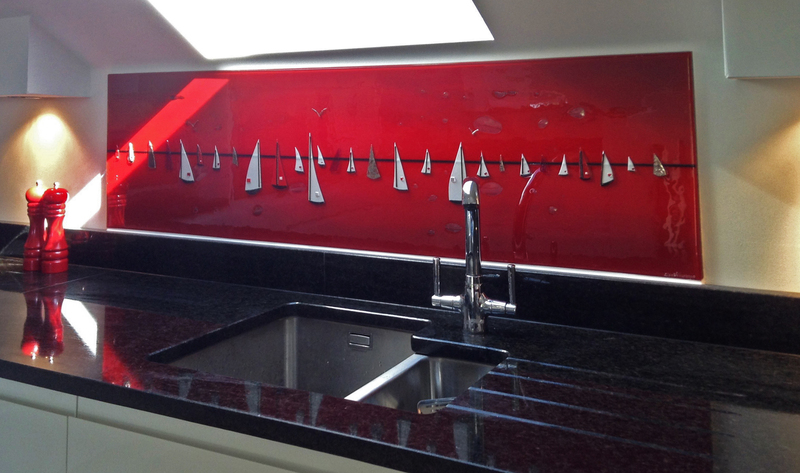 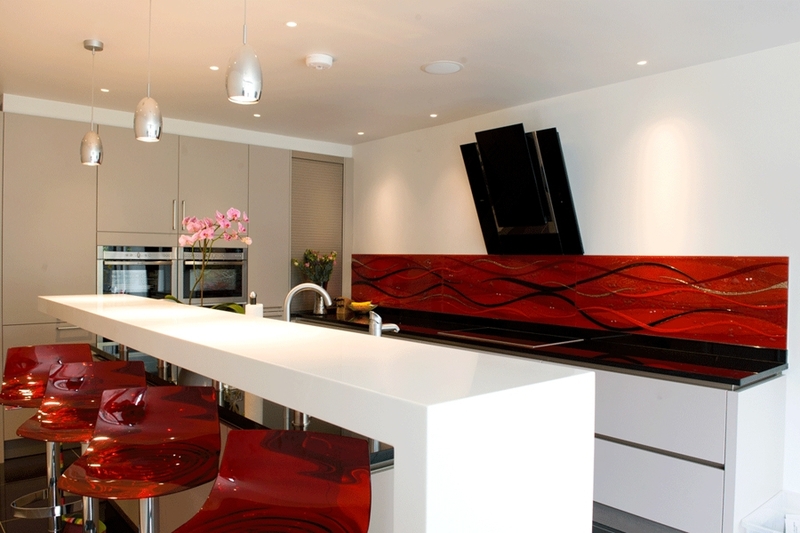 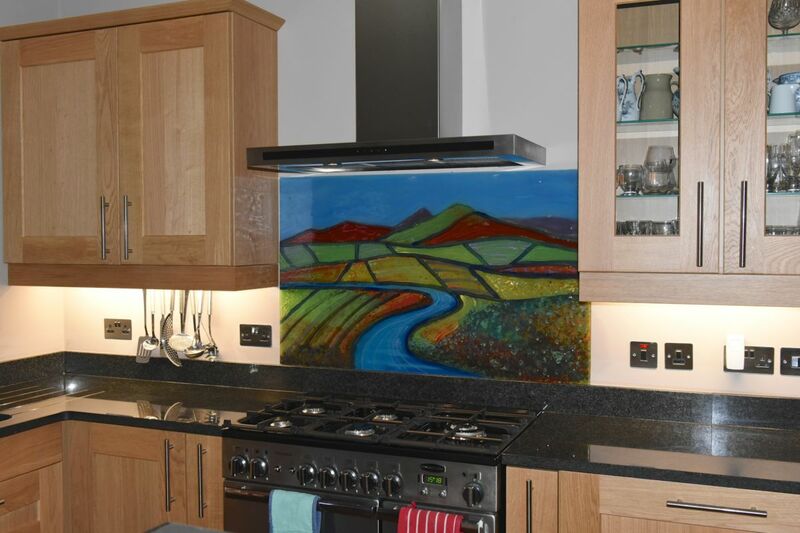 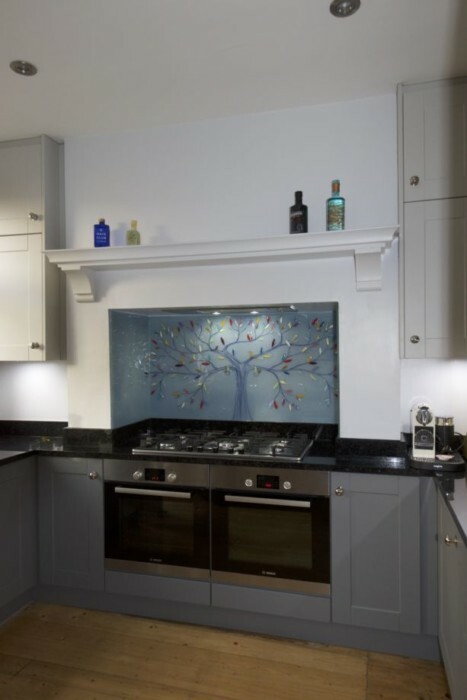 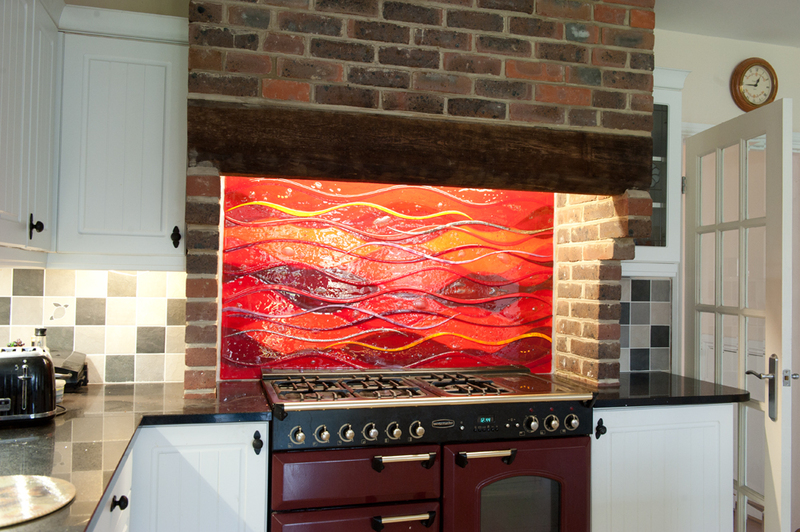 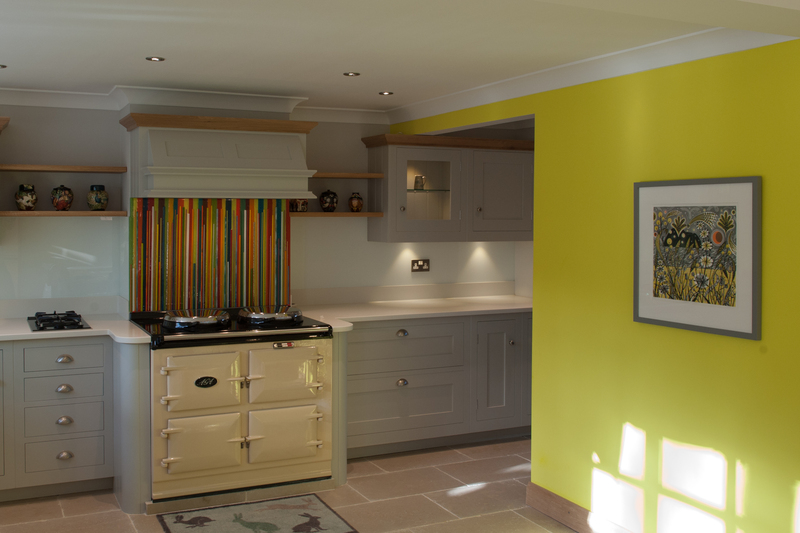 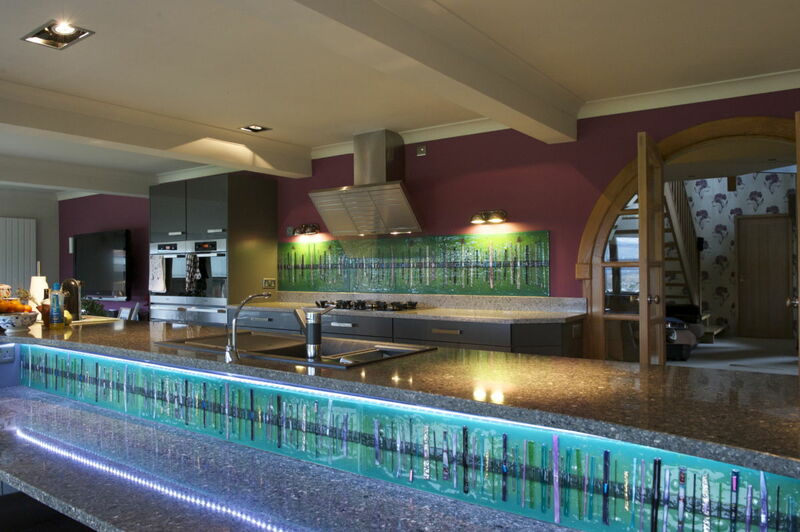 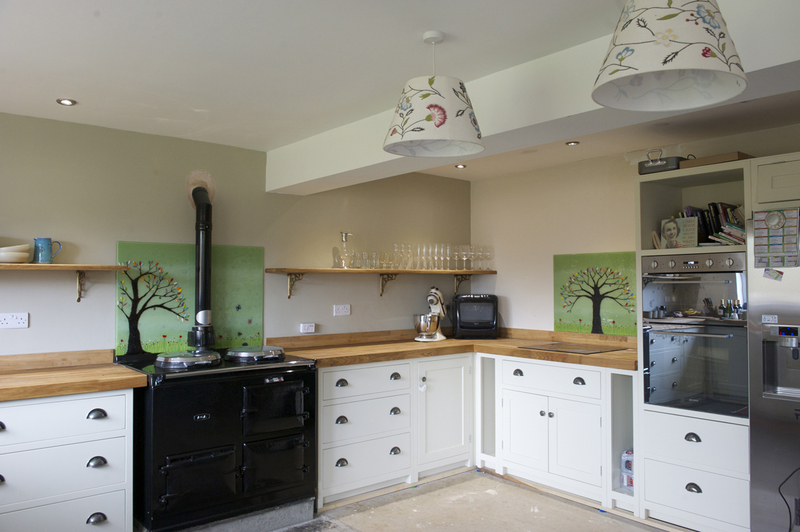 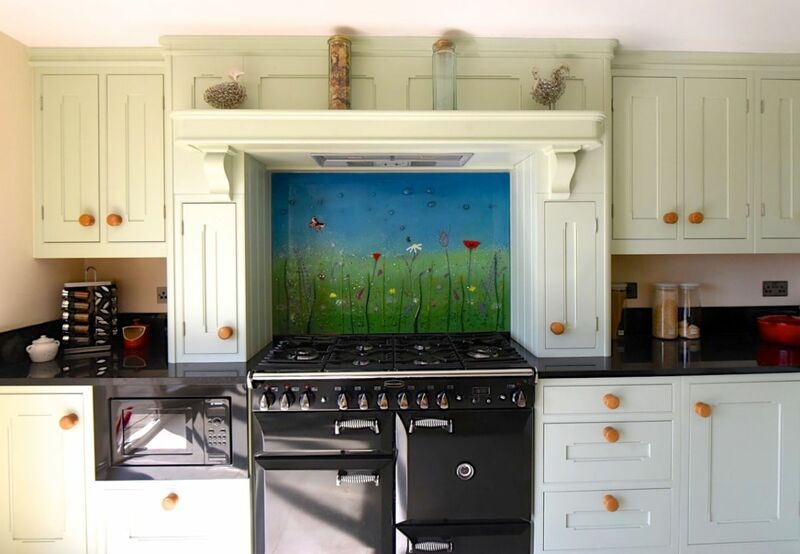 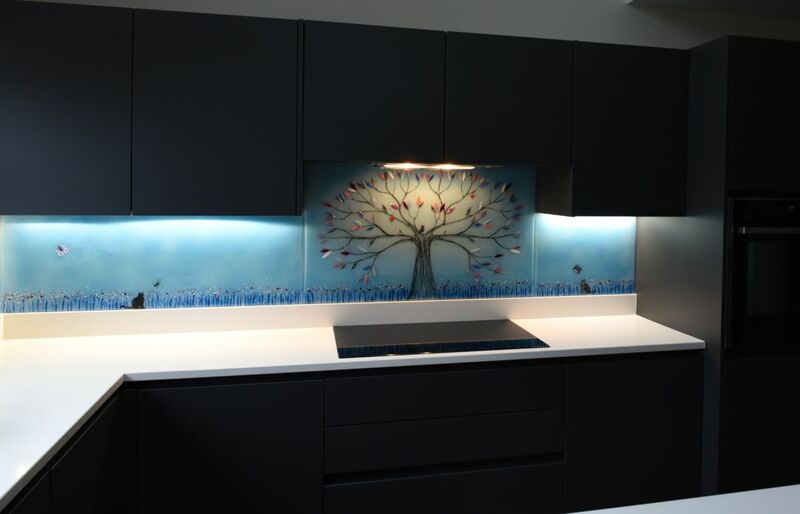 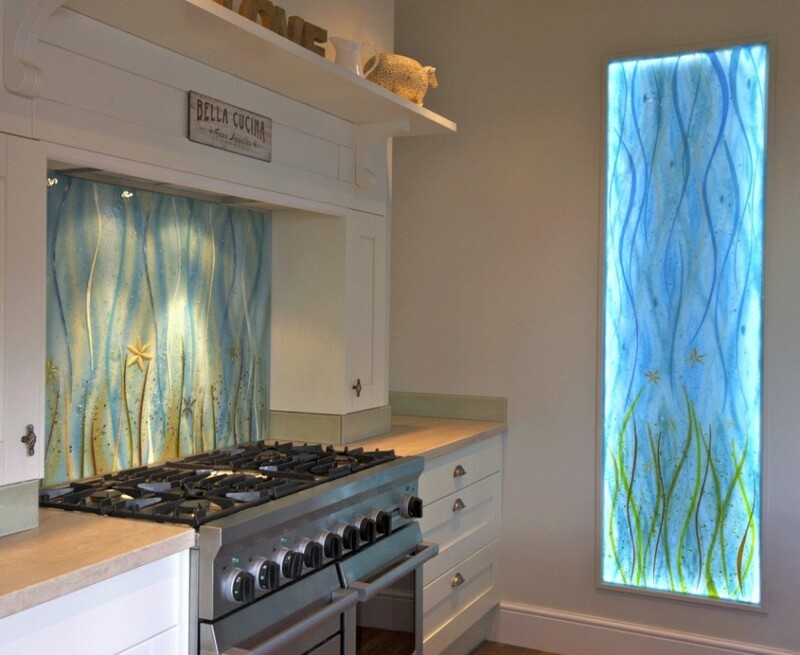 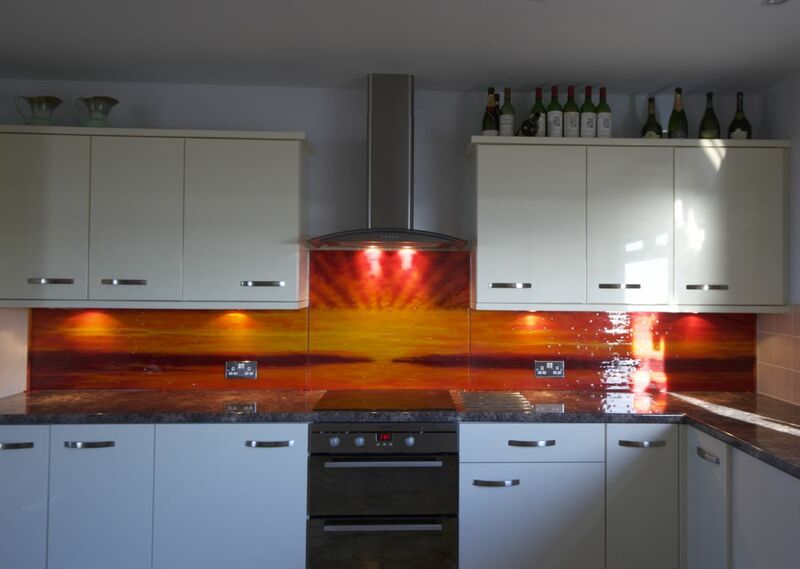 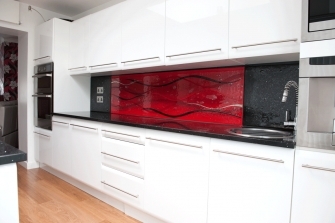 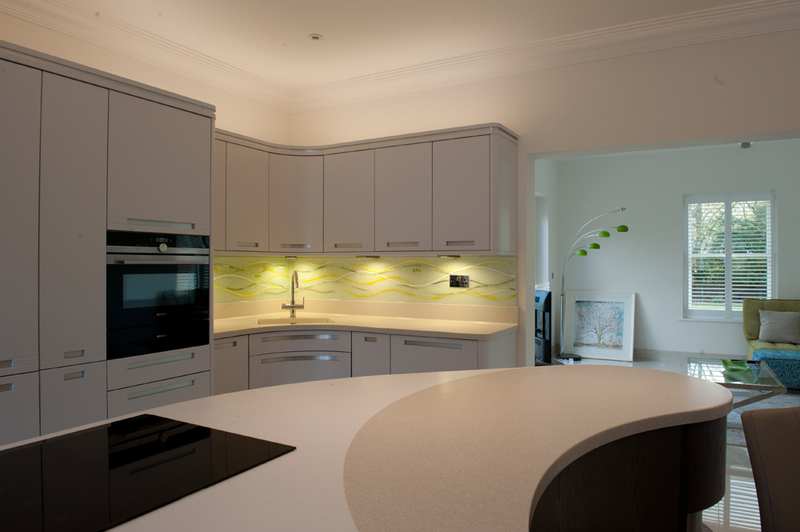 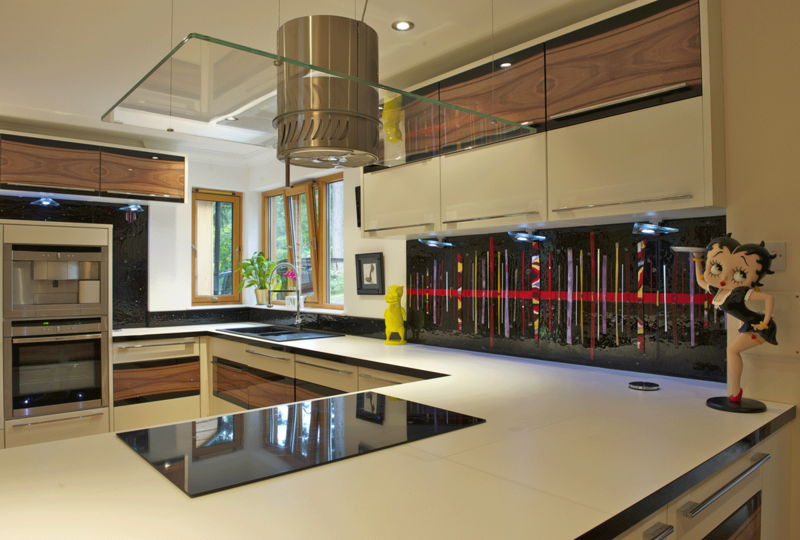 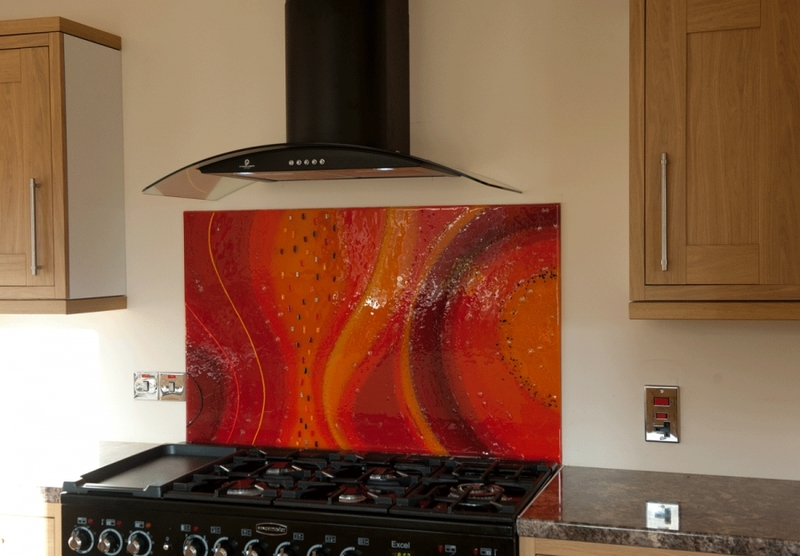 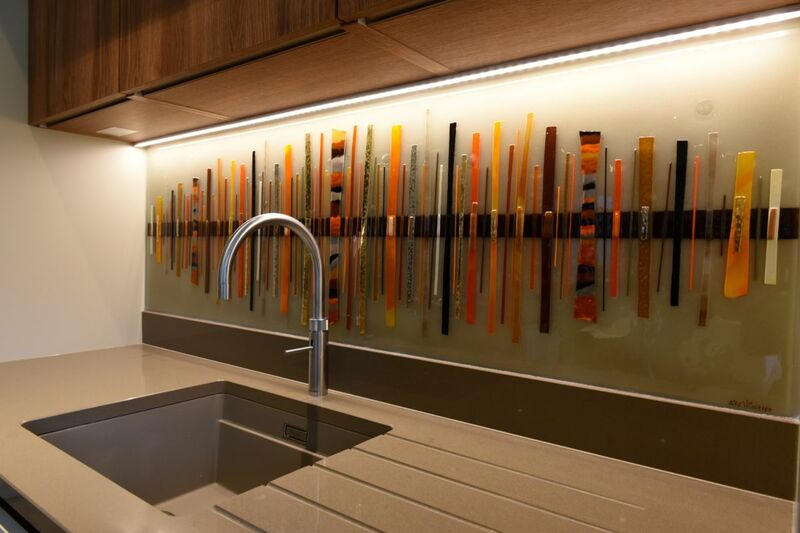 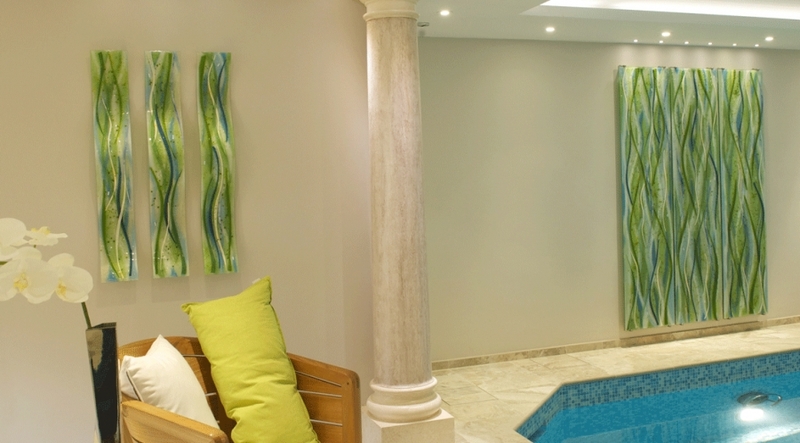 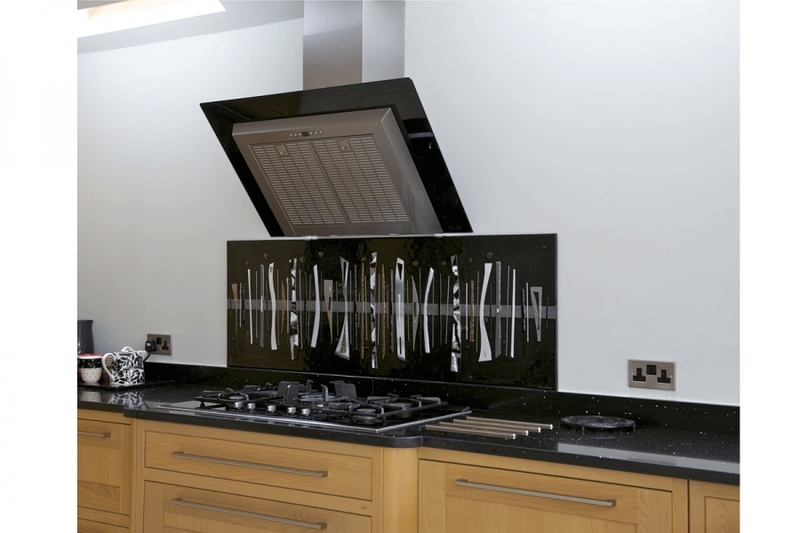 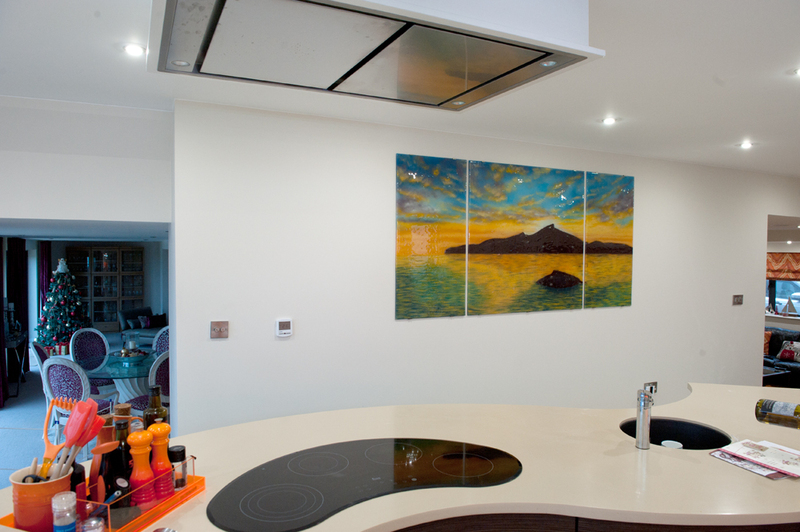 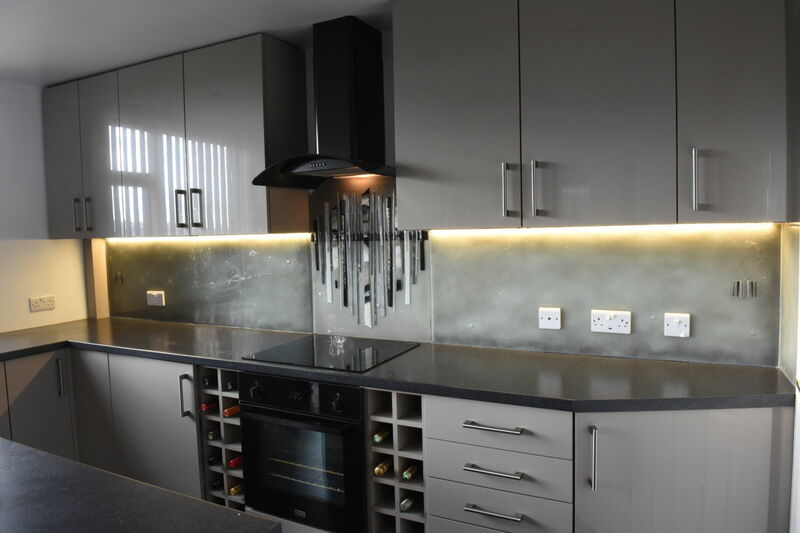 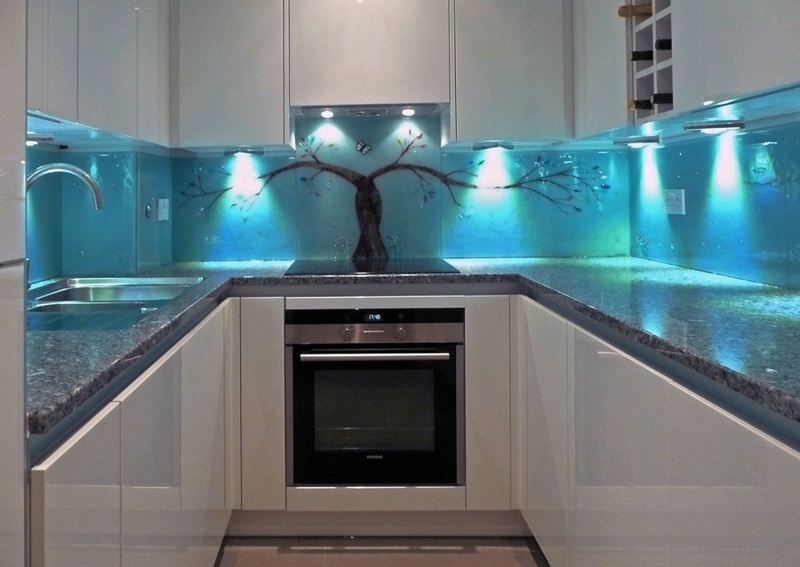 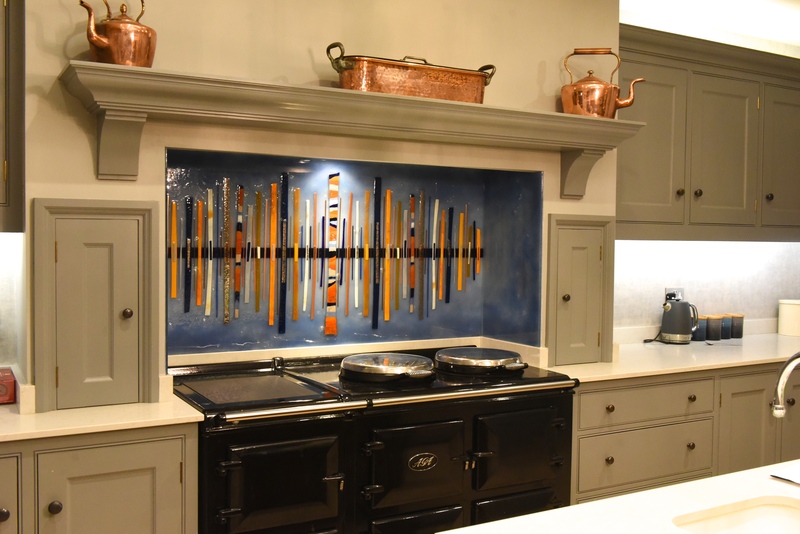 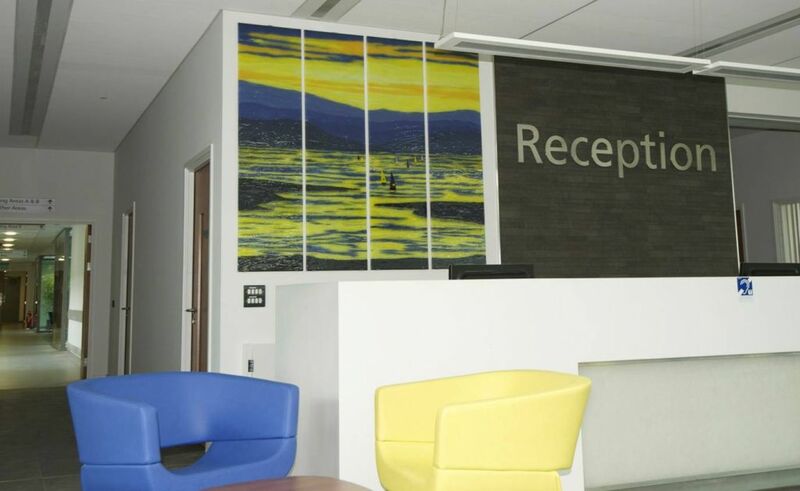 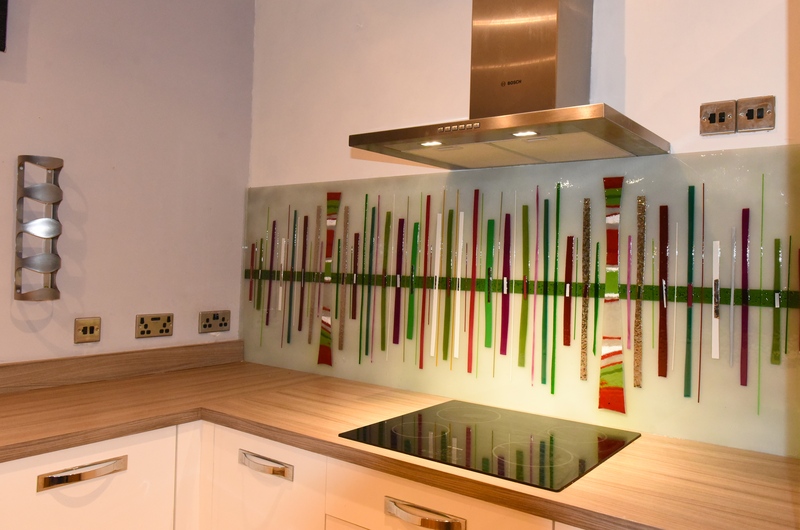 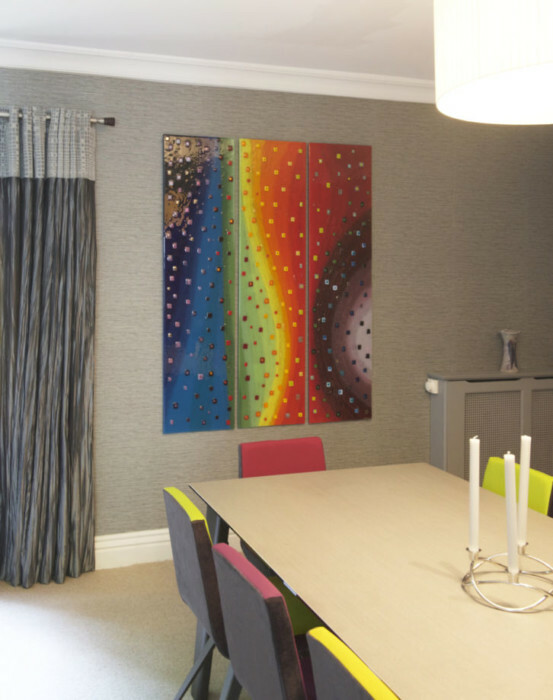 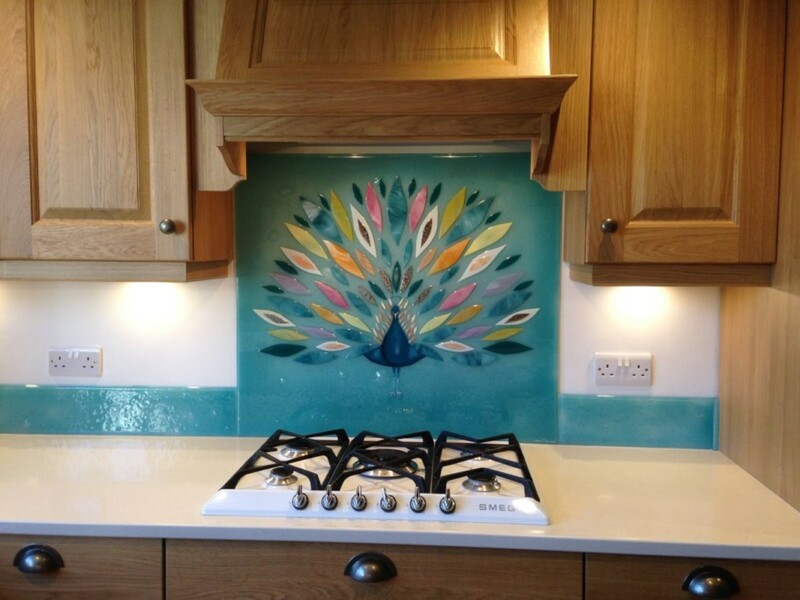 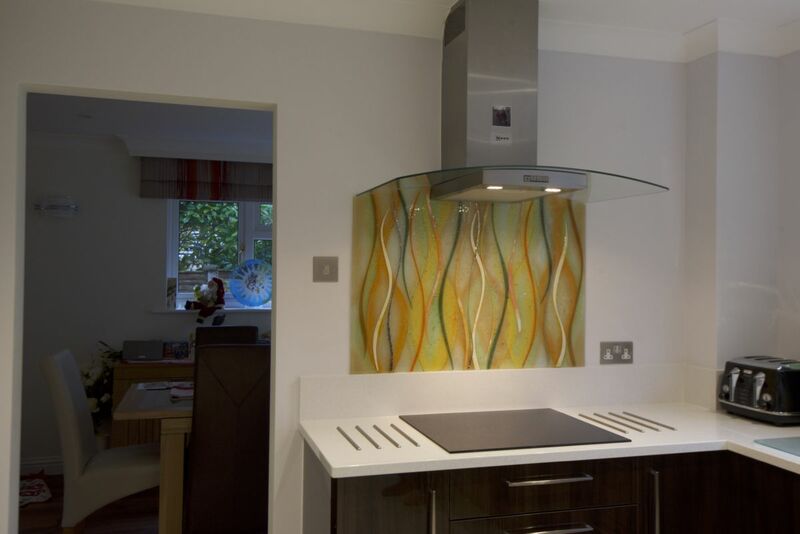 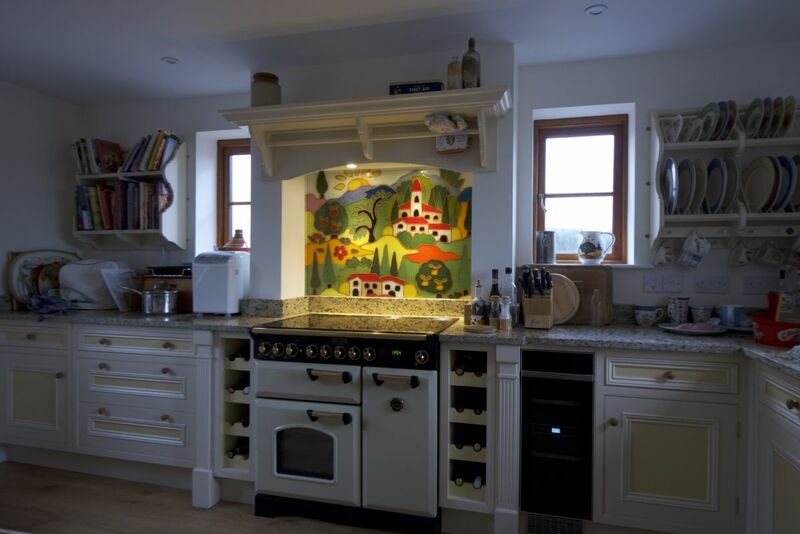 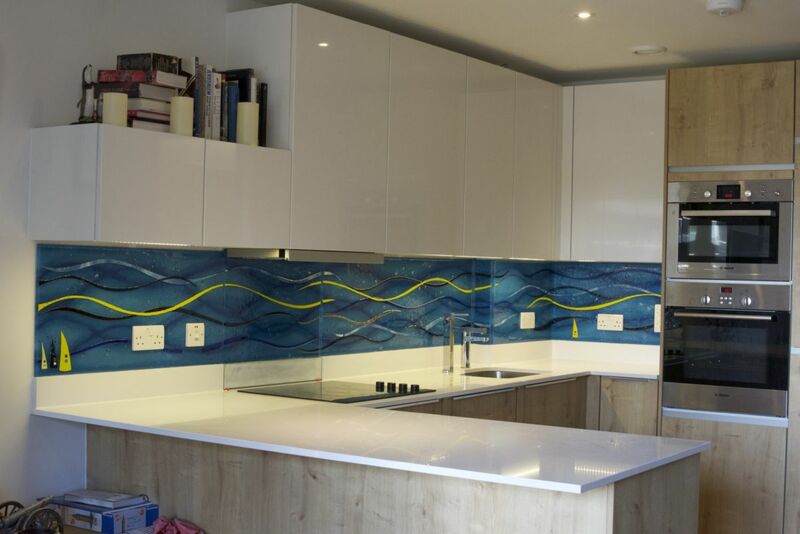 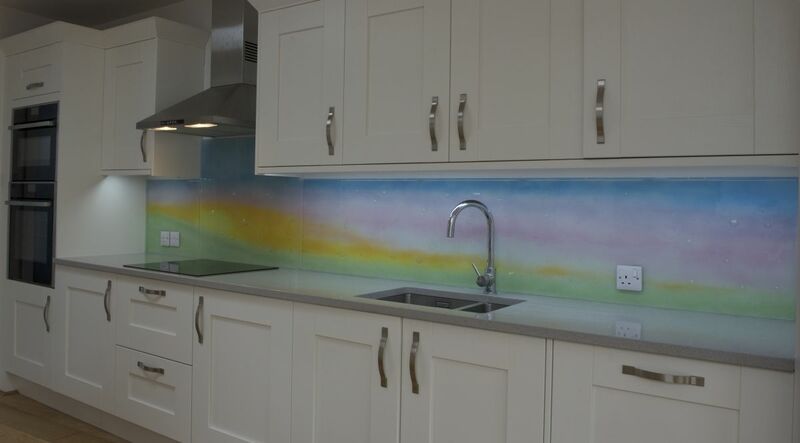 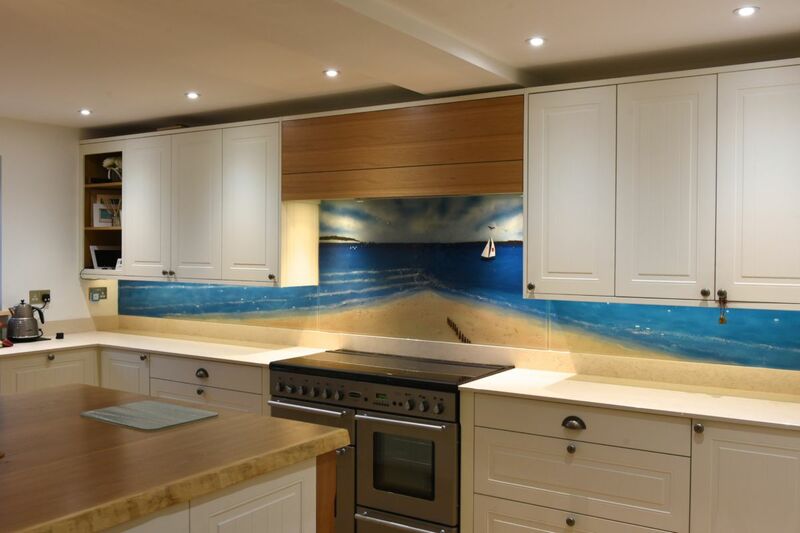 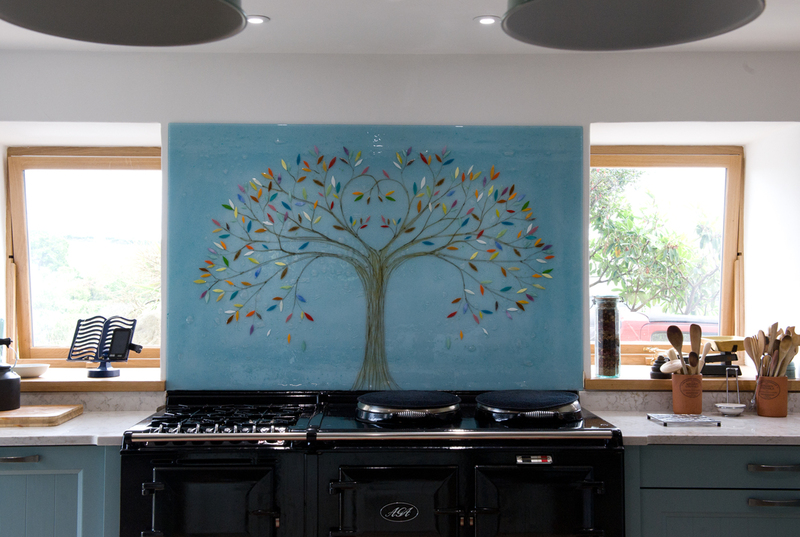 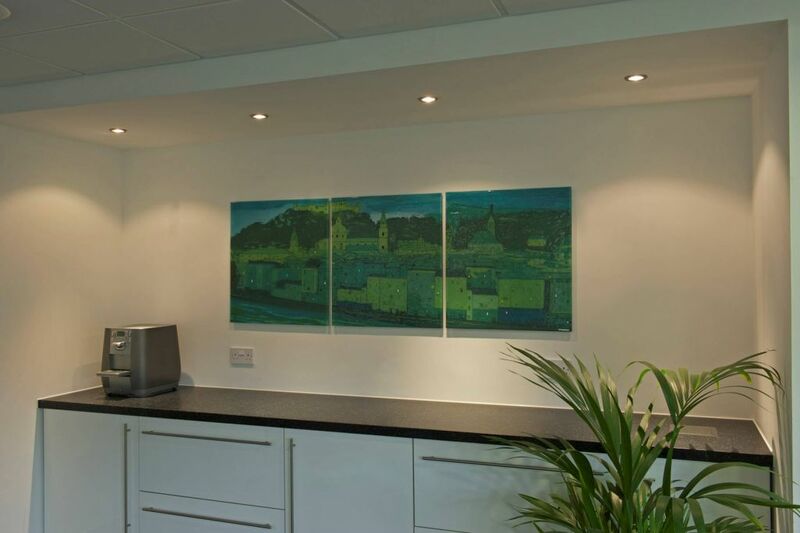 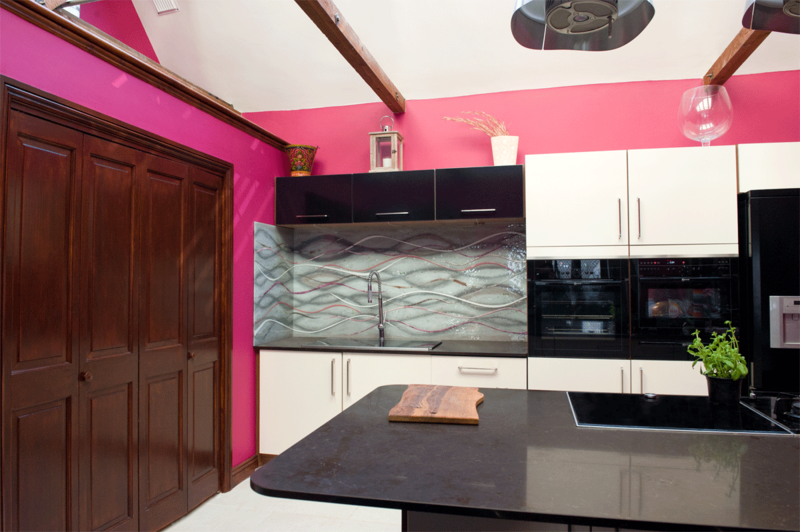 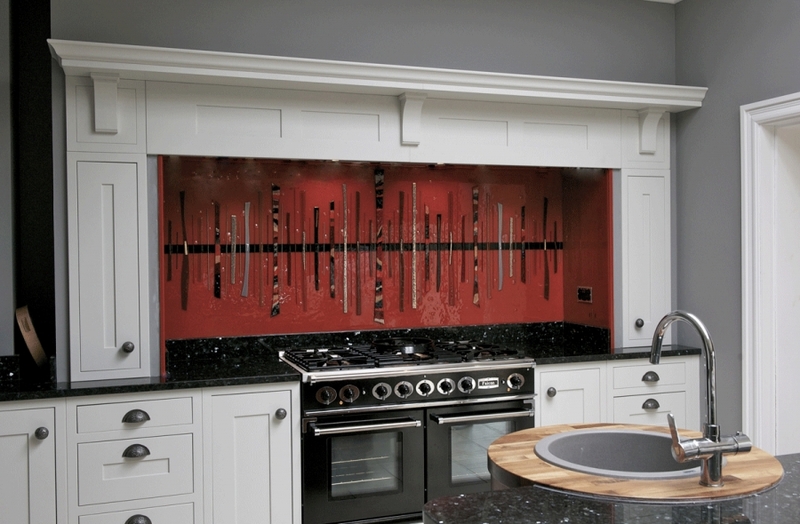 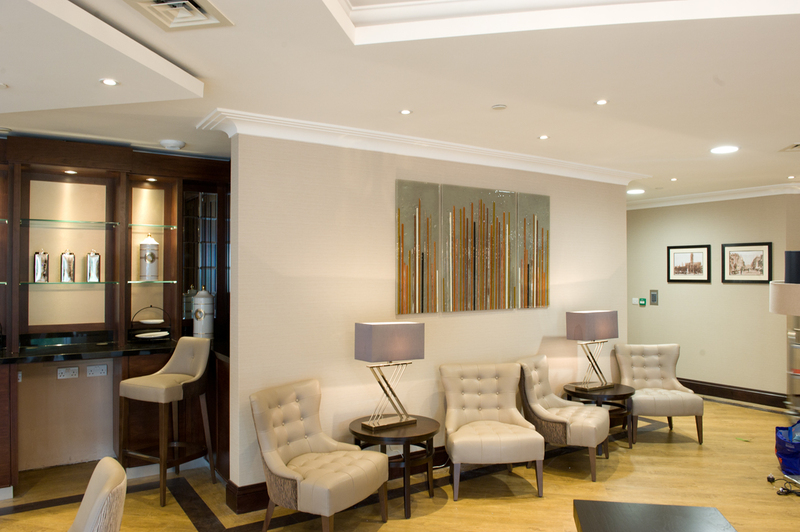 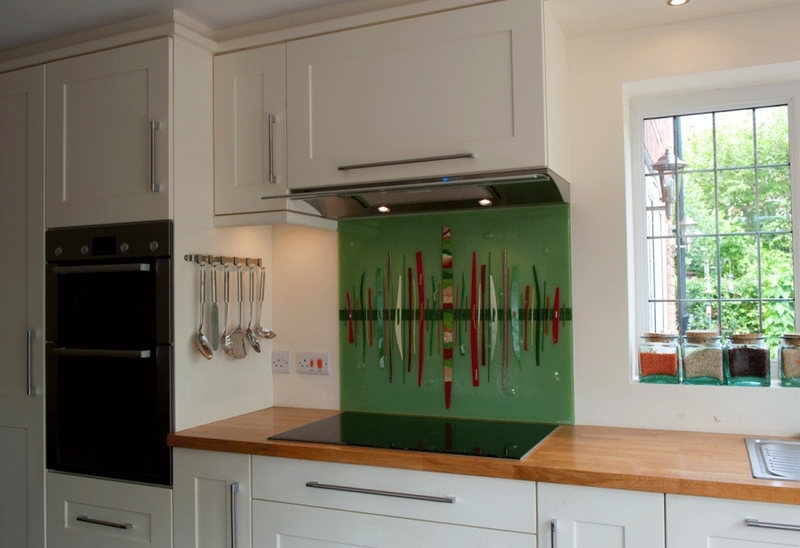 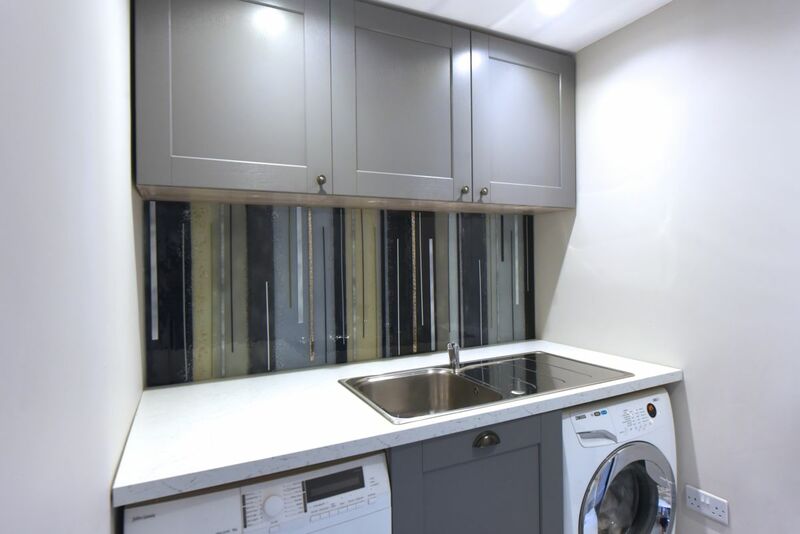 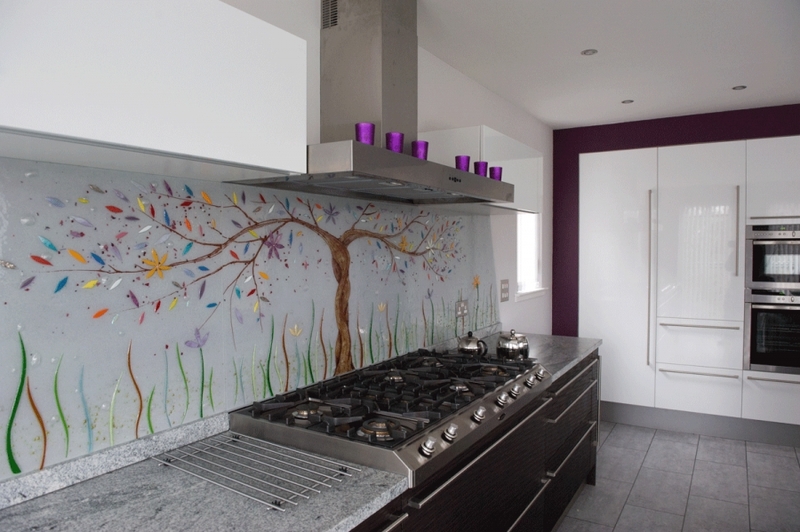 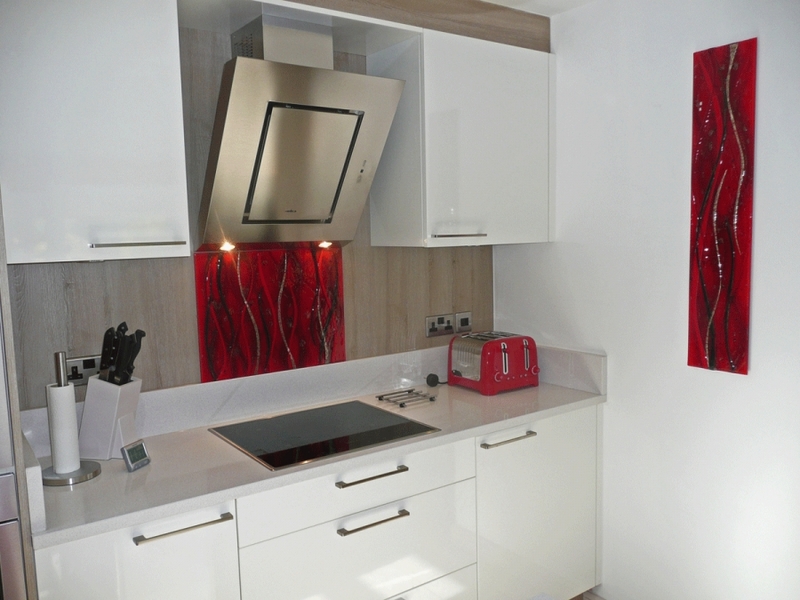 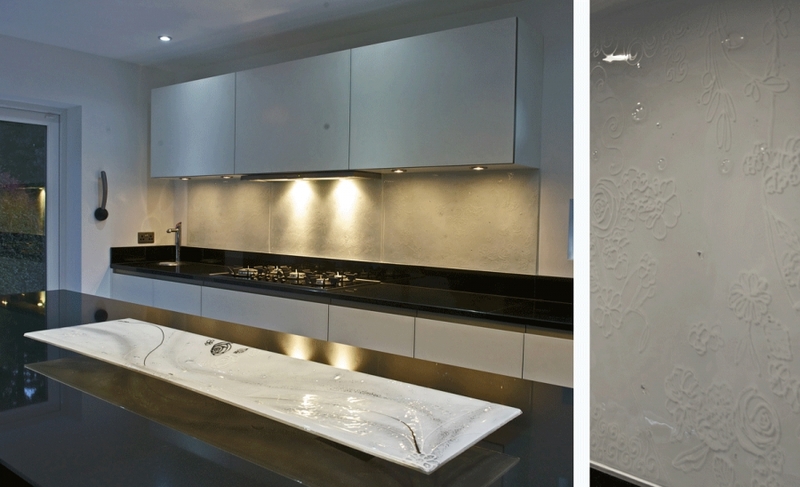 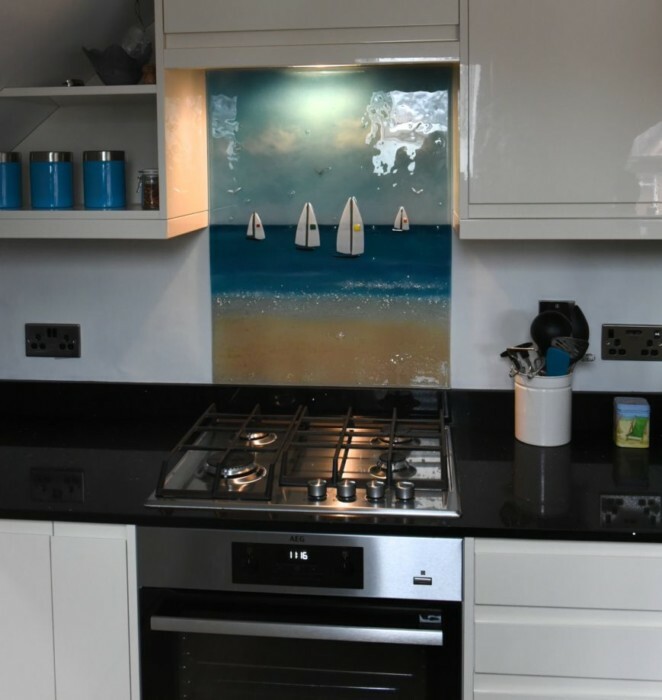 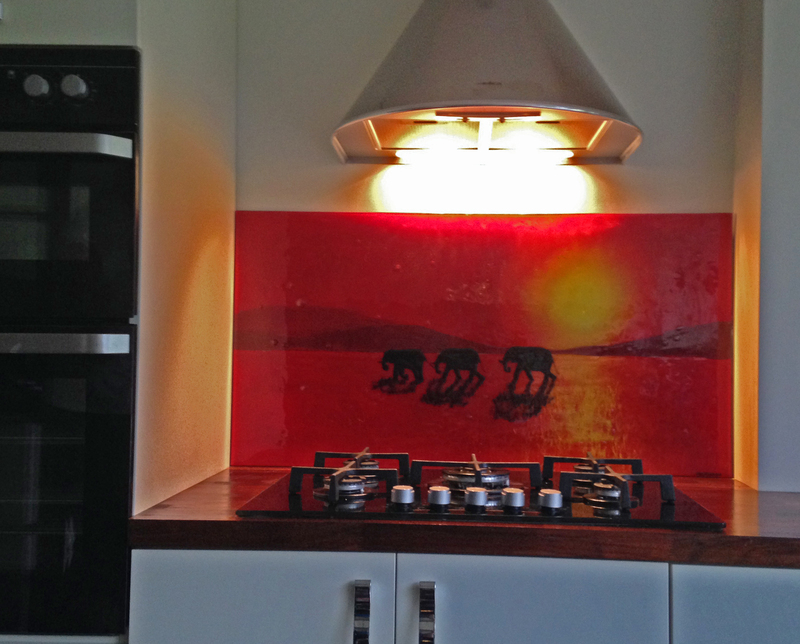 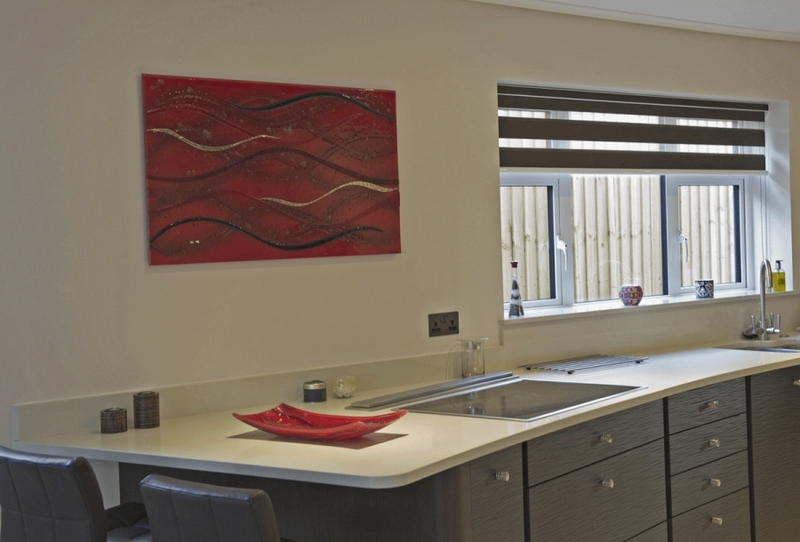 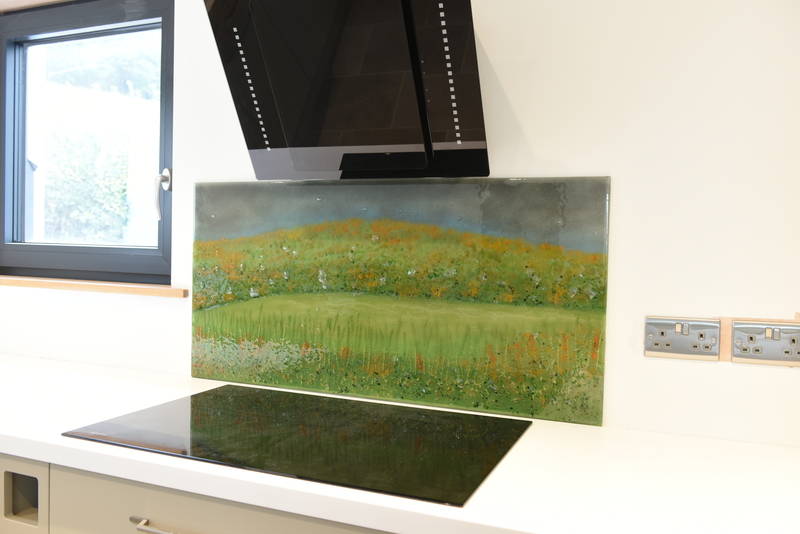 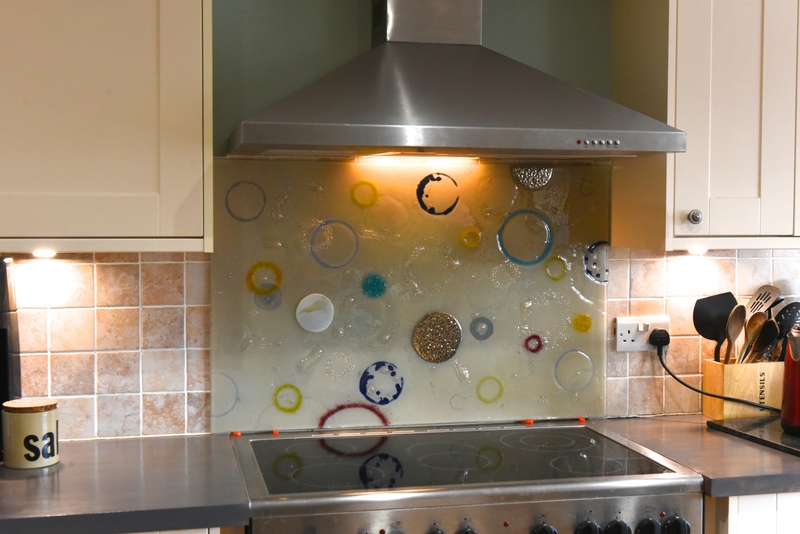 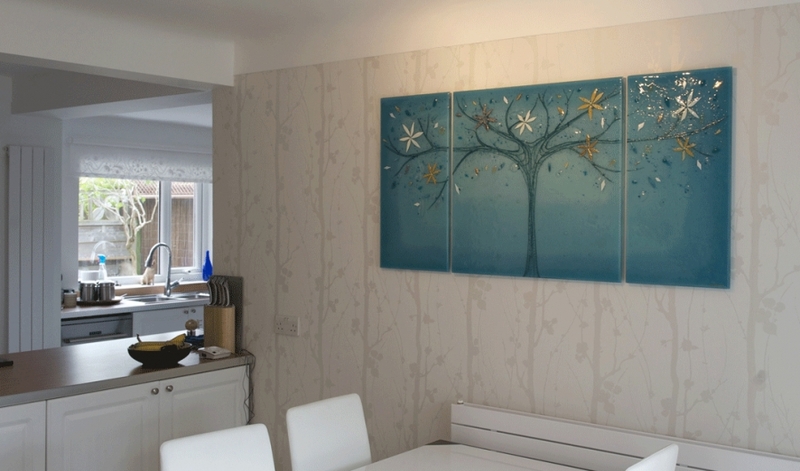 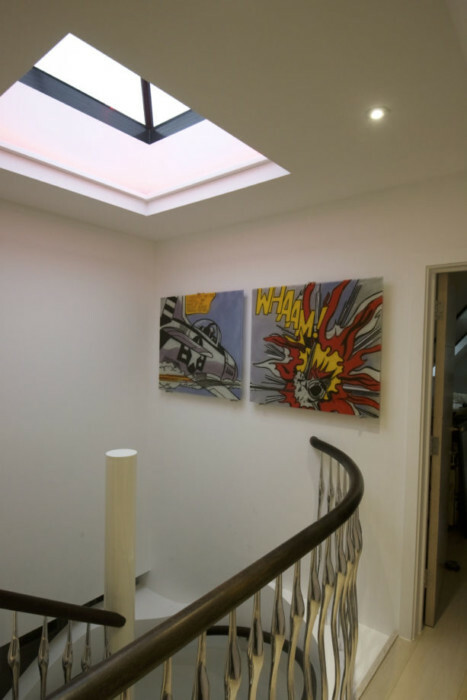 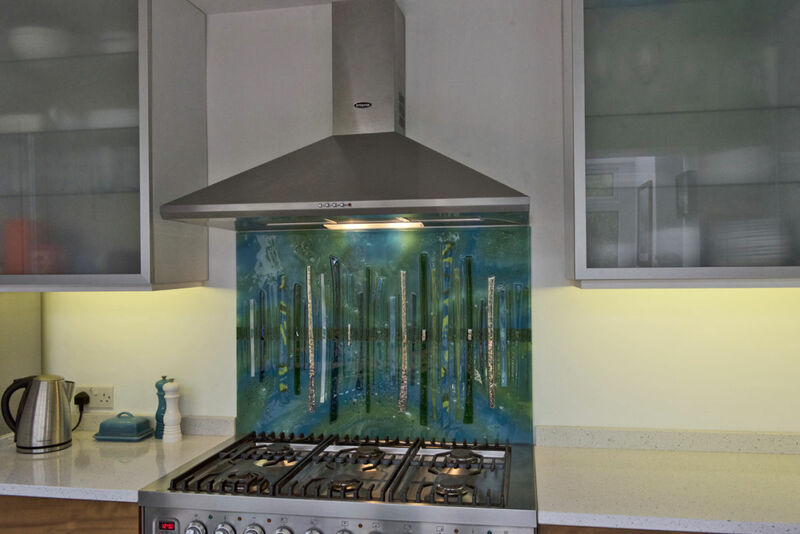 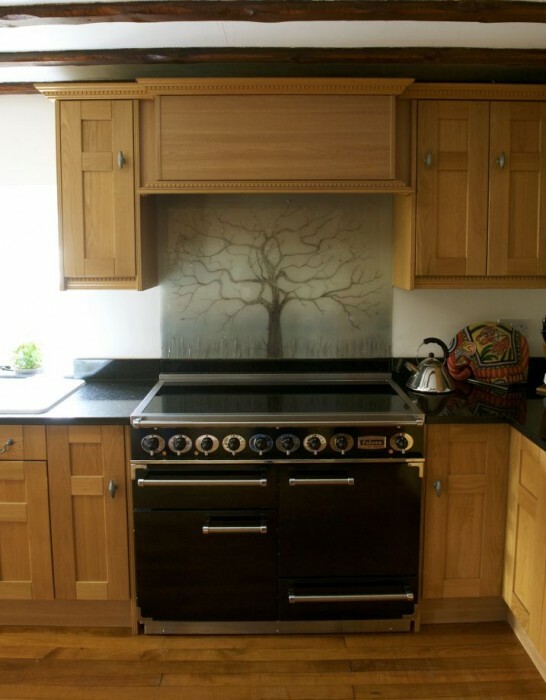 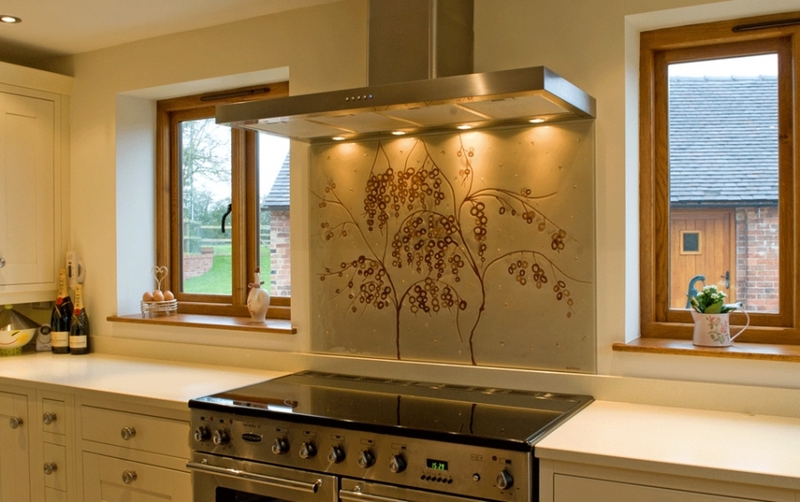 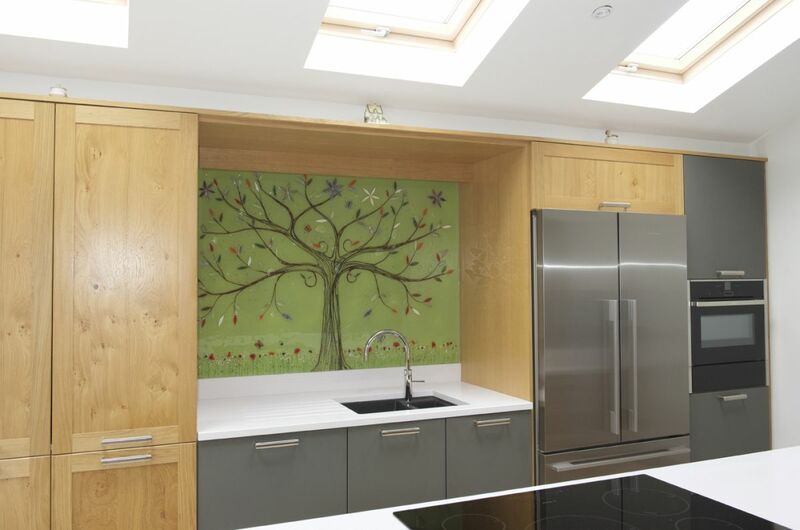 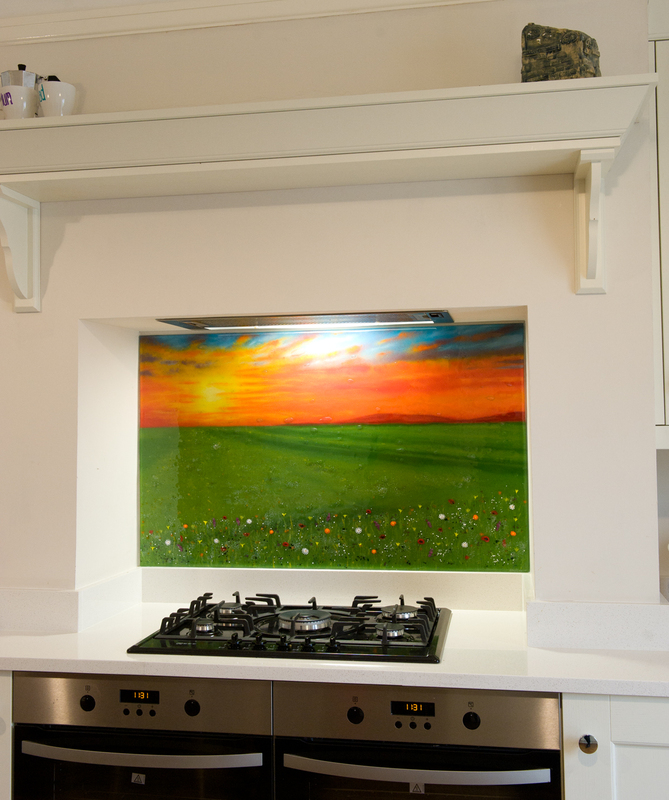 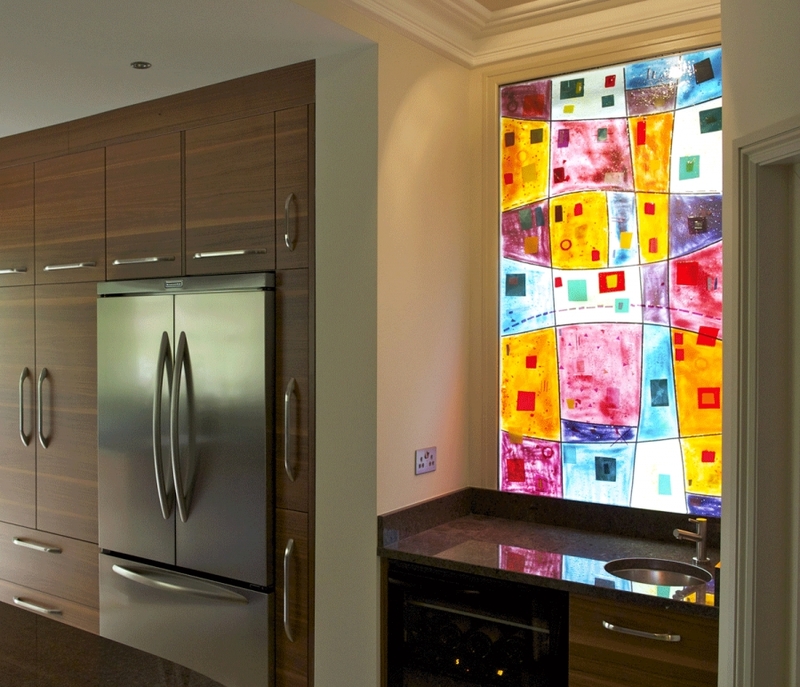 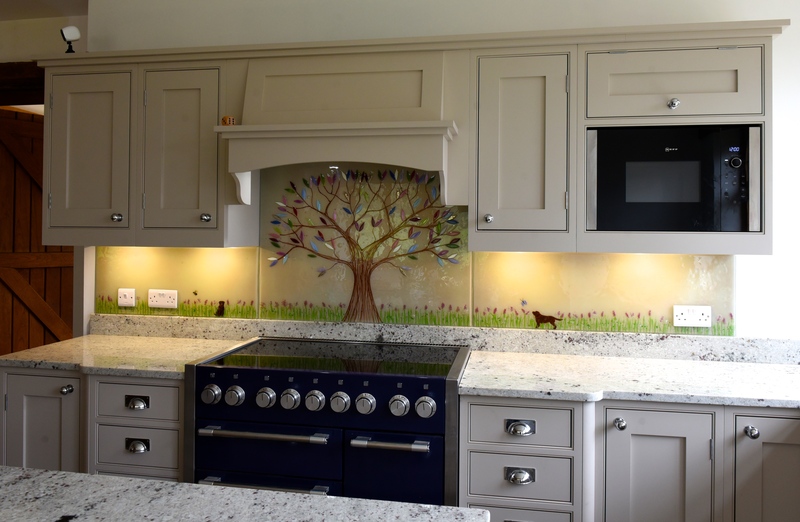 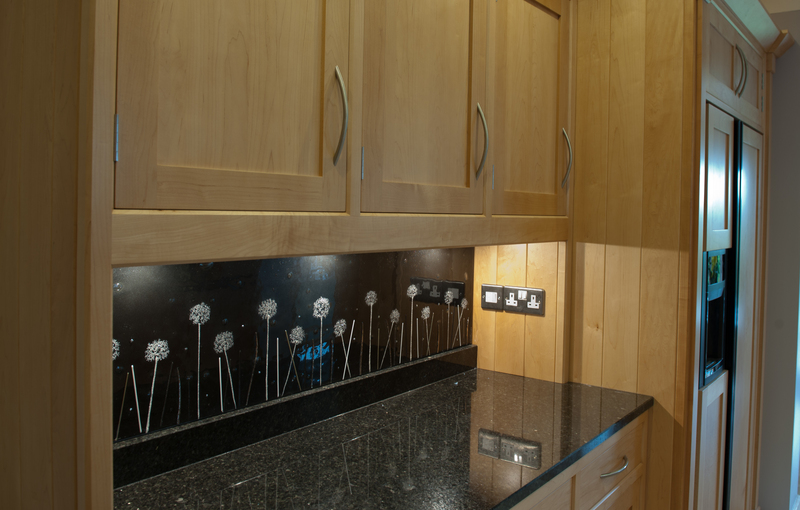 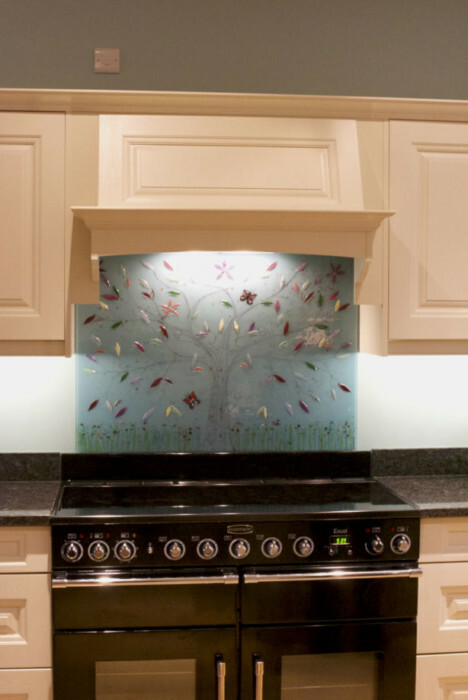 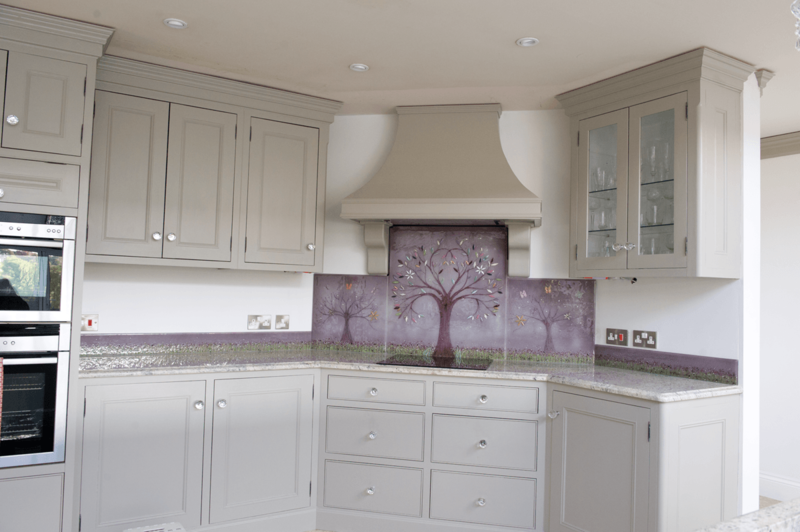 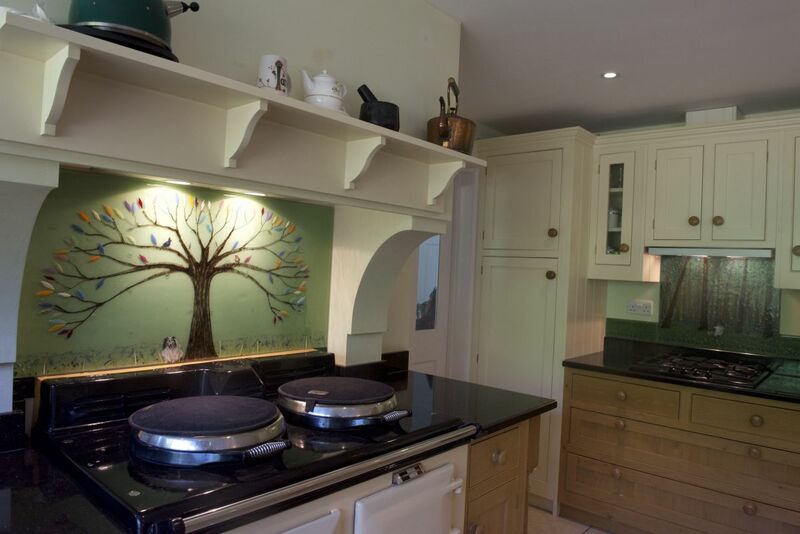 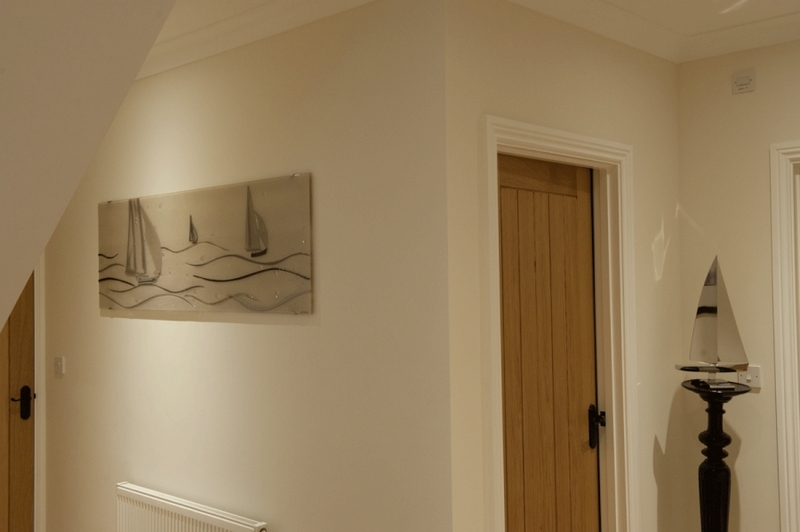 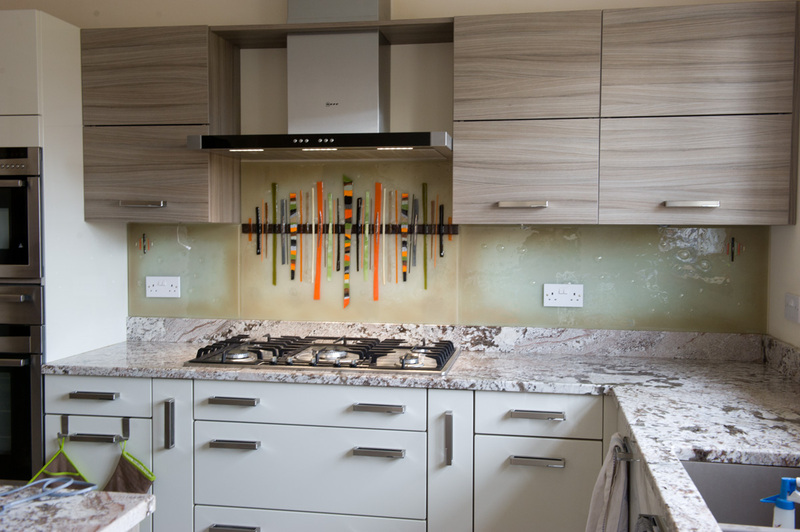 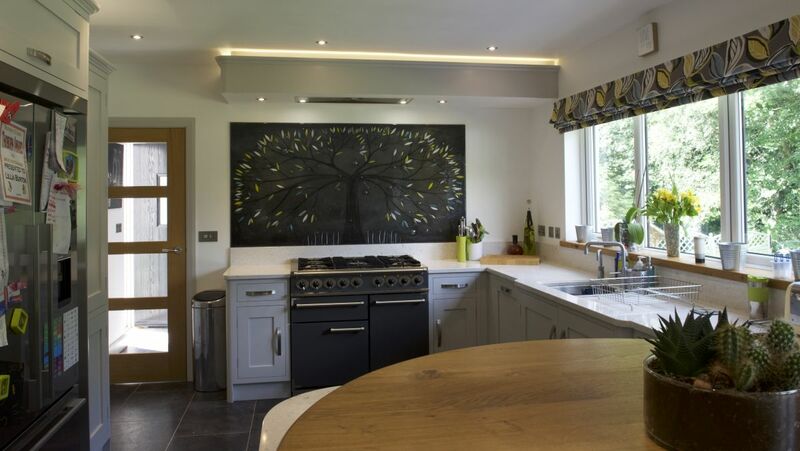 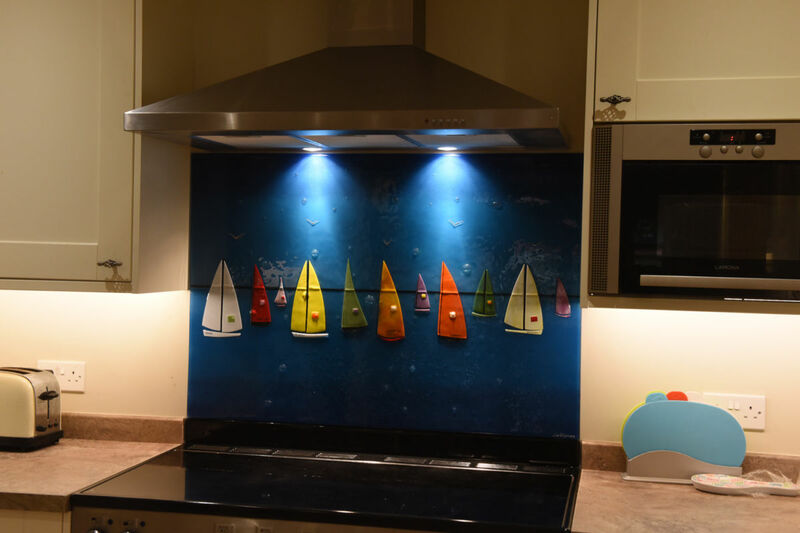 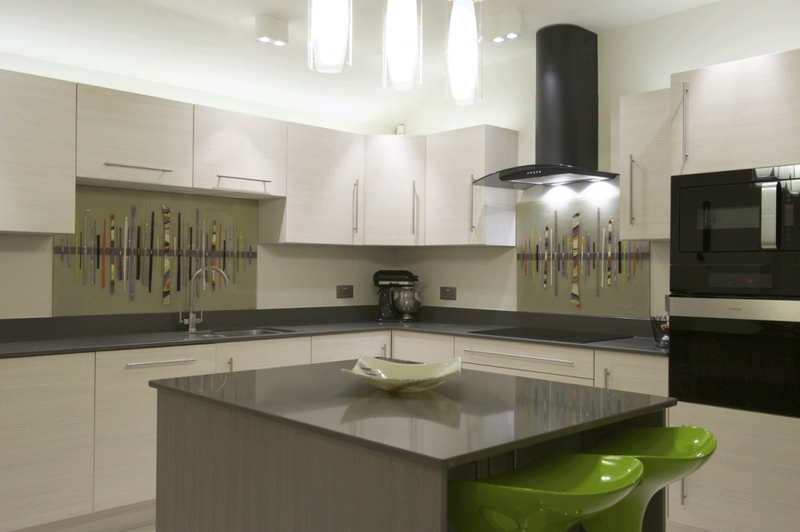 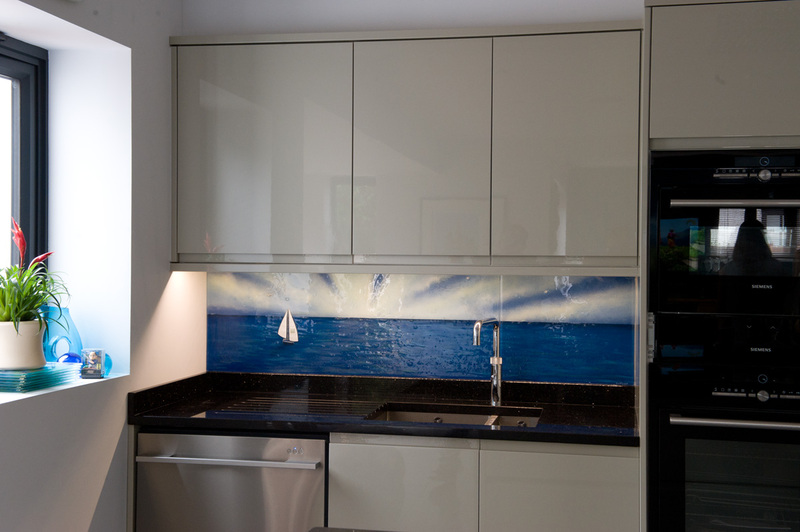 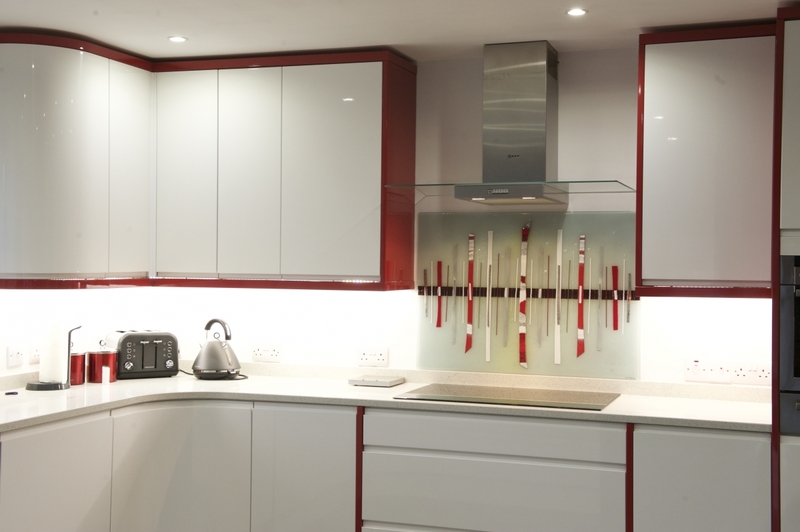 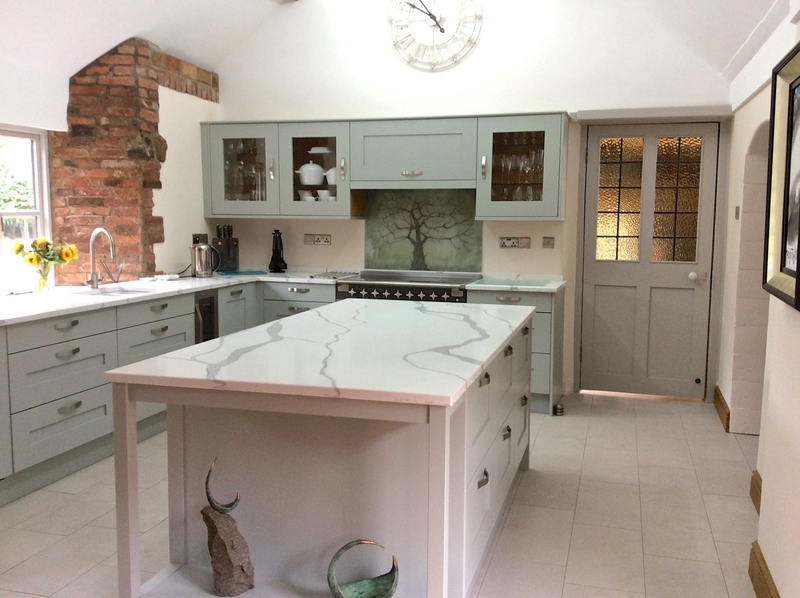 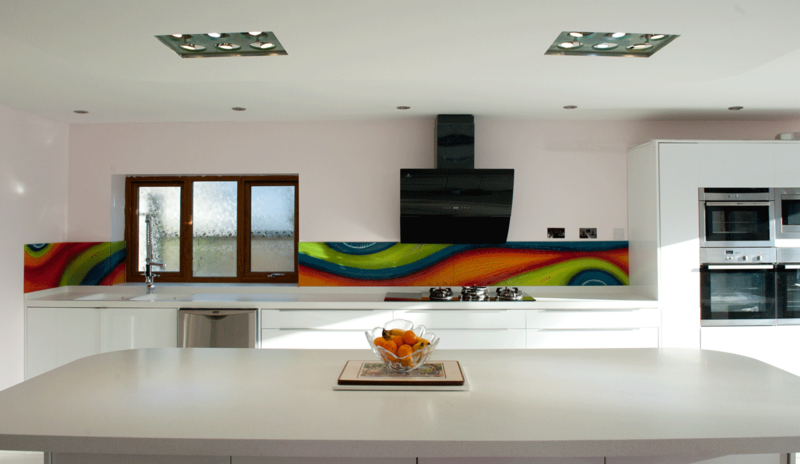 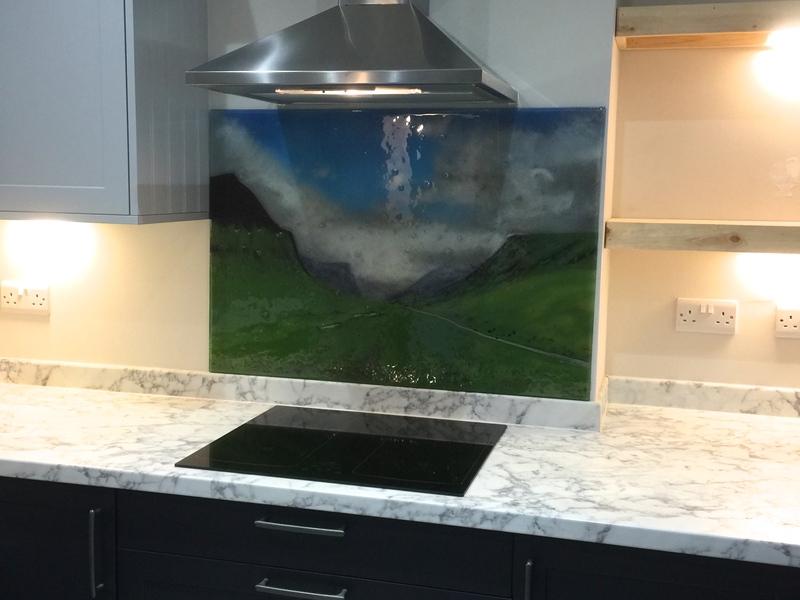 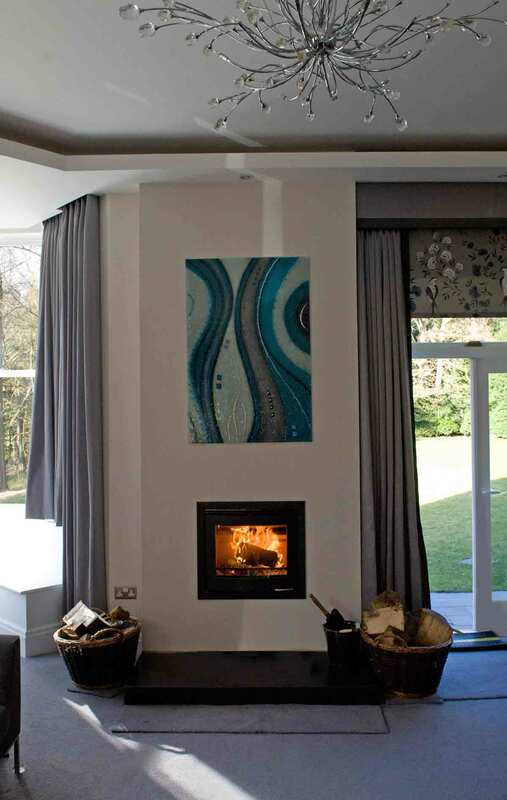 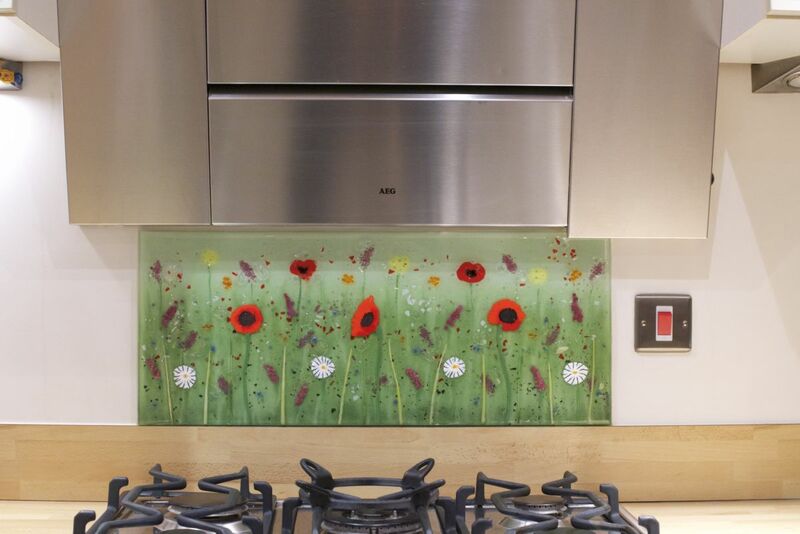 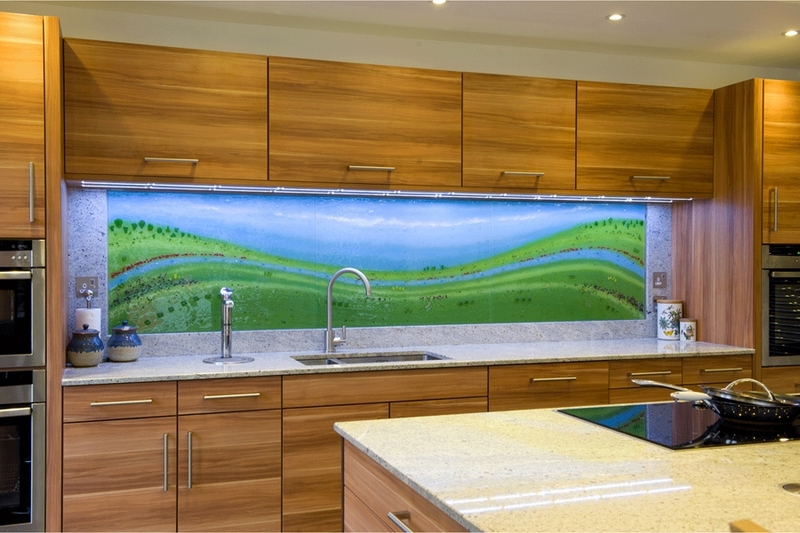 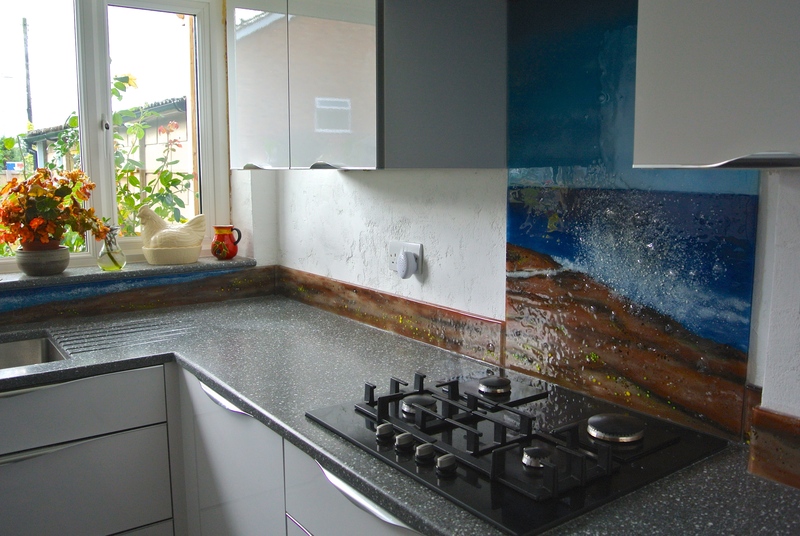 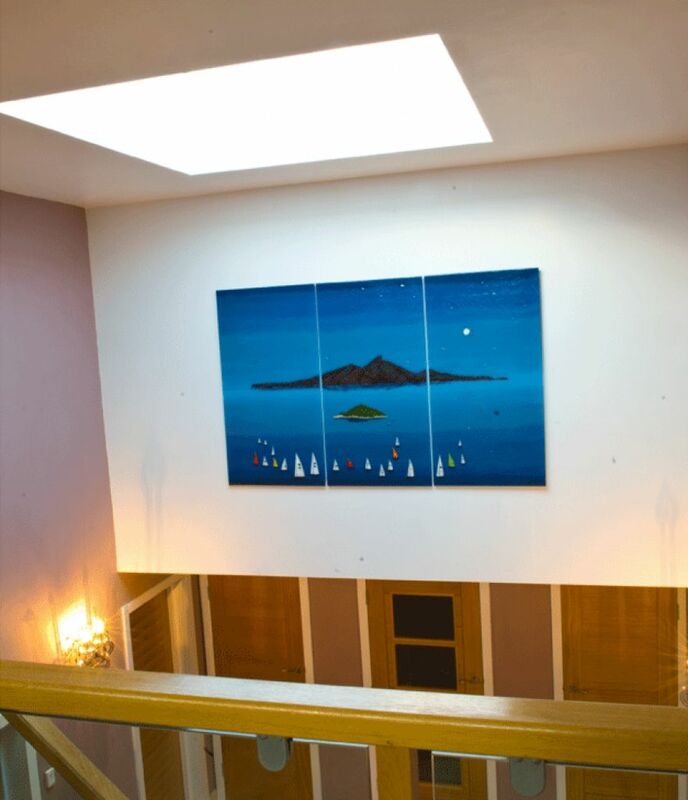 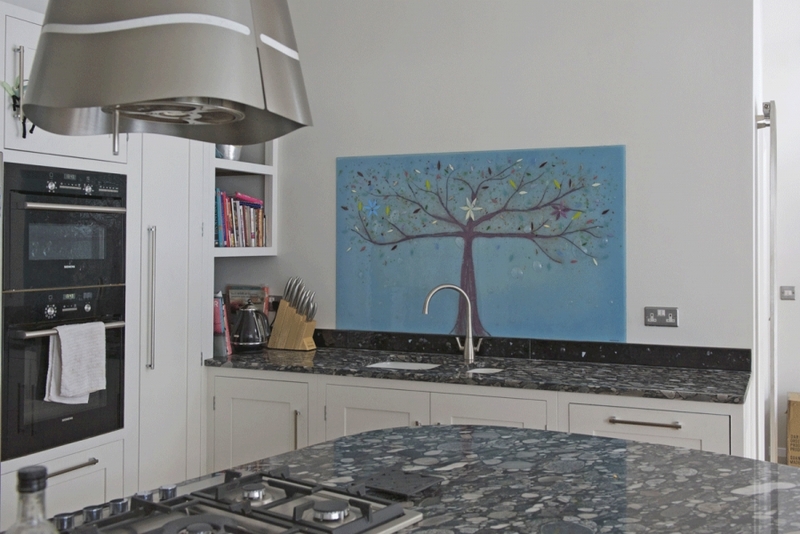 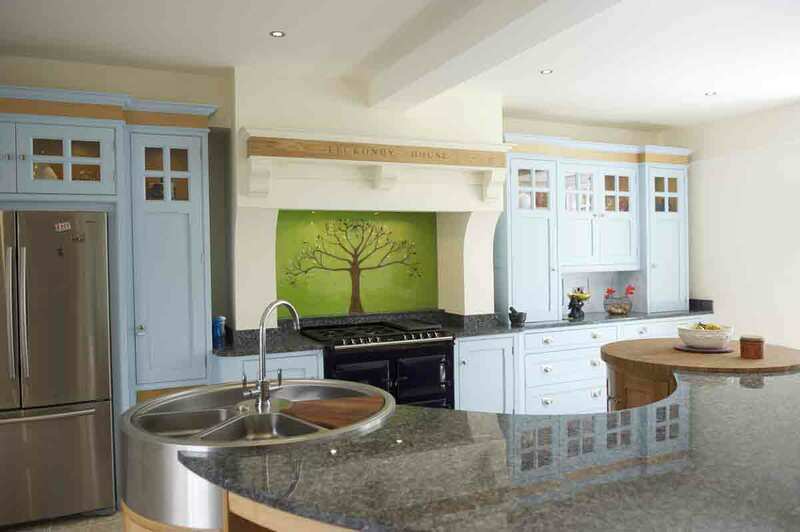 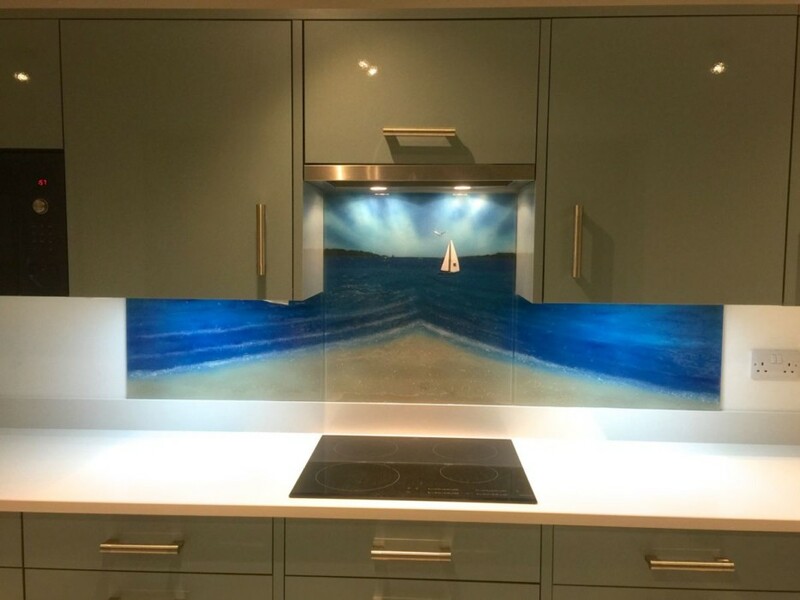 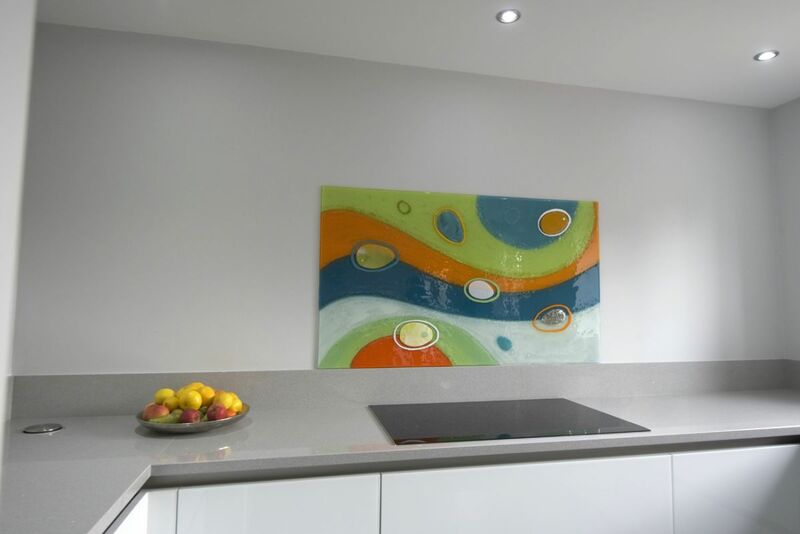 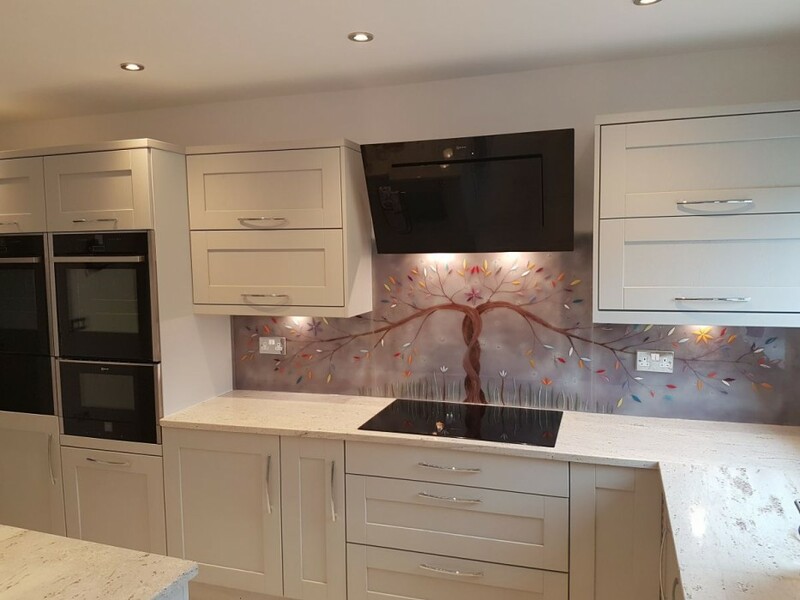 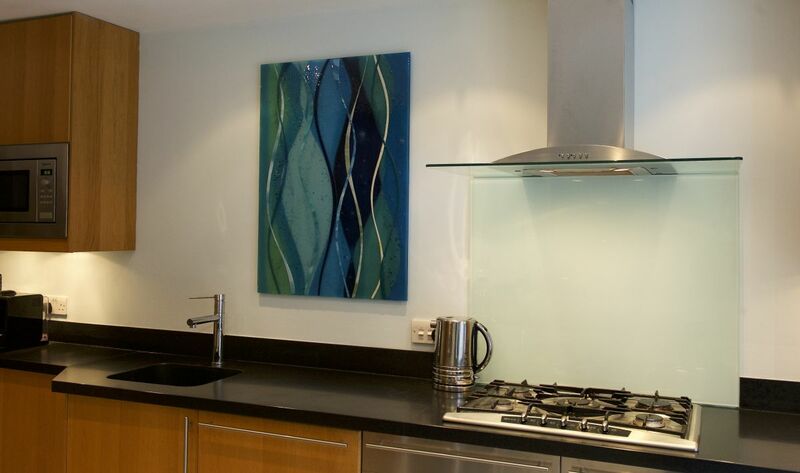 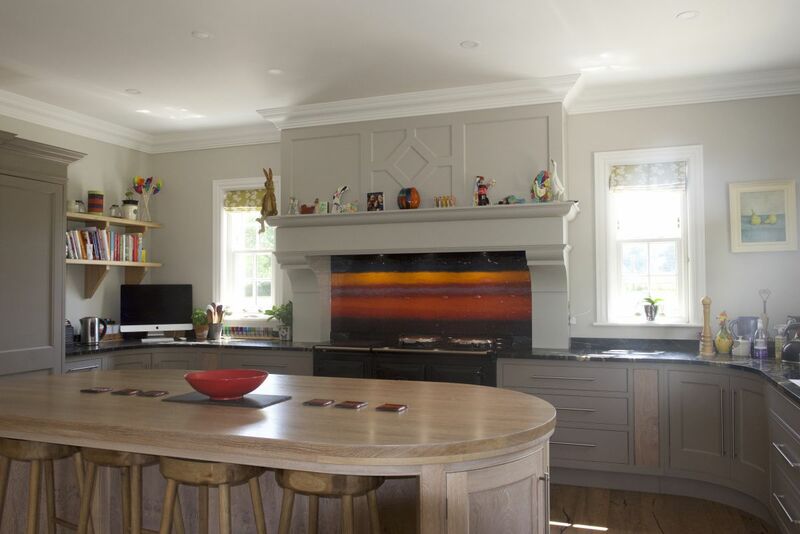 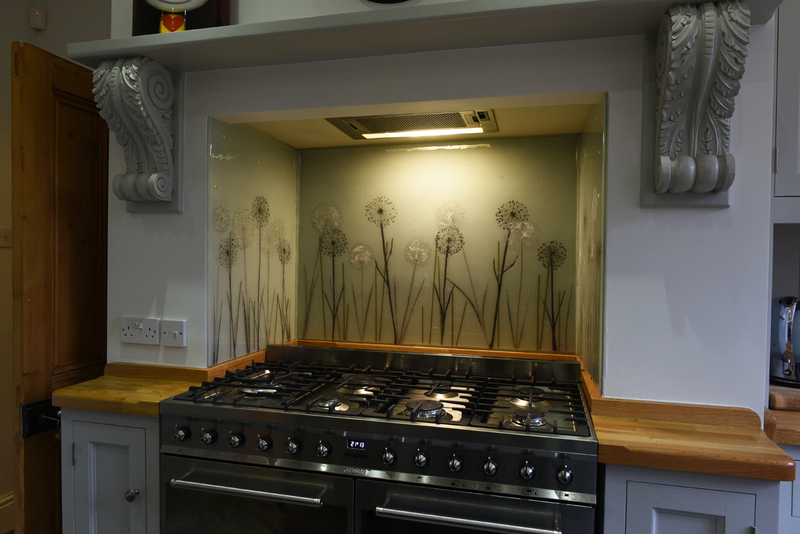 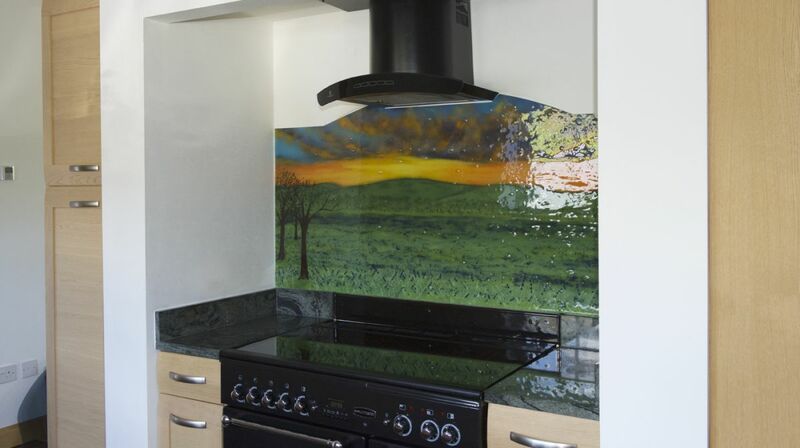 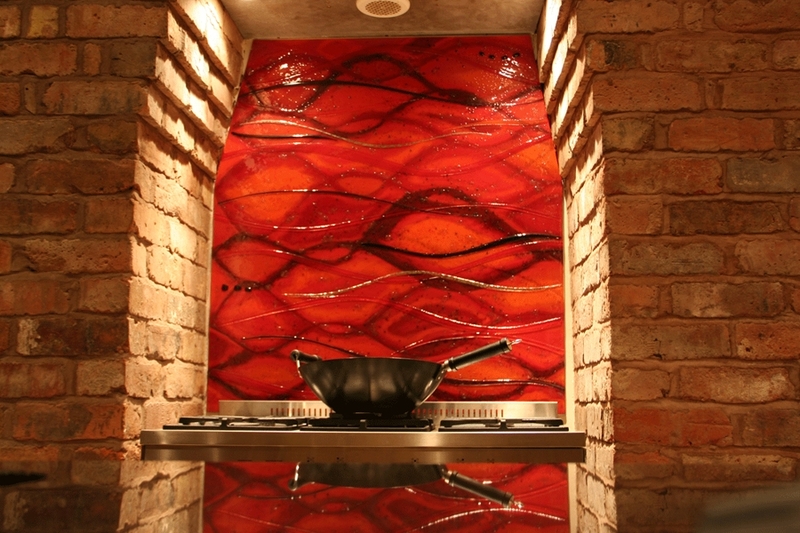 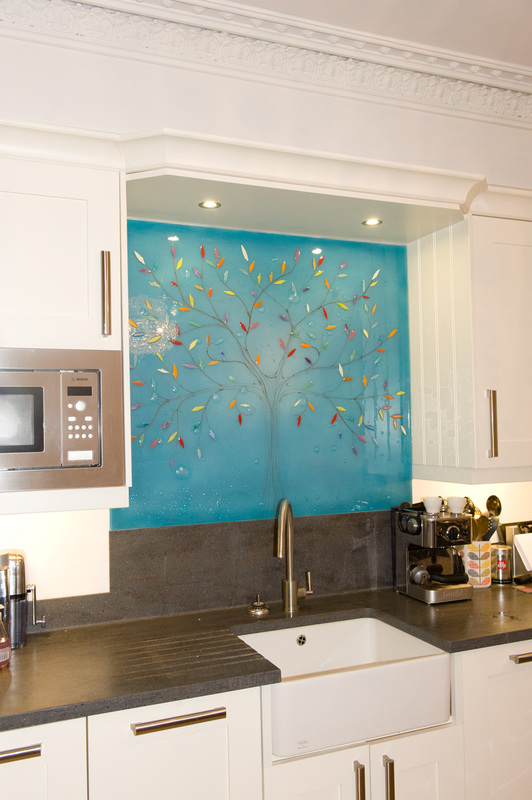 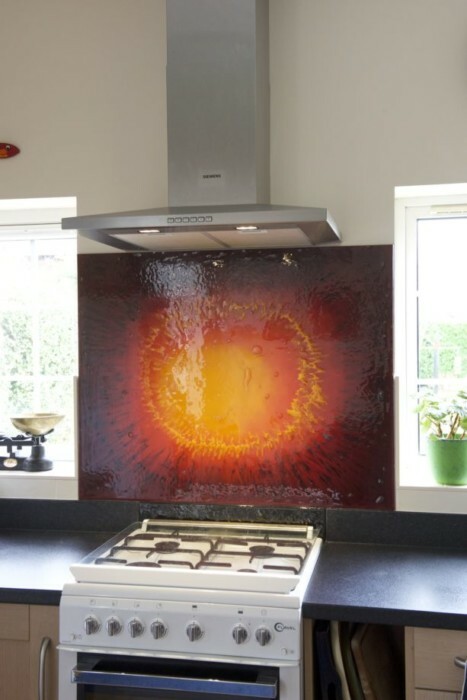 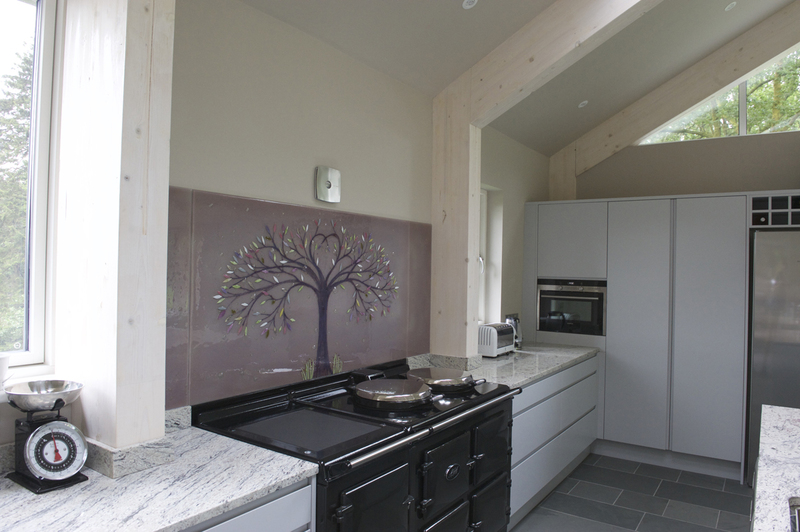 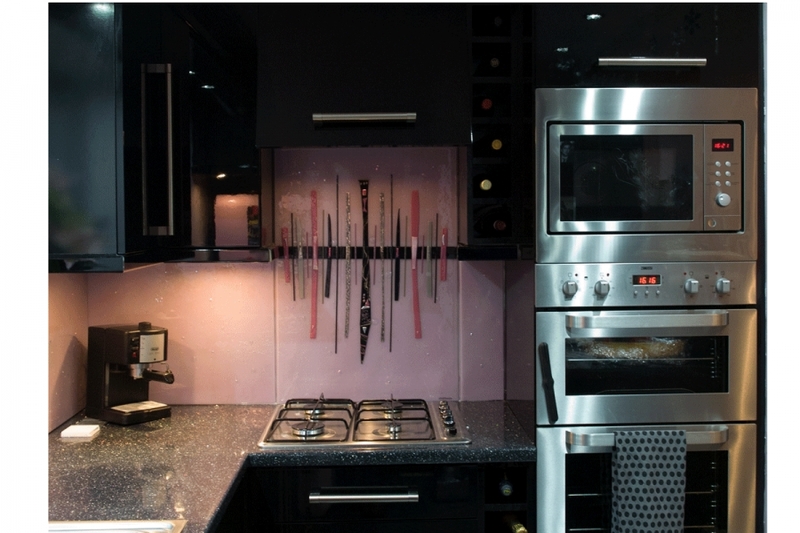 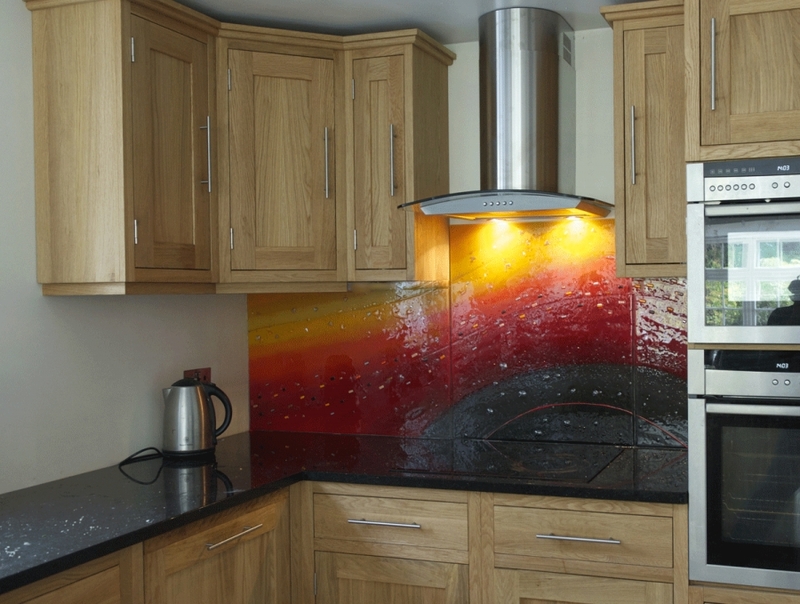 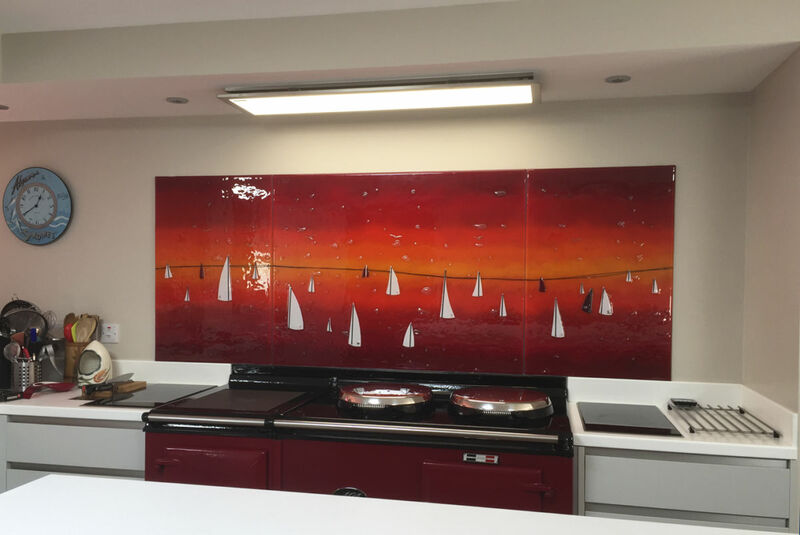 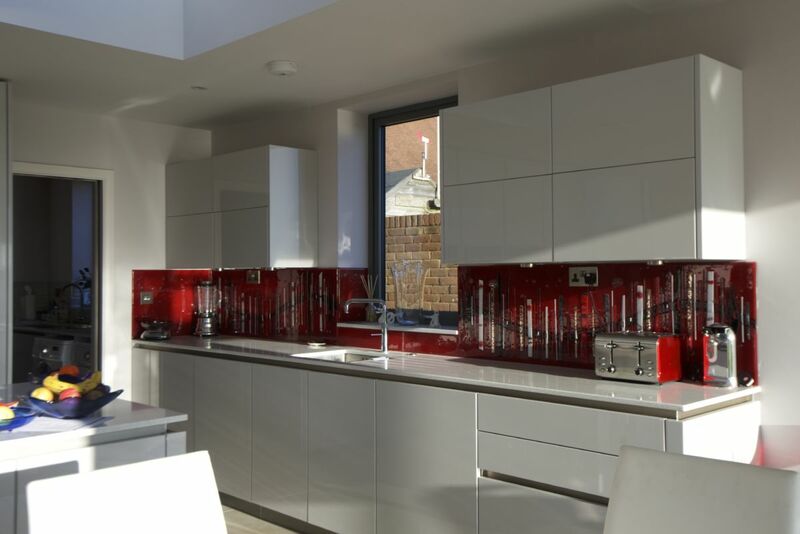 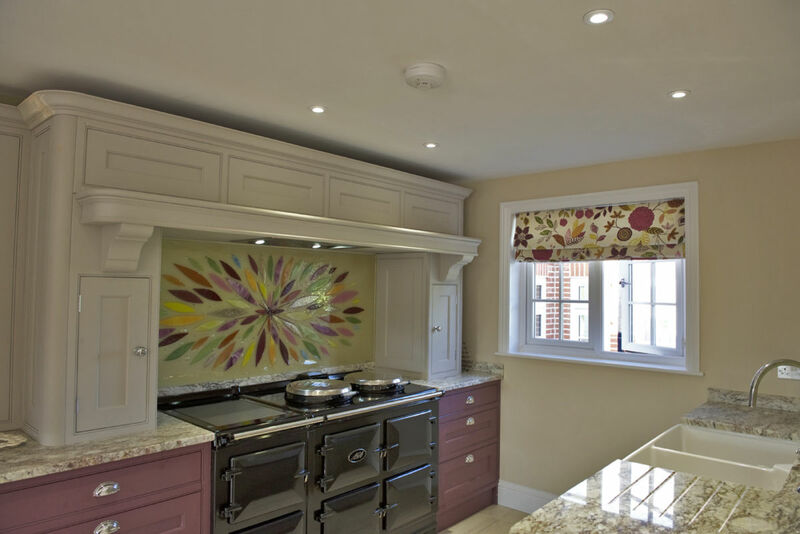 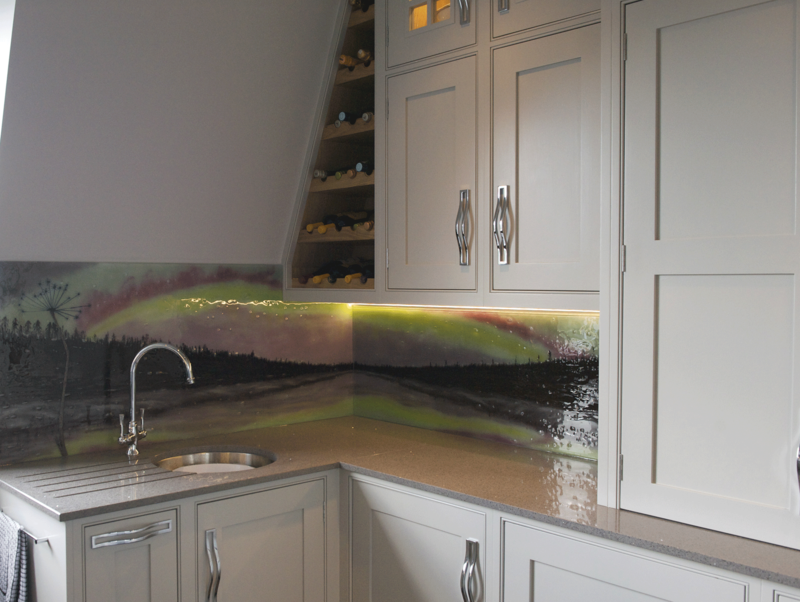 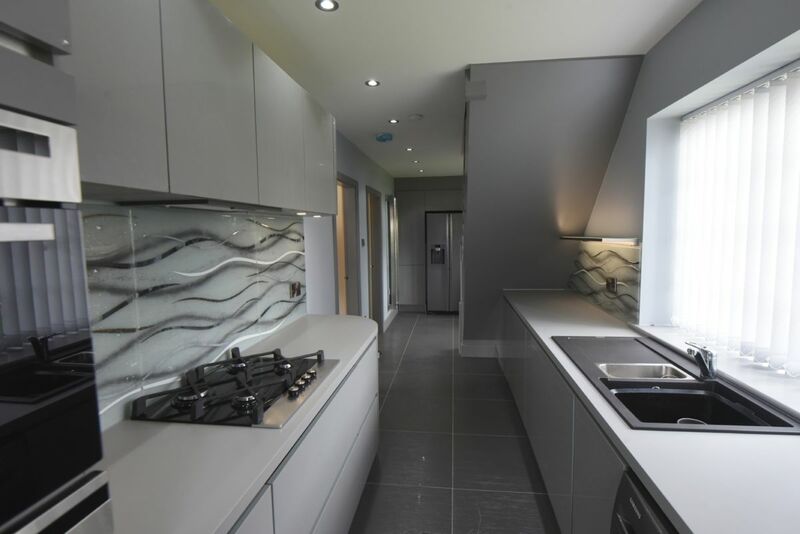 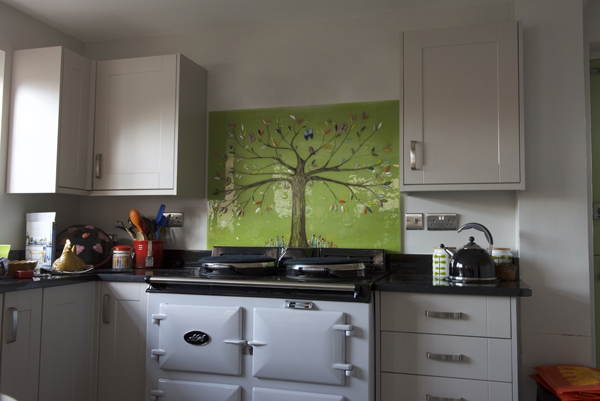 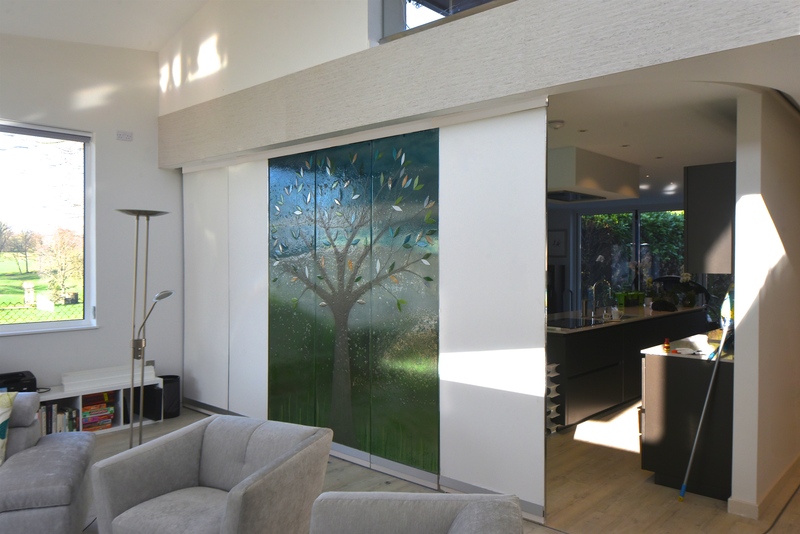 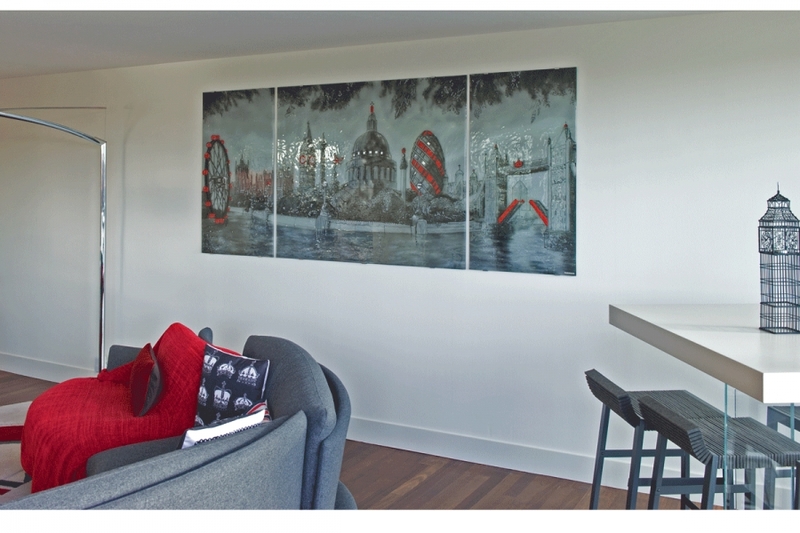 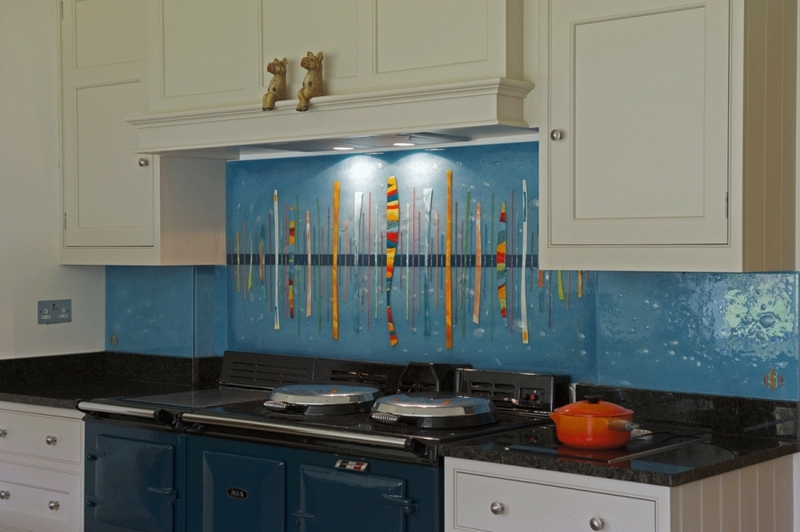 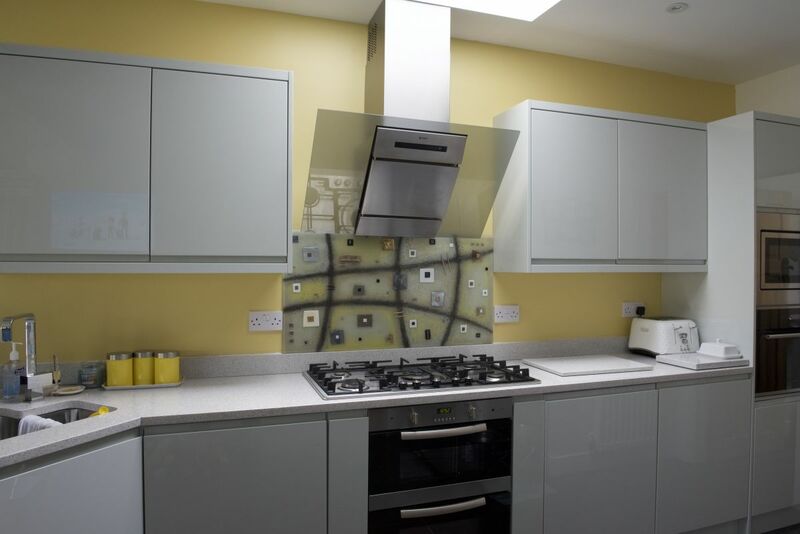 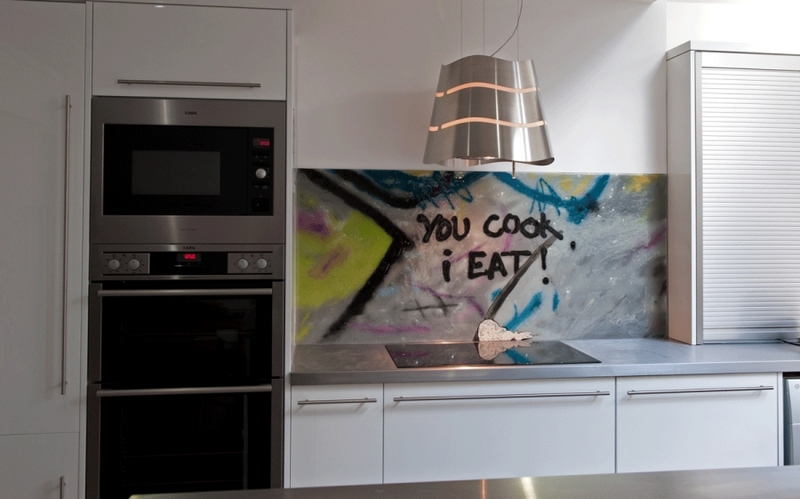 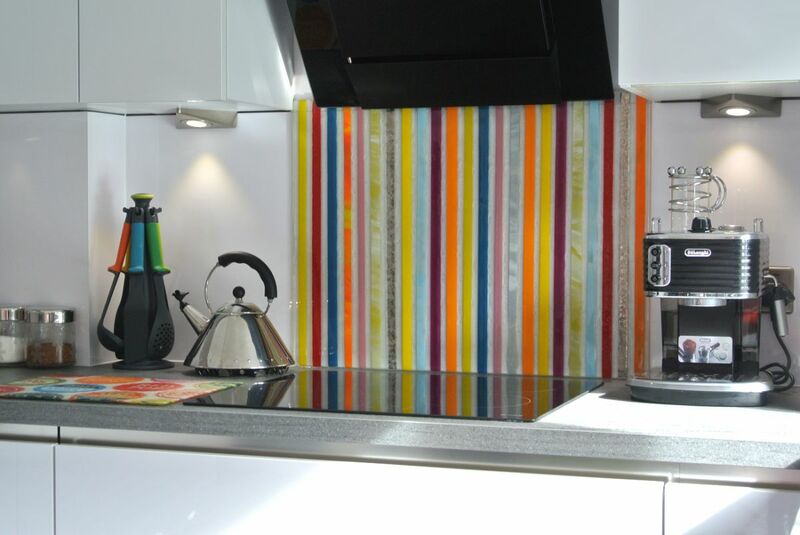 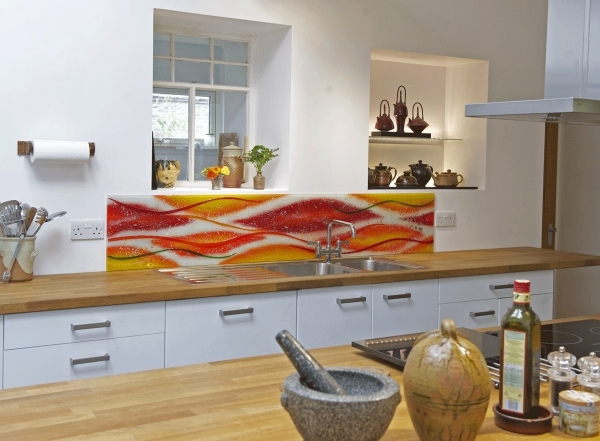 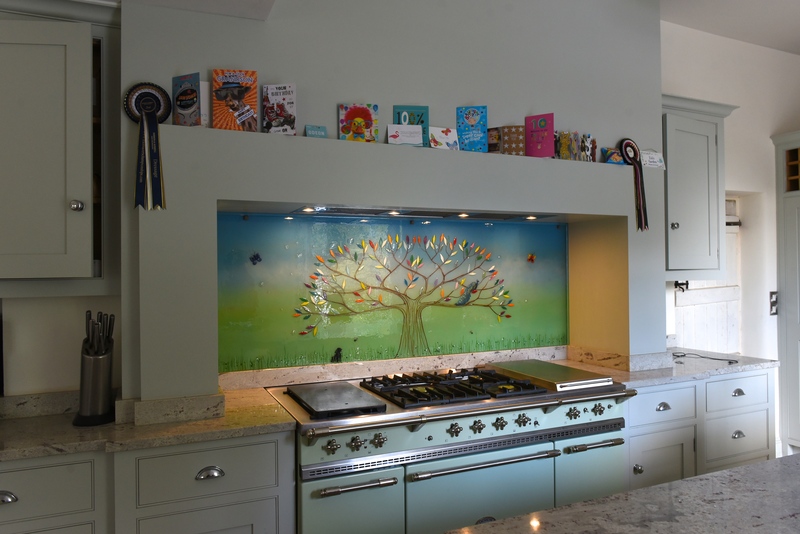 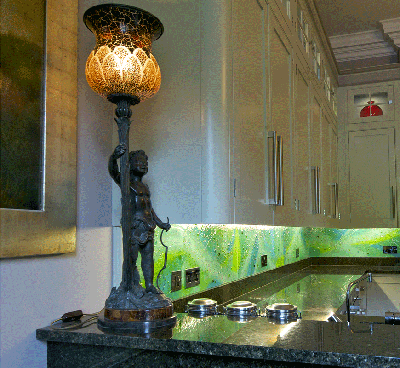 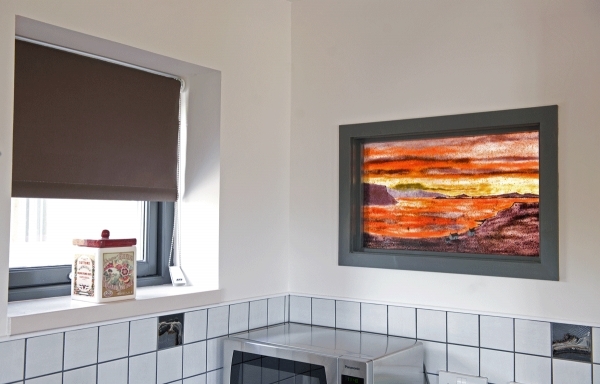 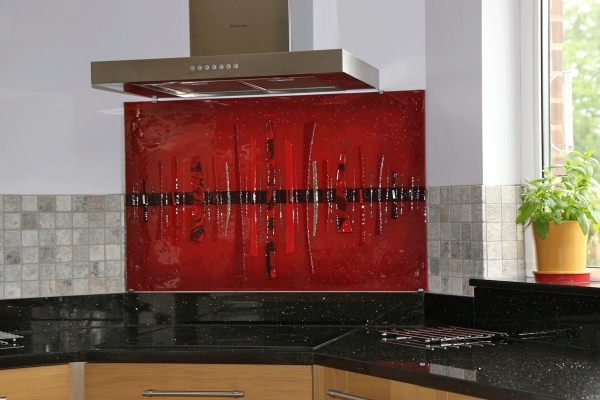 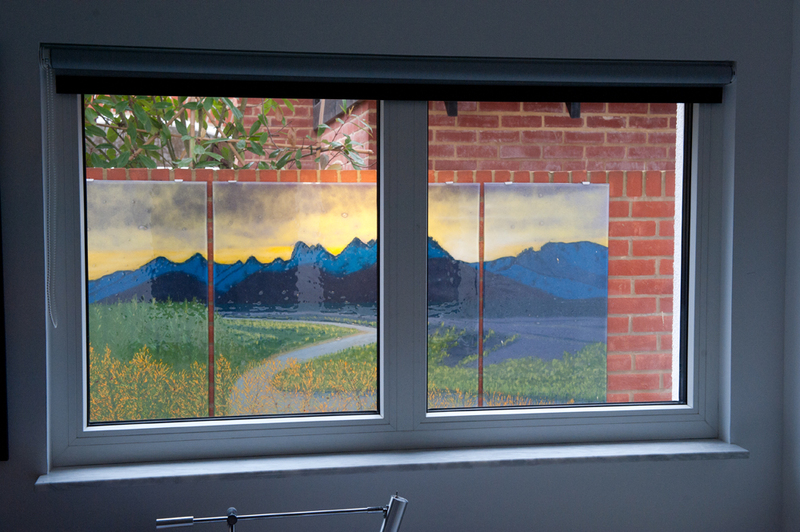 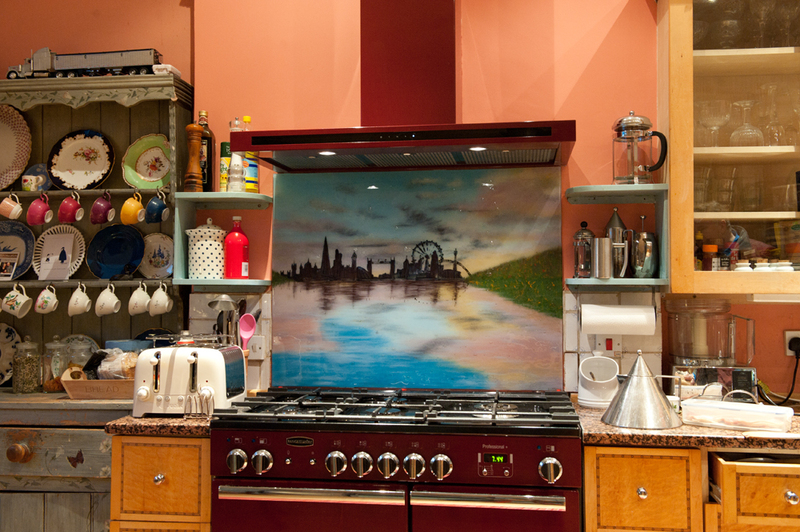 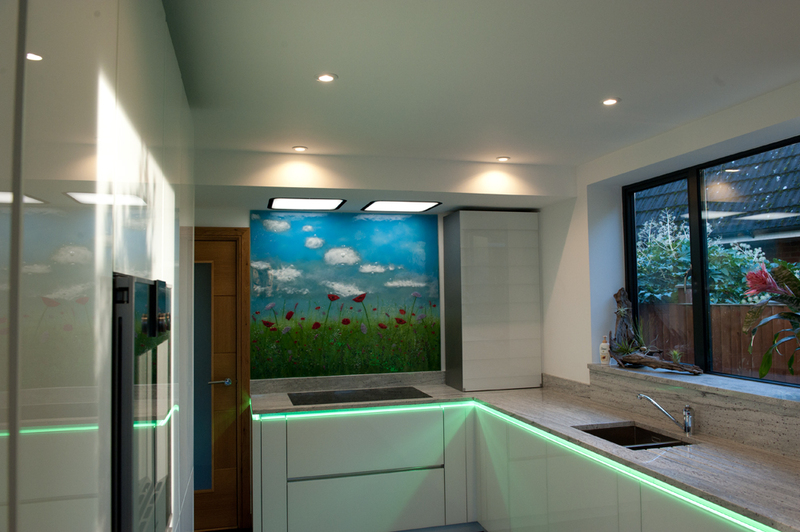 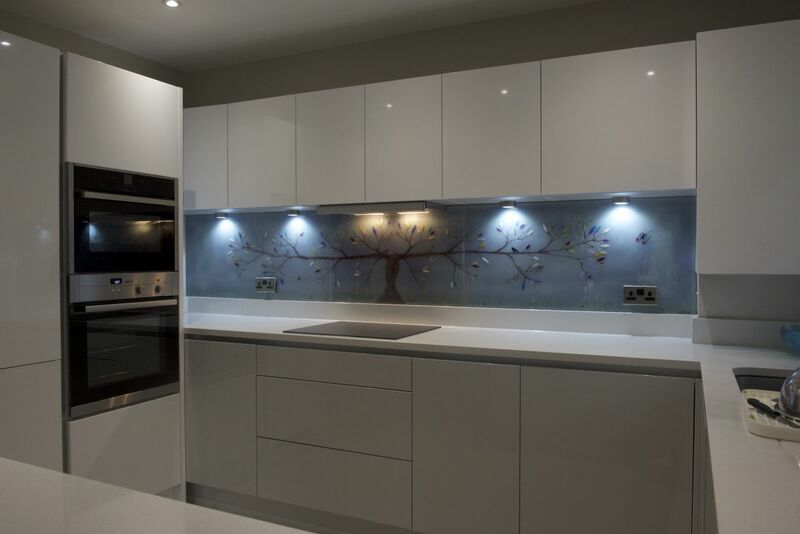 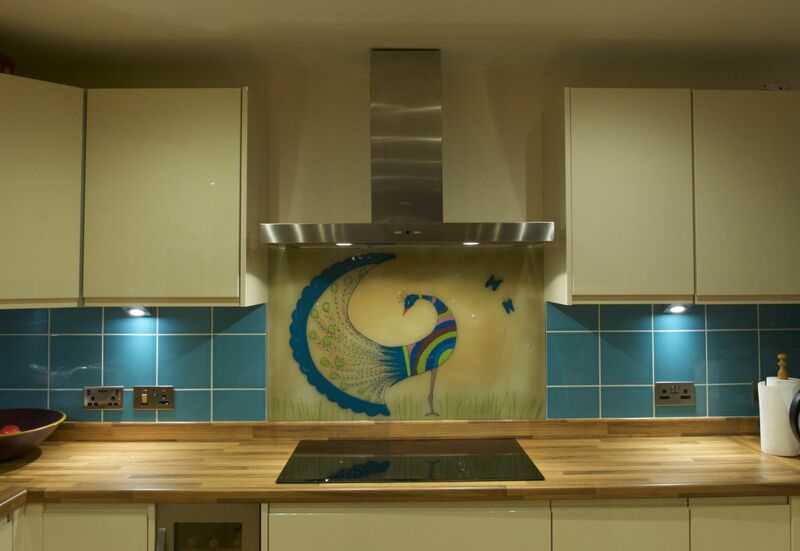 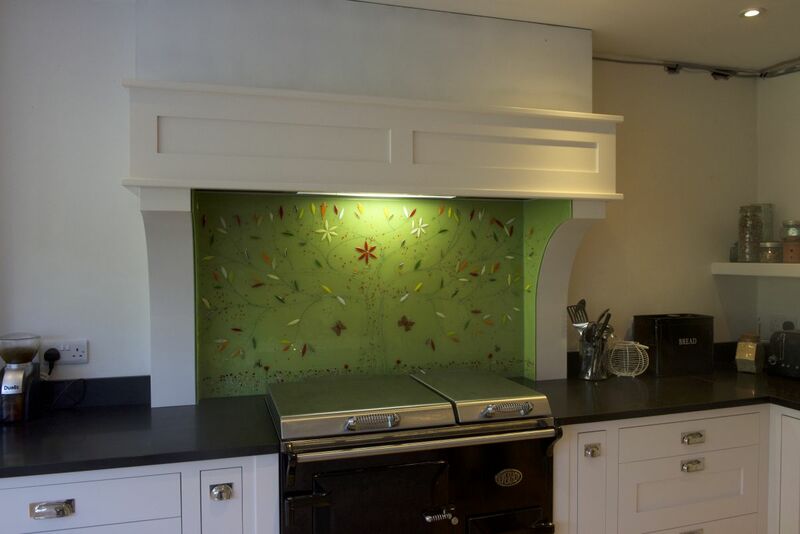 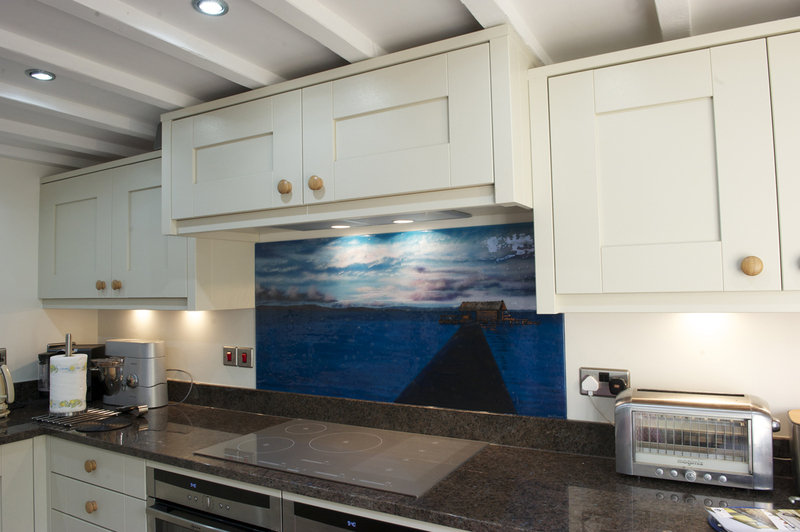 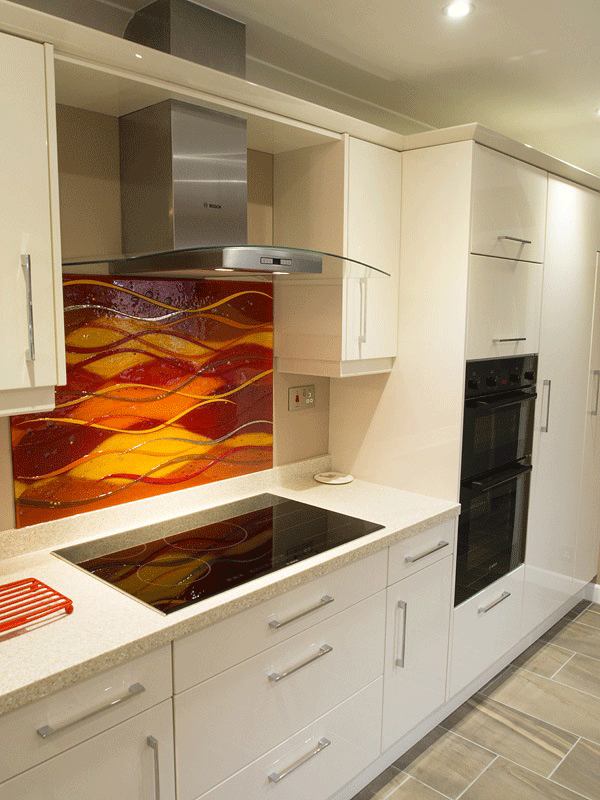 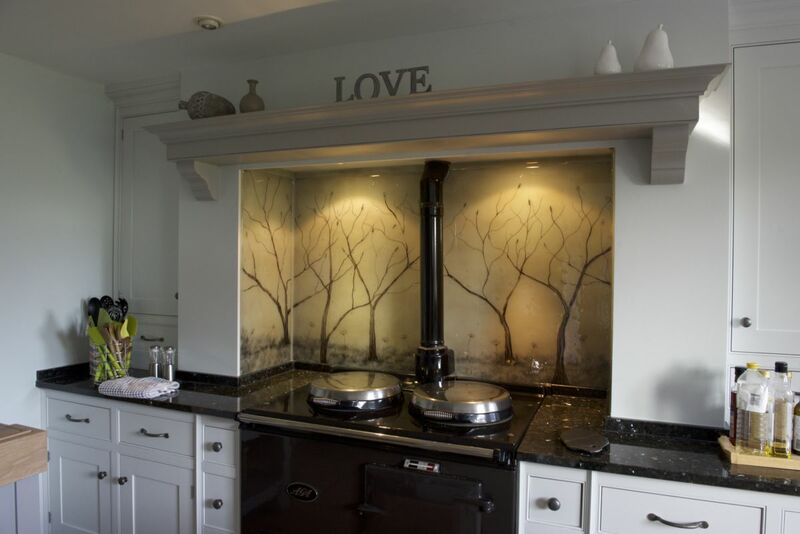 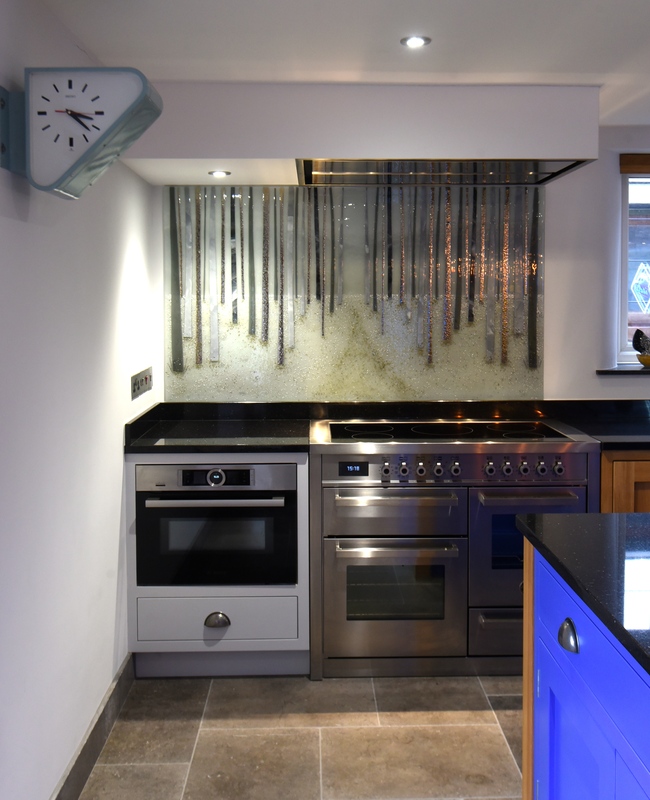 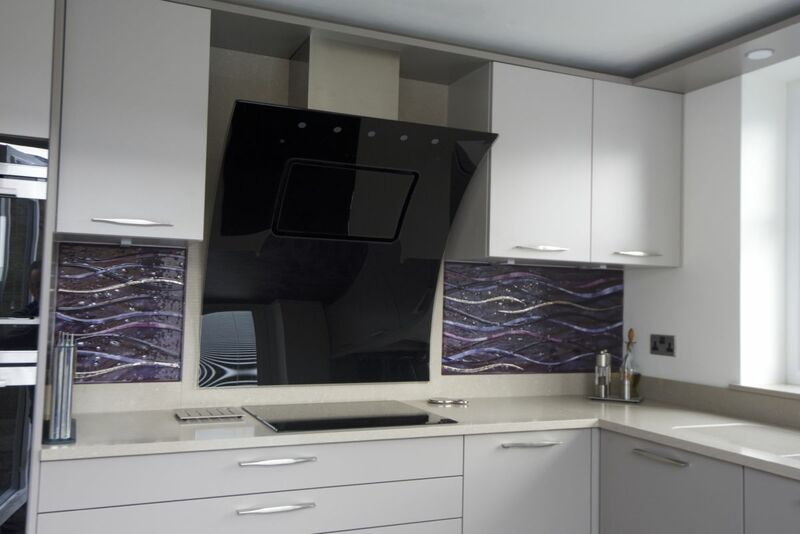 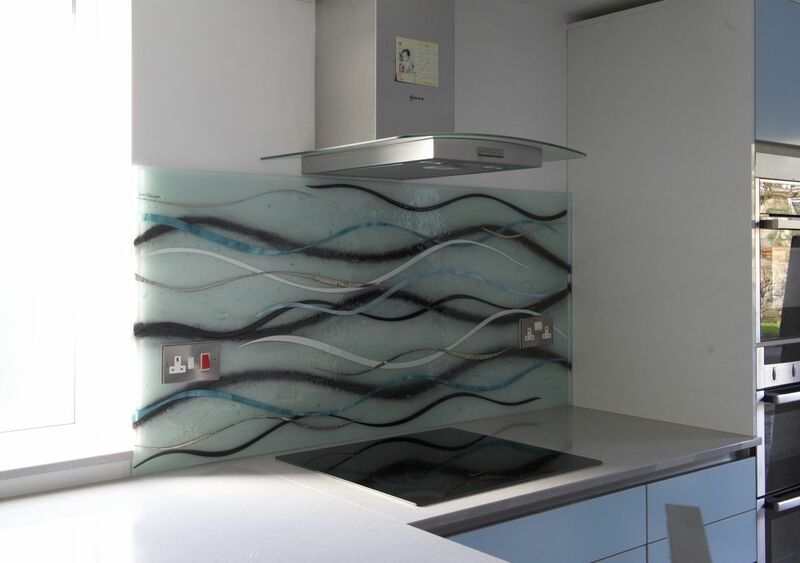 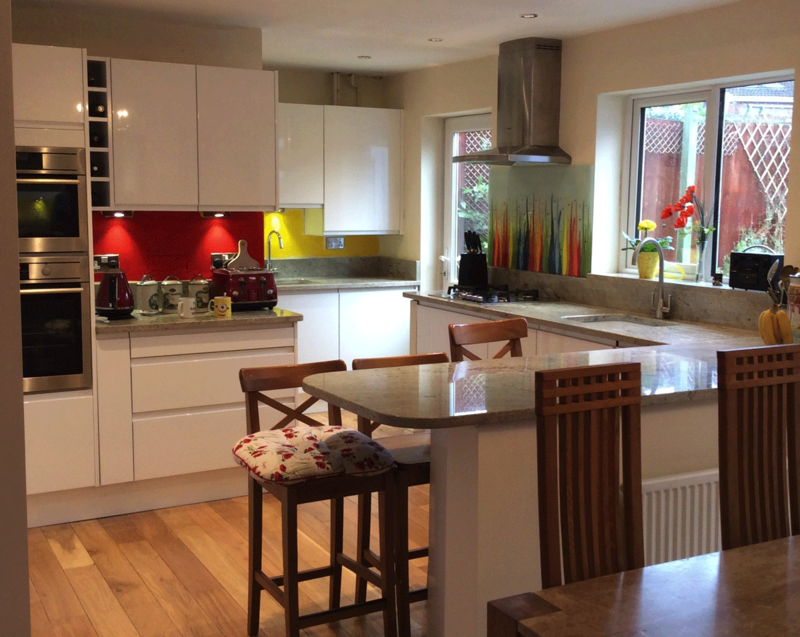 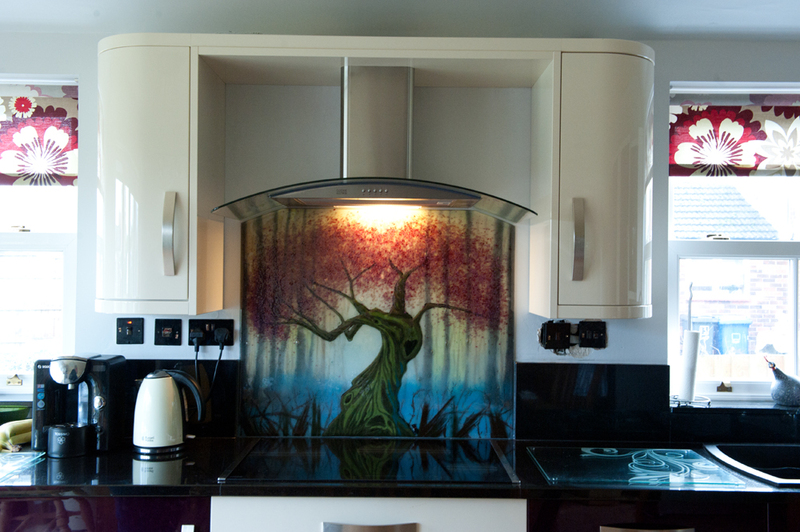 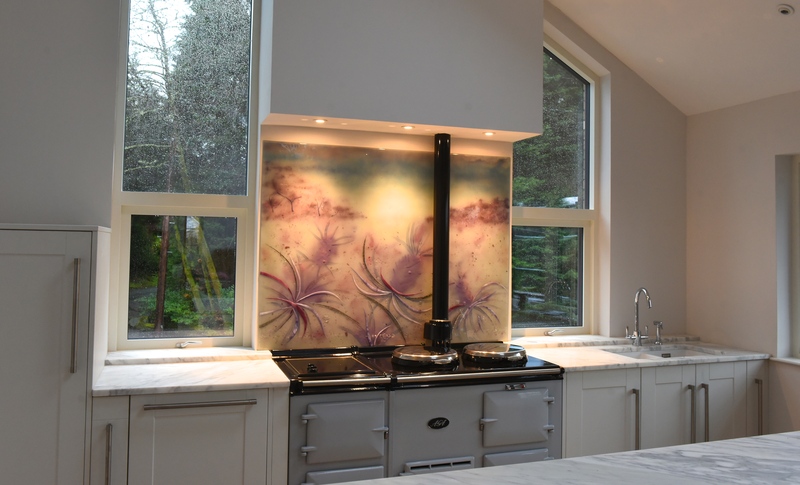 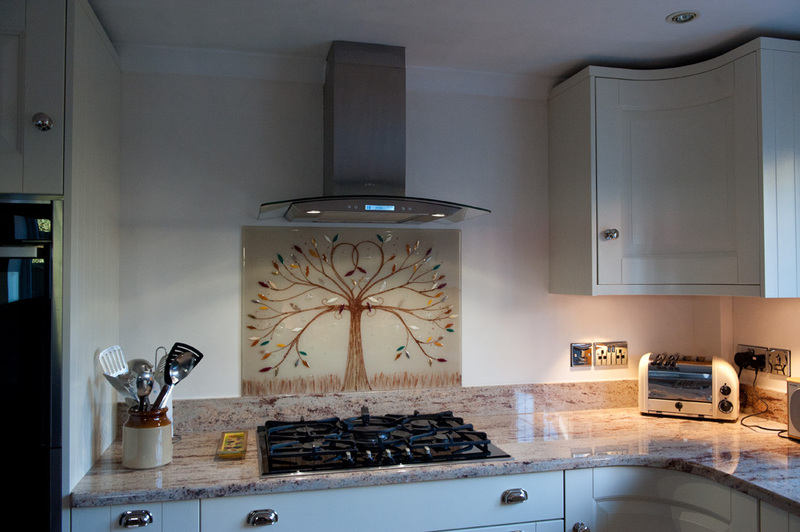 It’s one of our bespoke glass splashbacks, inspired by the view at the back of the customer’s house. 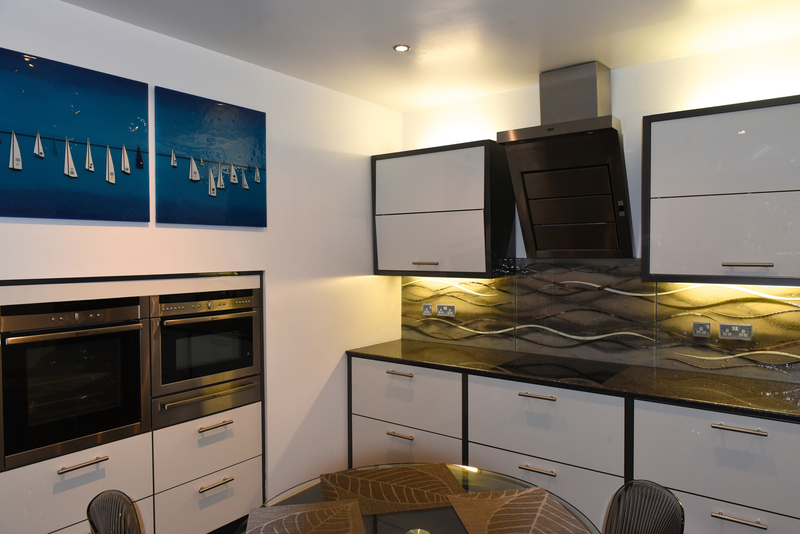 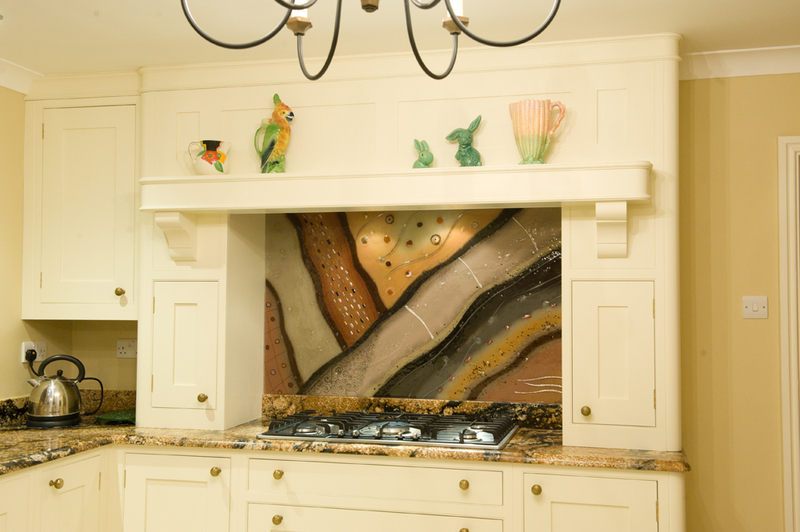 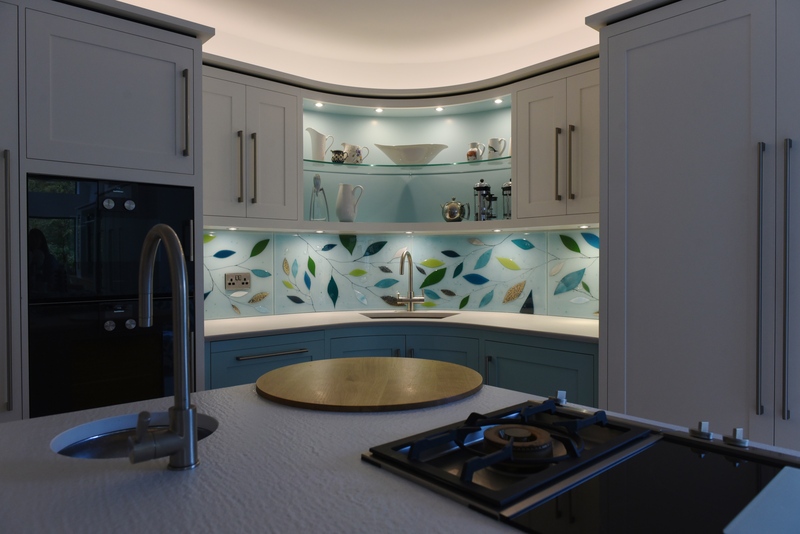 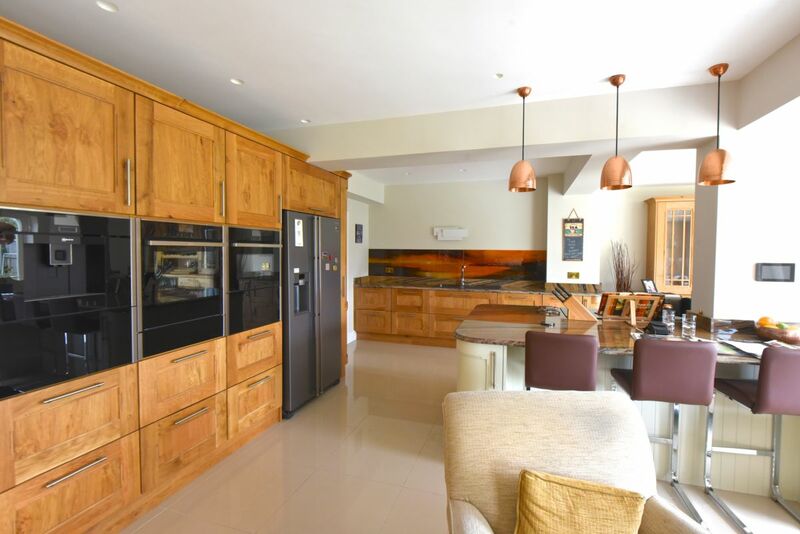 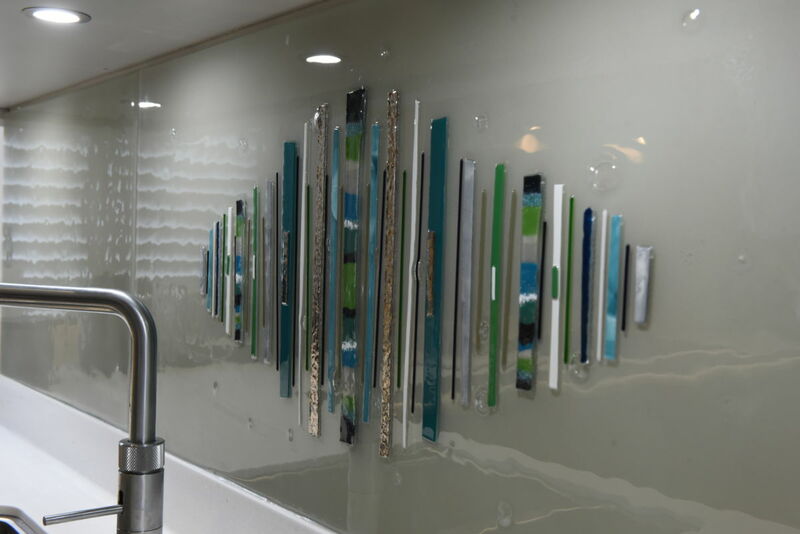 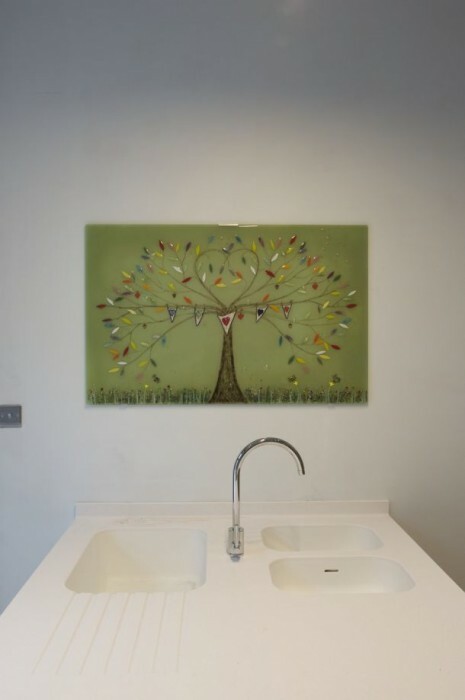 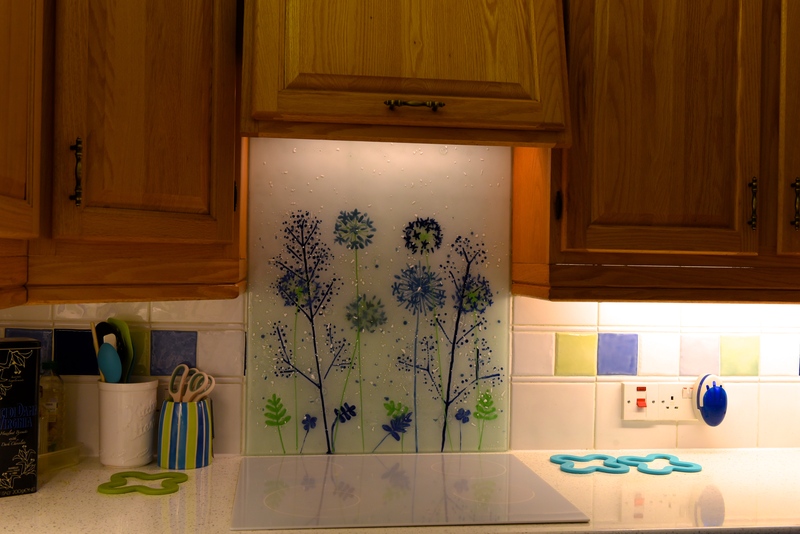 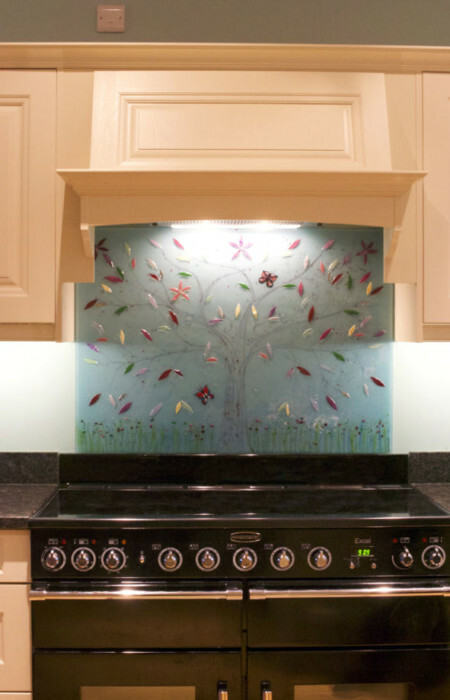 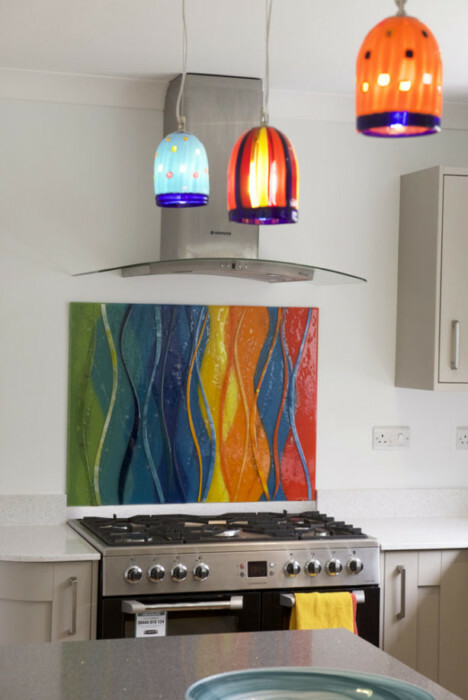 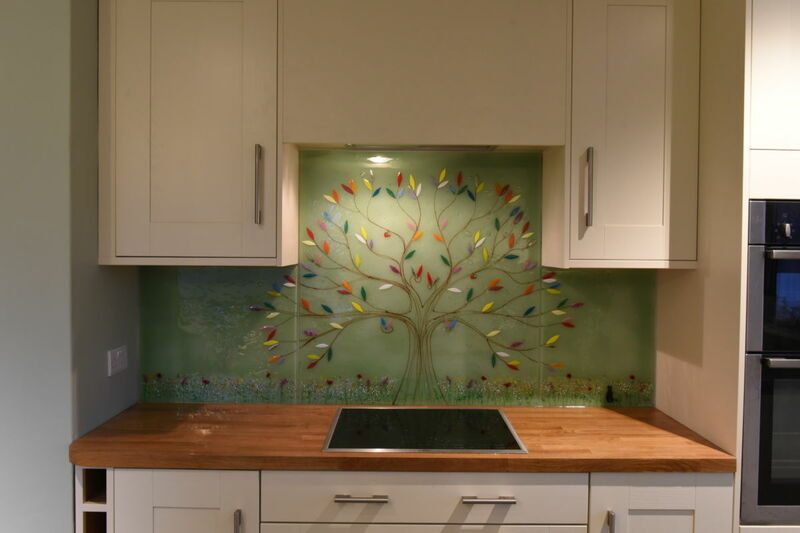 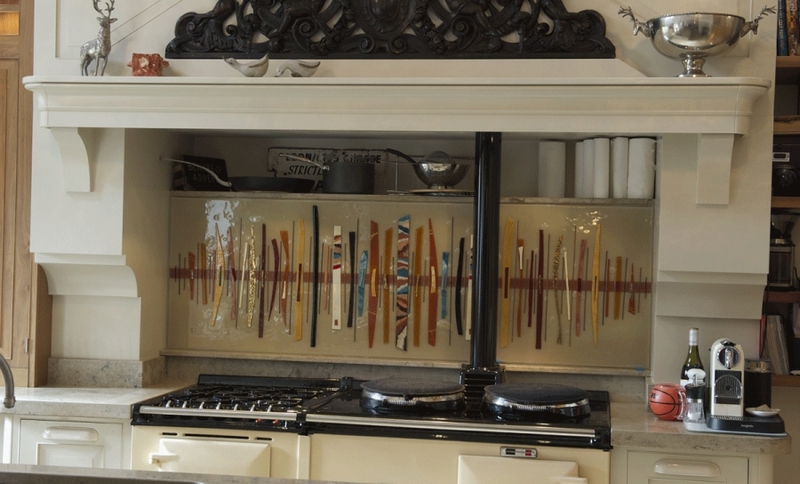 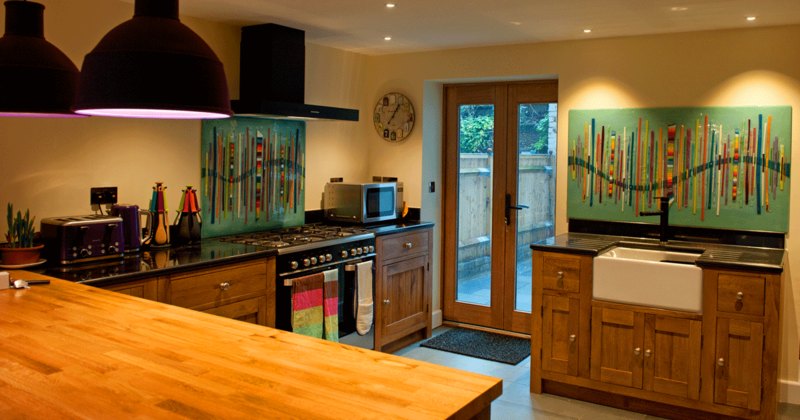 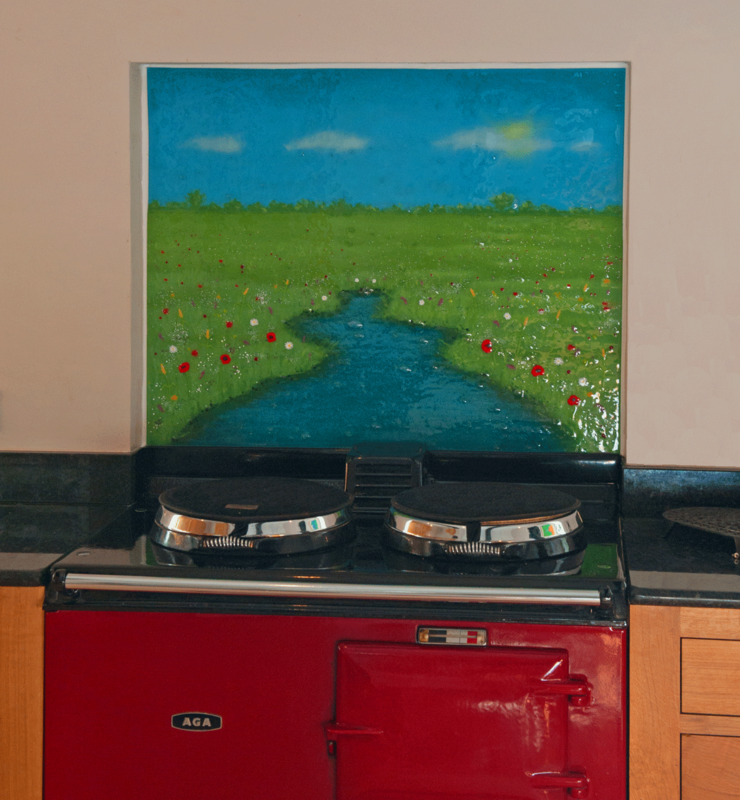 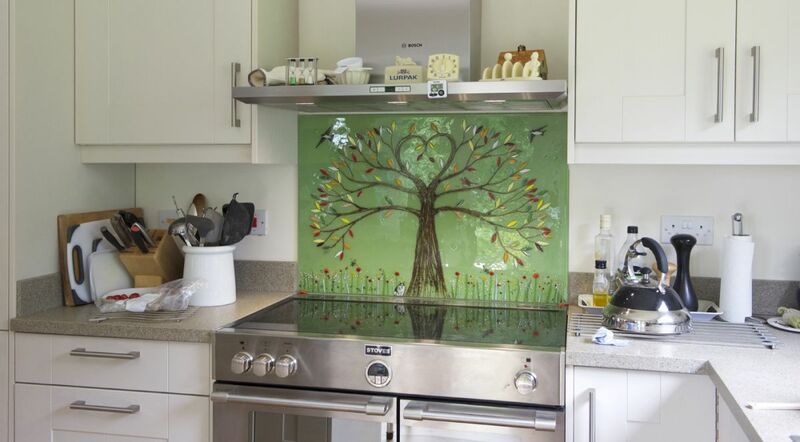 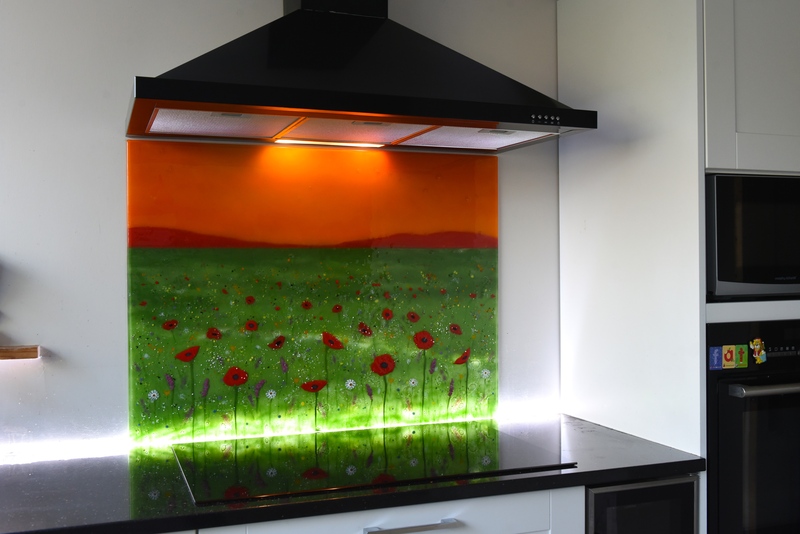 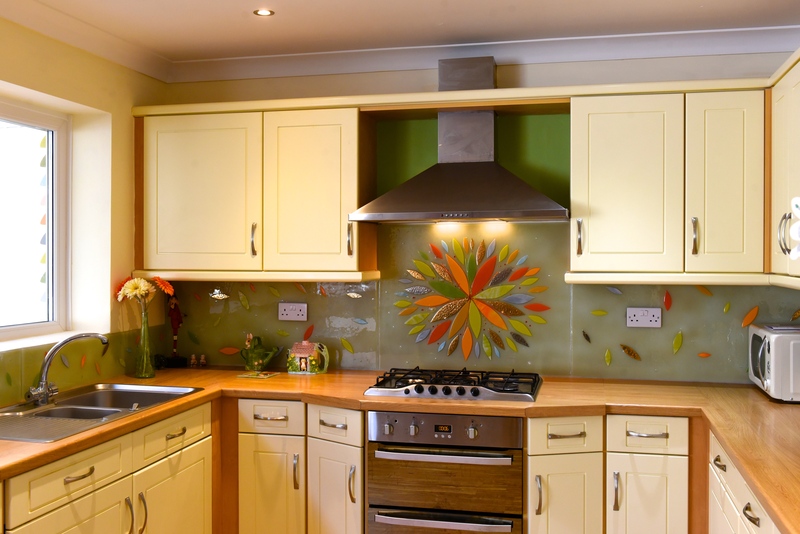 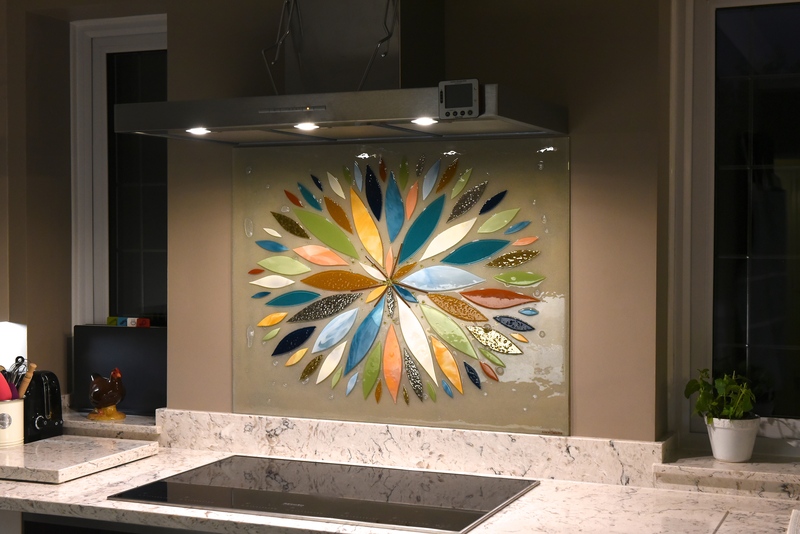 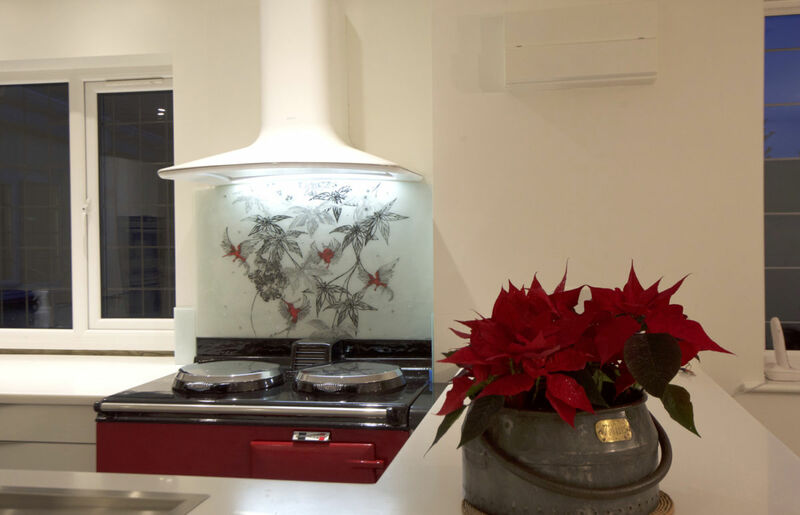 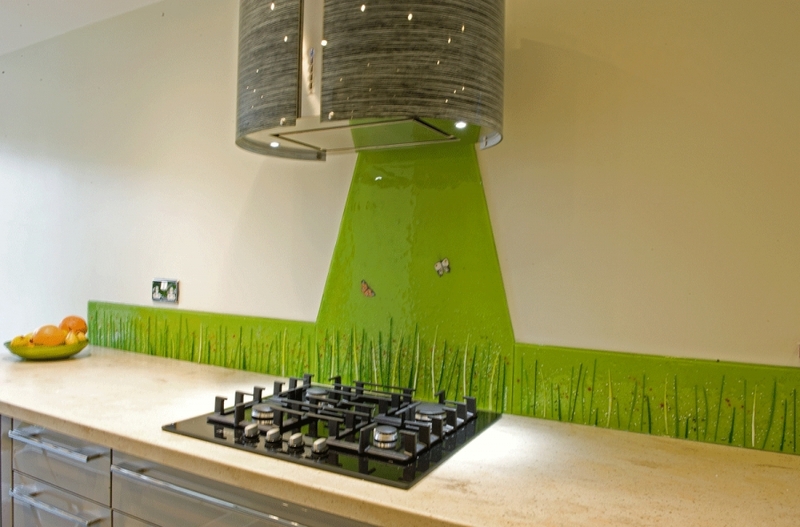 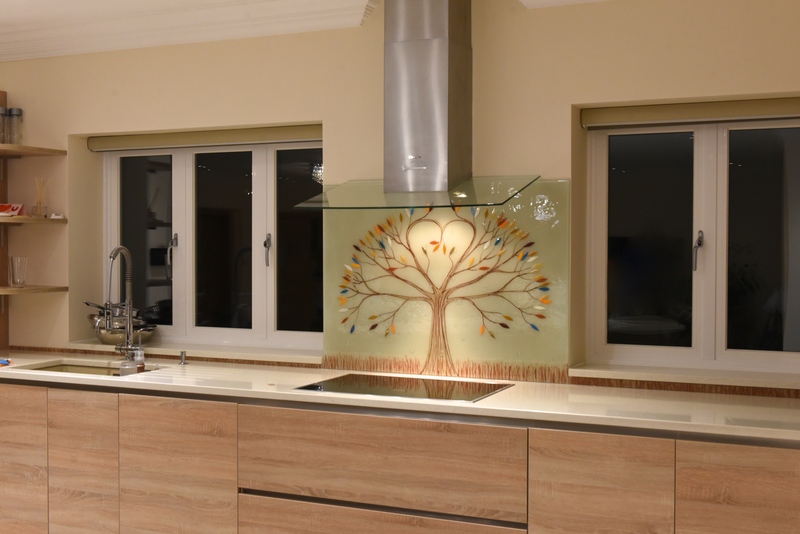 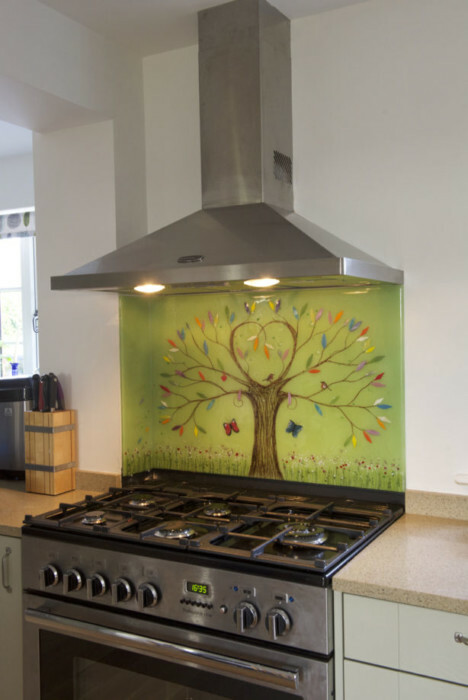 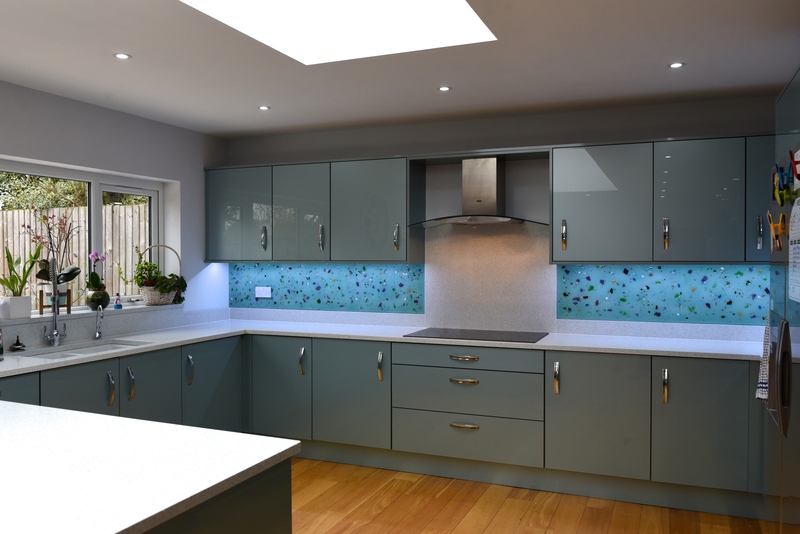 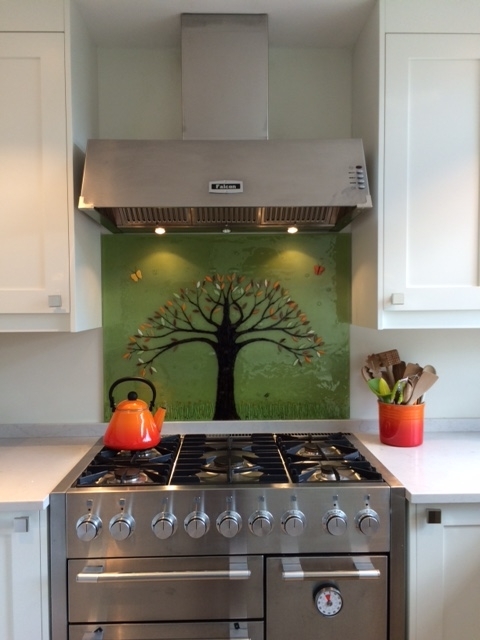 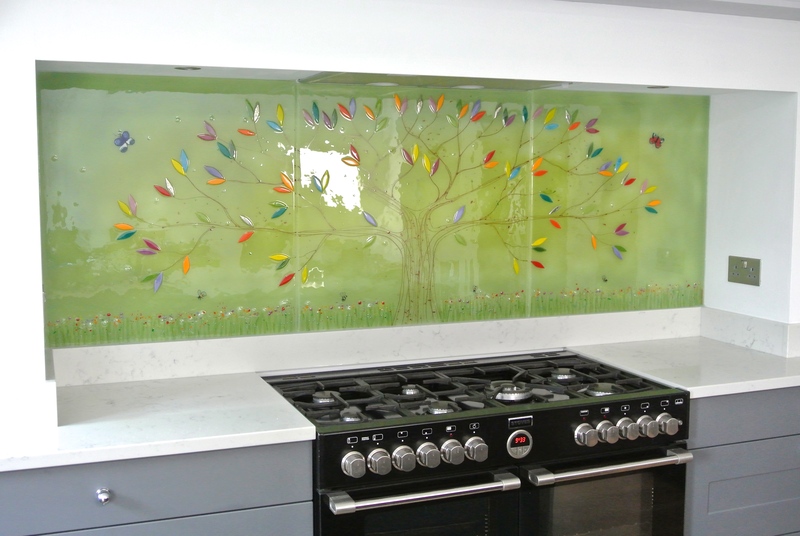 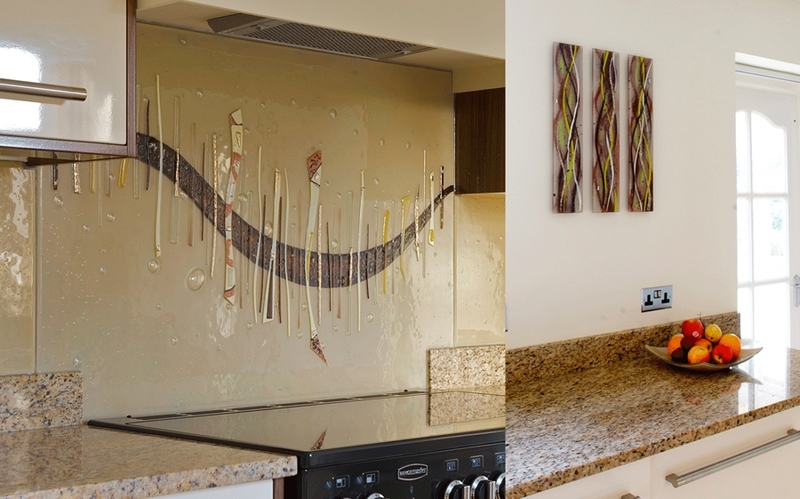 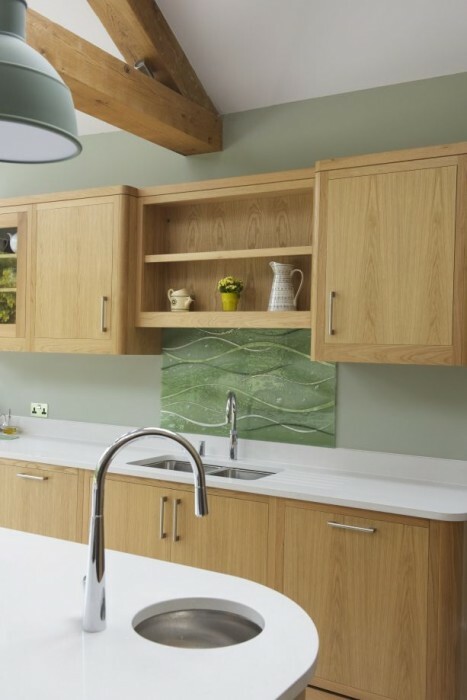 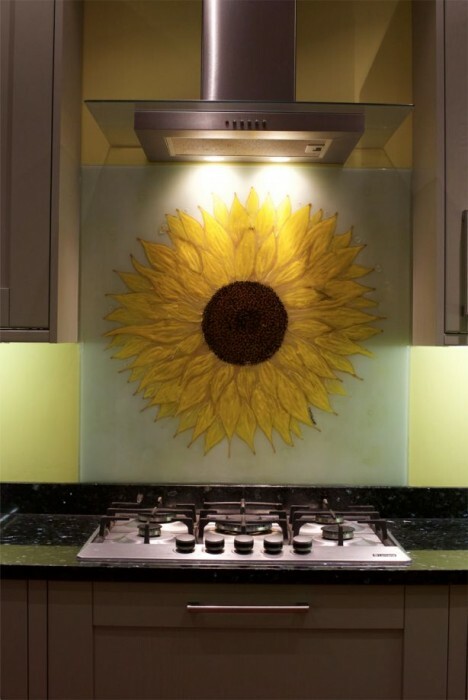 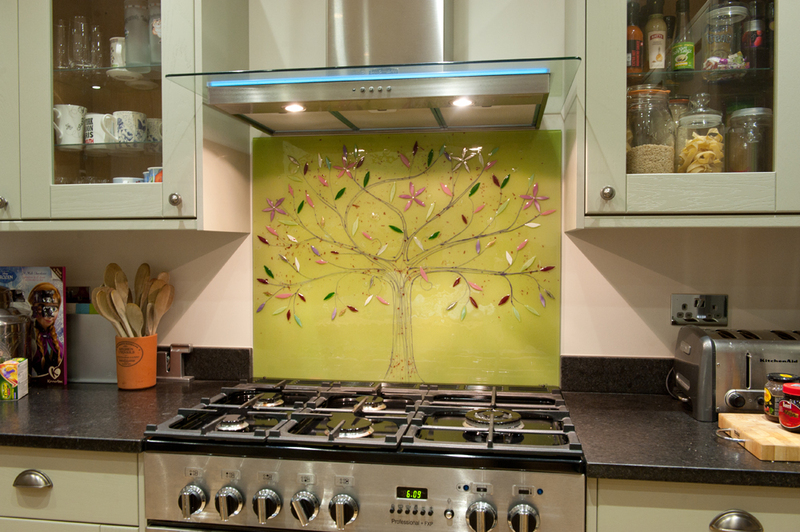 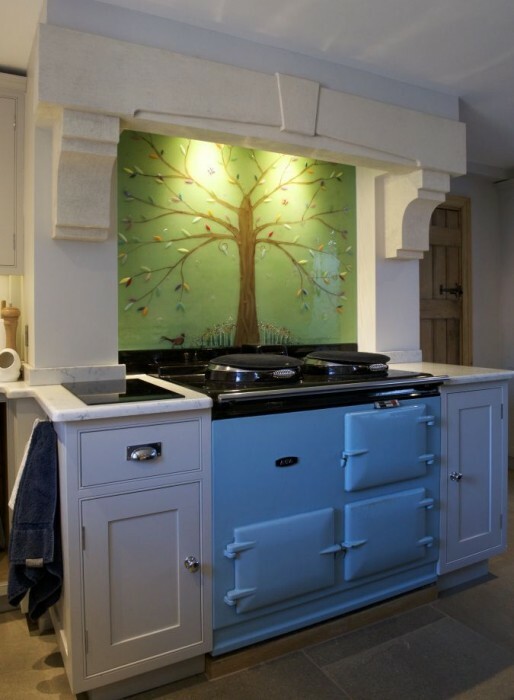 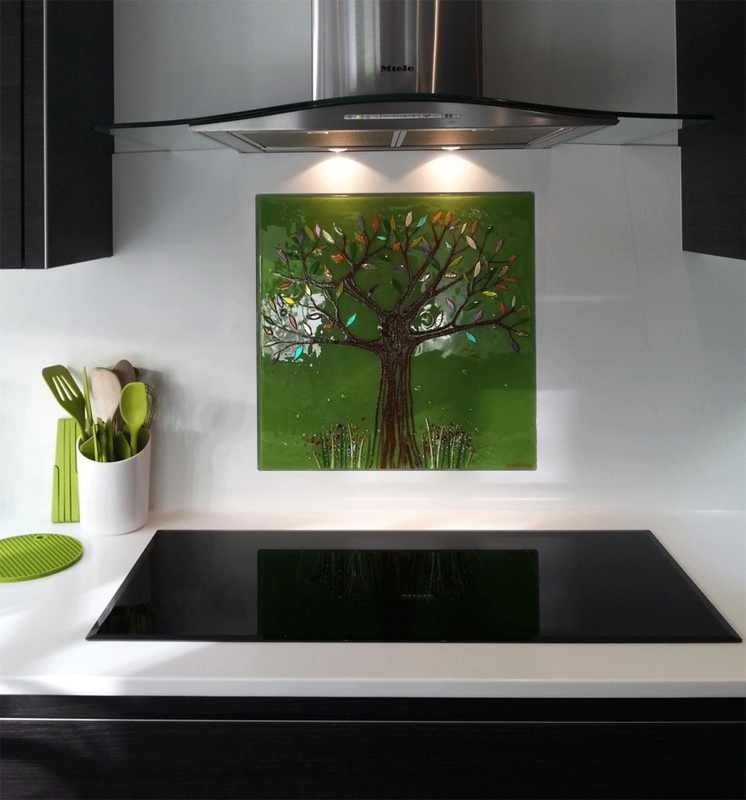 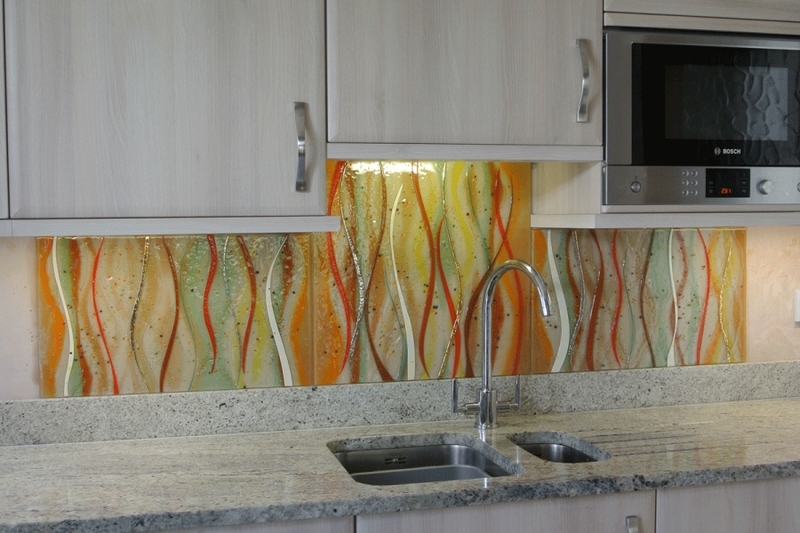 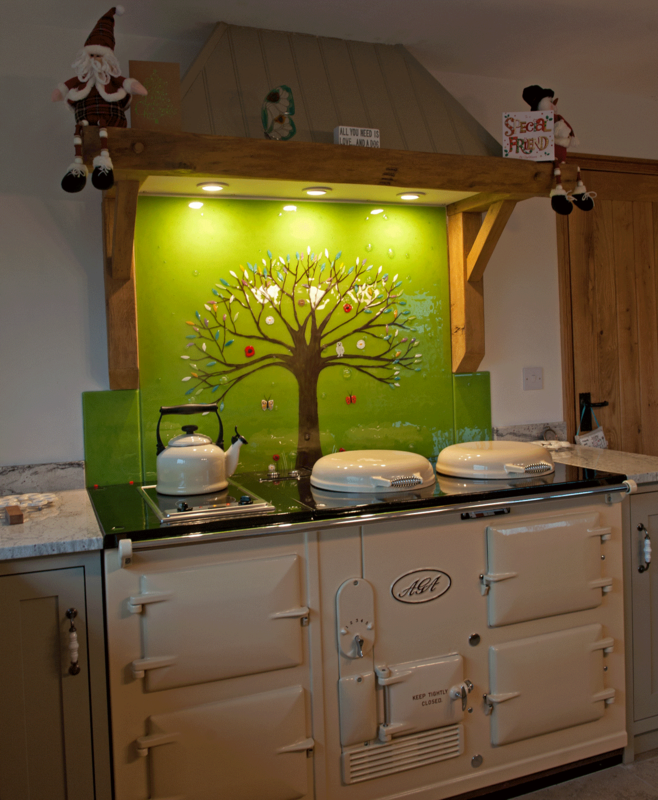 The design is a lush and quietly vibrant one, bringing a touch of nature into the kitchen with all of the unique quirks of fused glass art. 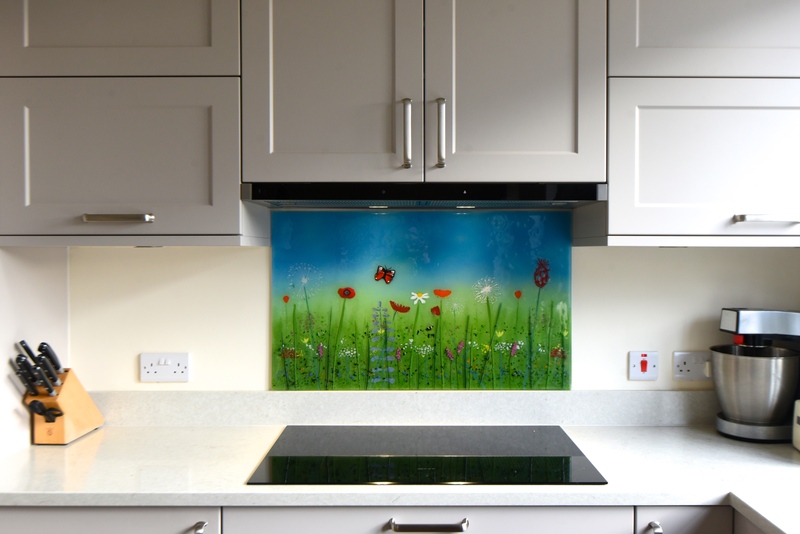 Amongst the shades of green that make up the shape of a climbing hill, there are plenty of colours which make the piece bloom with life and create the image of flowers, long blades of grass and more. 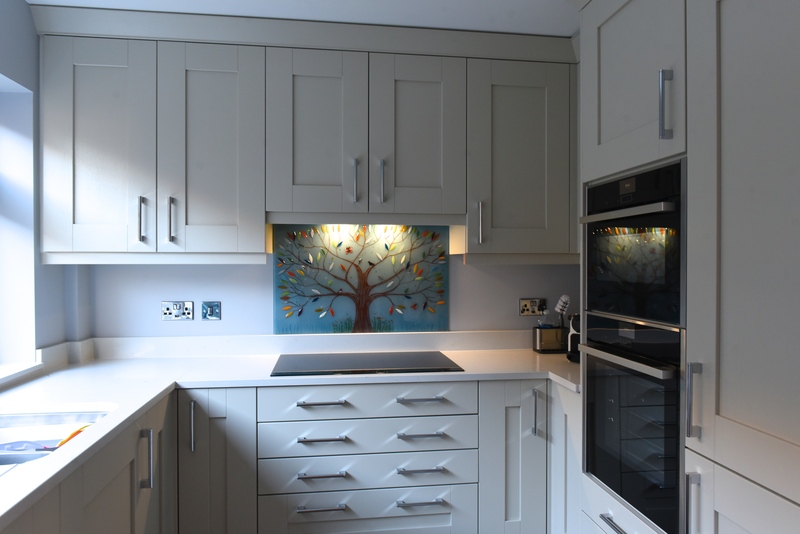 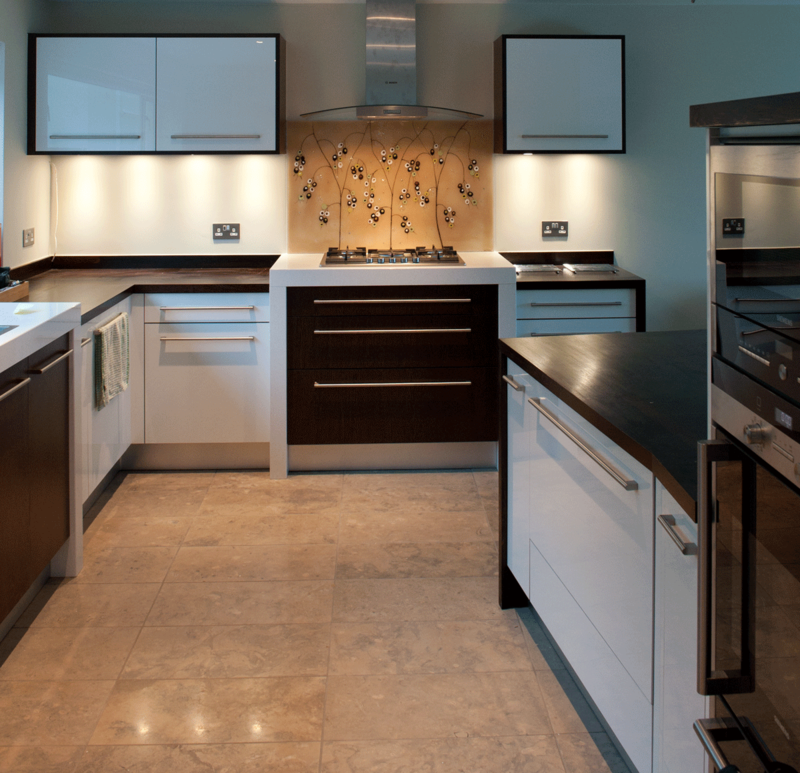 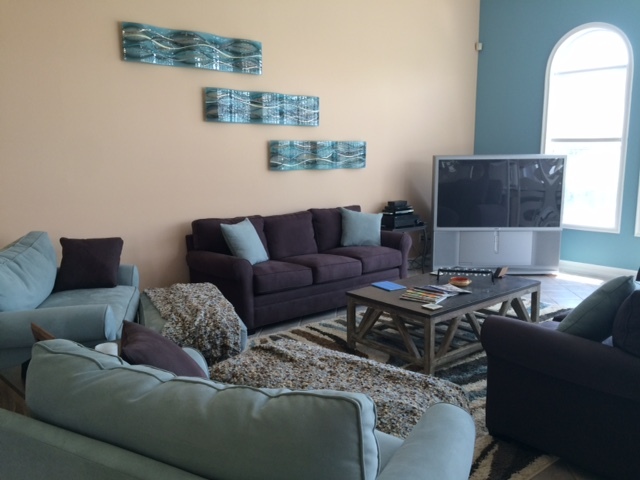 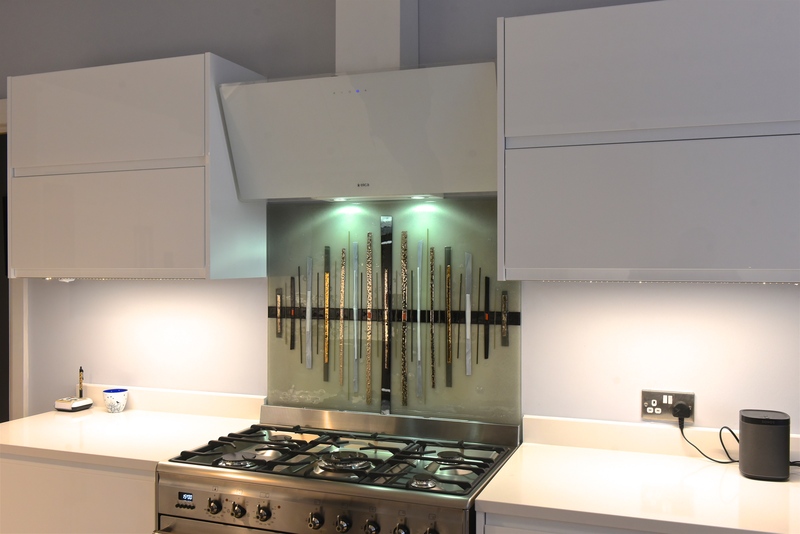 White accents complete the look of the panel, making this a truly lovely sight to behold.